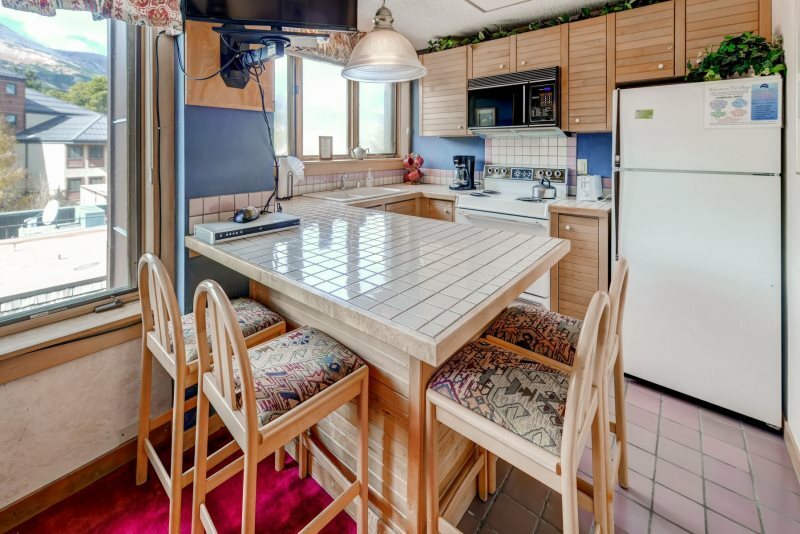 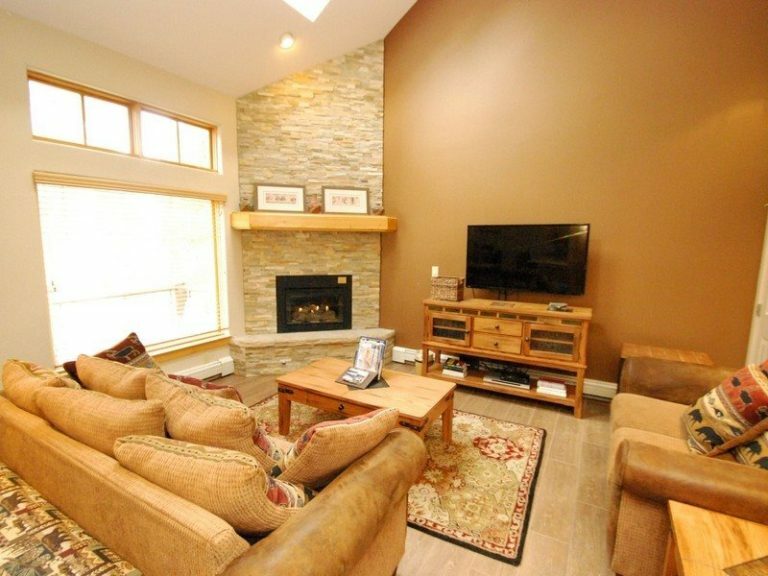 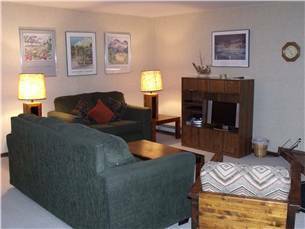 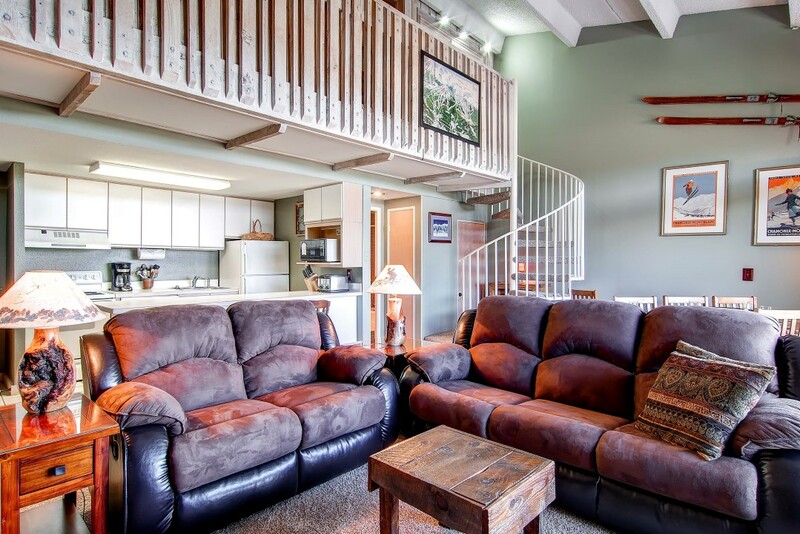 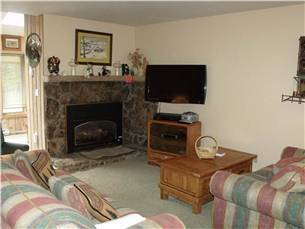 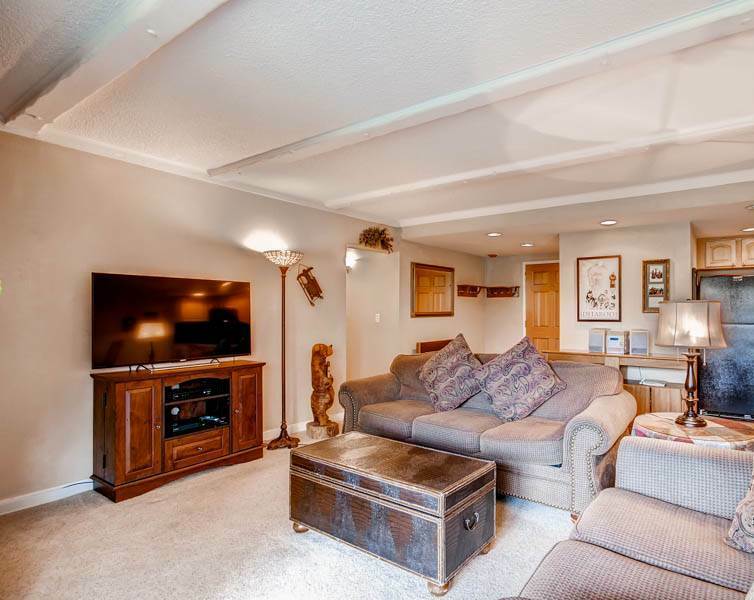 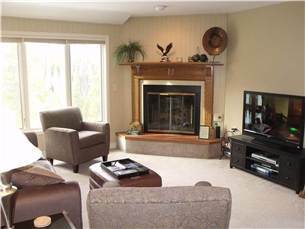 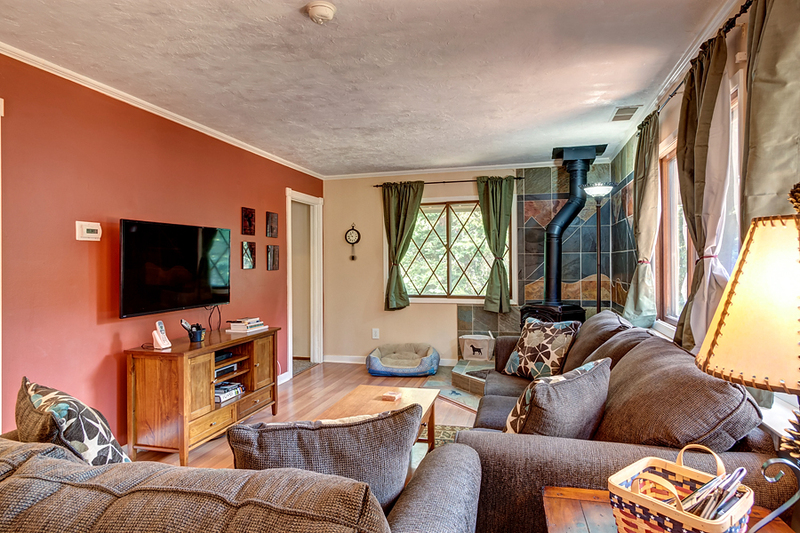 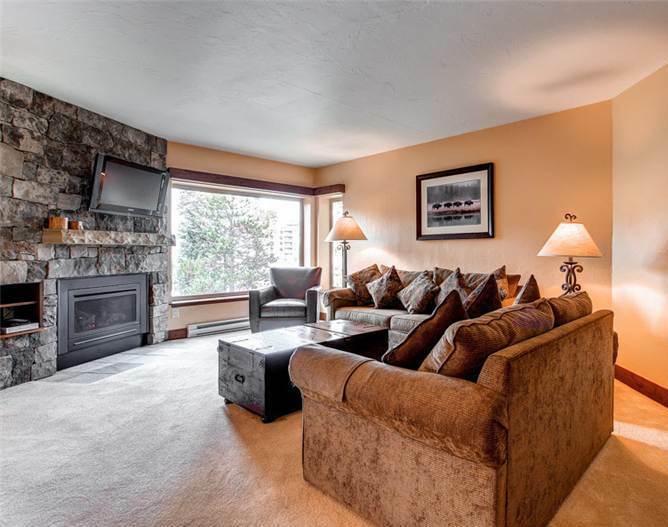 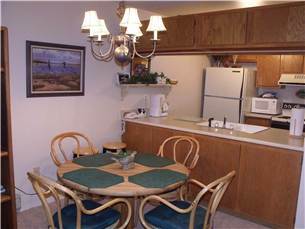 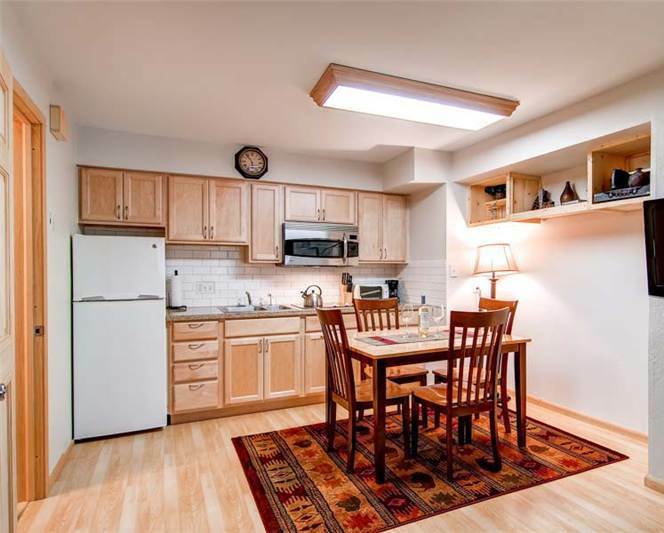 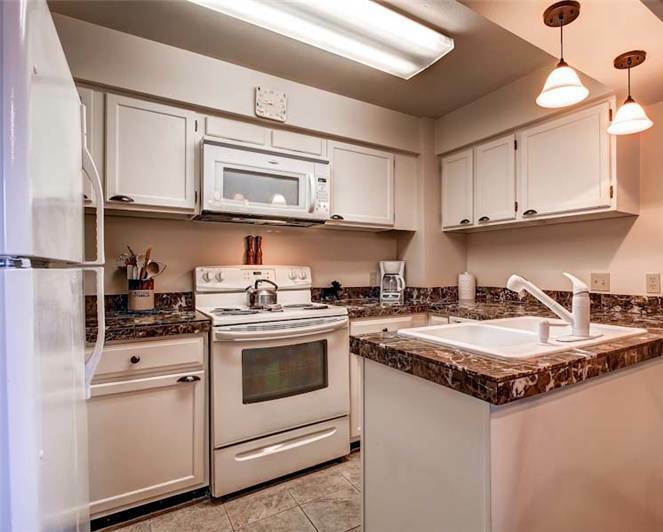 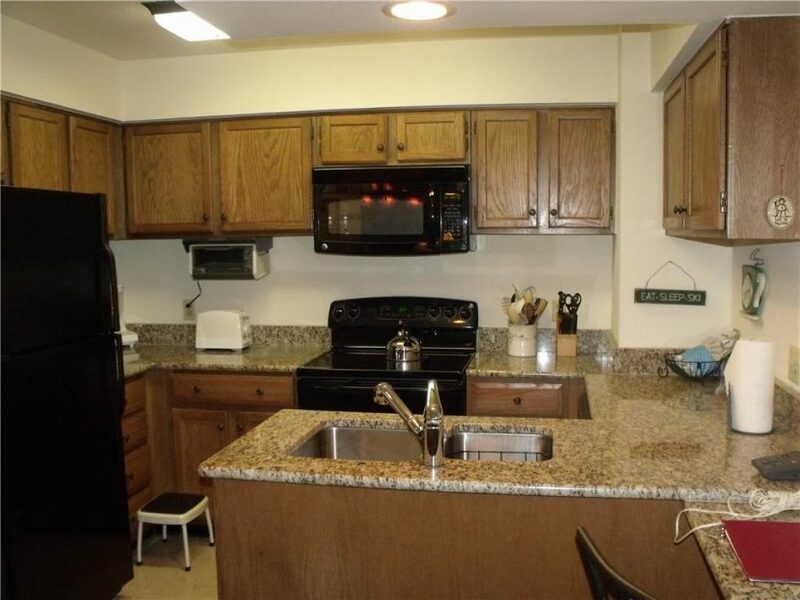 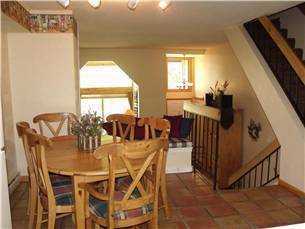 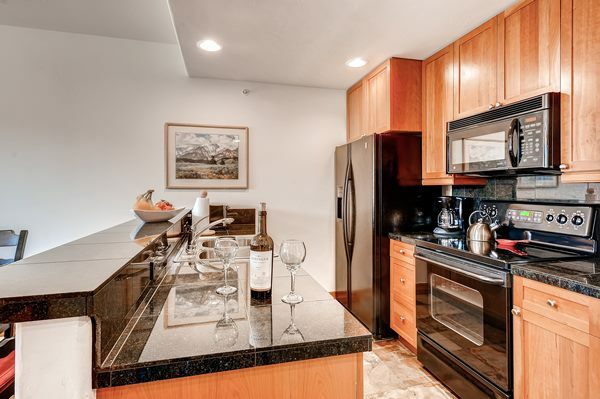 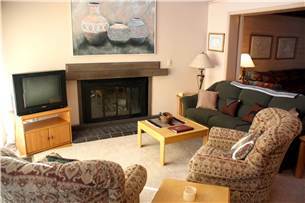 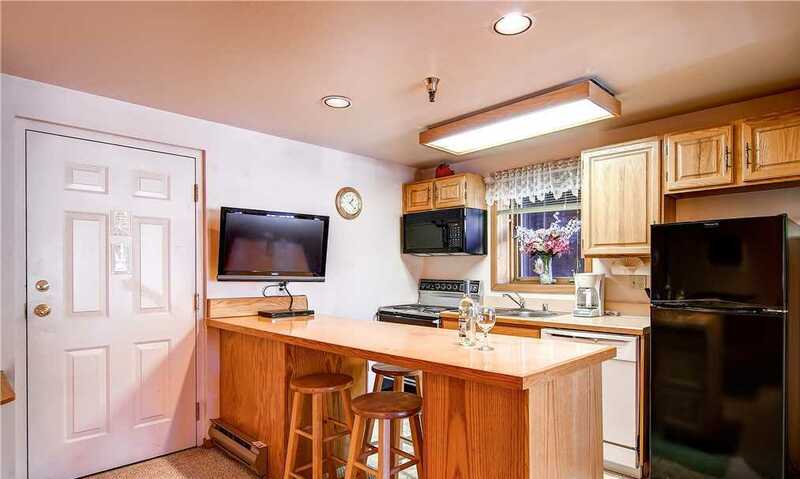 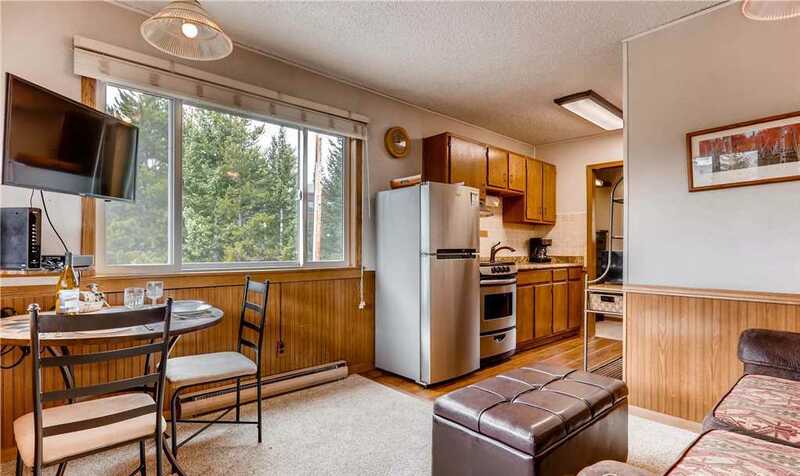 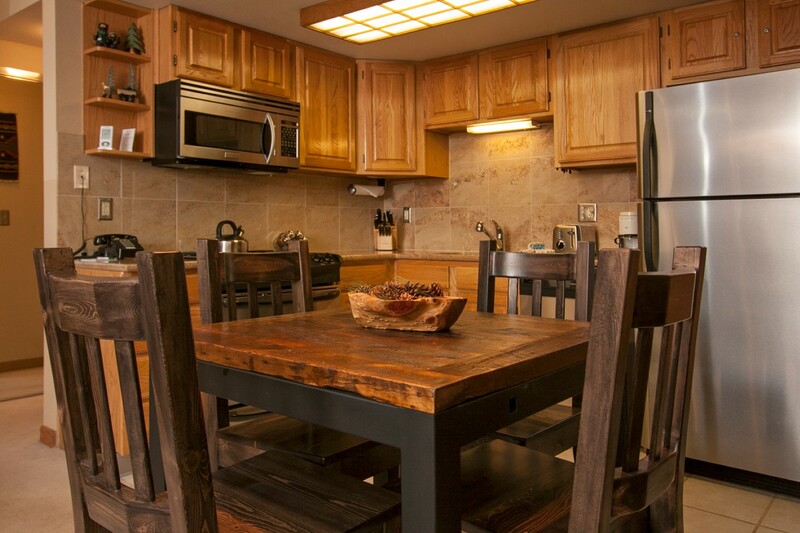 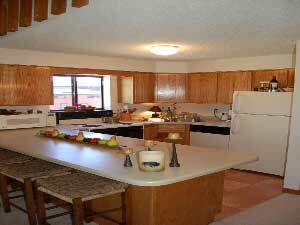 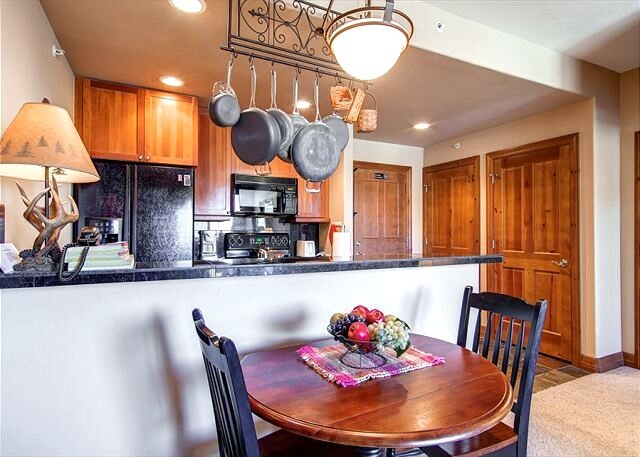 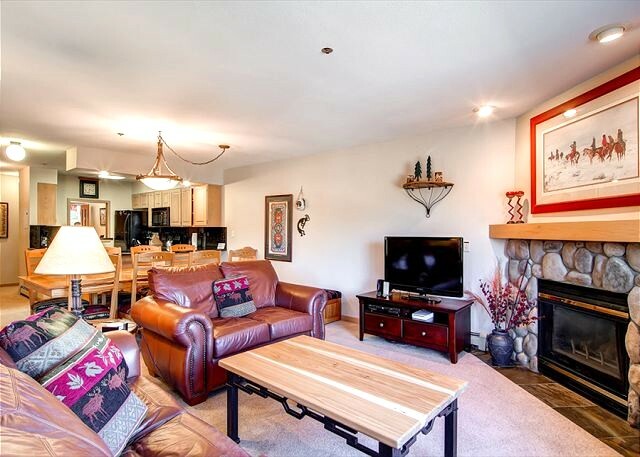 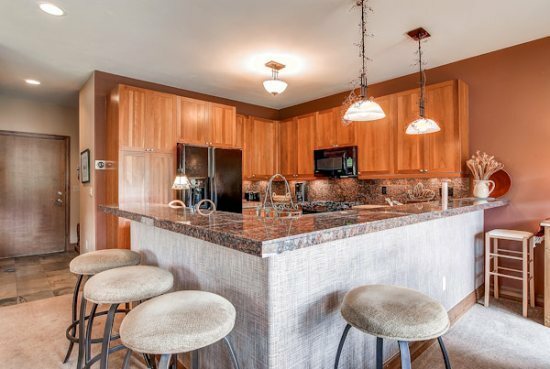 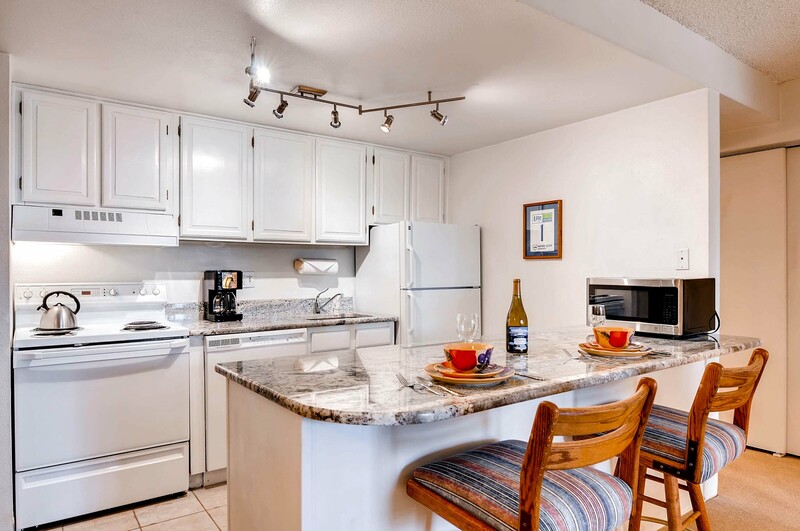 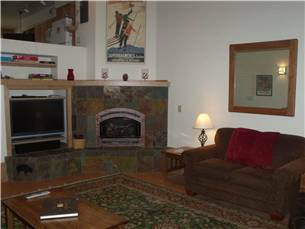 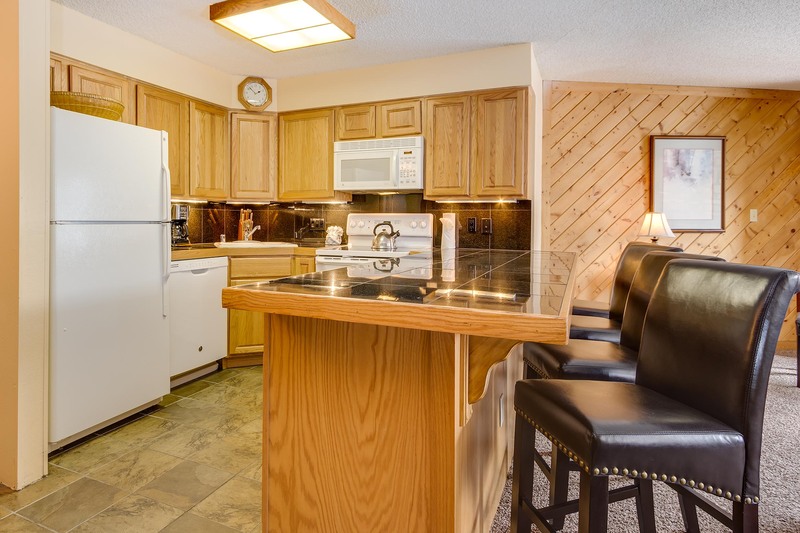 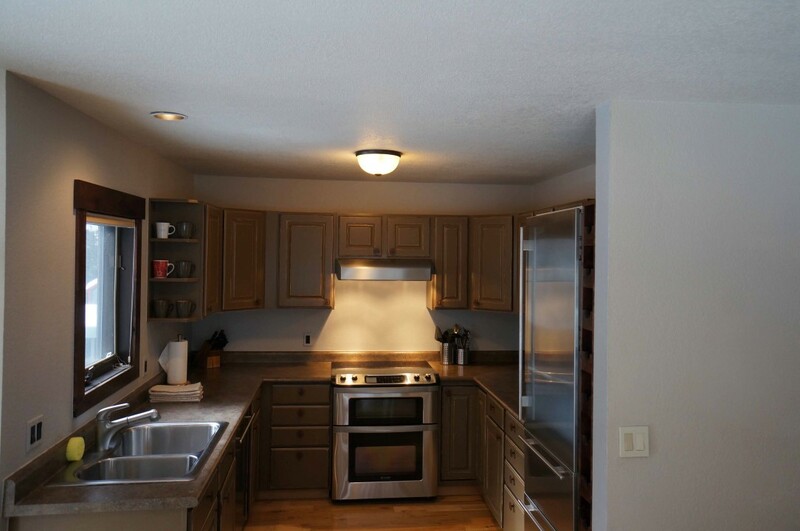 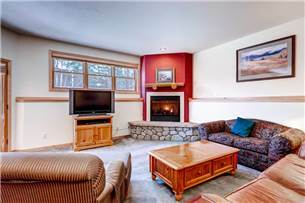 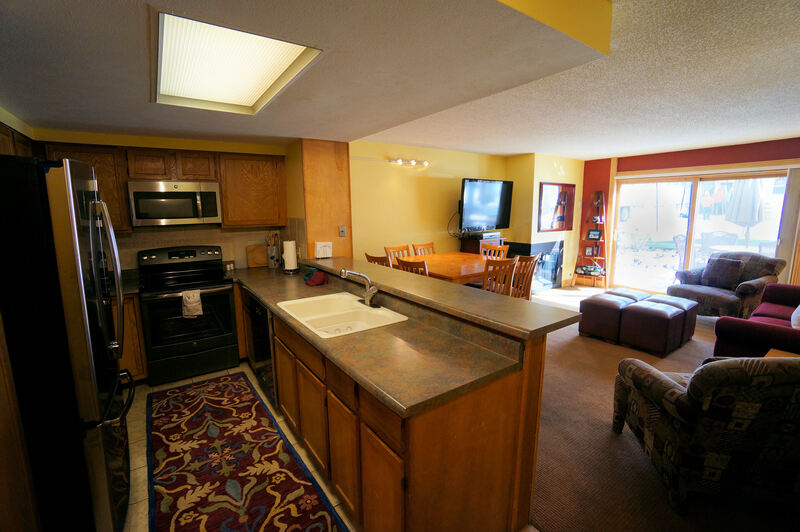 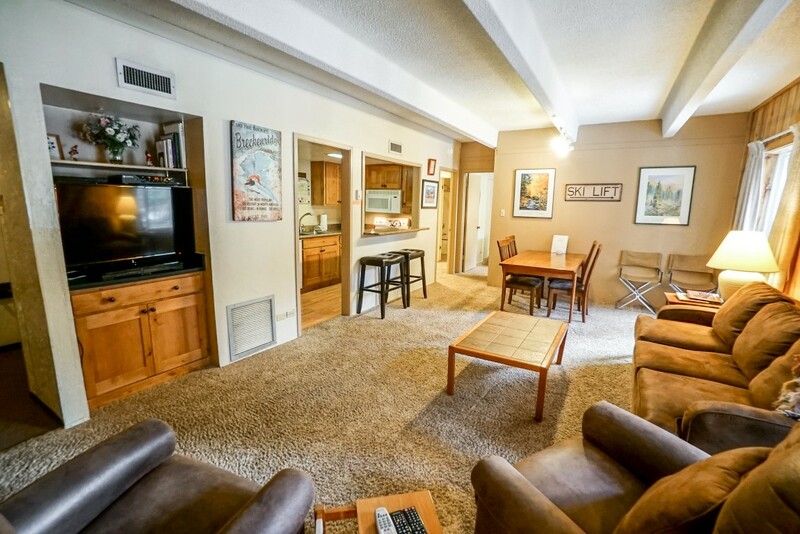 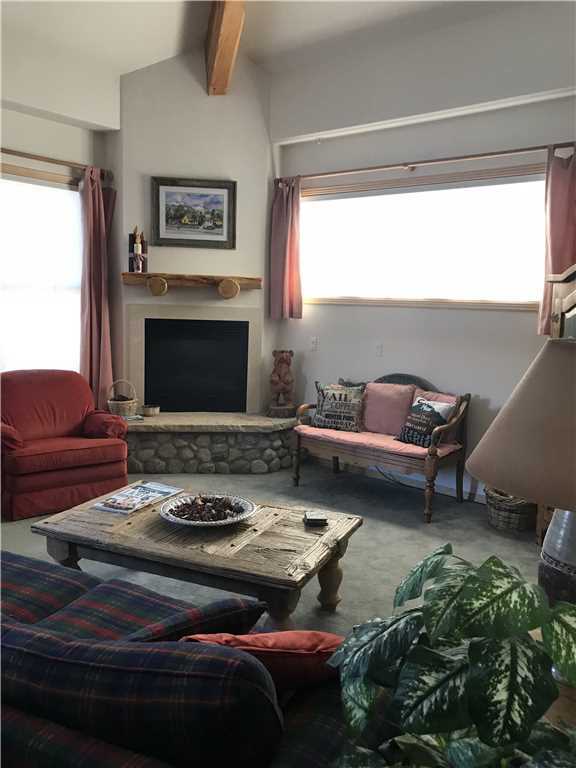 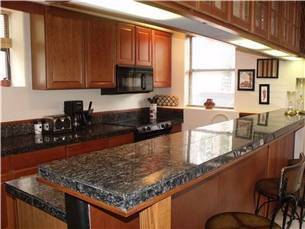 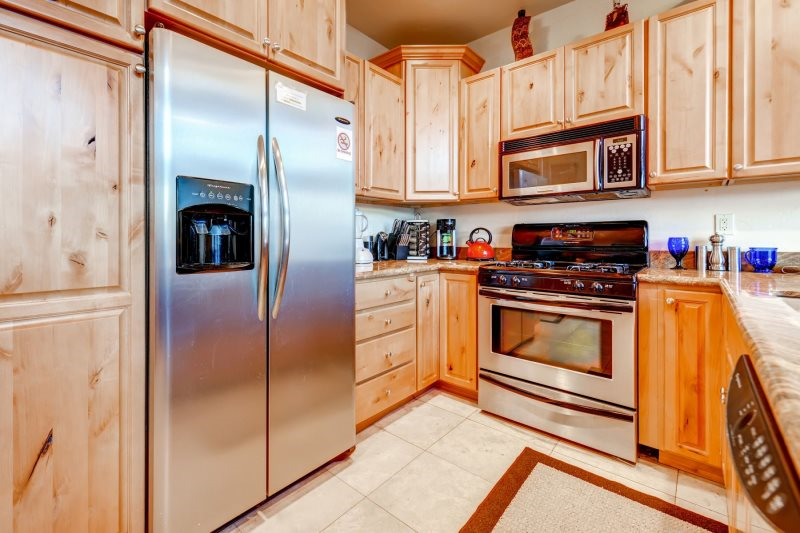 This homey 3 level townhome-style condo comes equipped with a fully-remodeled kitchen, private parking garage, private laundry and hot tub. 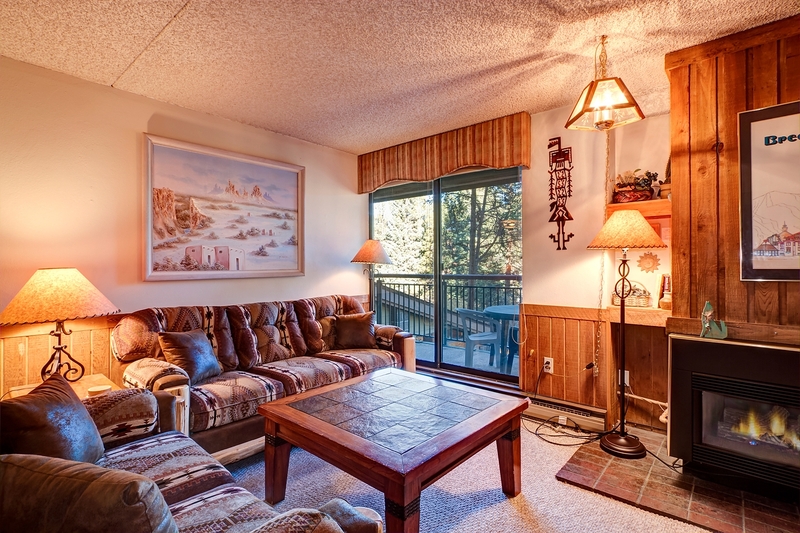 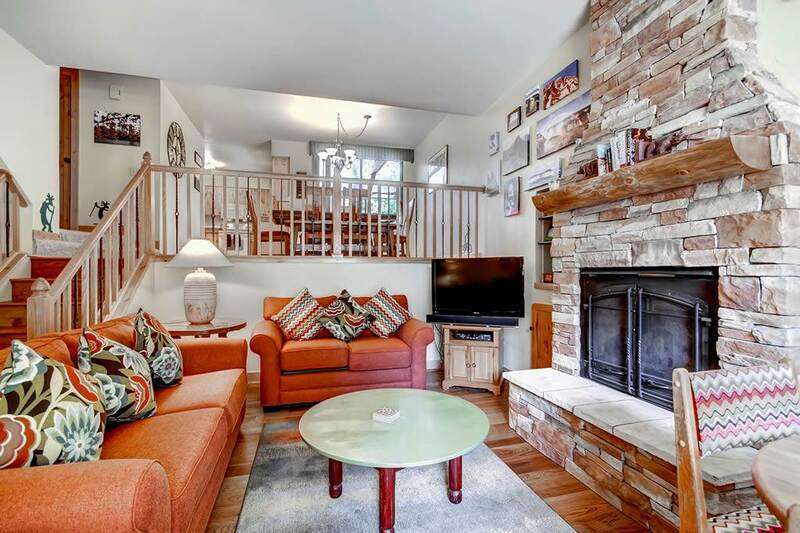 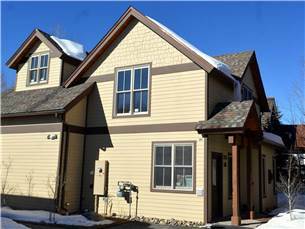 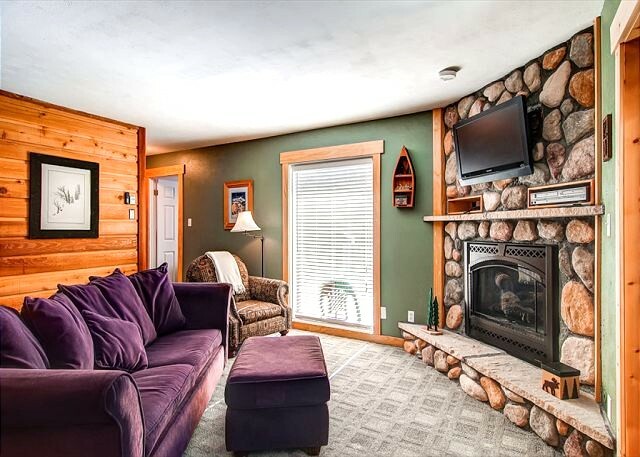 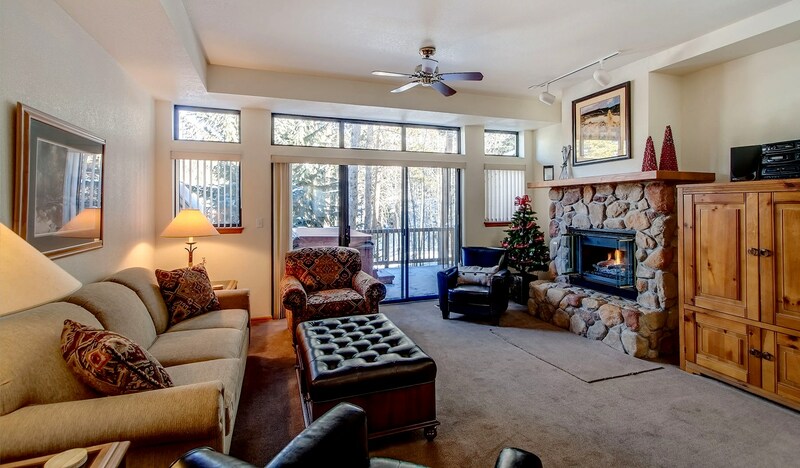 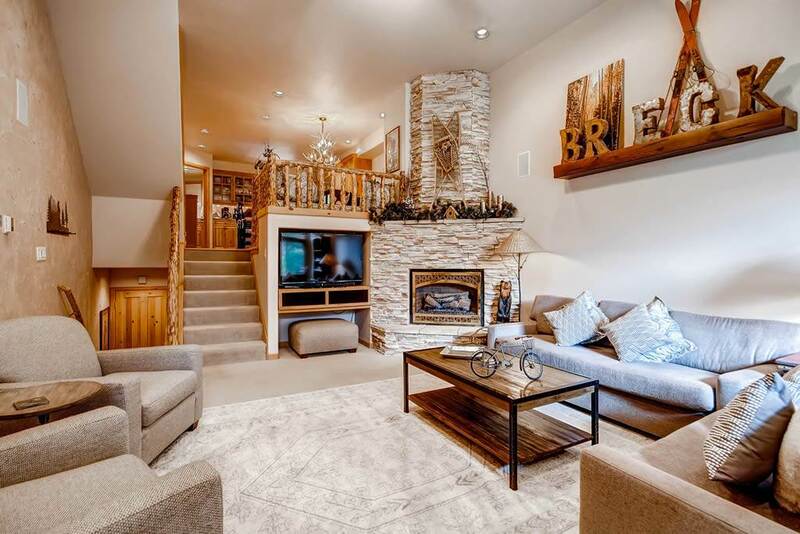 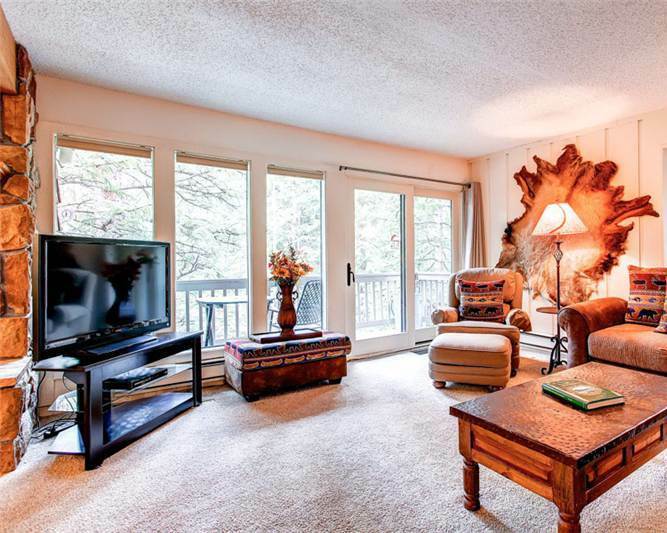 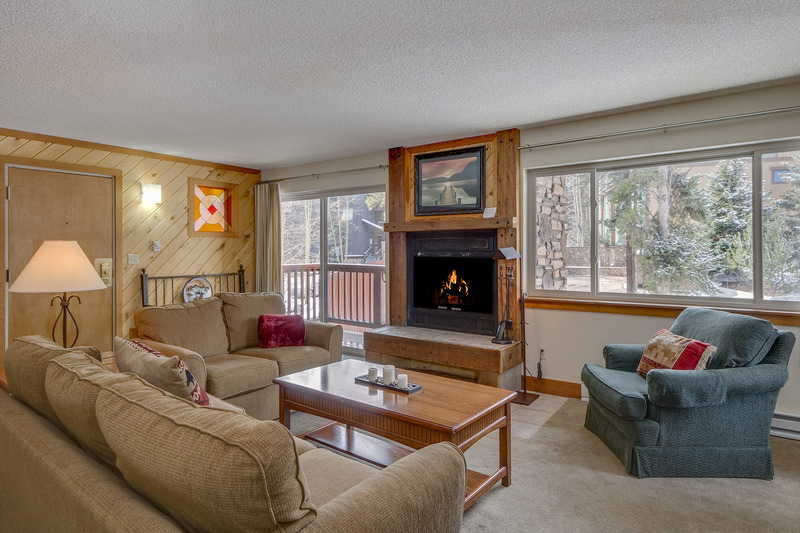 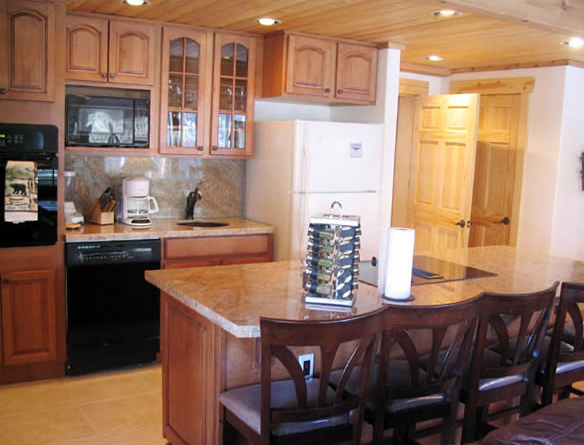 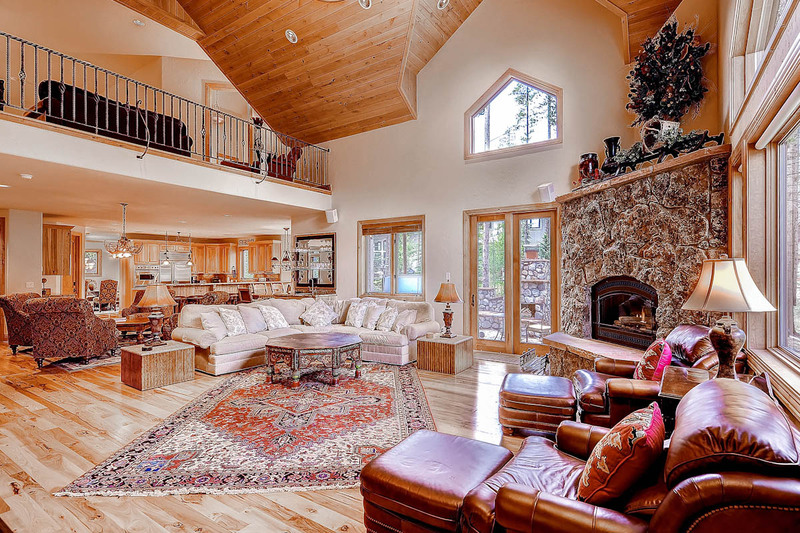 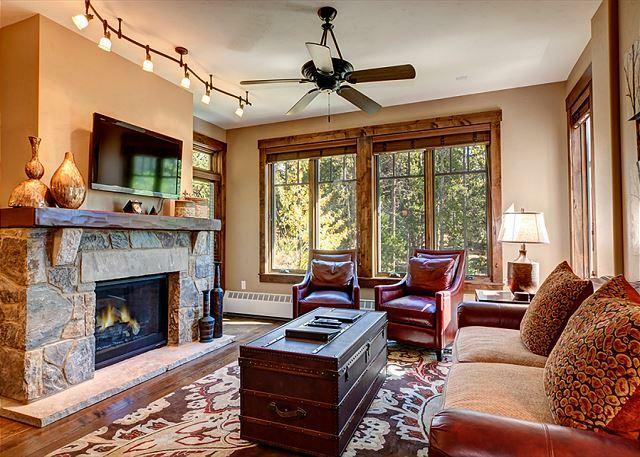 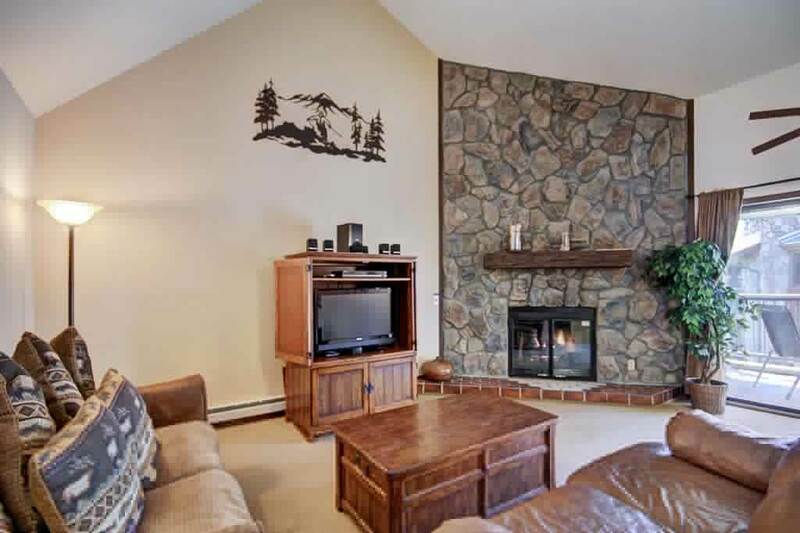 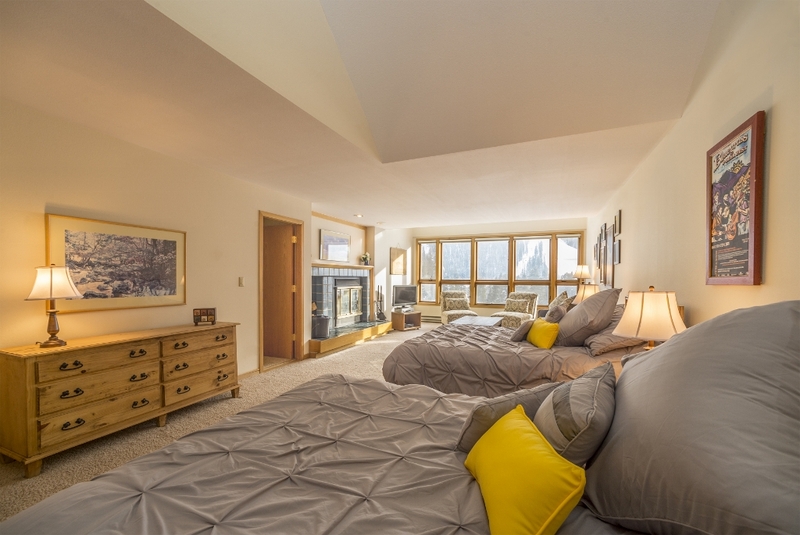 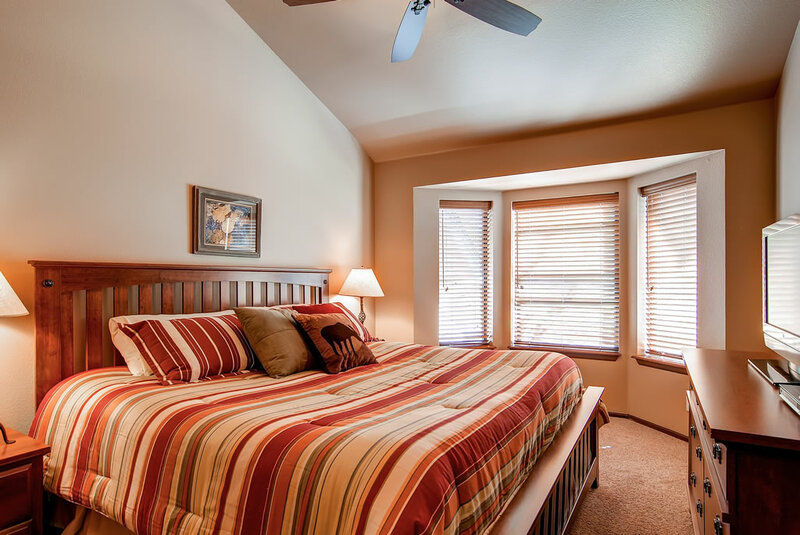 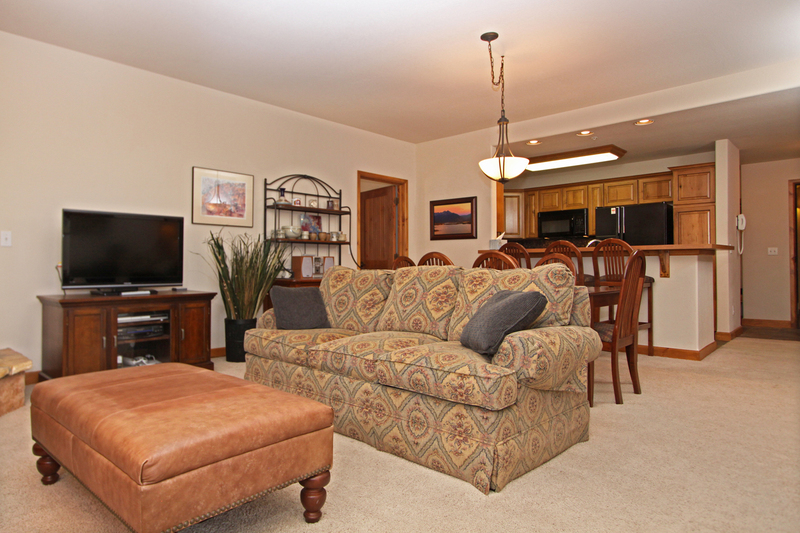 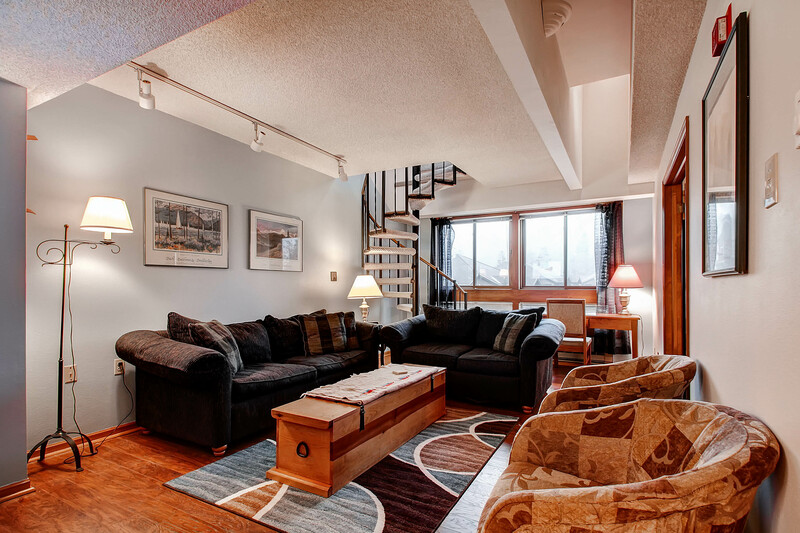 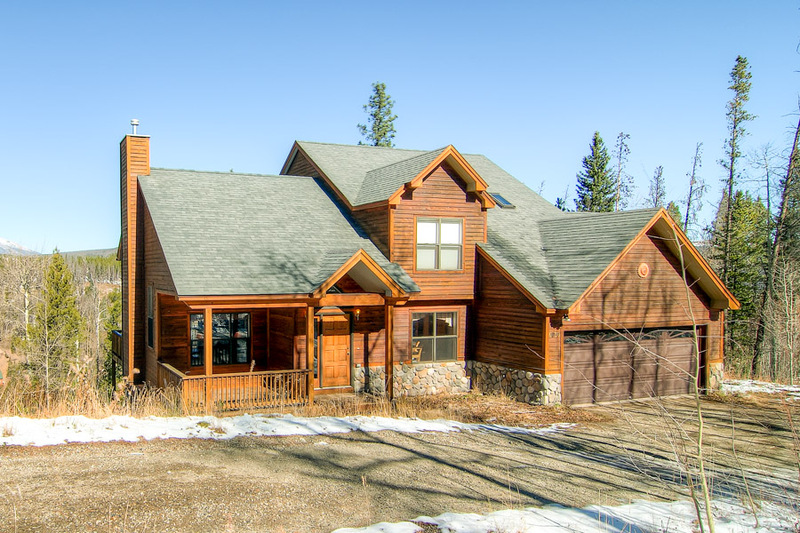 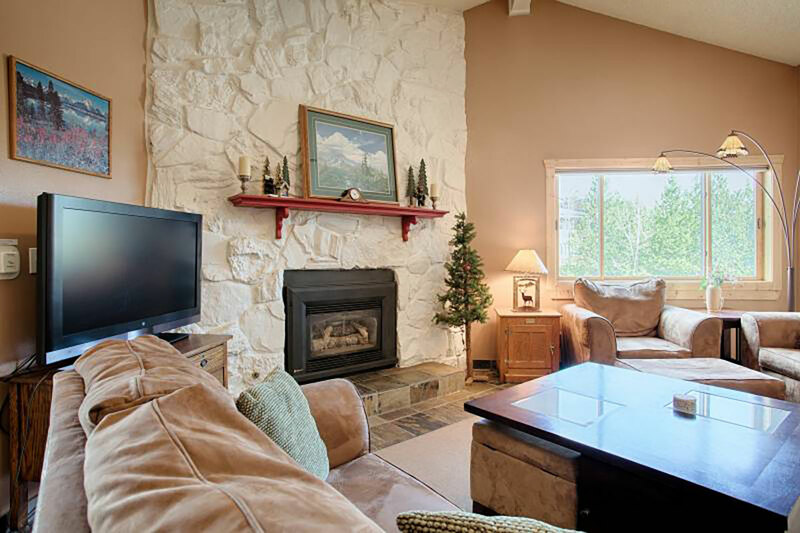 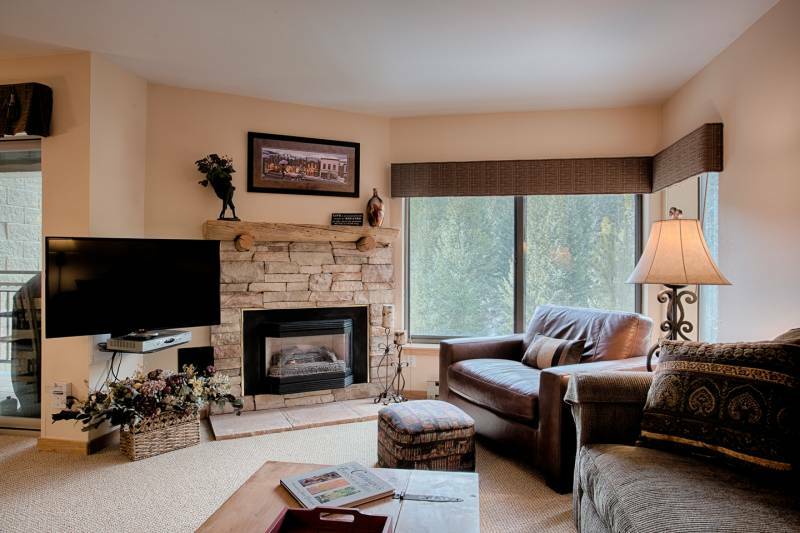 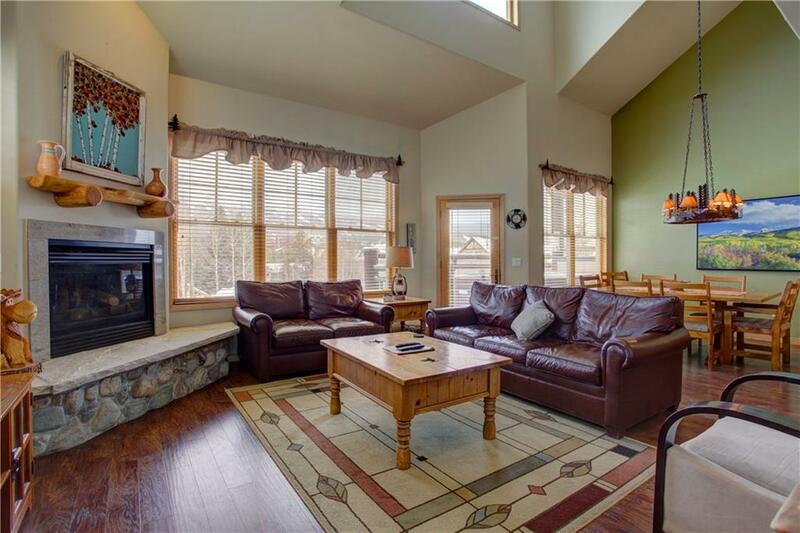 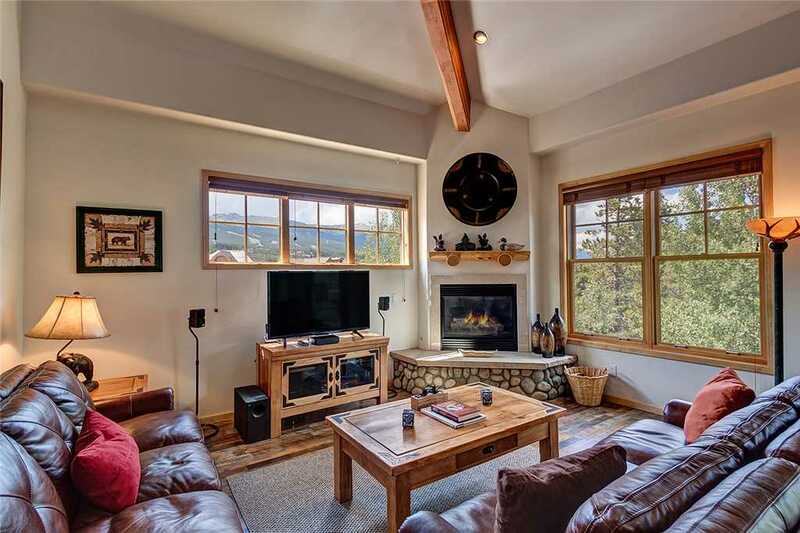 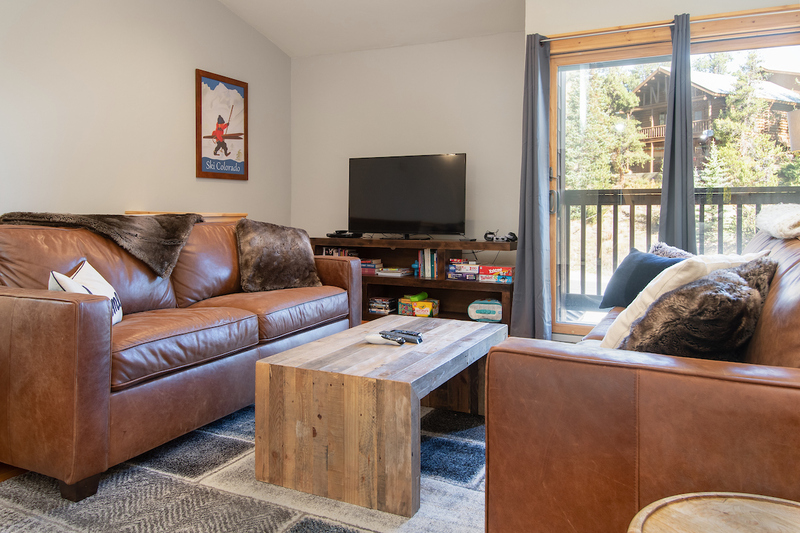 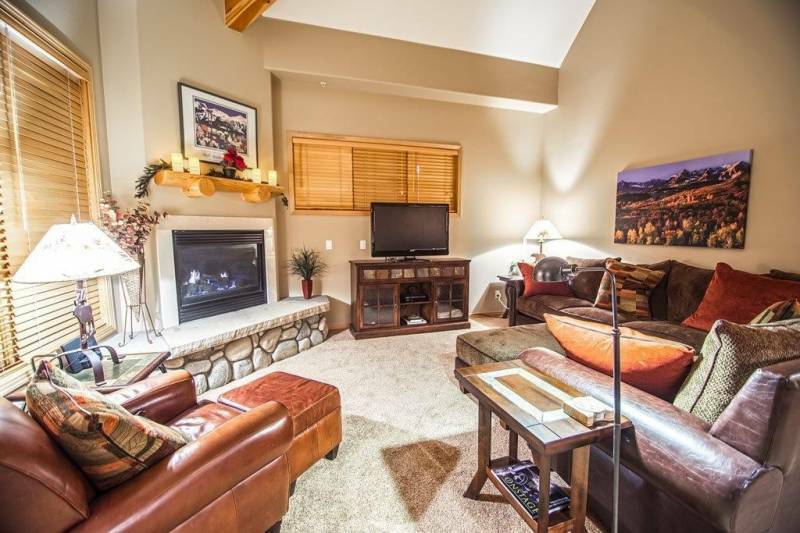 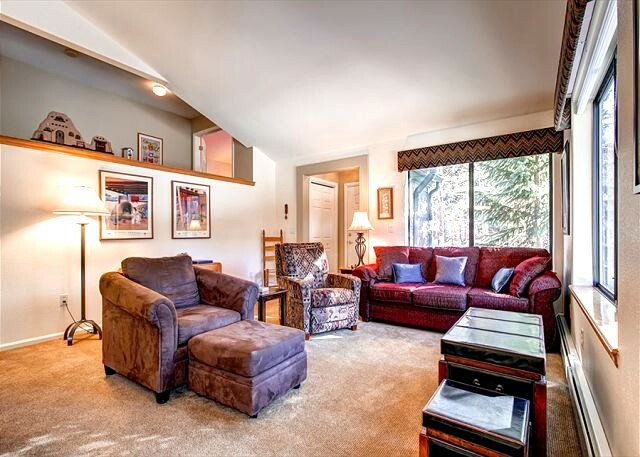 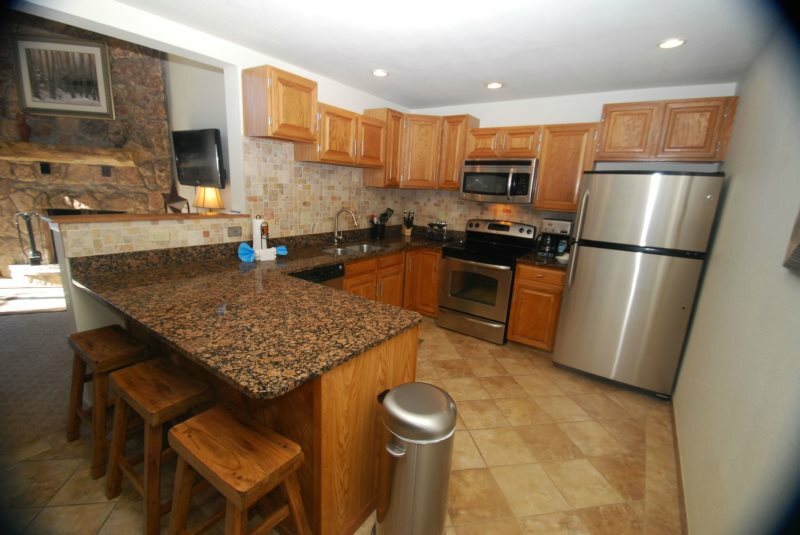 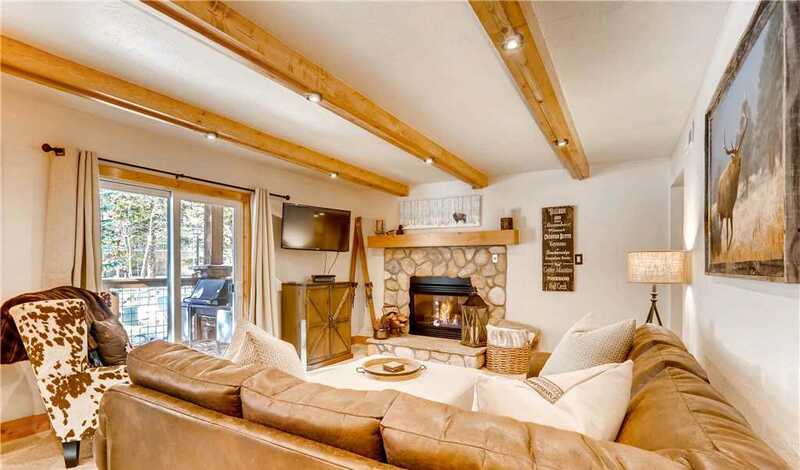 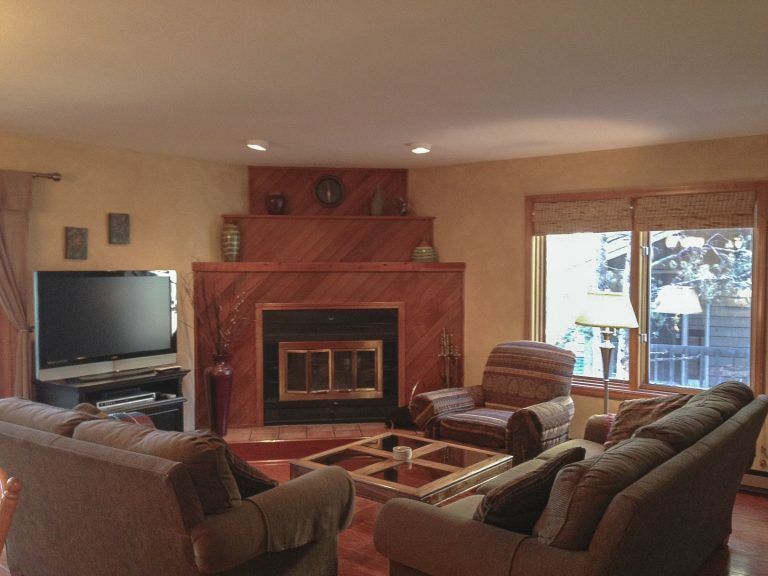 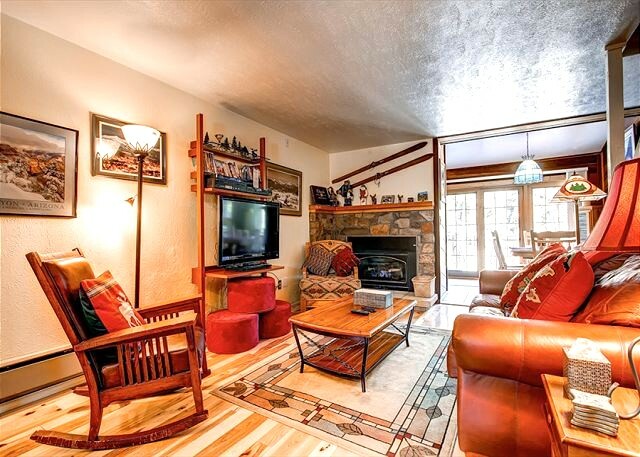 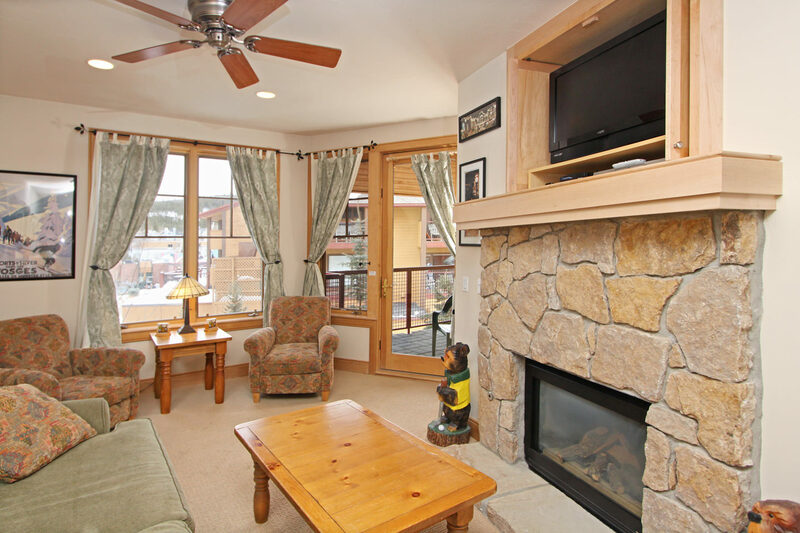 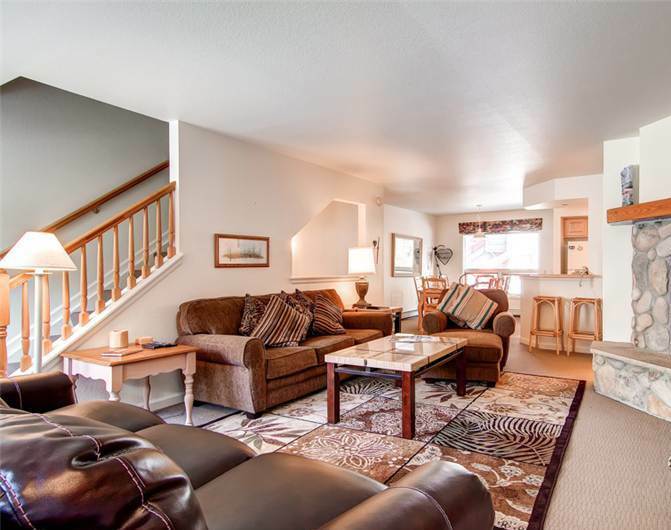 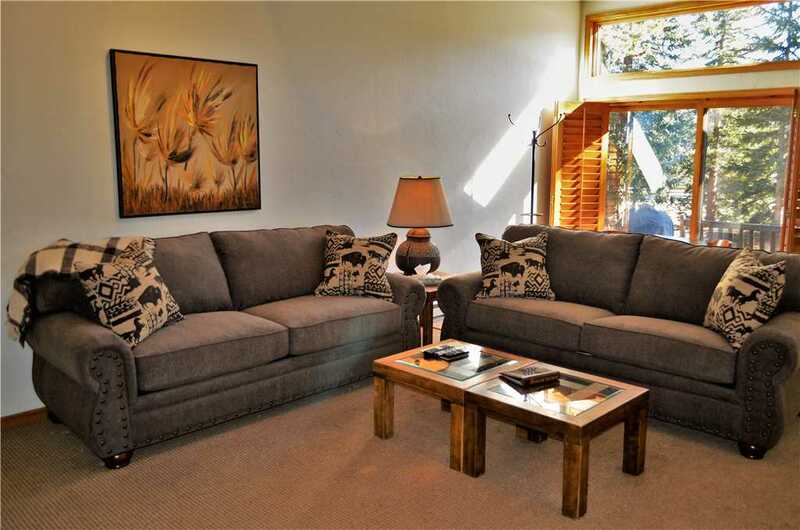 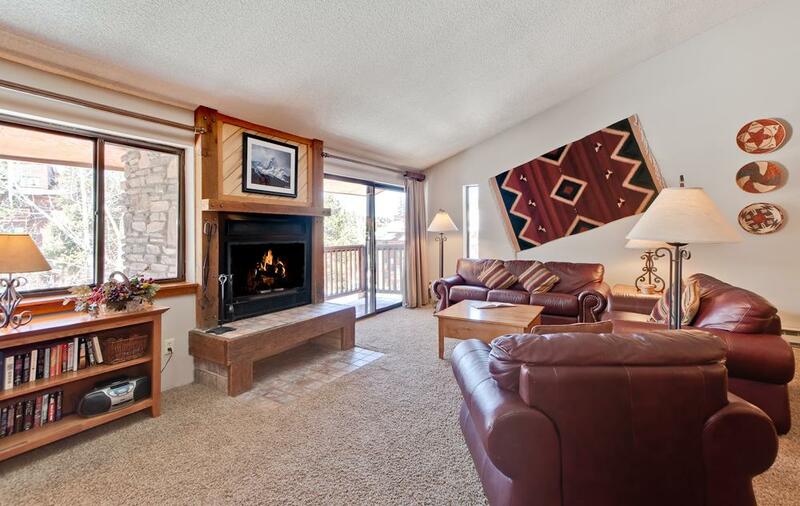 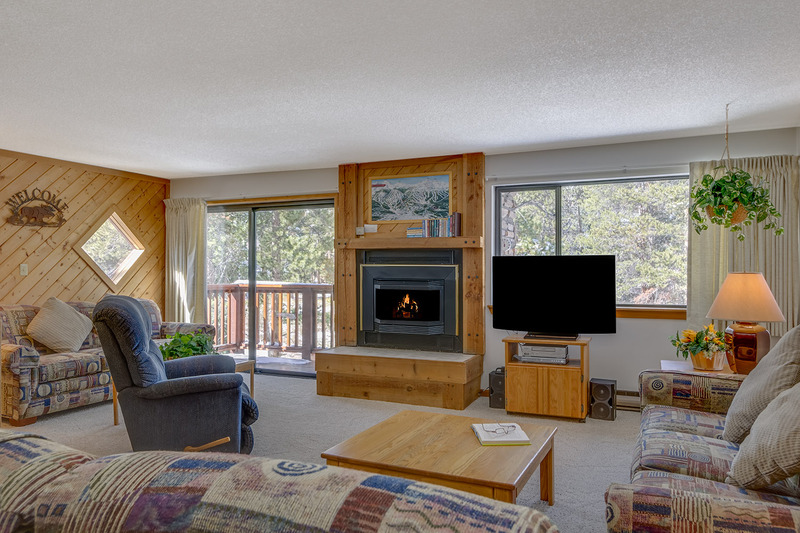 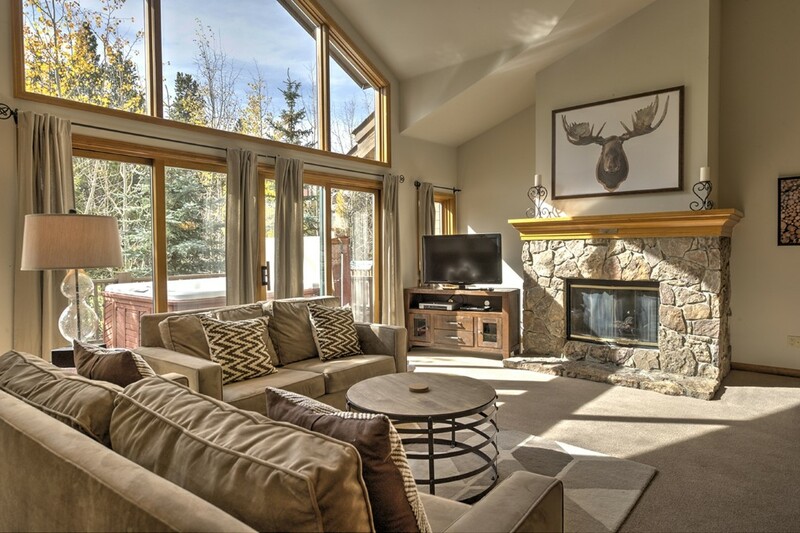 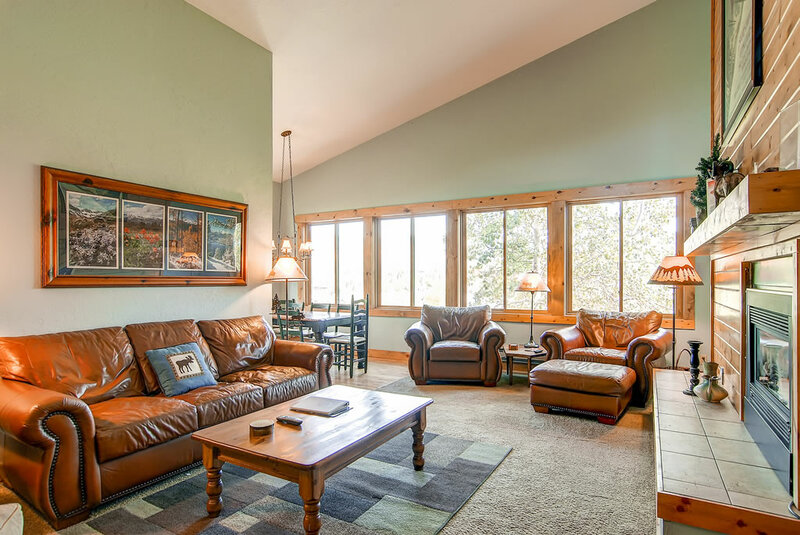 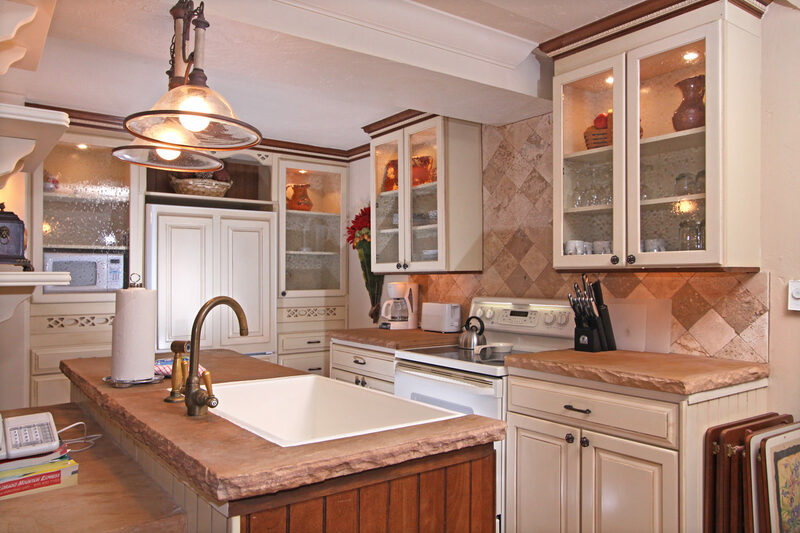 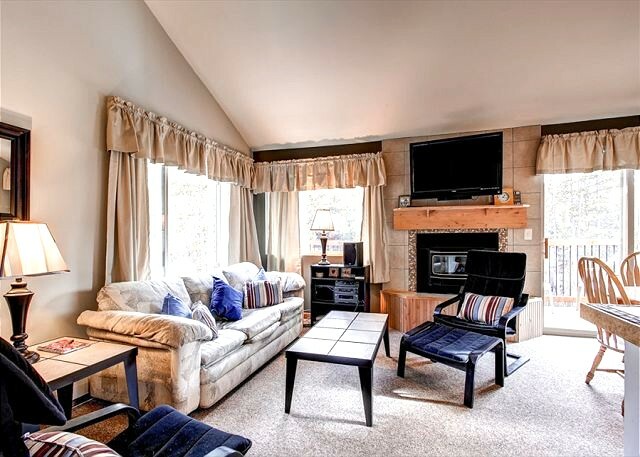 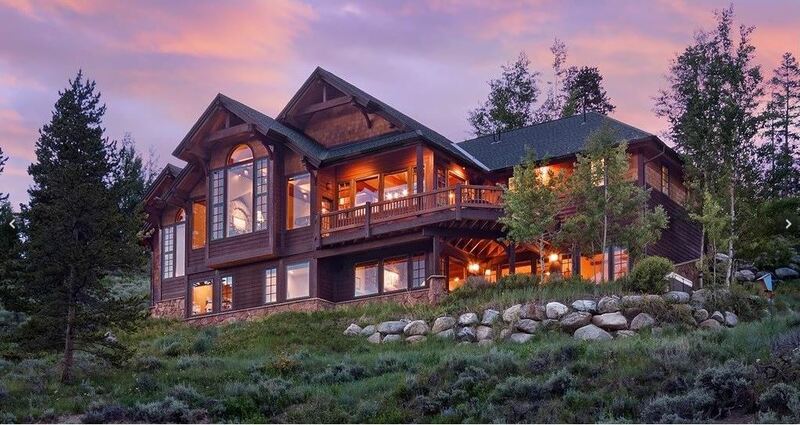 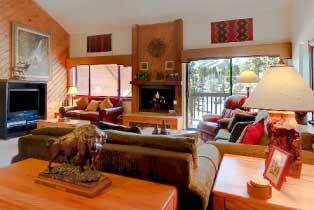 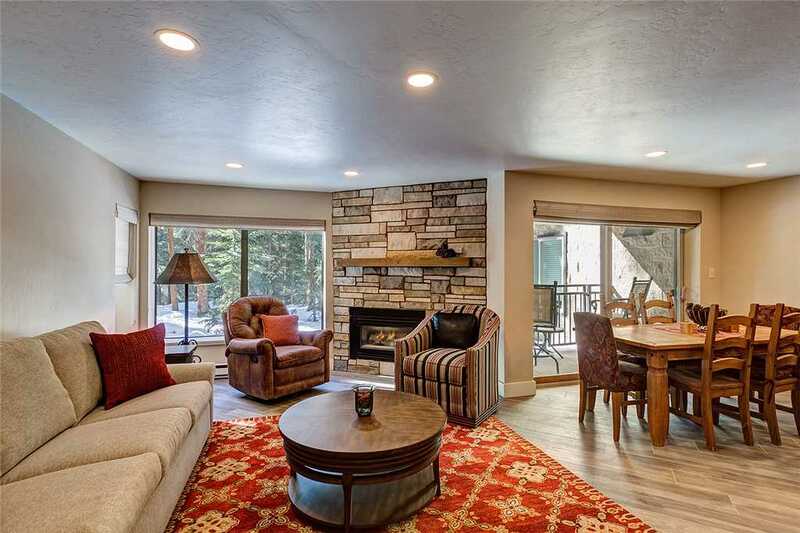 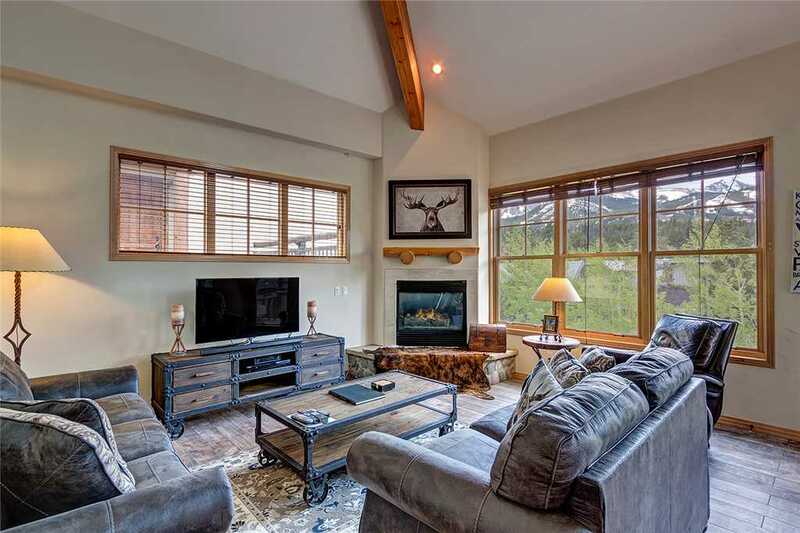 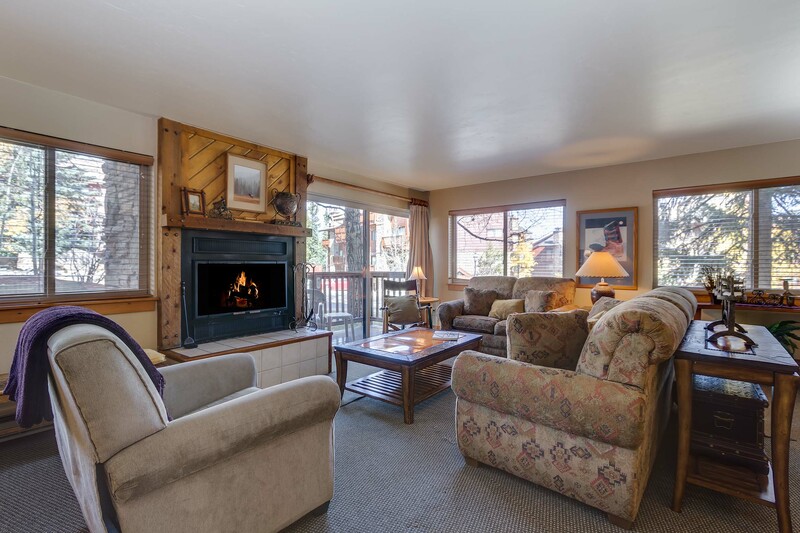 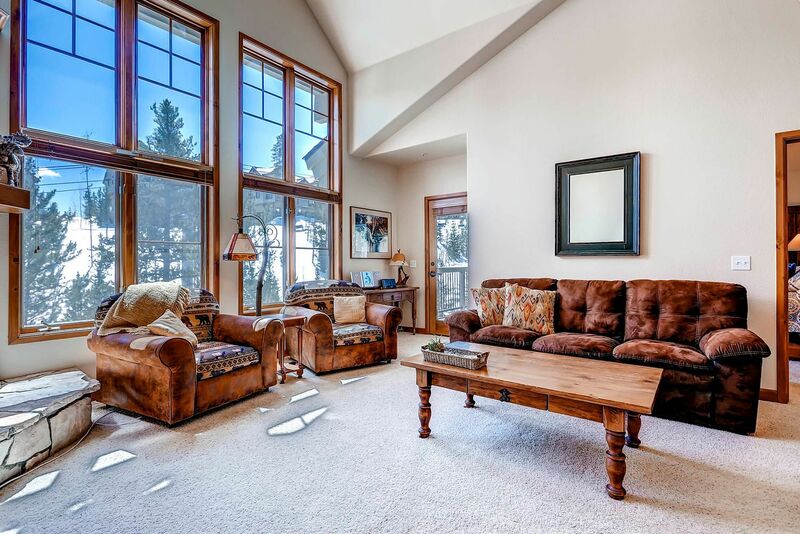 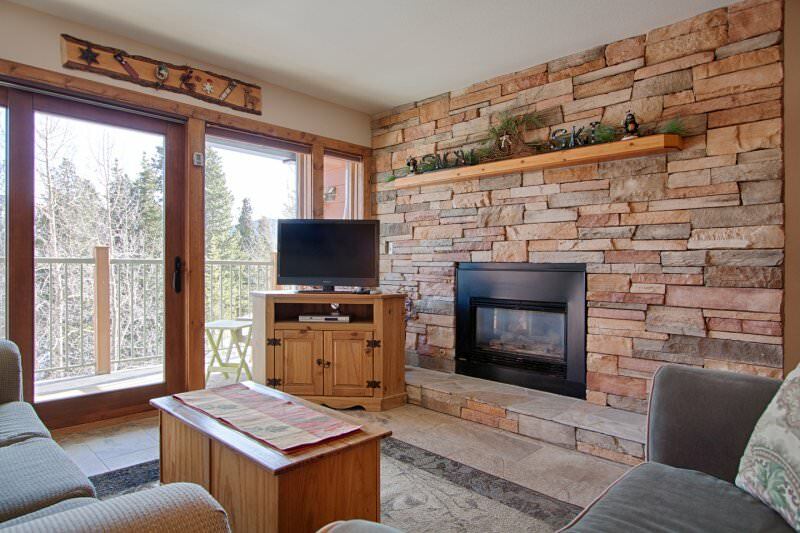 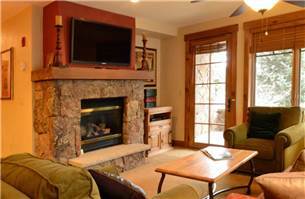 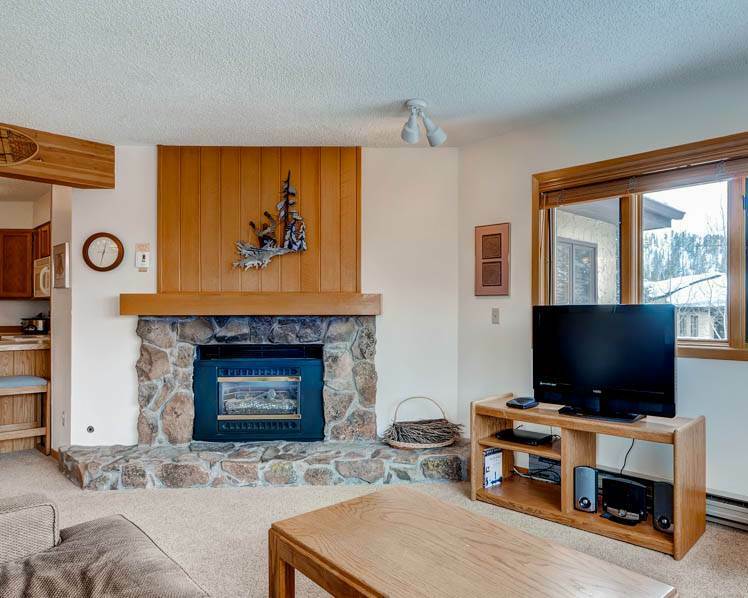 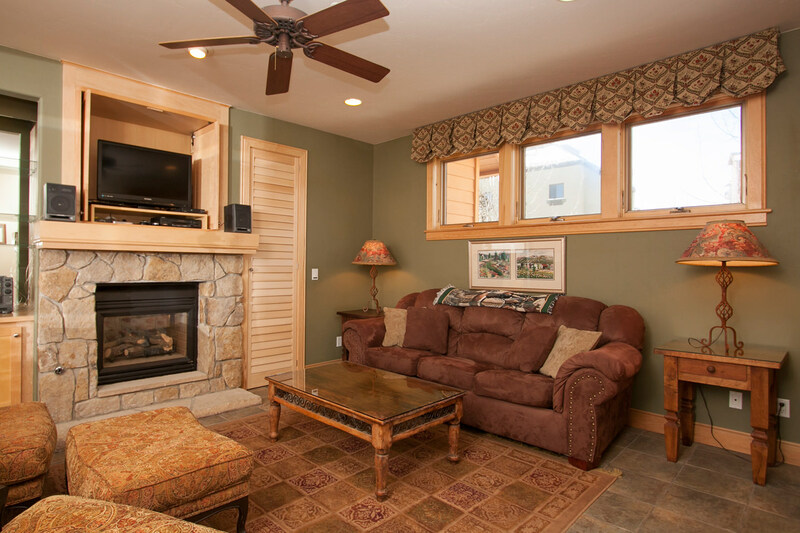 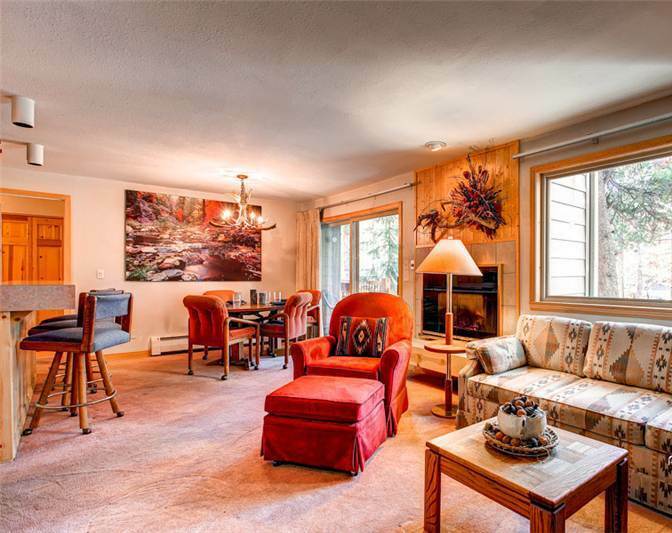 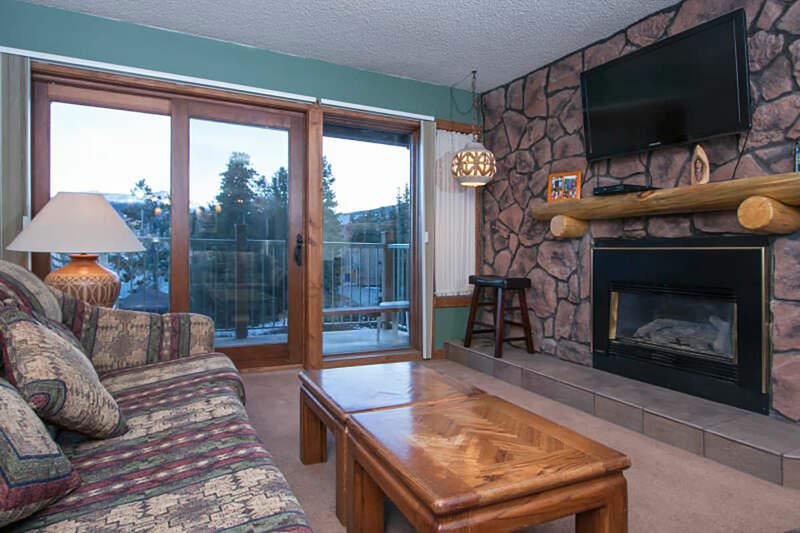 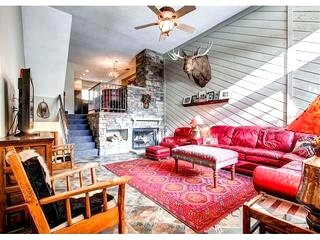 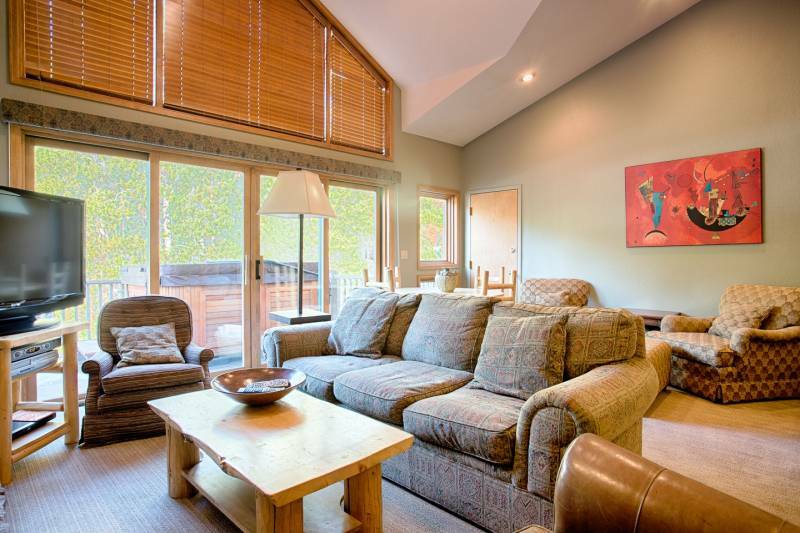 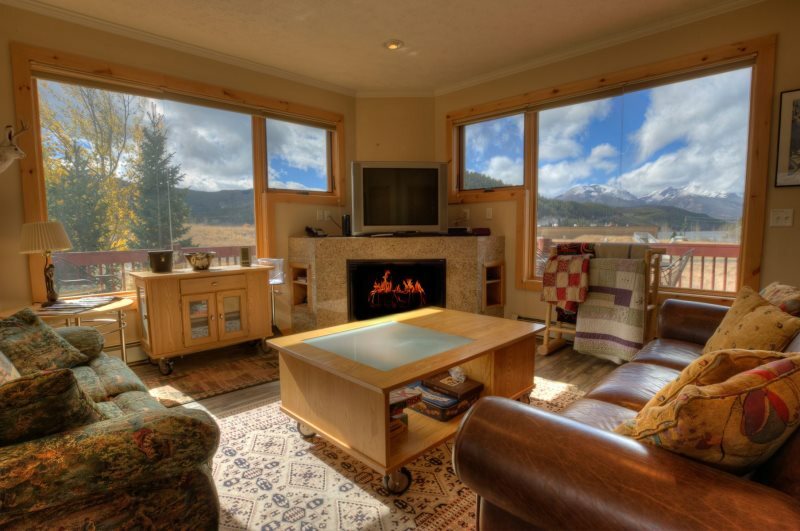 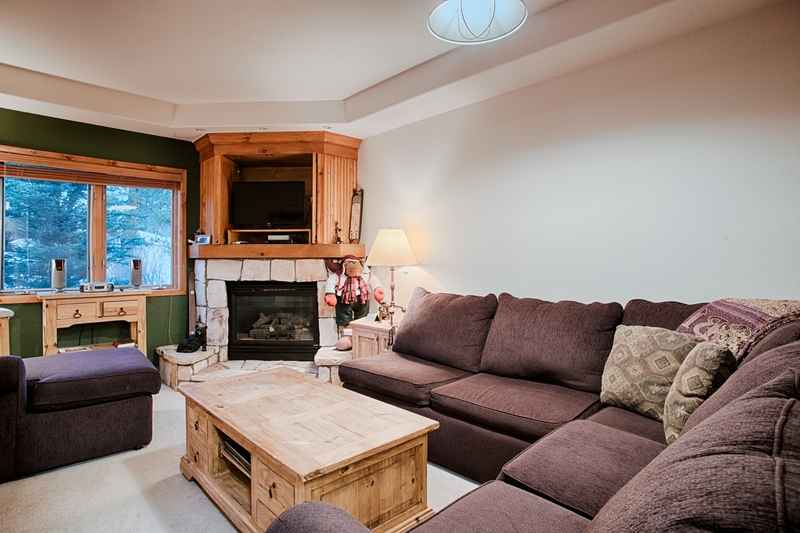 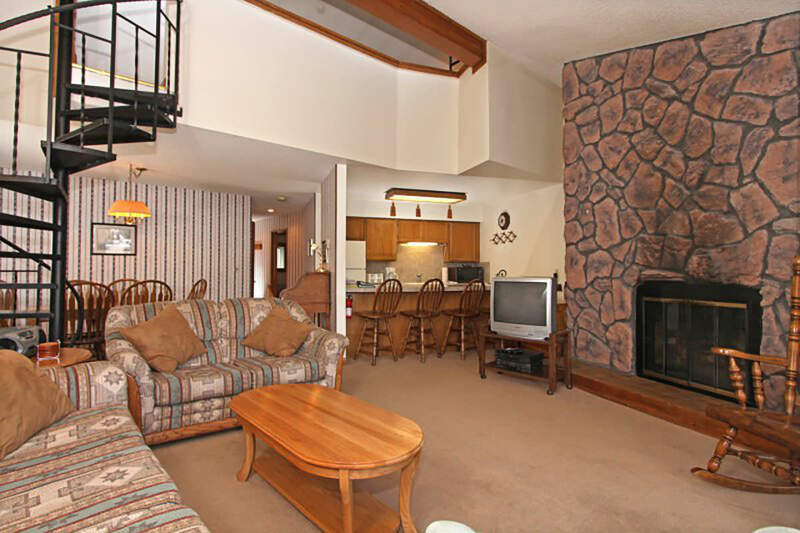 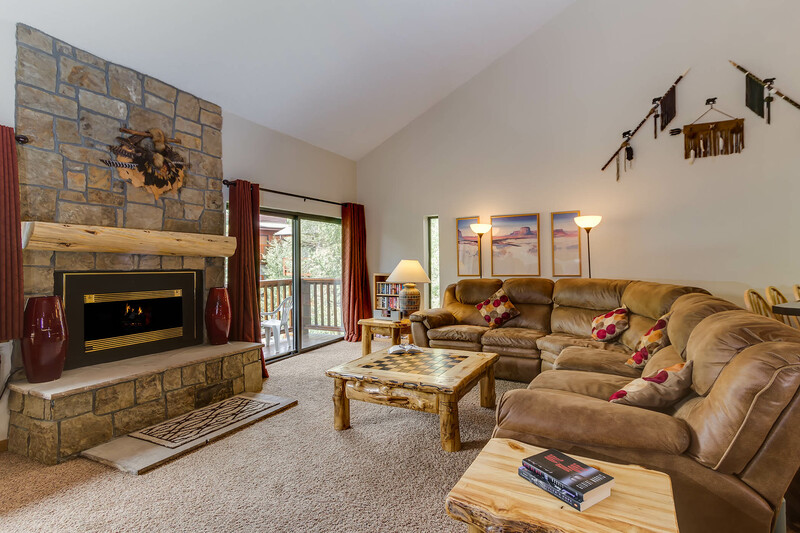 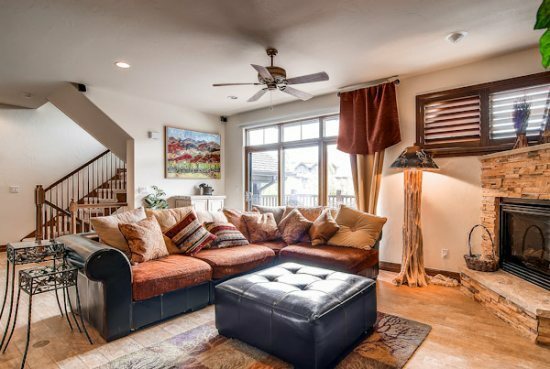 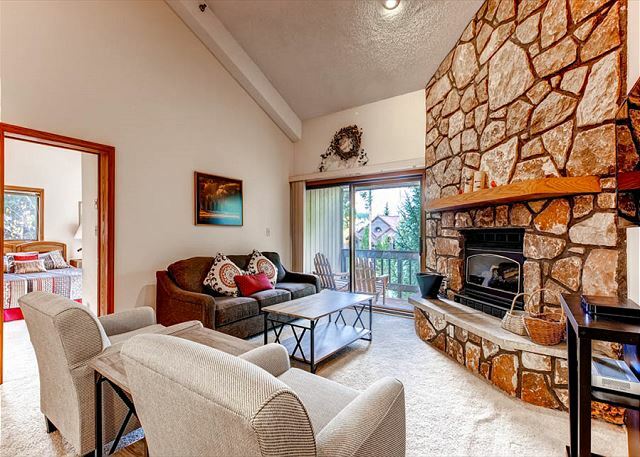 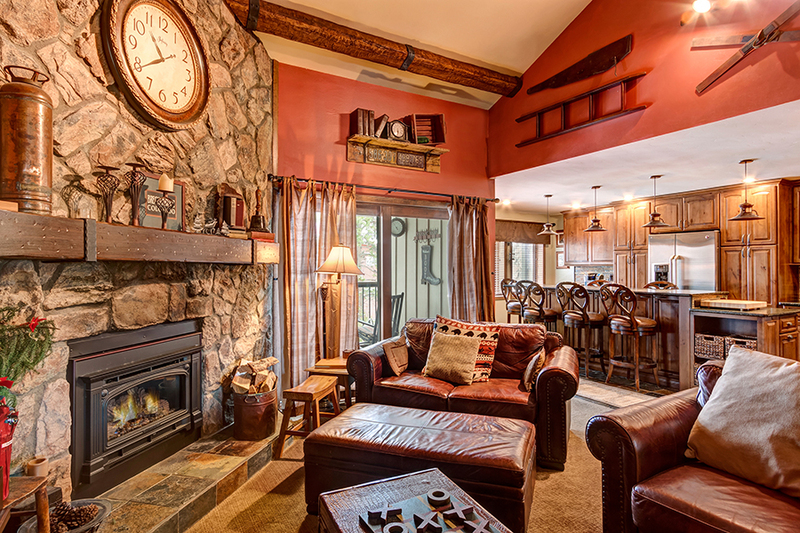 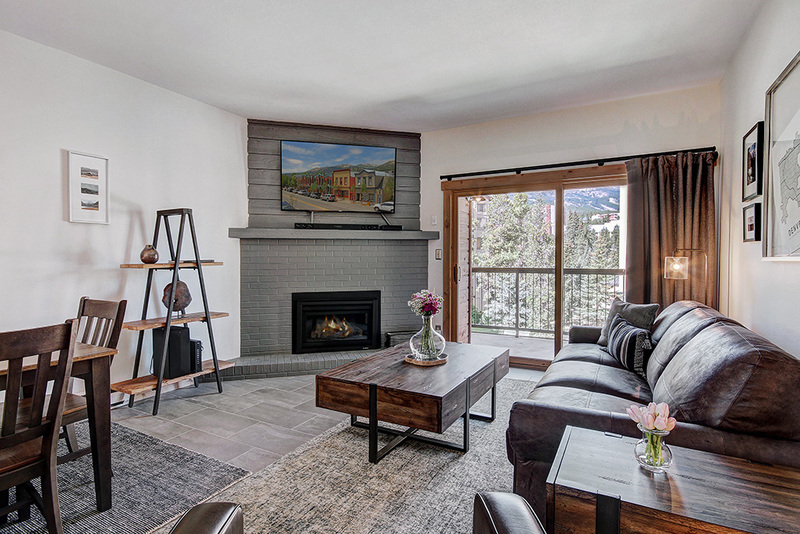 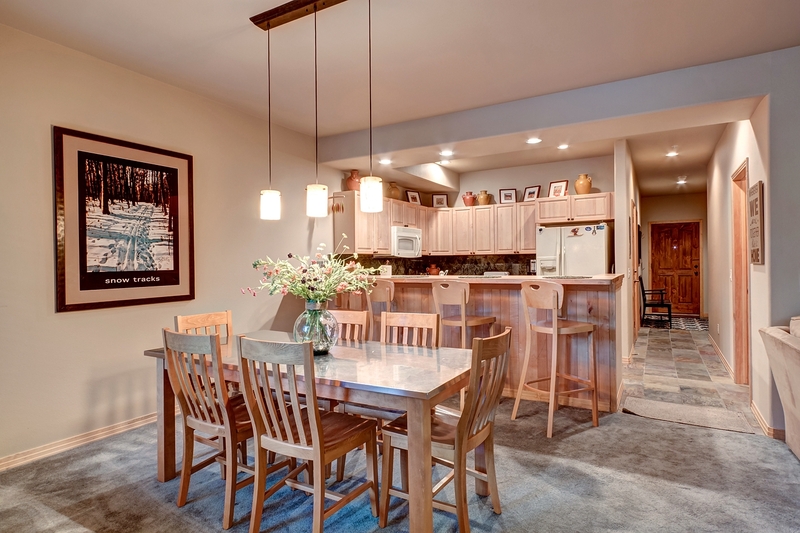 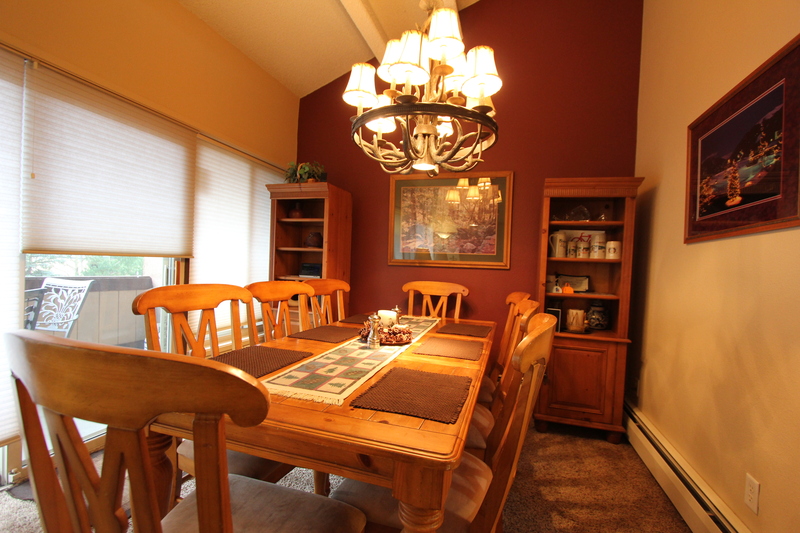 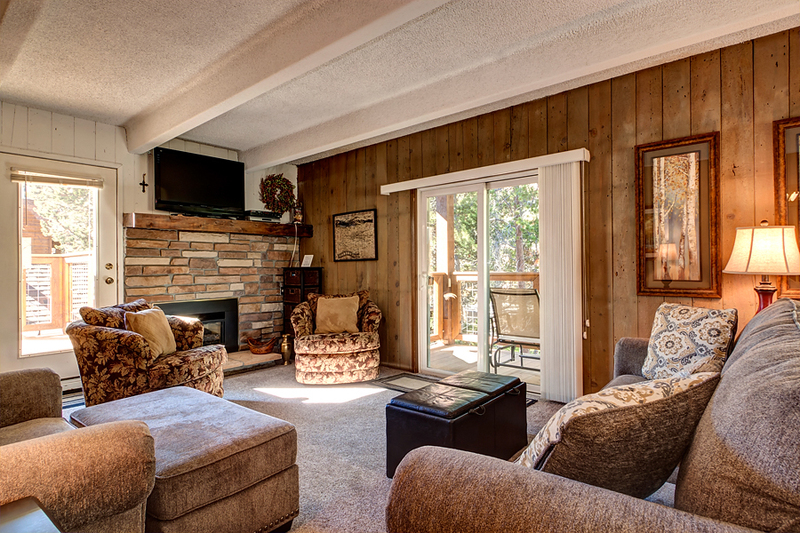 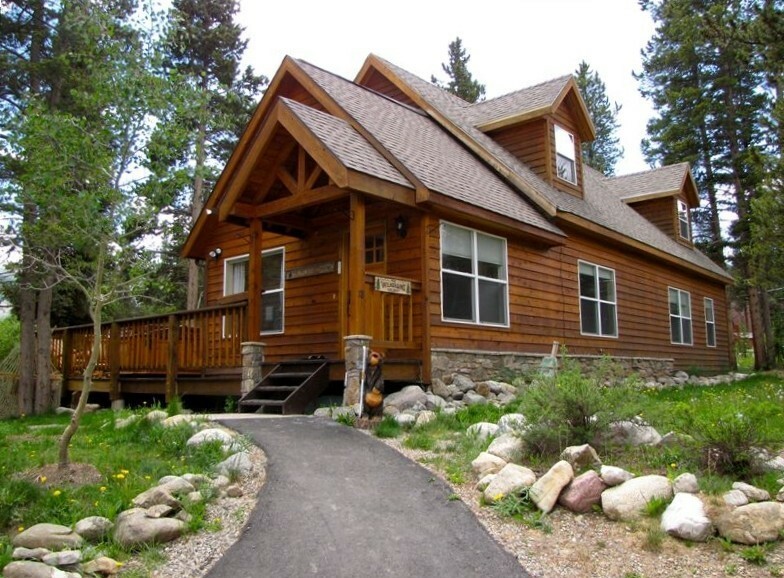 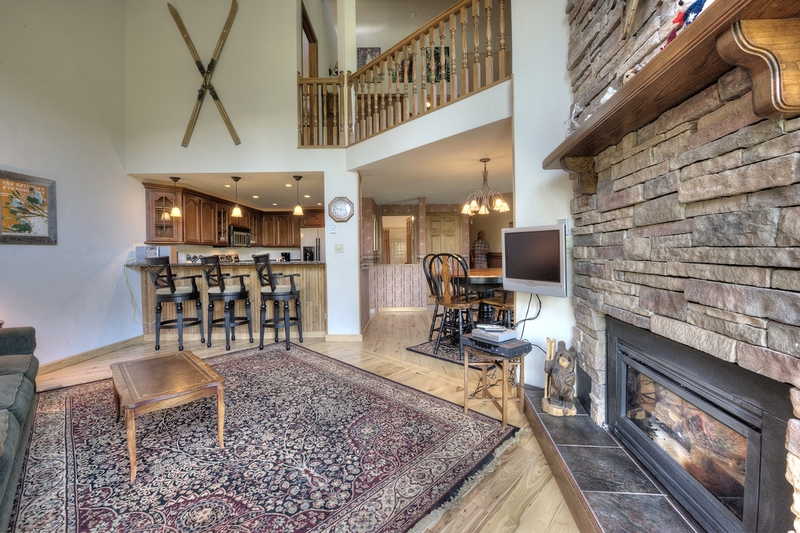 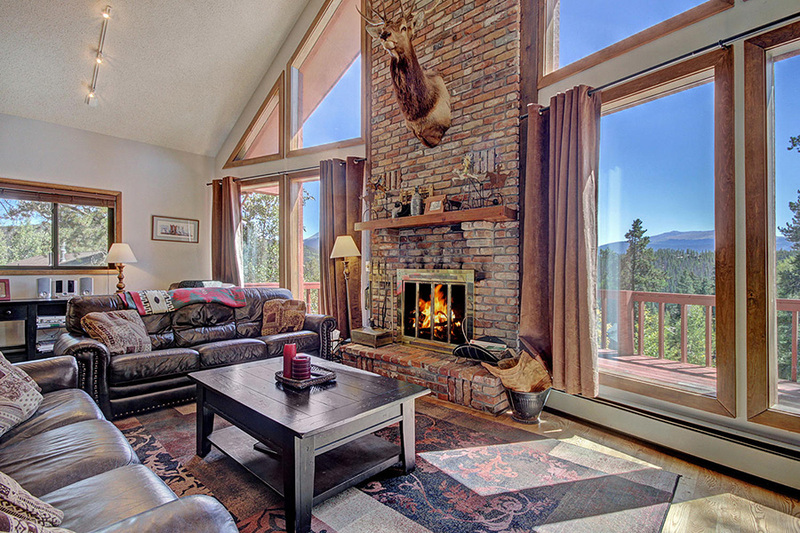 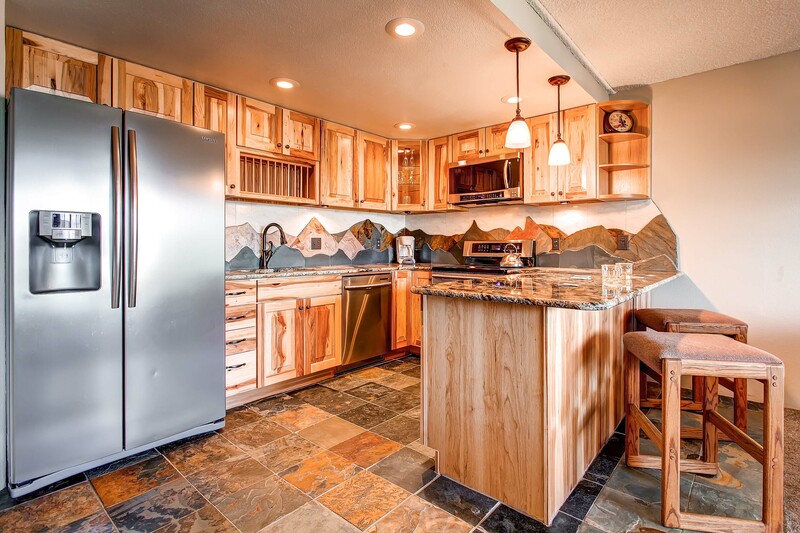 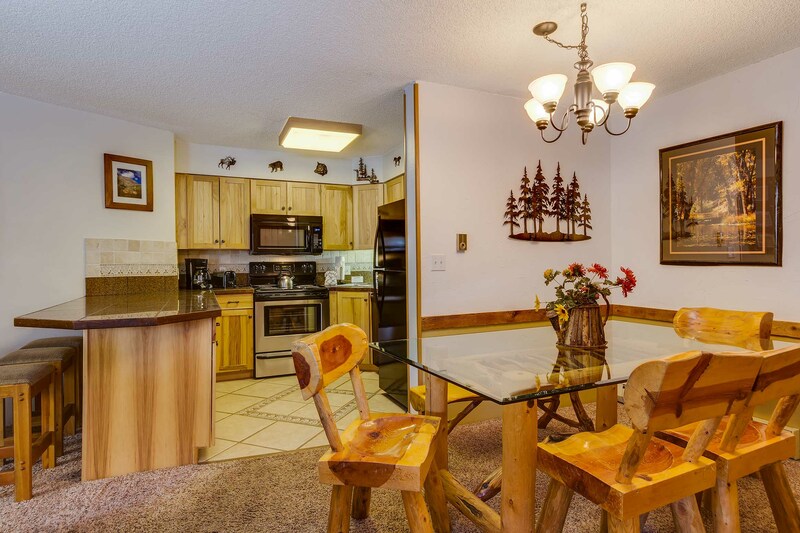 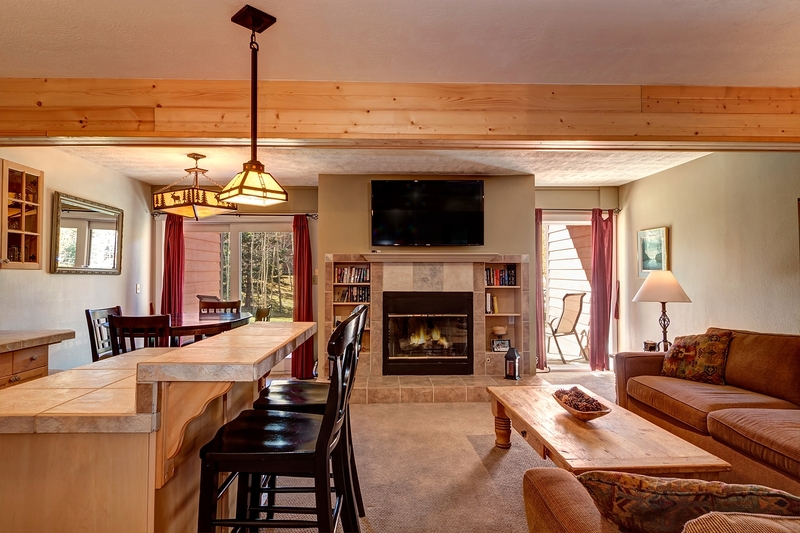 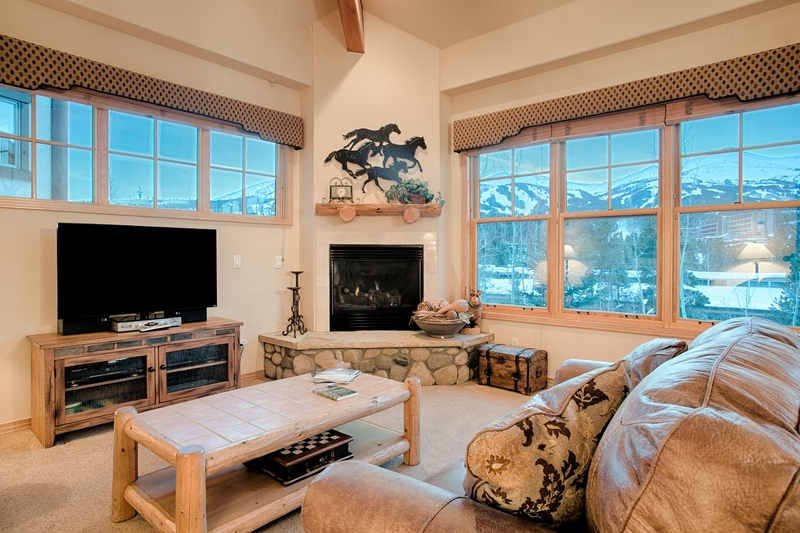 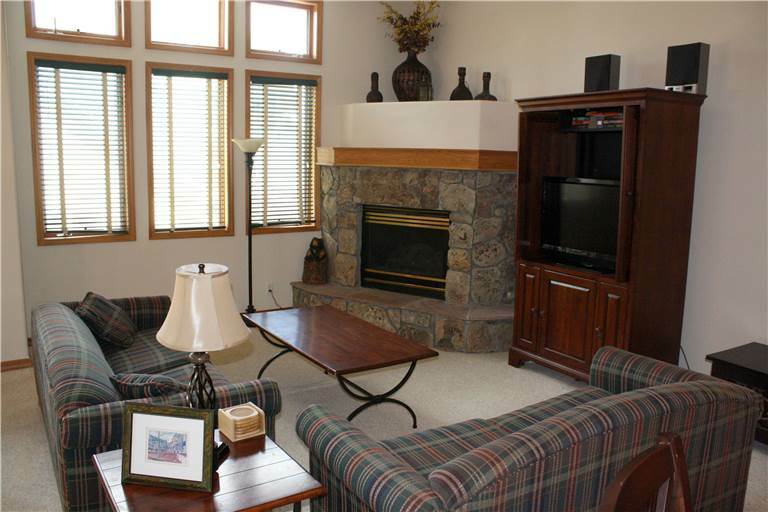 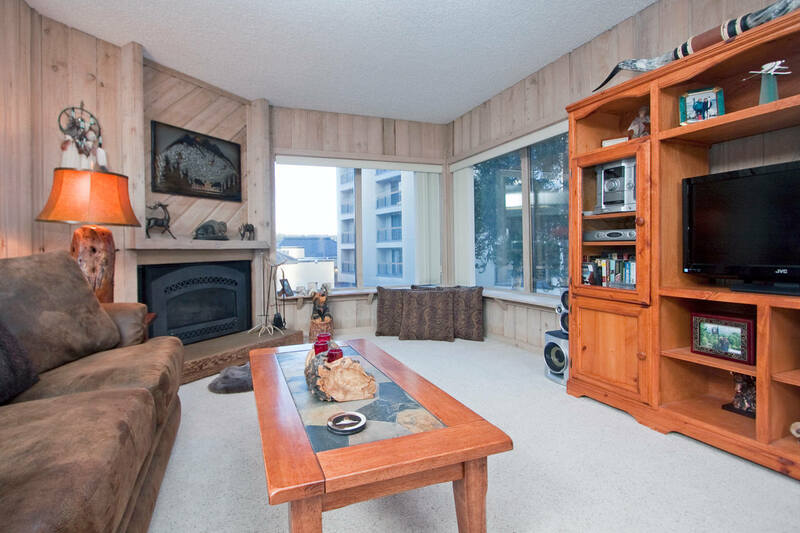 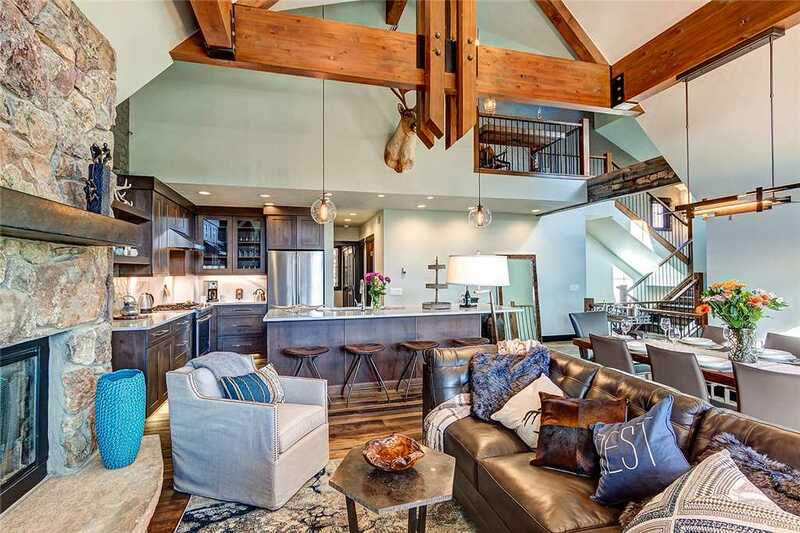 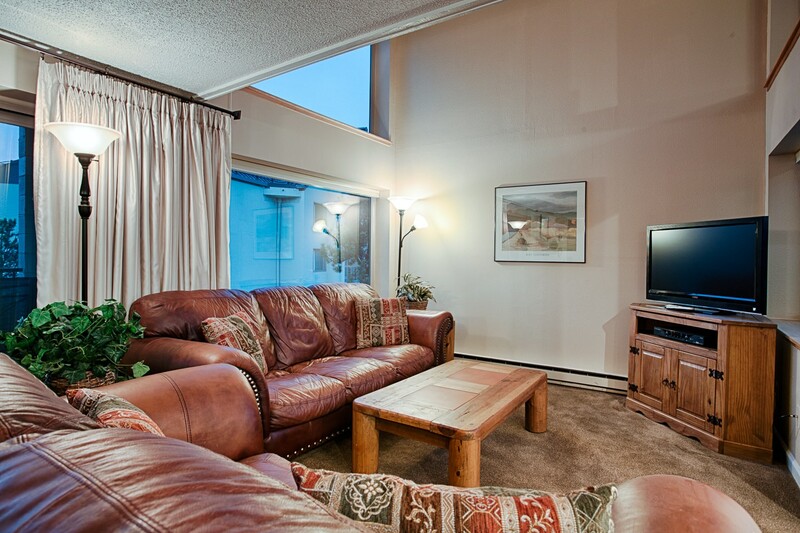 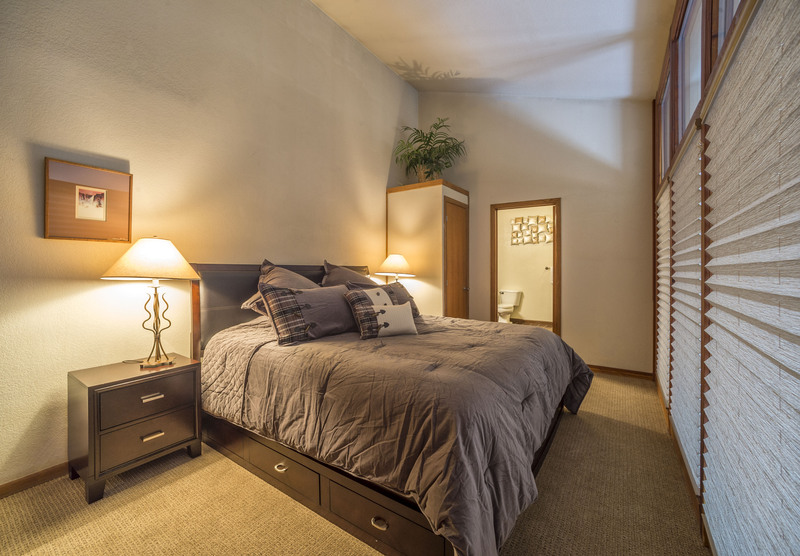 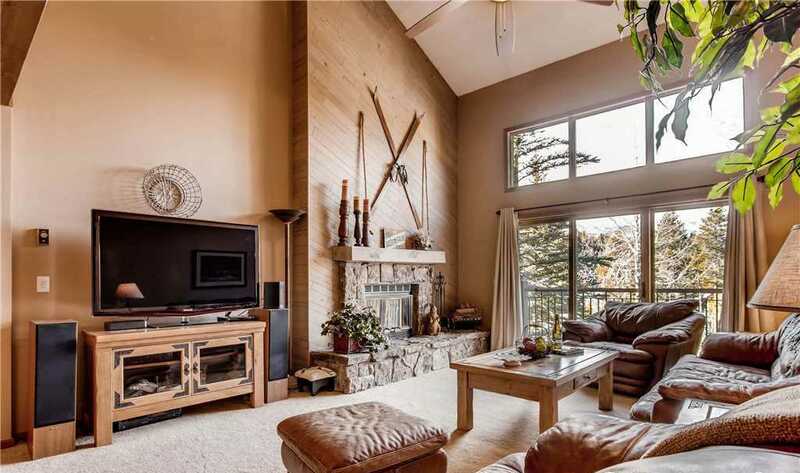 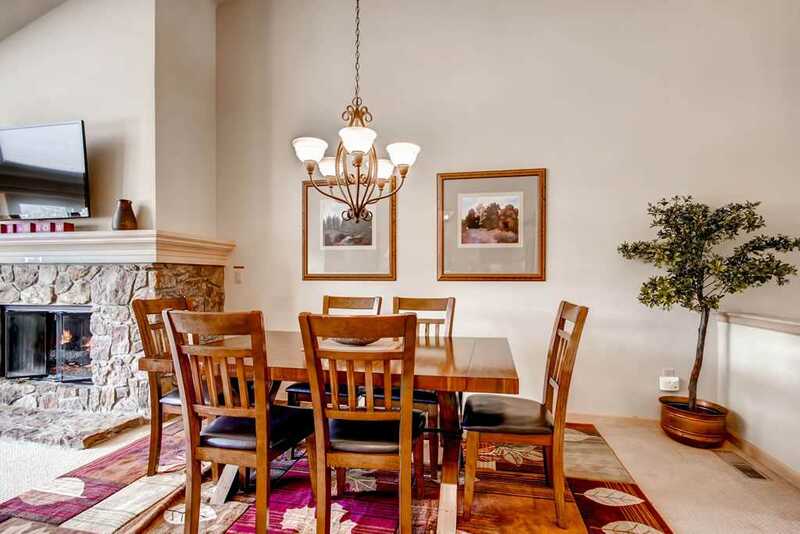 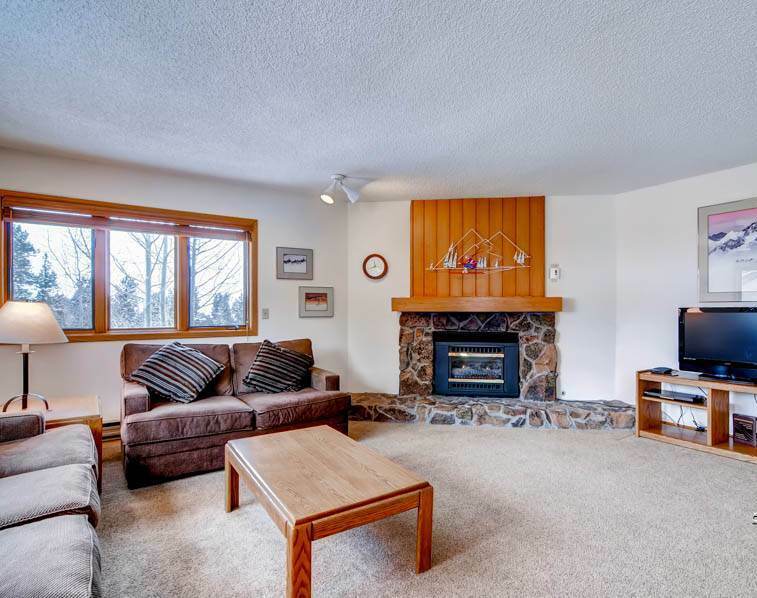 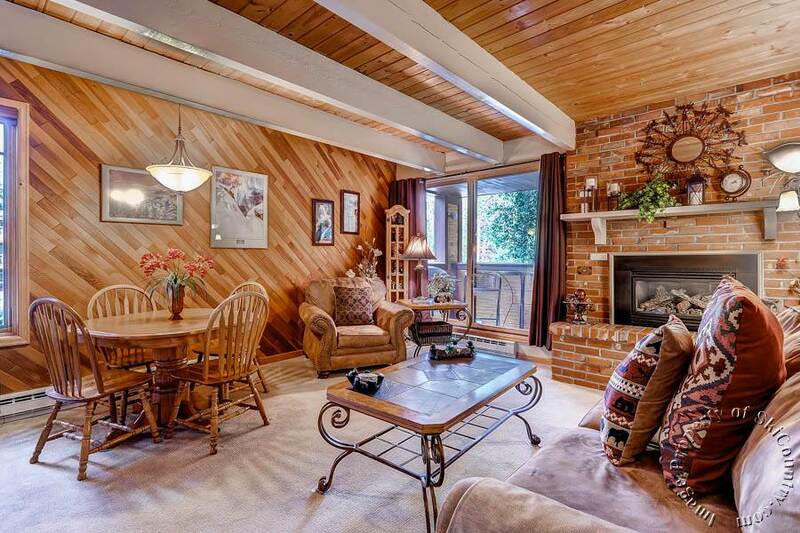 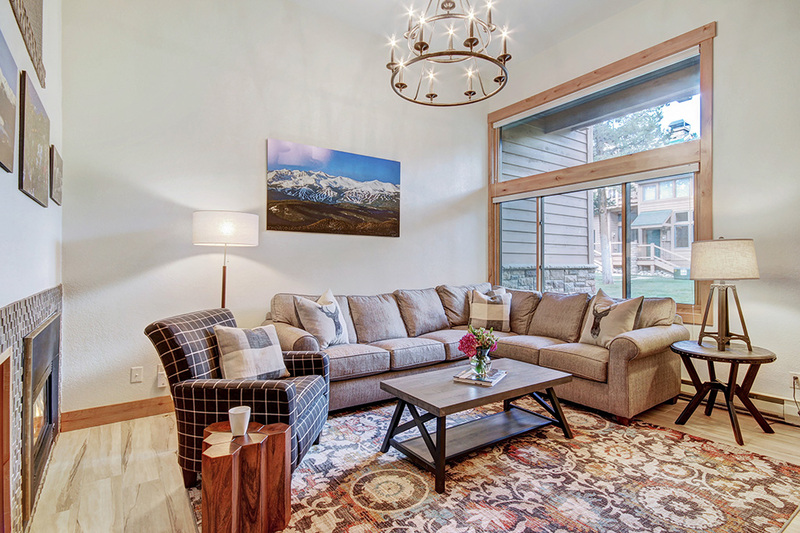 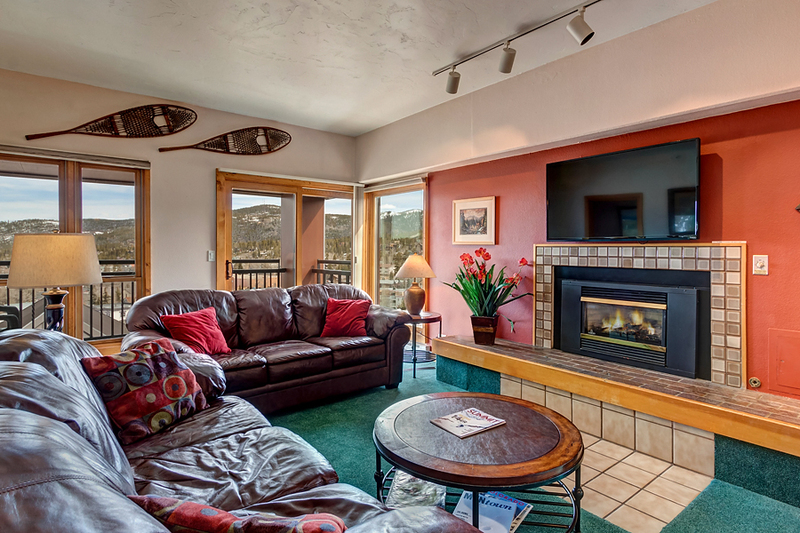 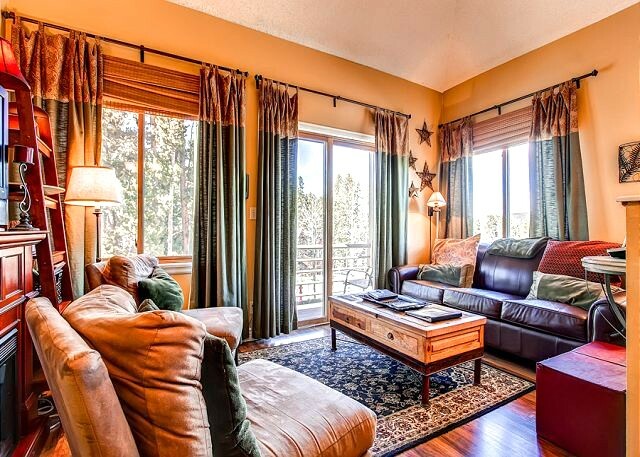 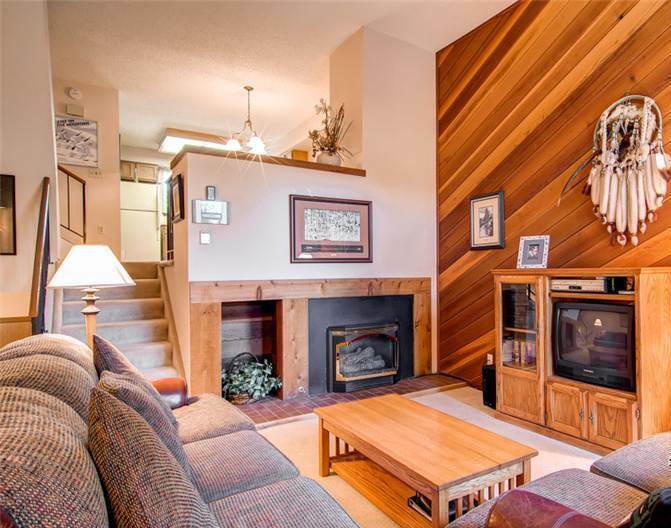 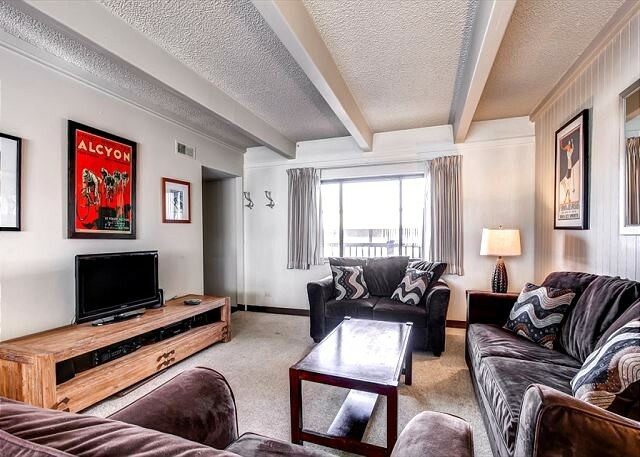 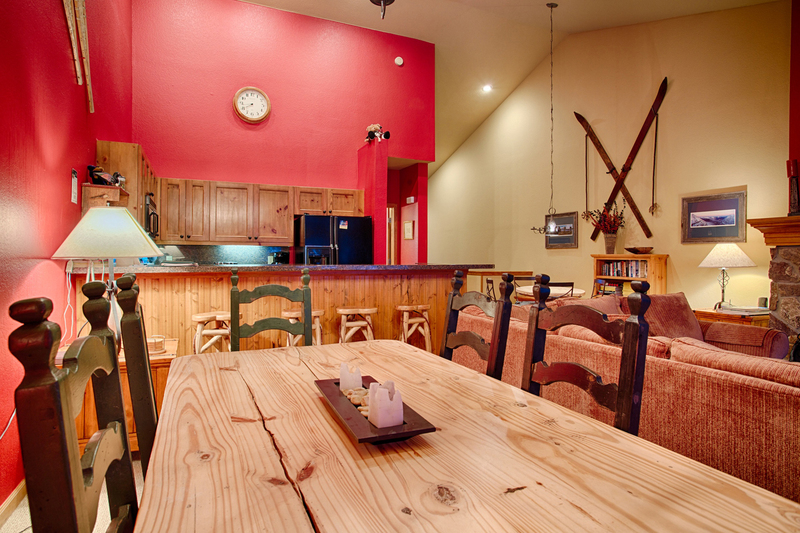 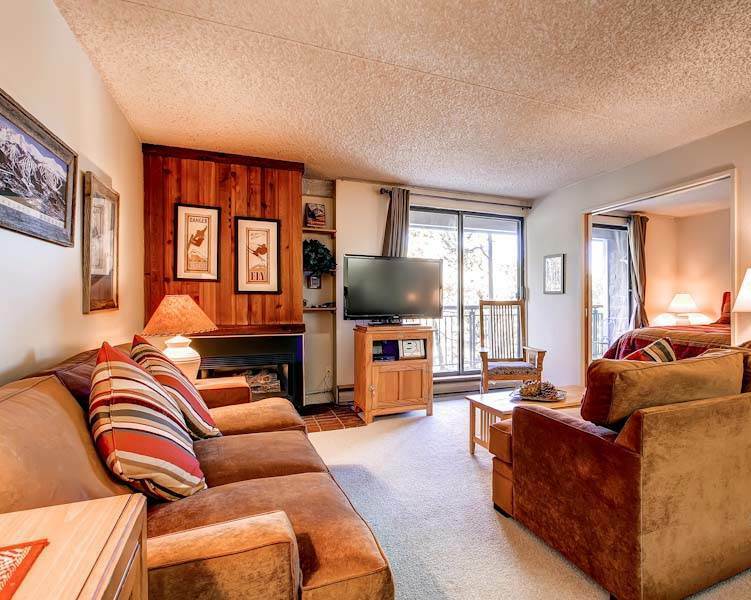 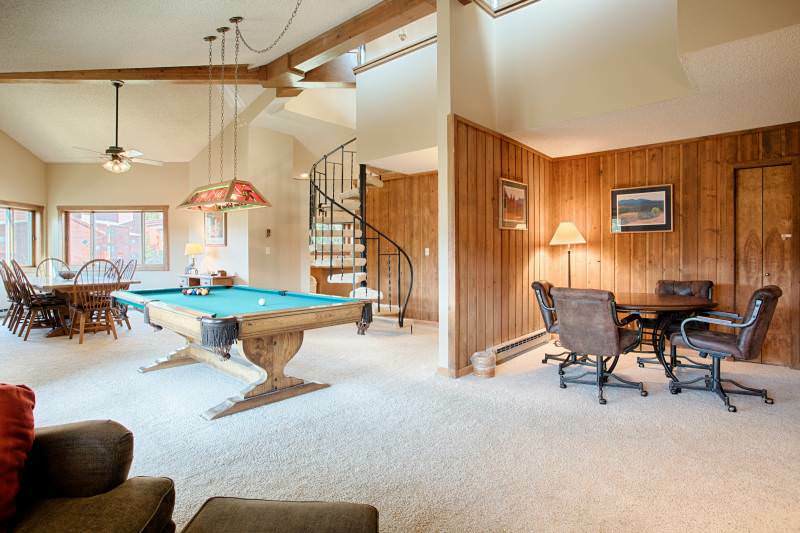 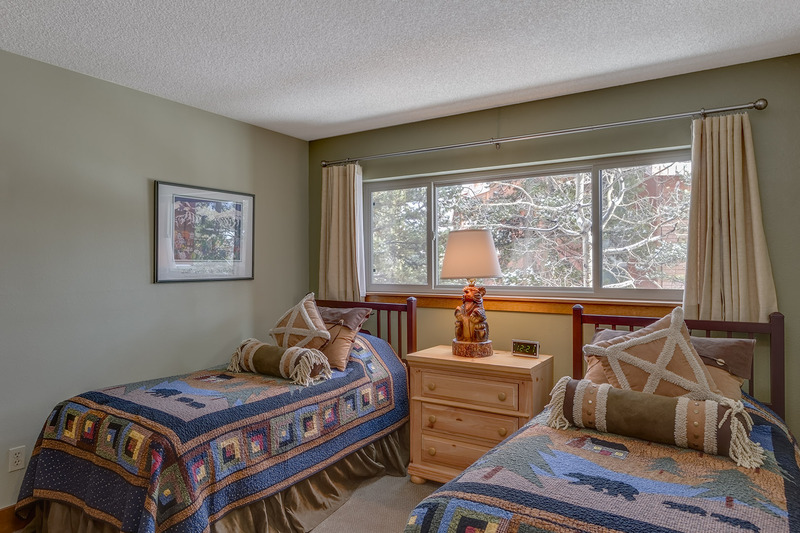 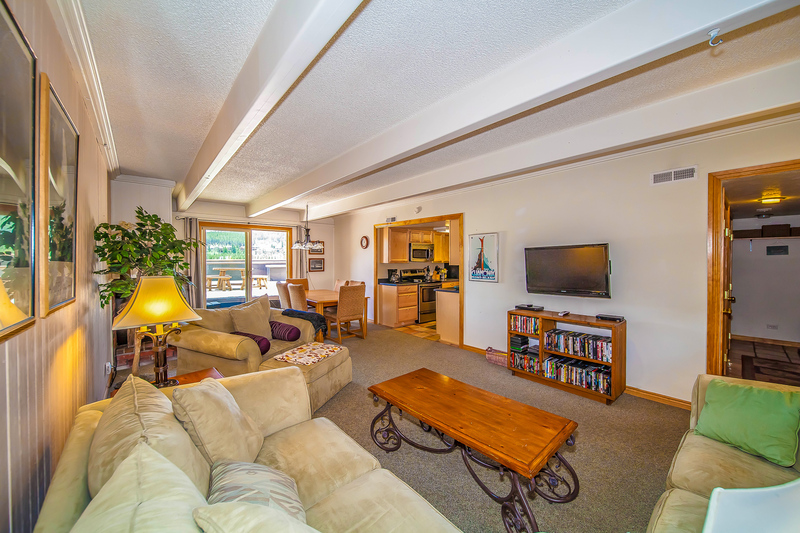 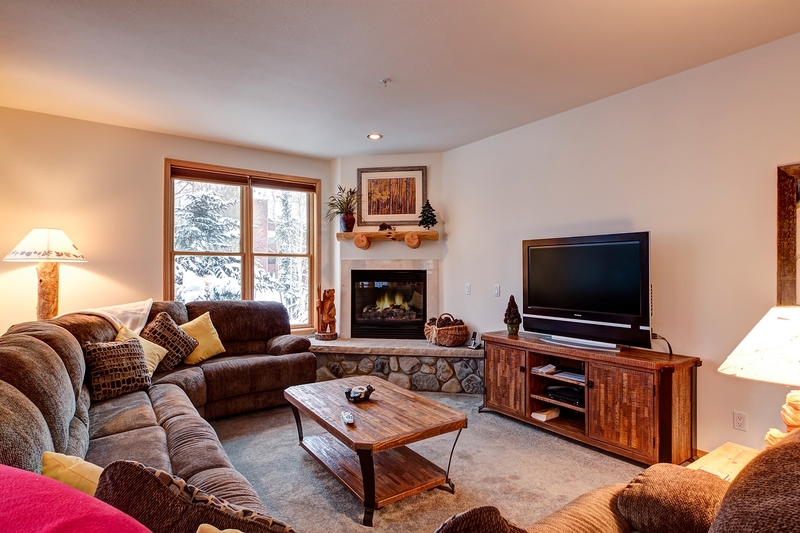 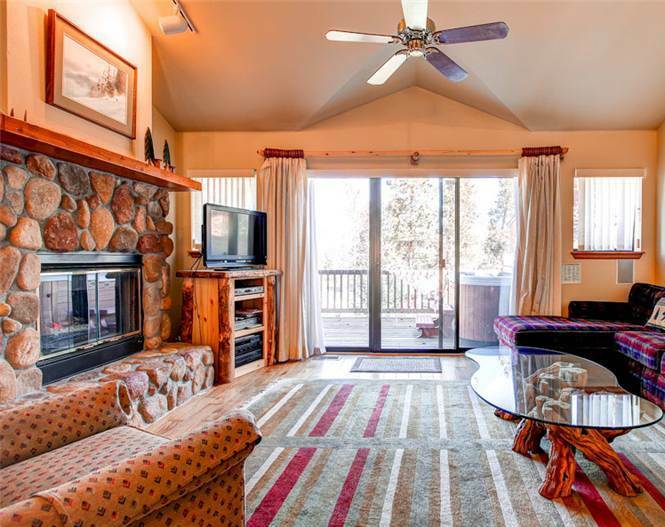 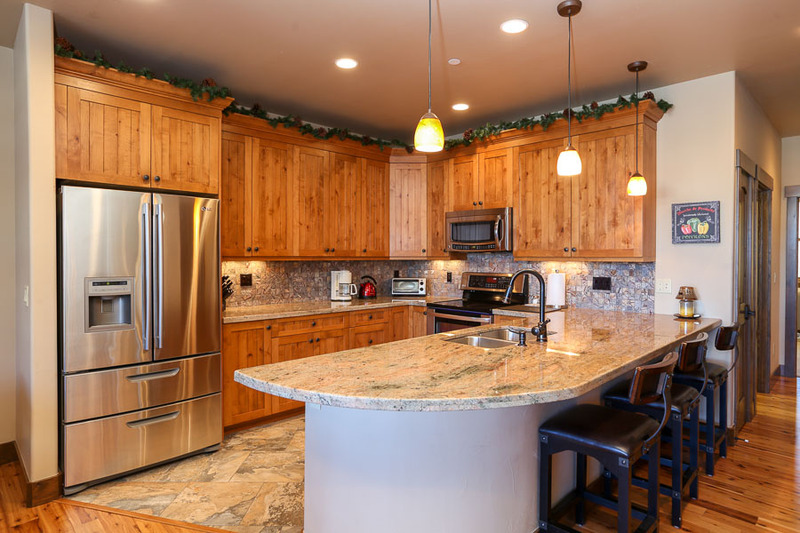 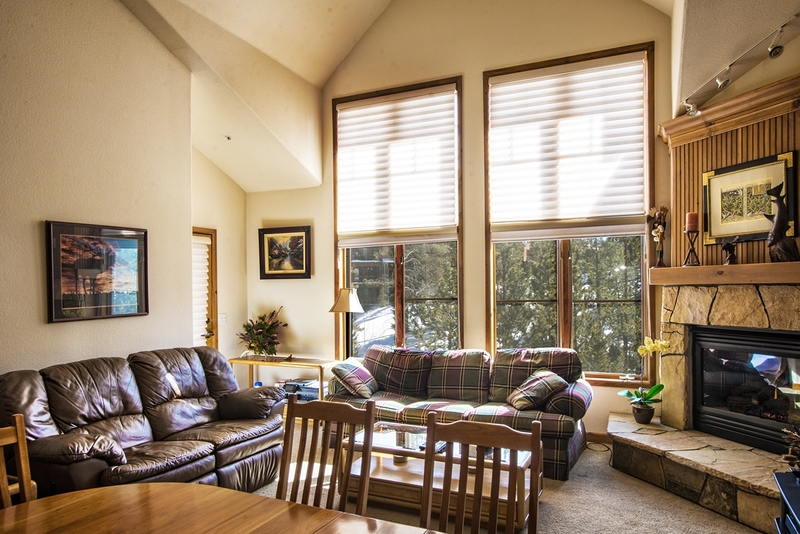 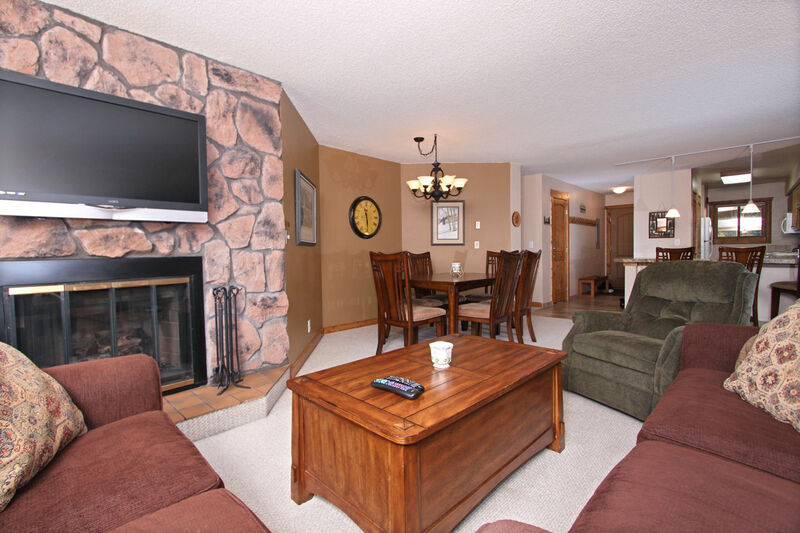 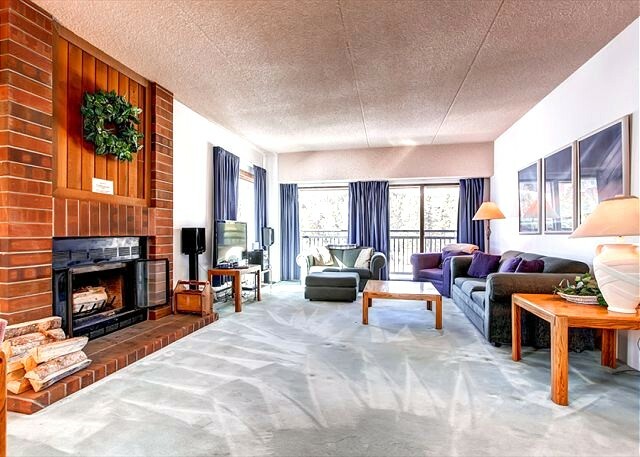 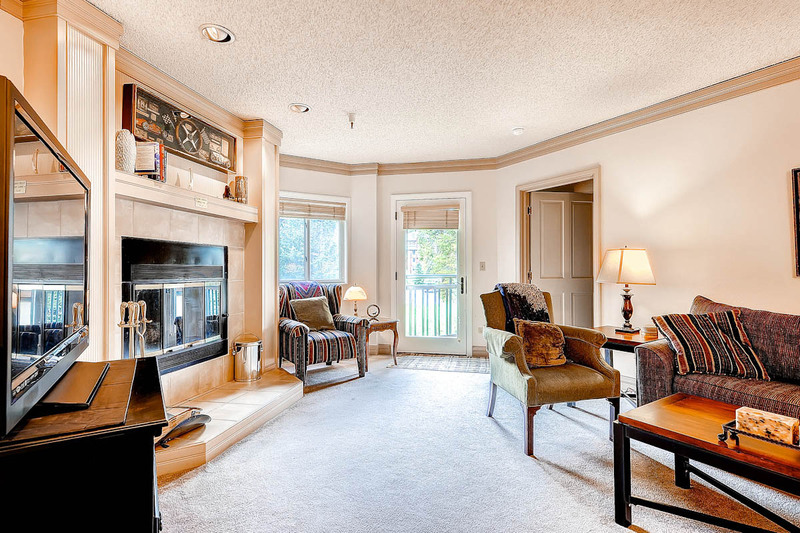 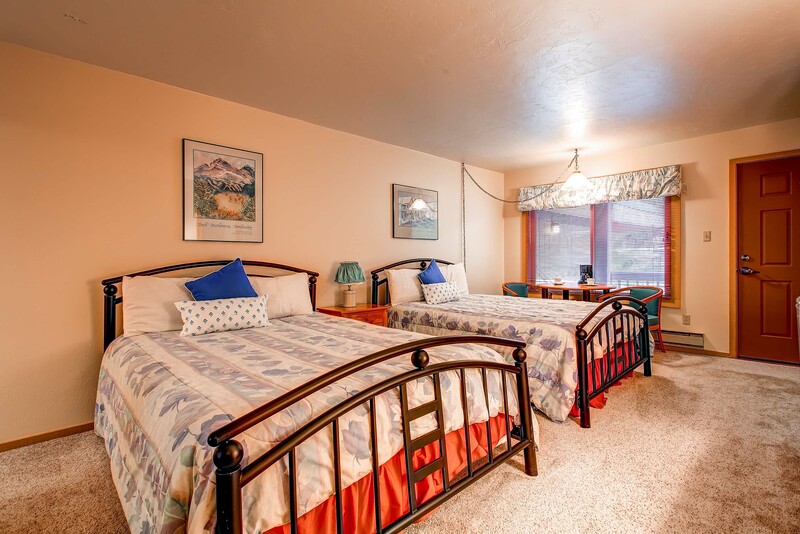 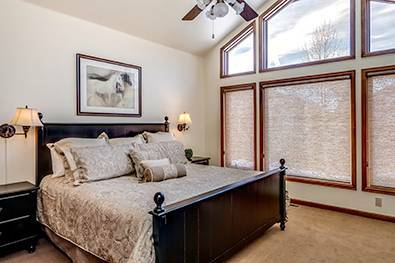 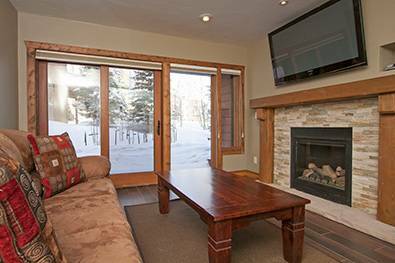 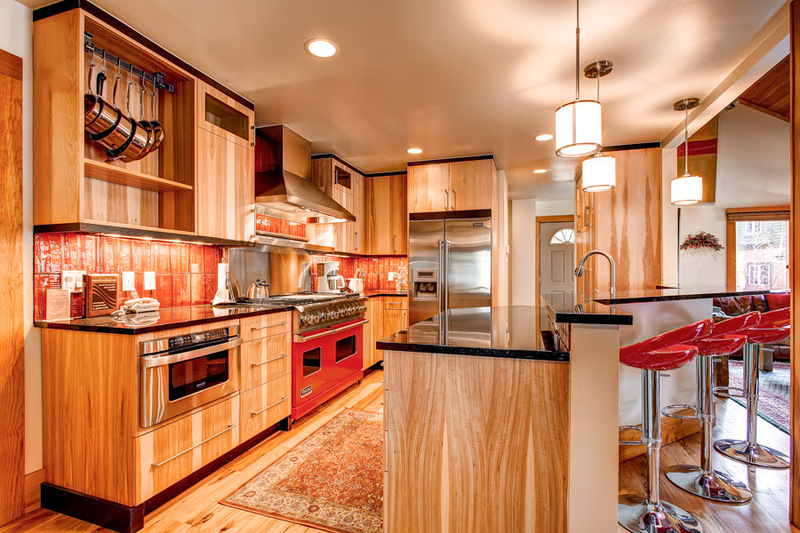 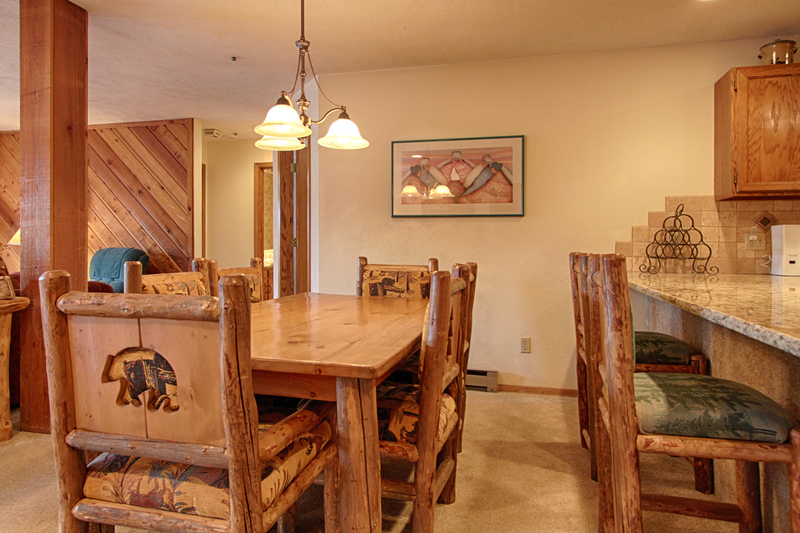 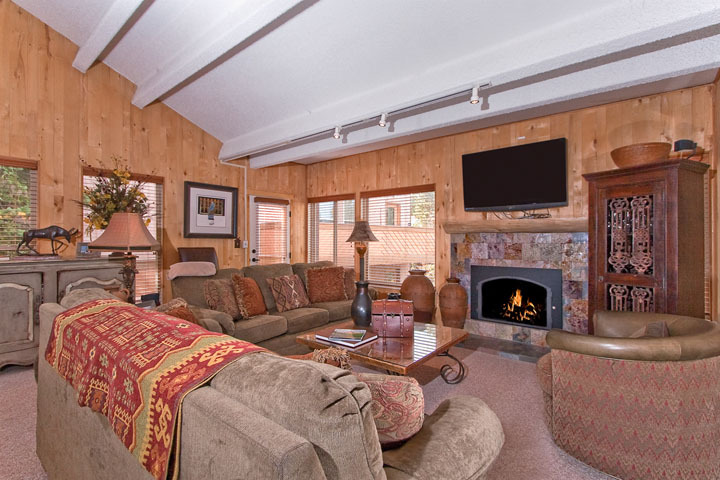 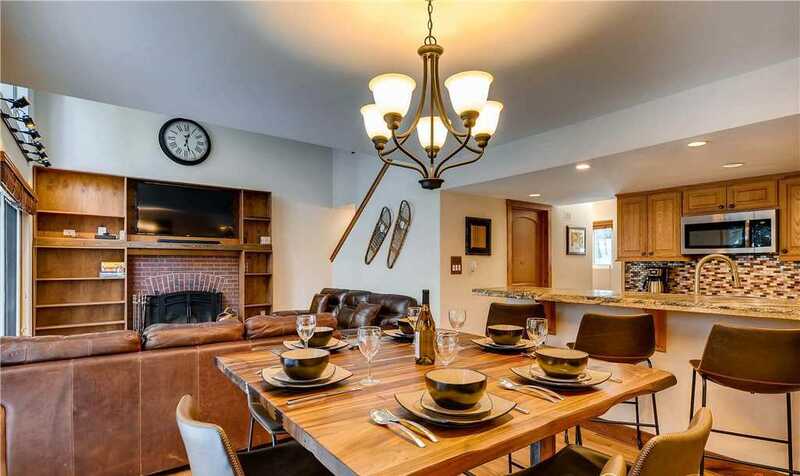 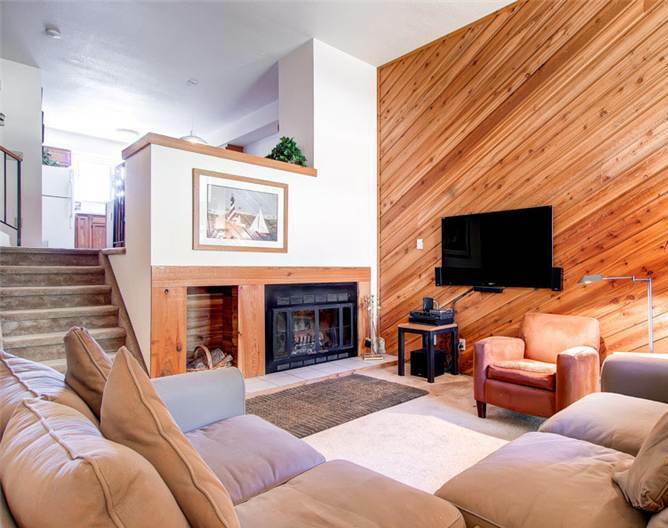 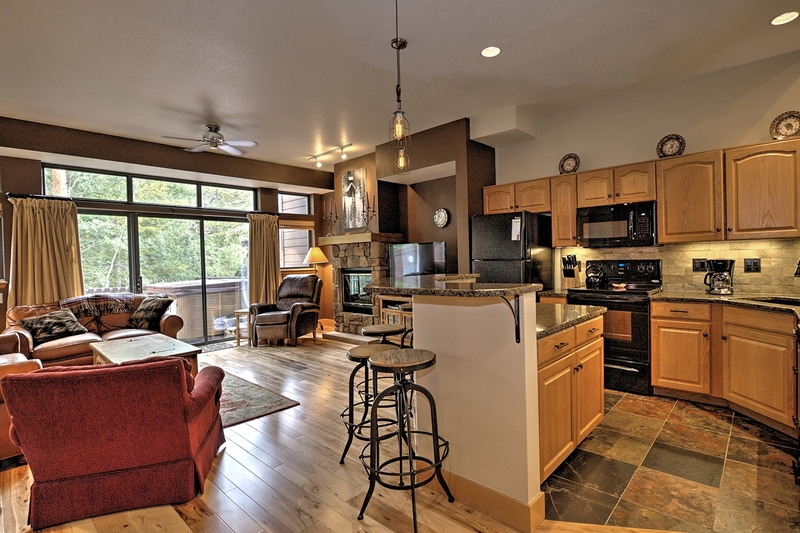 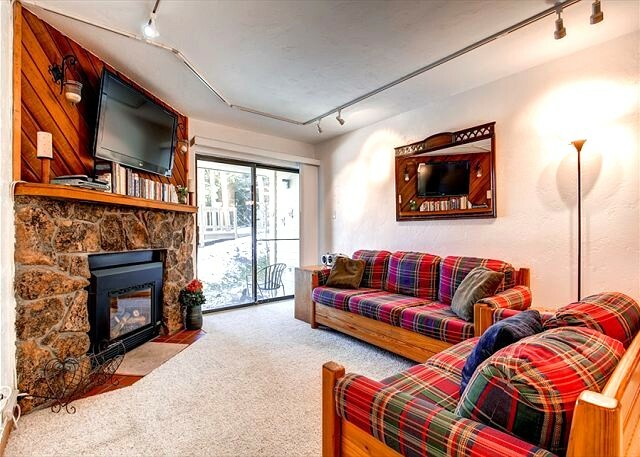 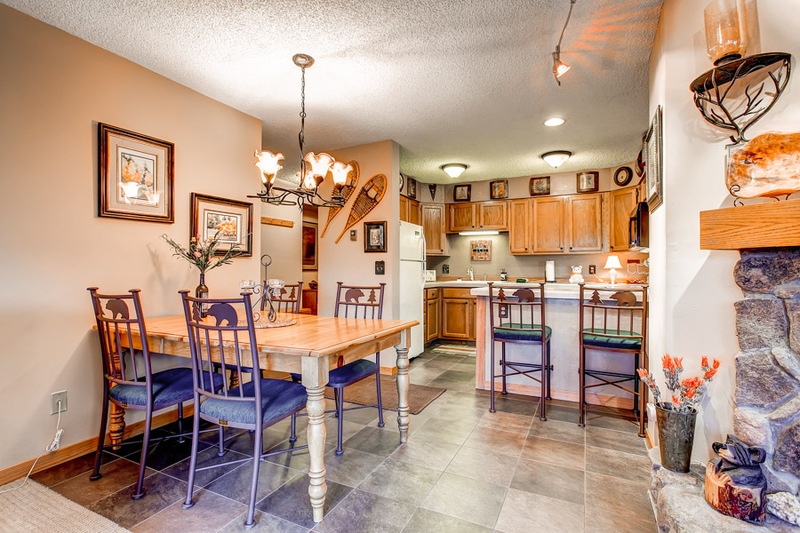 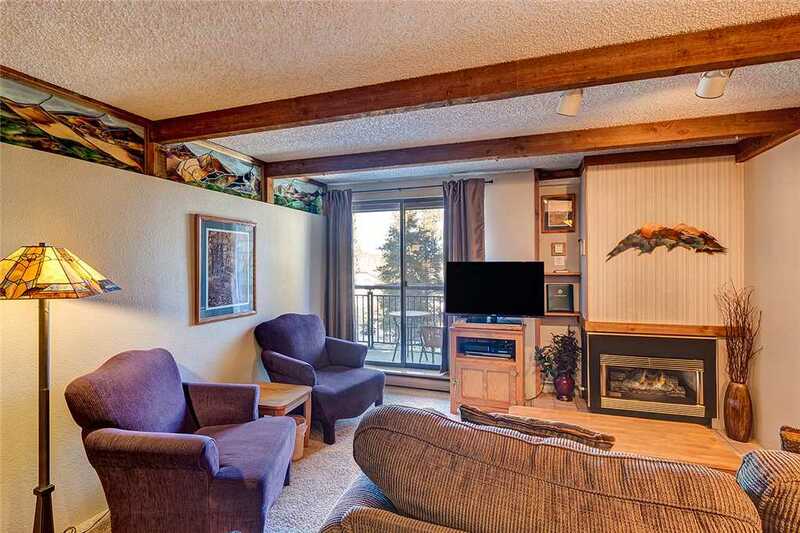 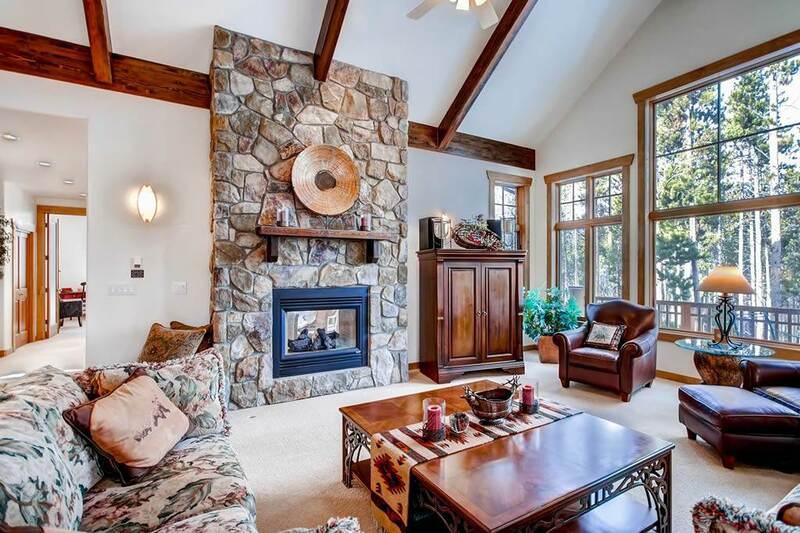 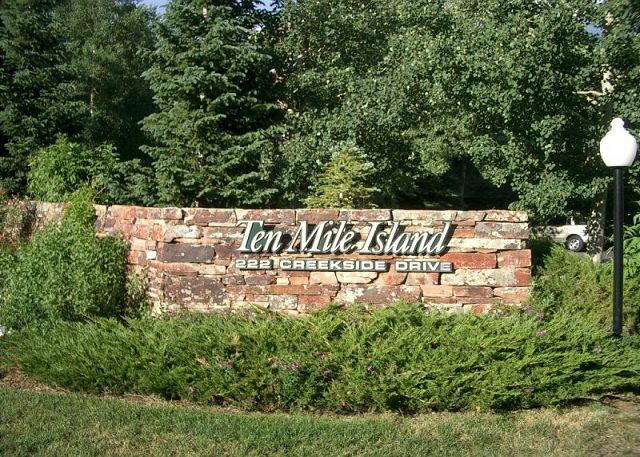 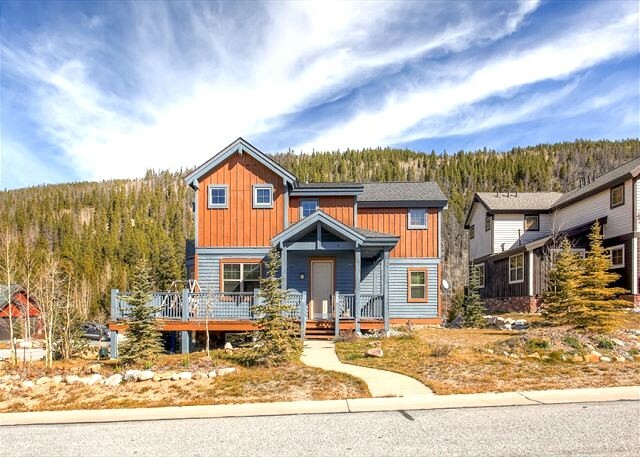 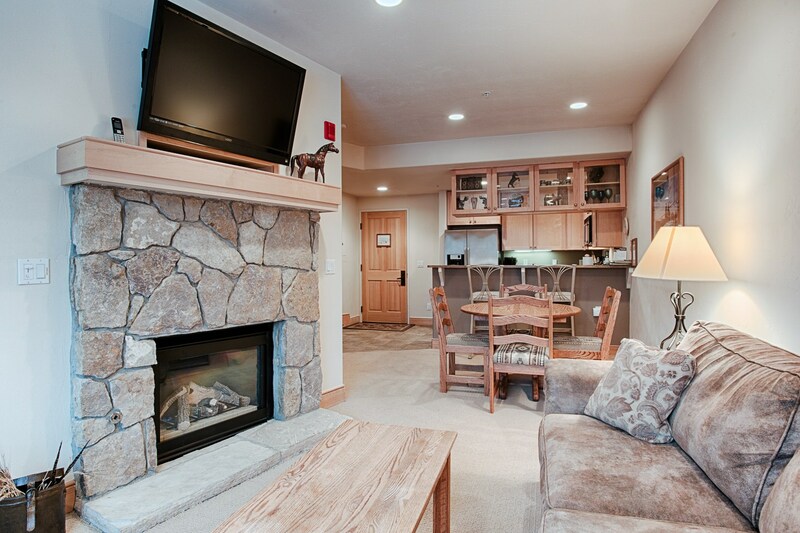 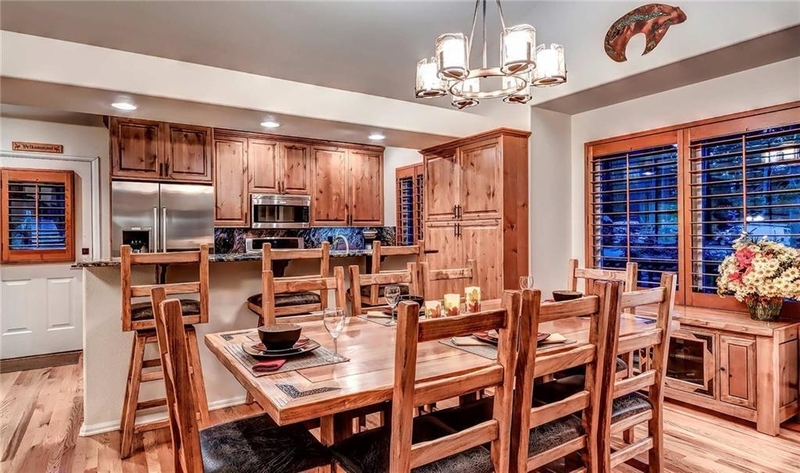 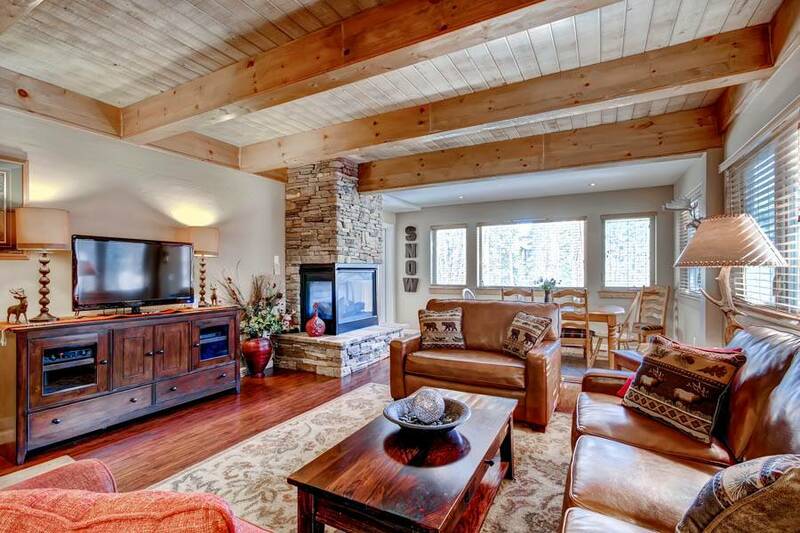 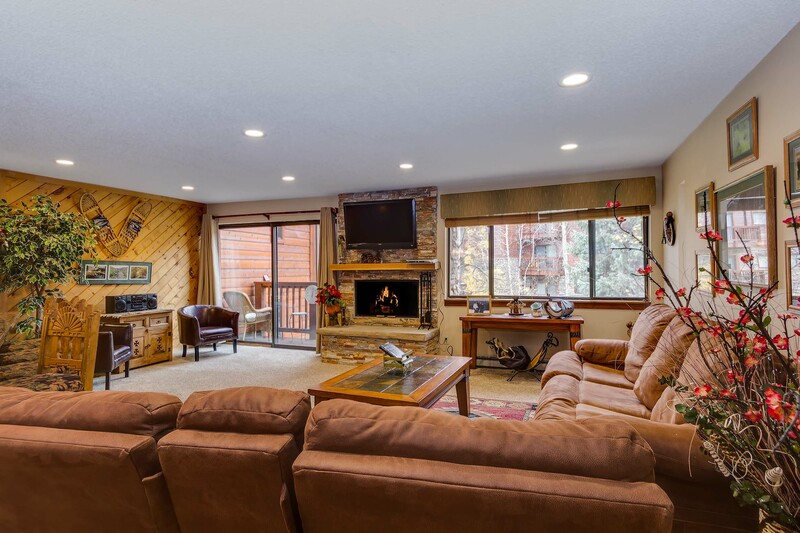 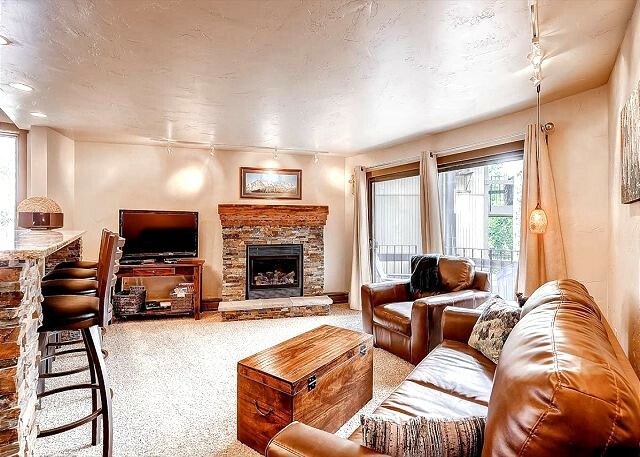 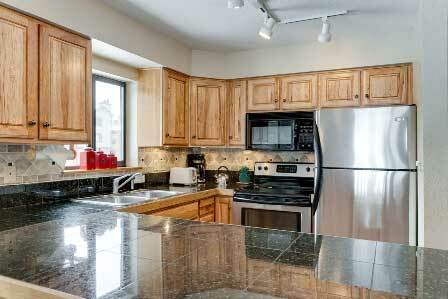 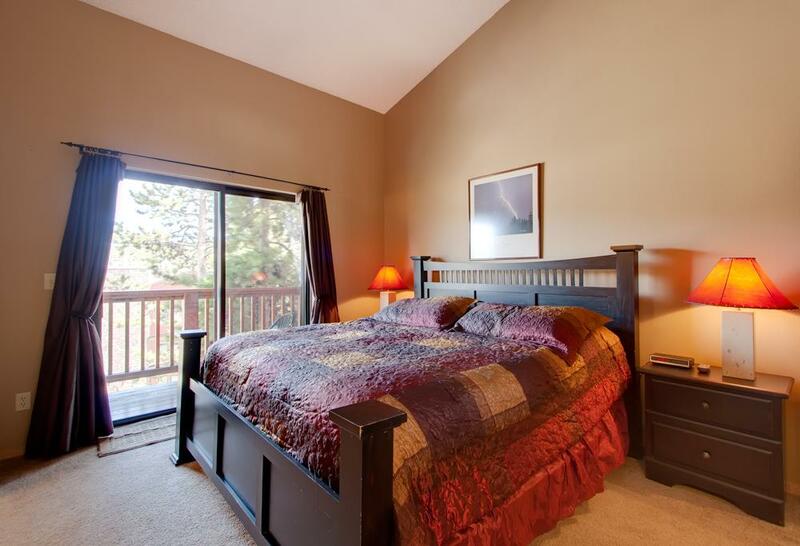 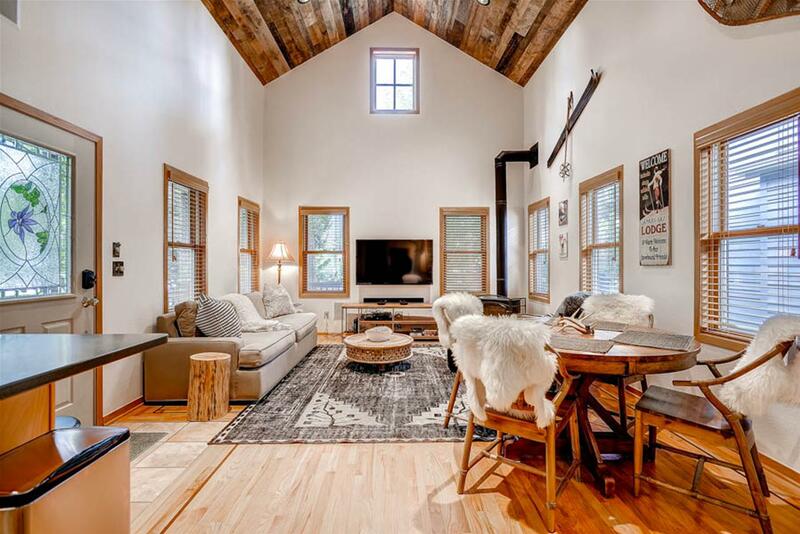 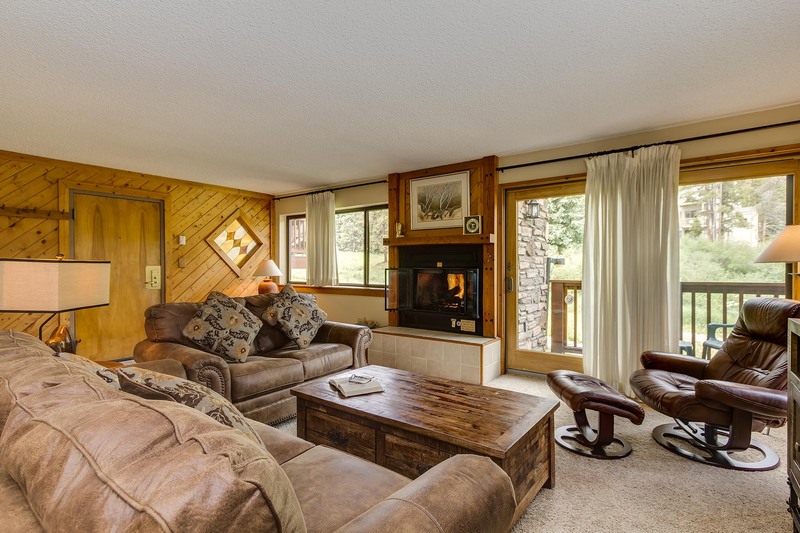 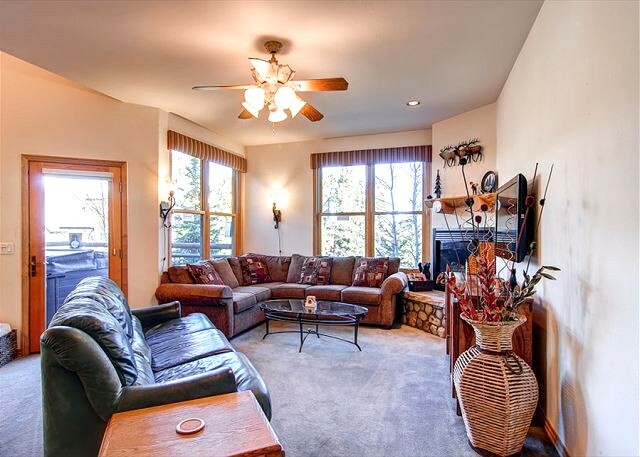 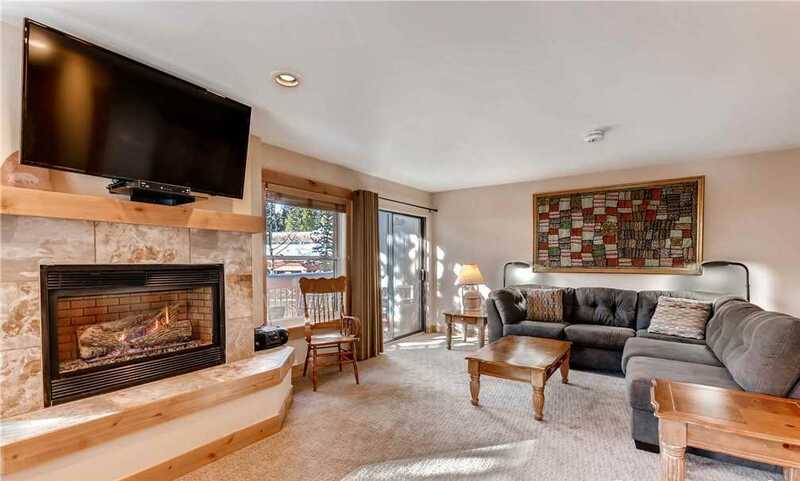 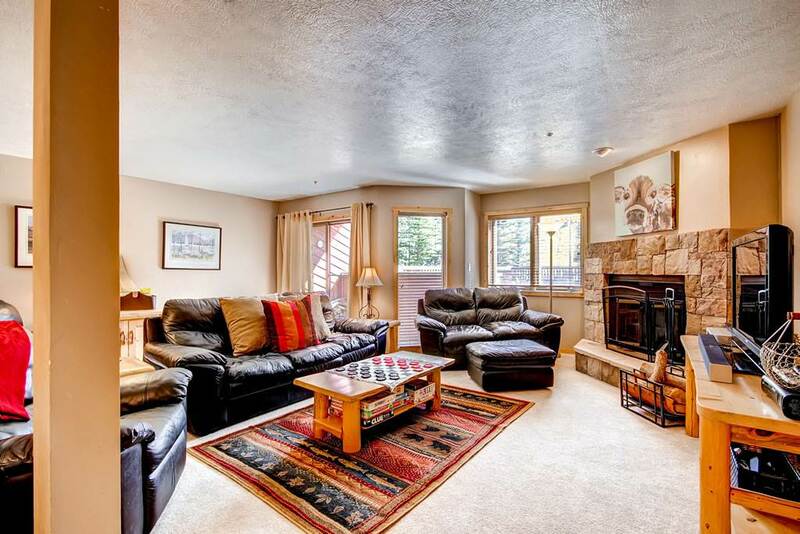 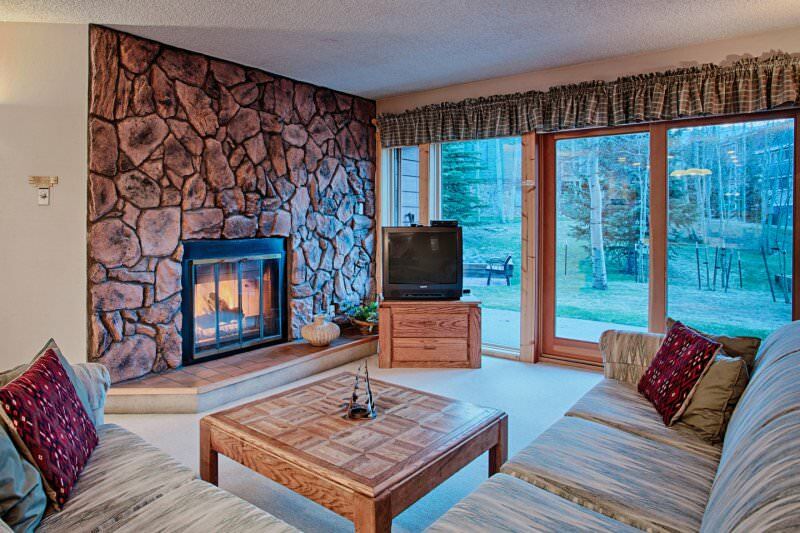 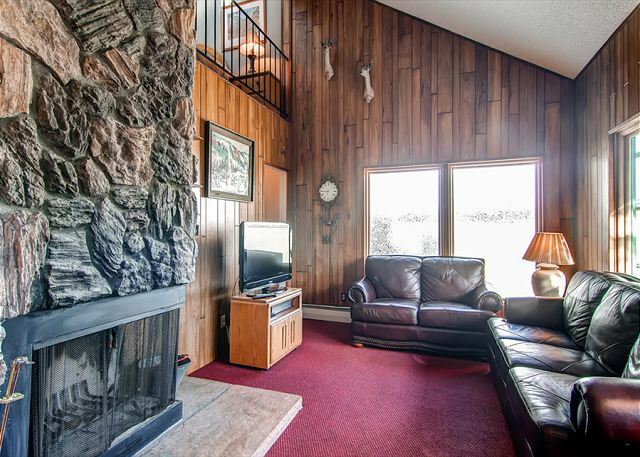 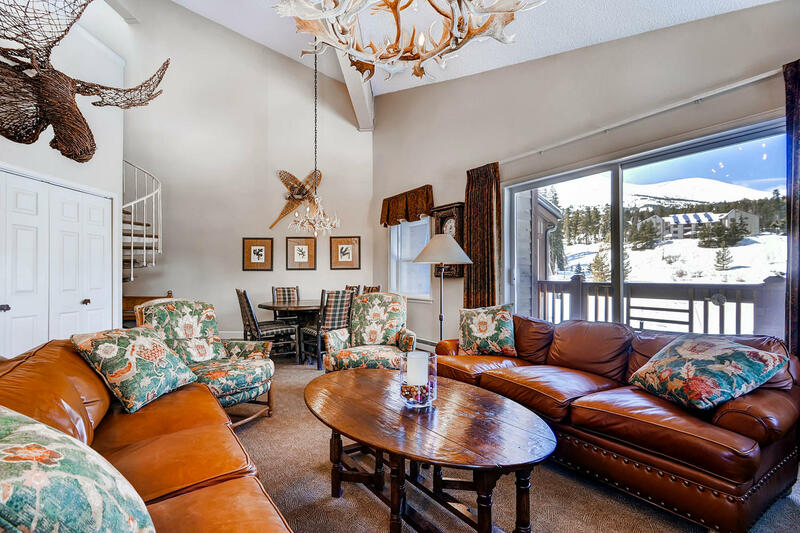 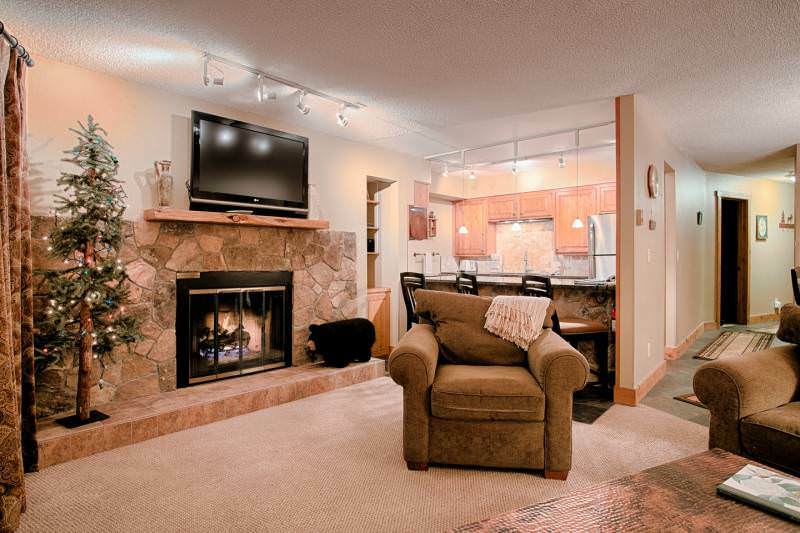 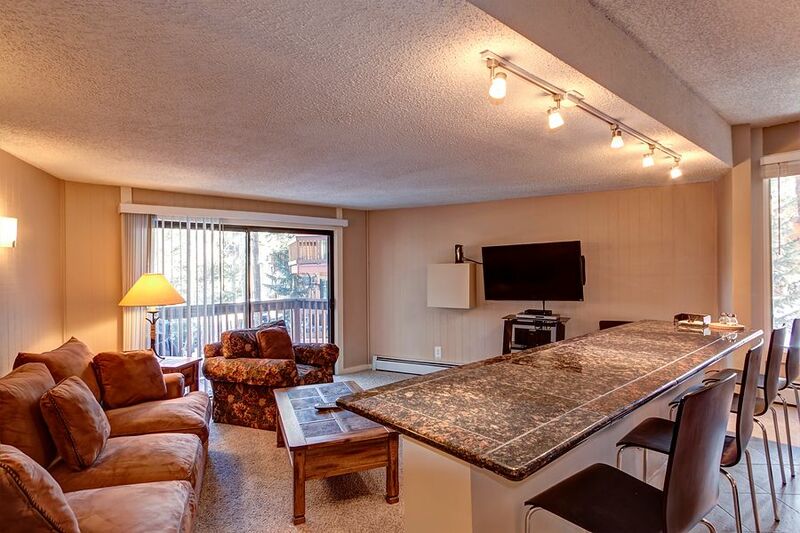 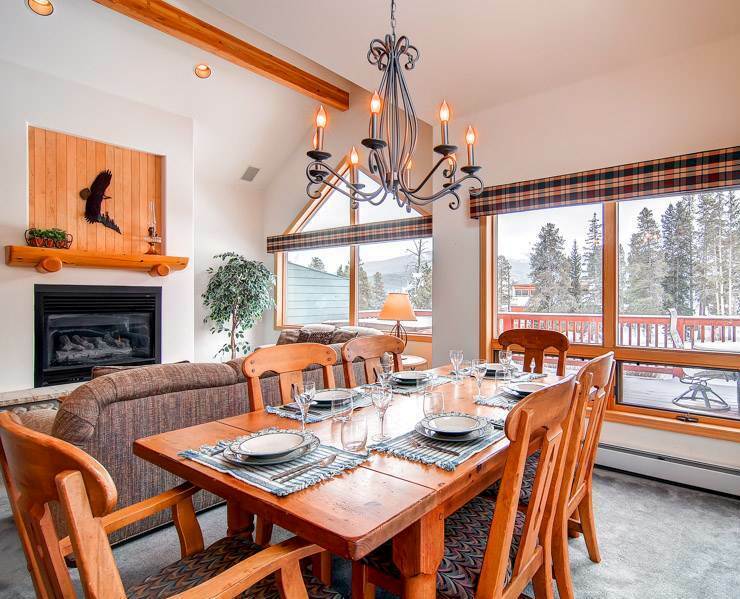 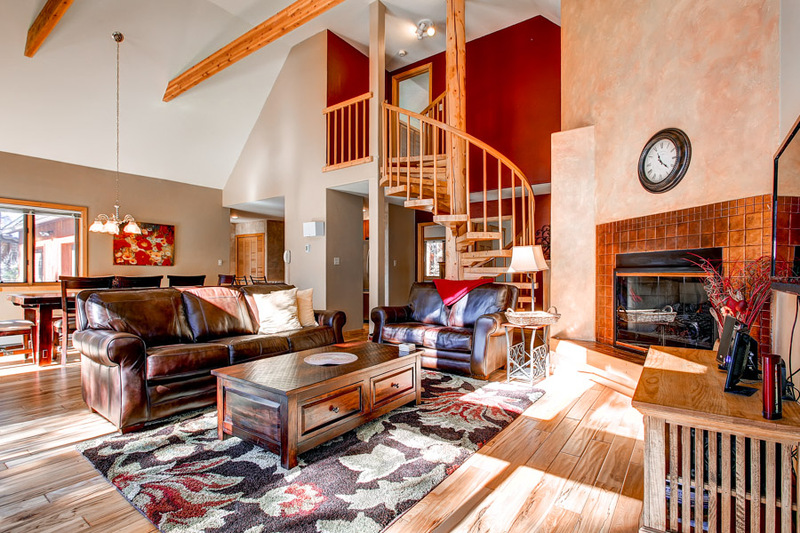 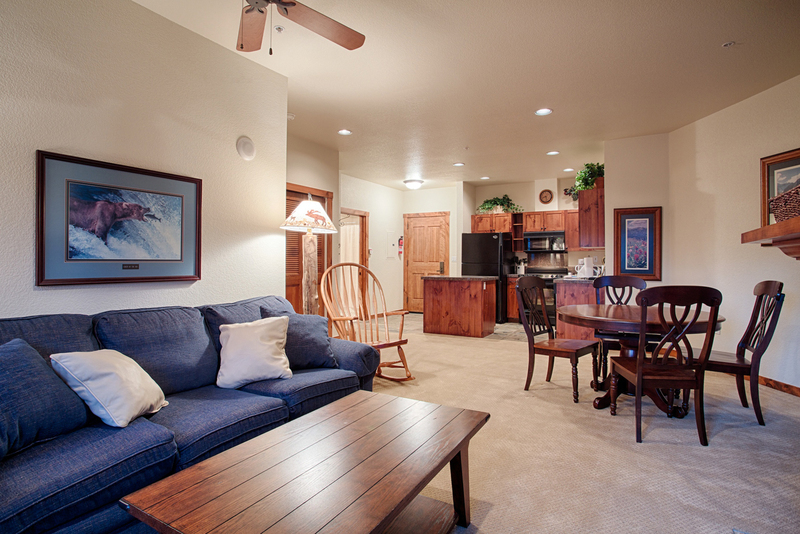 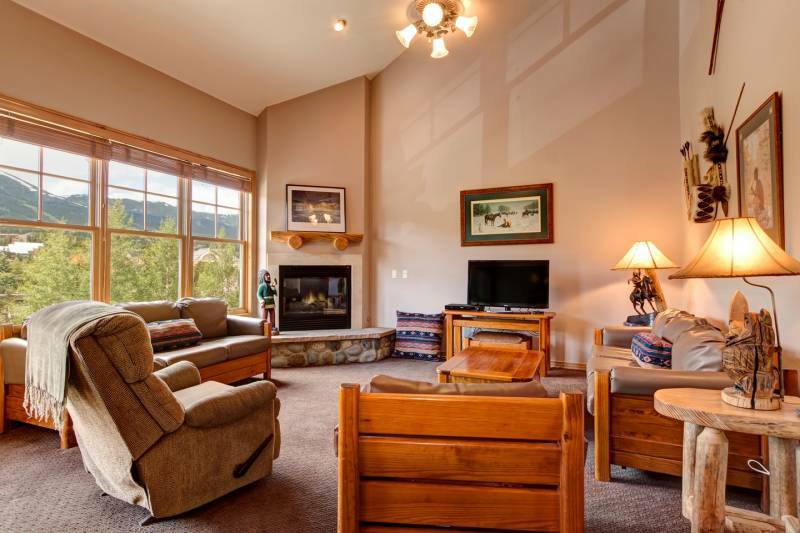 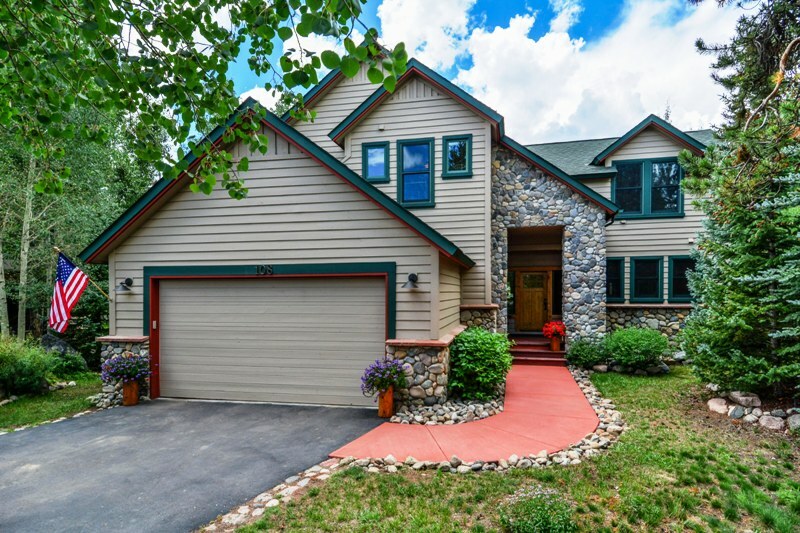 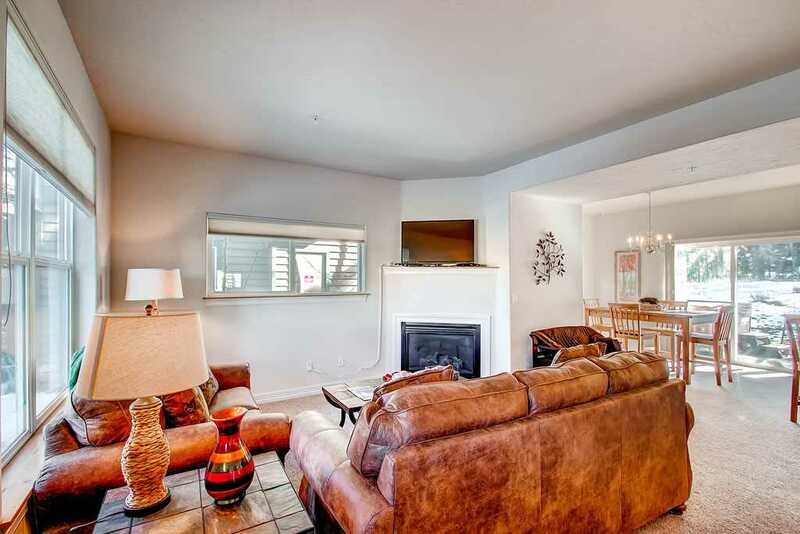 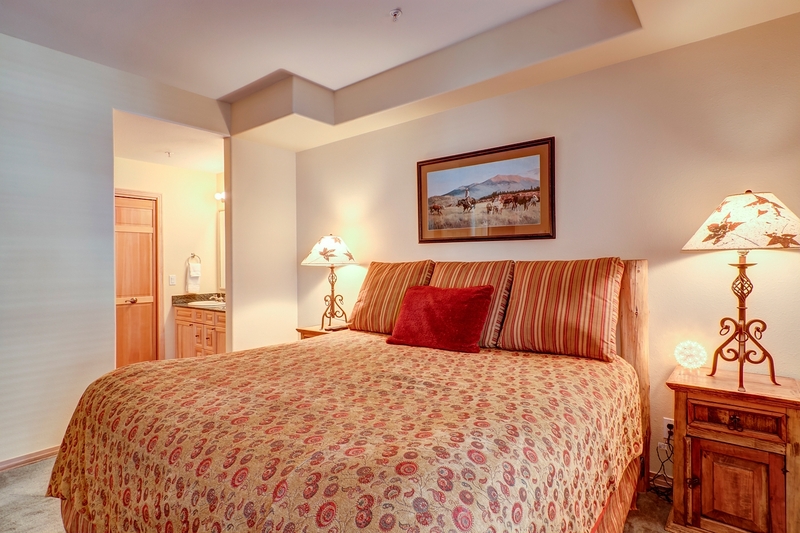 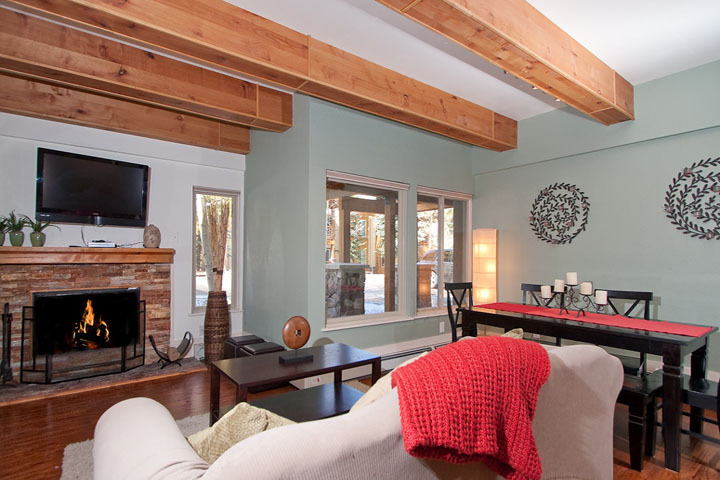 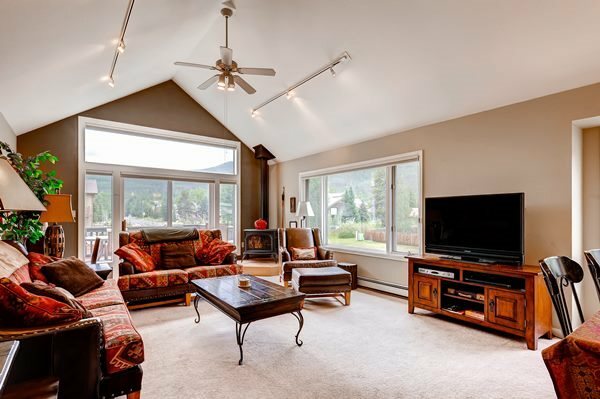 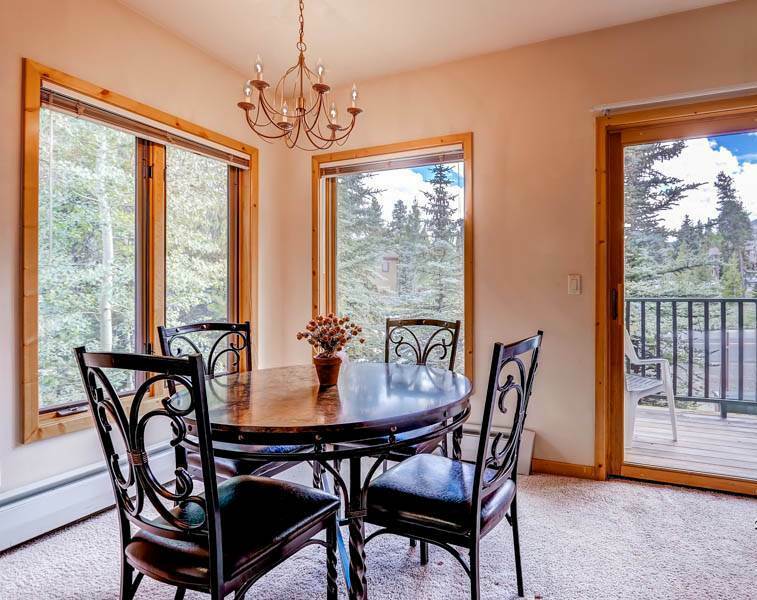 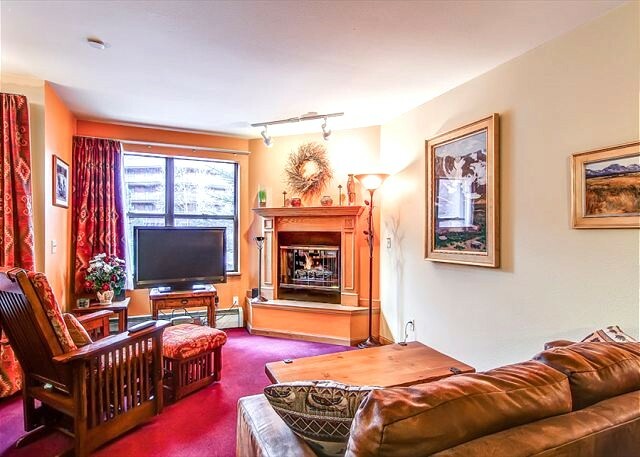 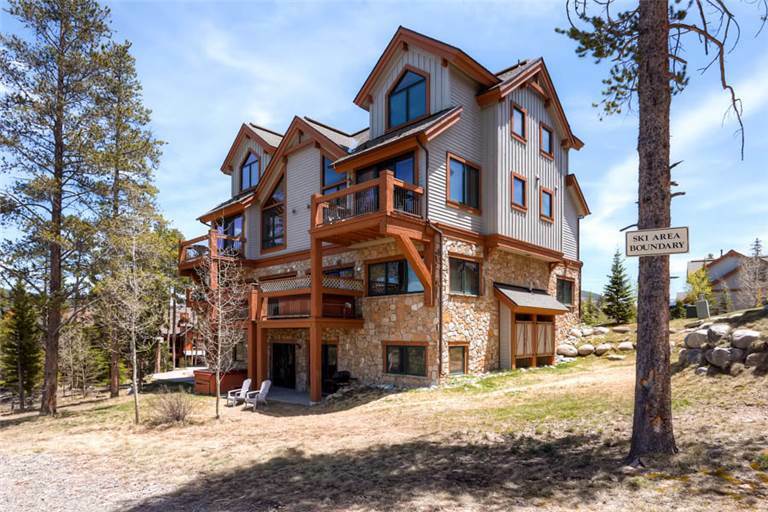 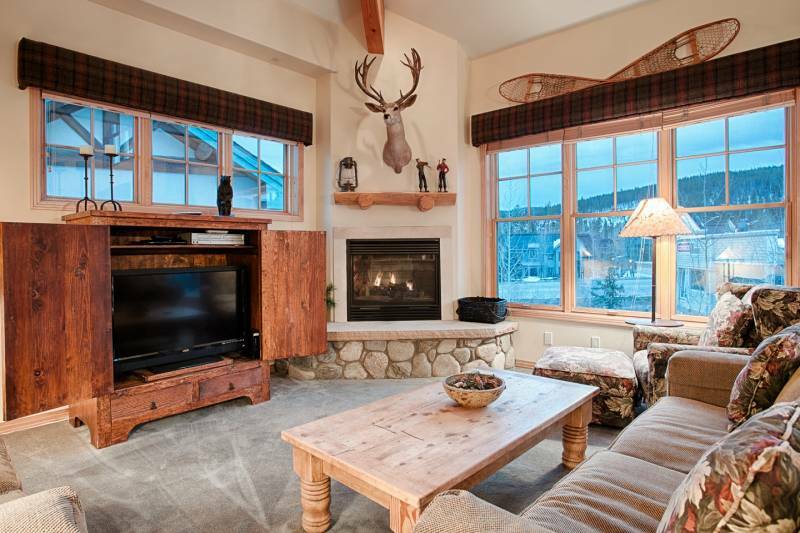 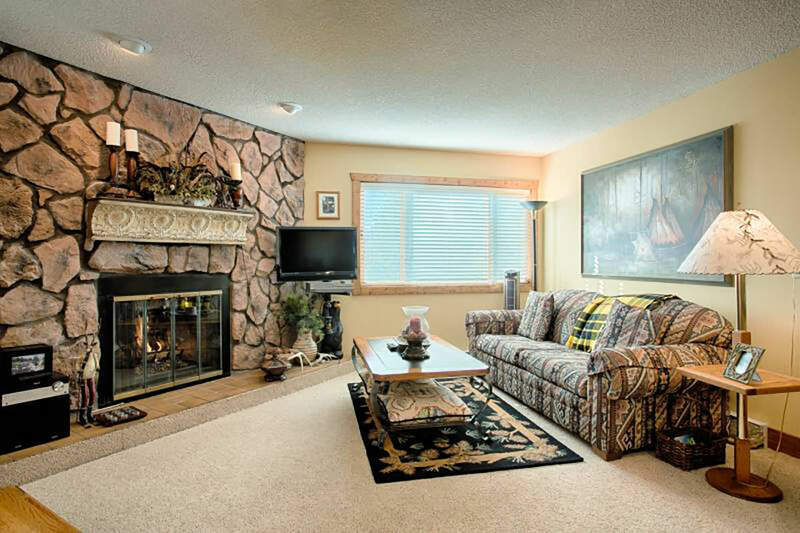 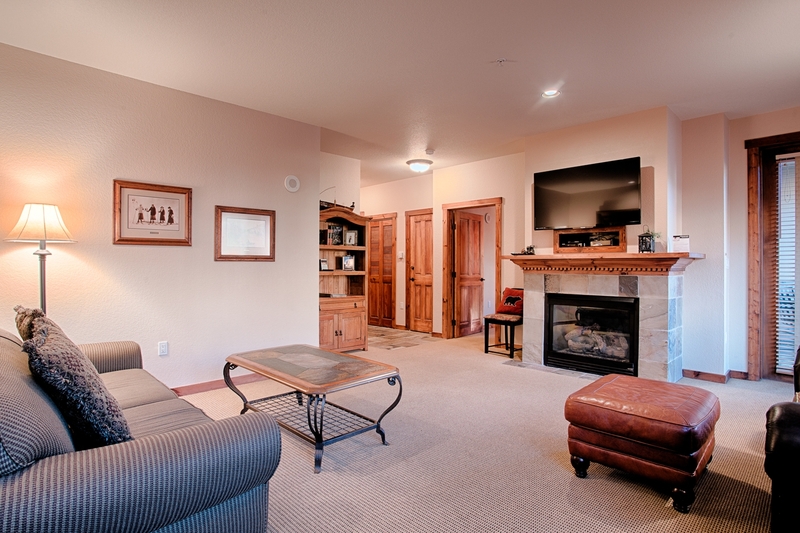 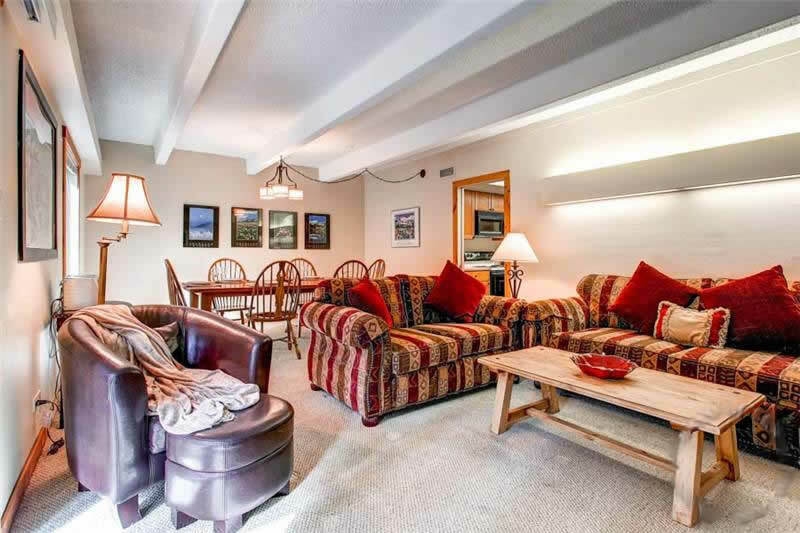 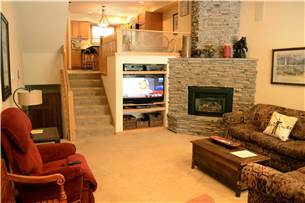 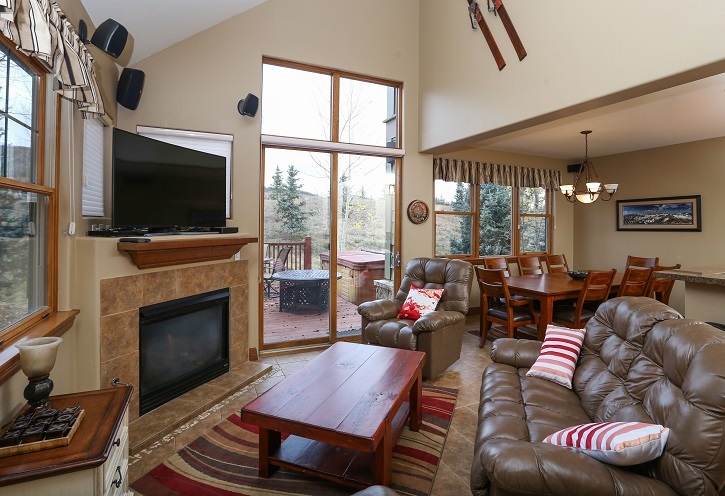 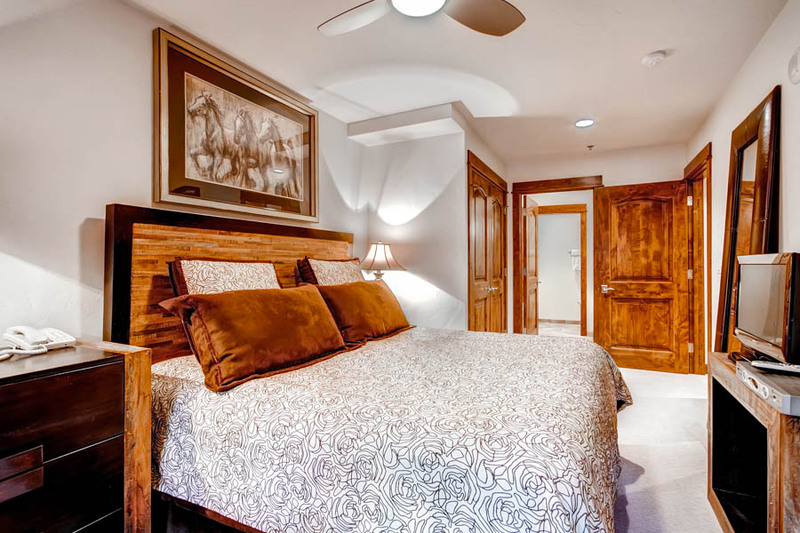 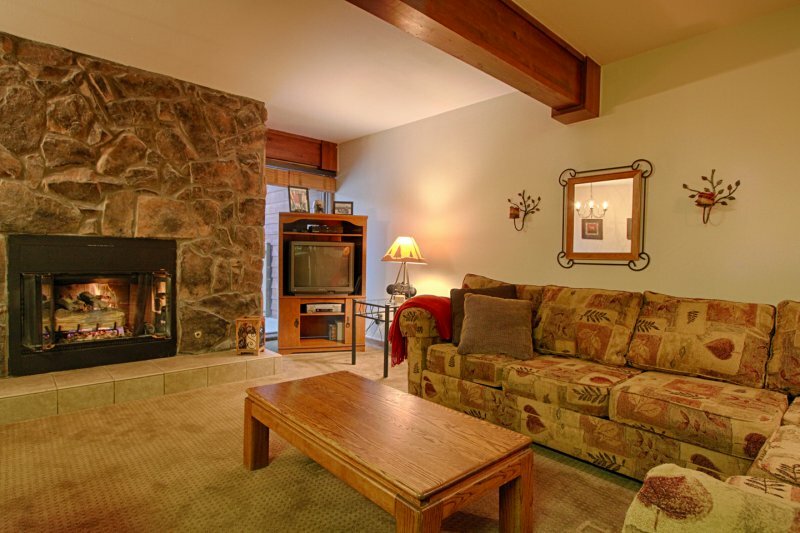 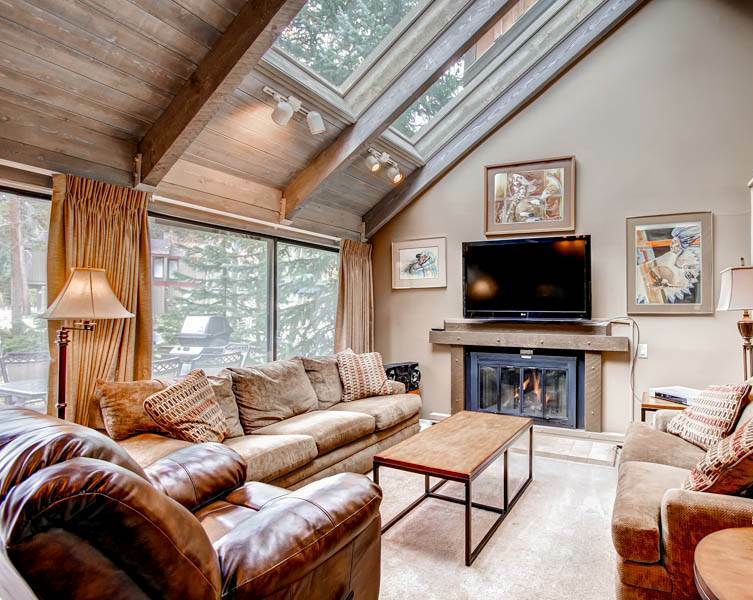 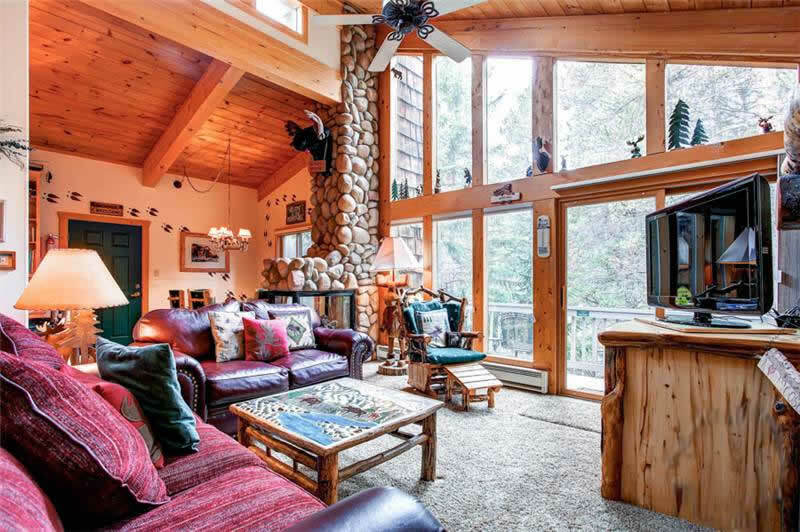 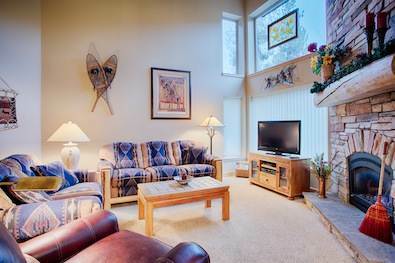 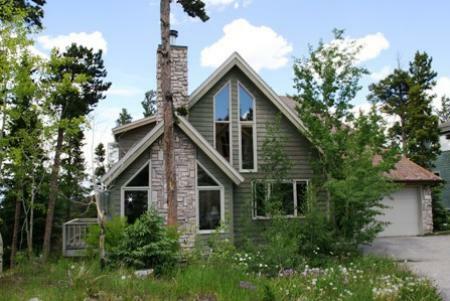 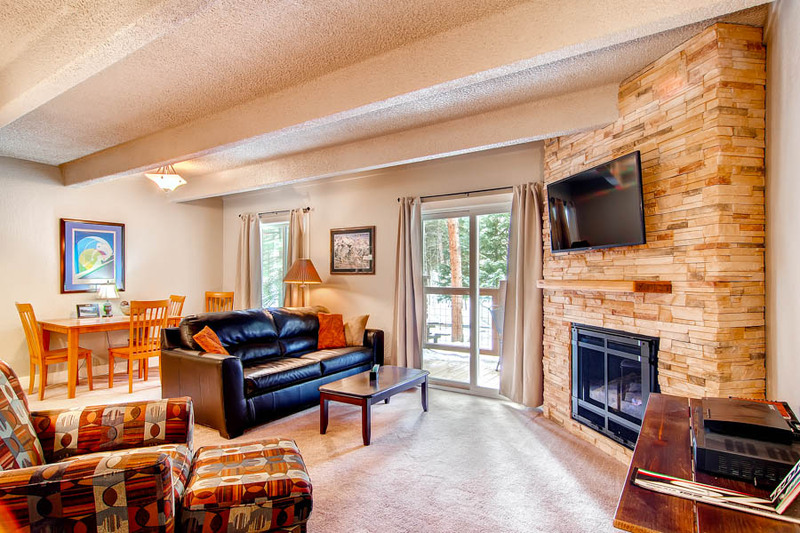 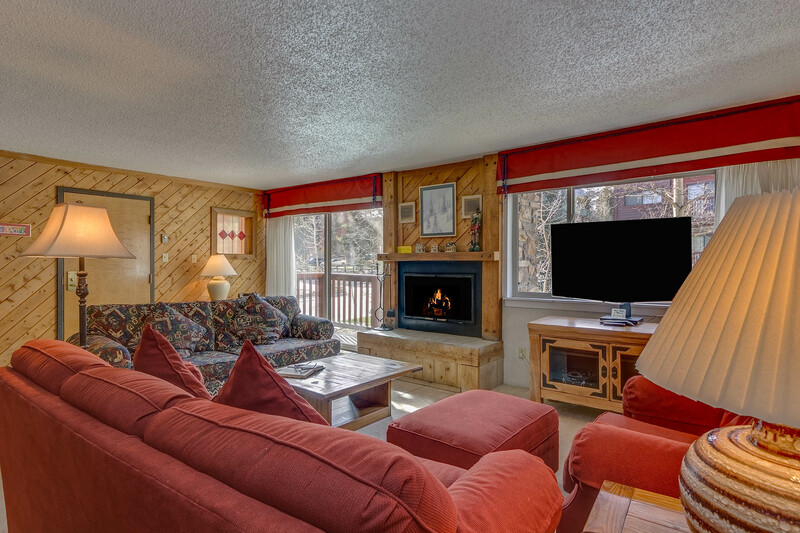 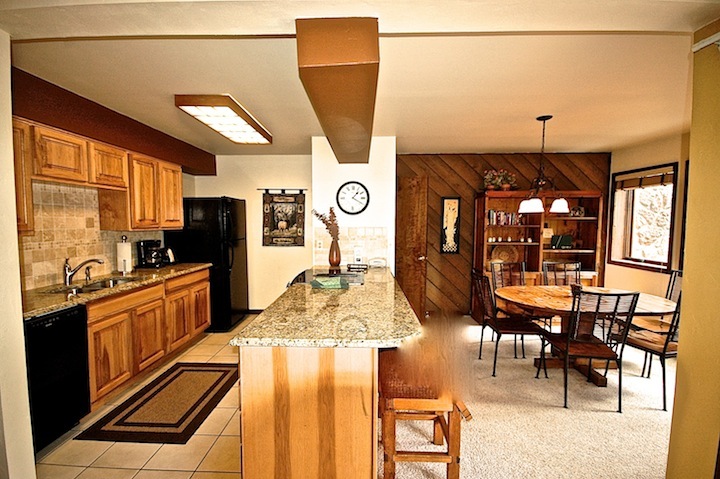 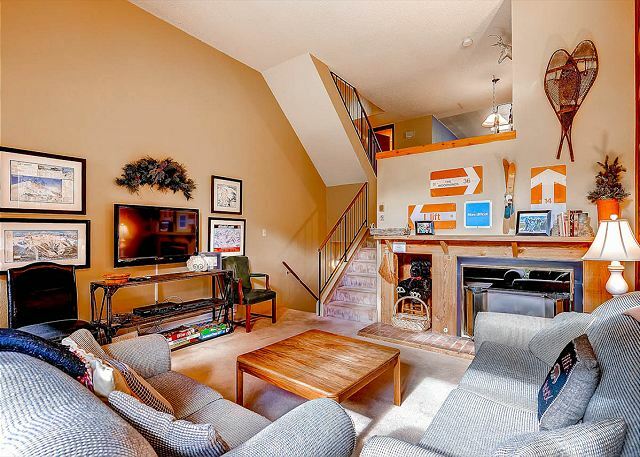 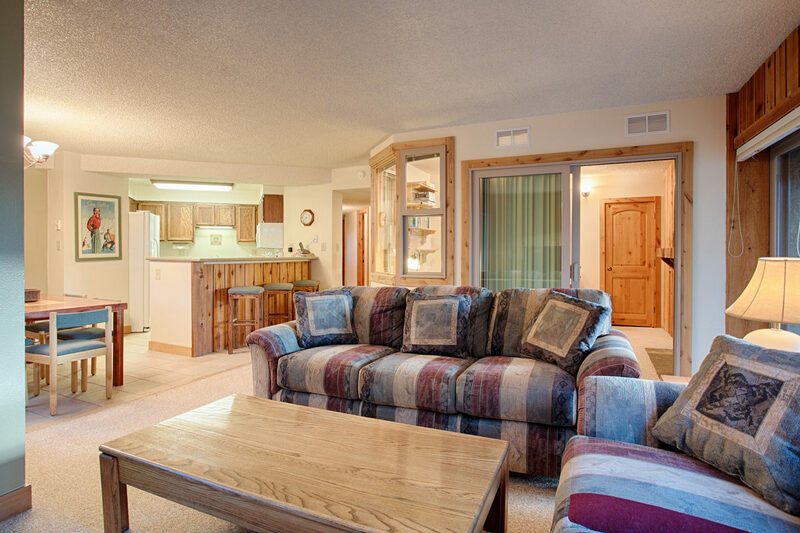 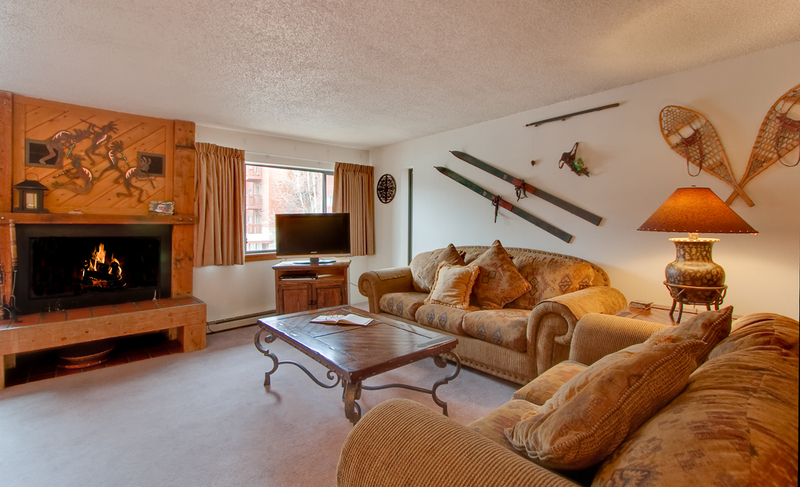 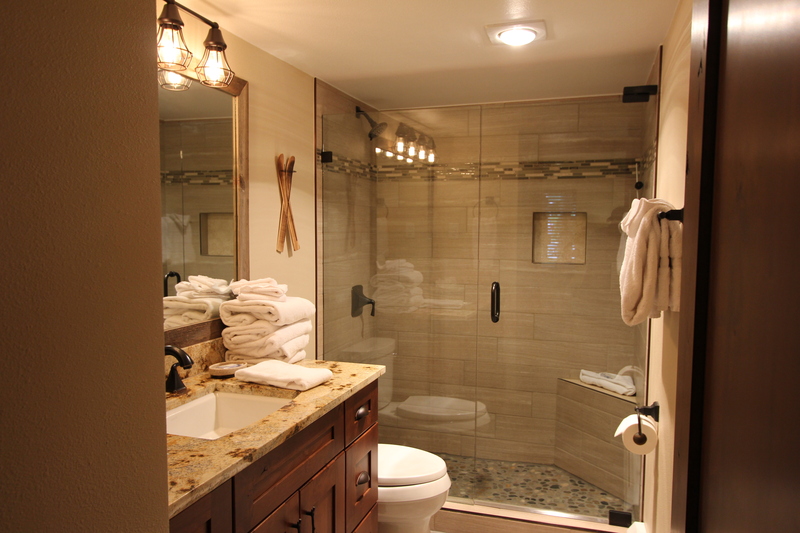 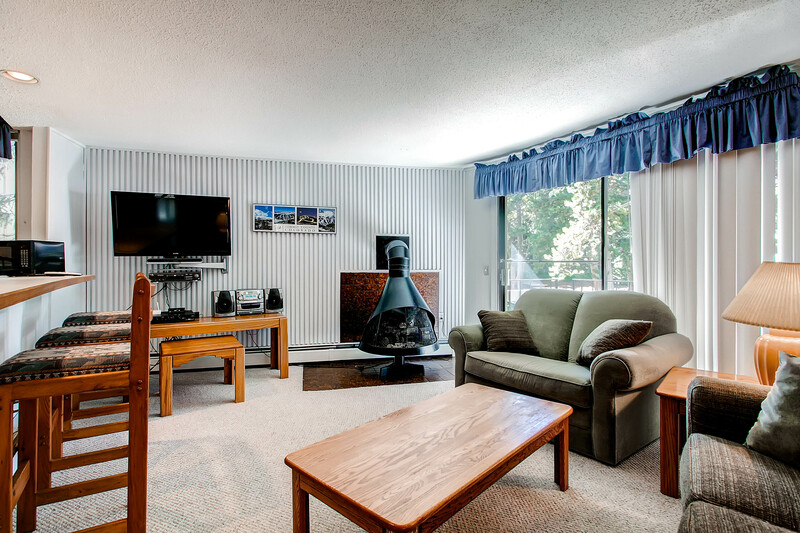 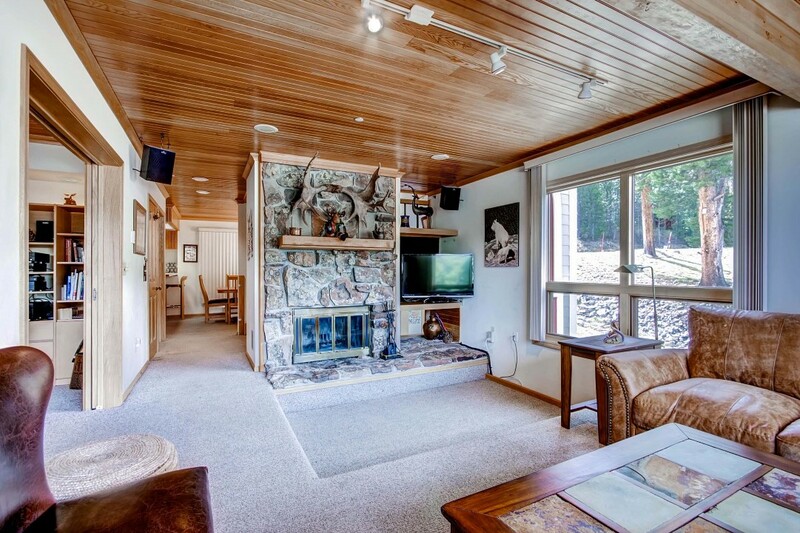 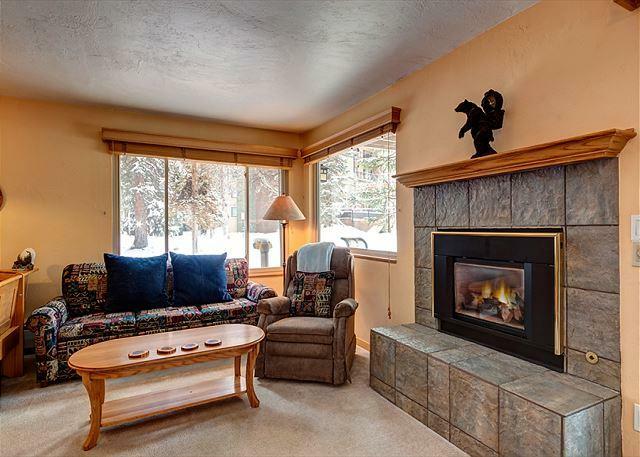 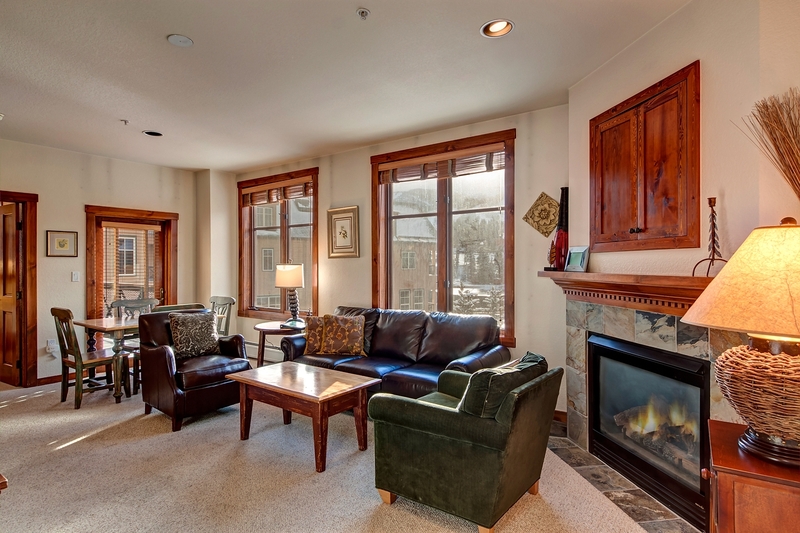 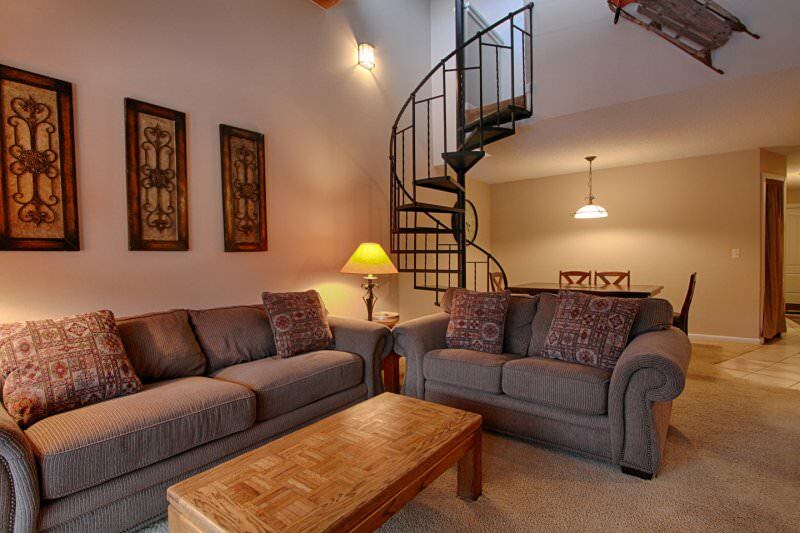 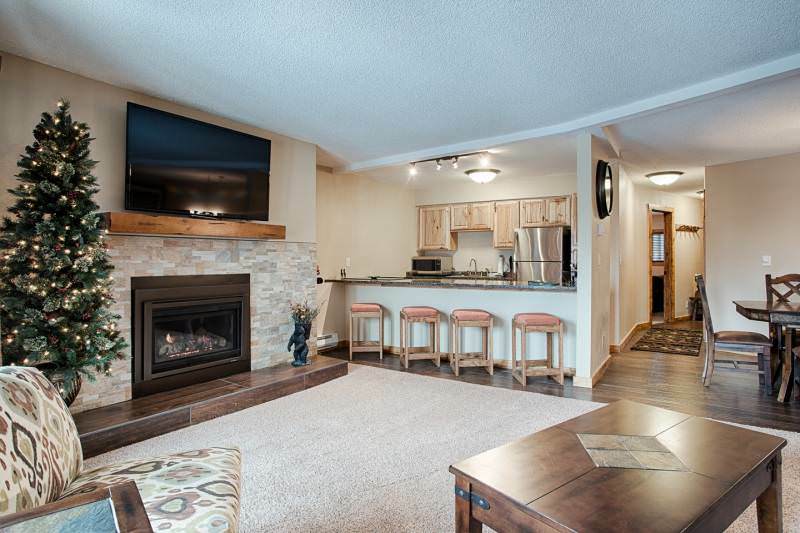 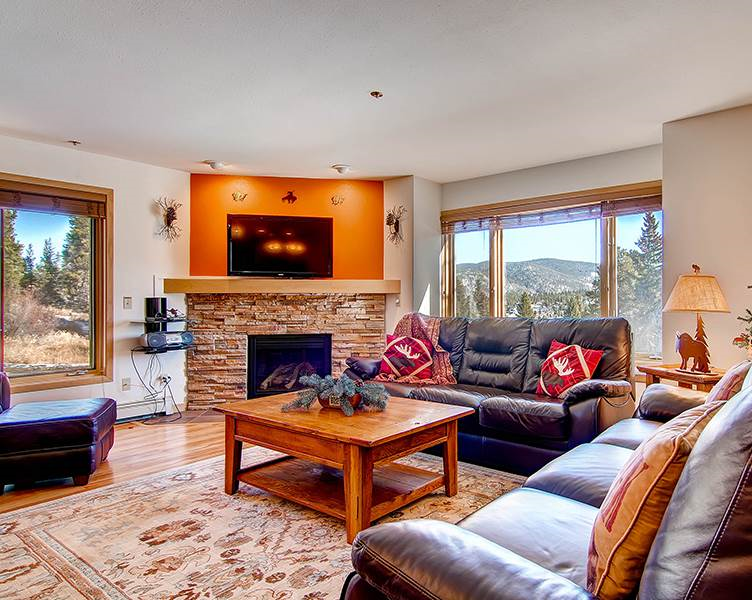 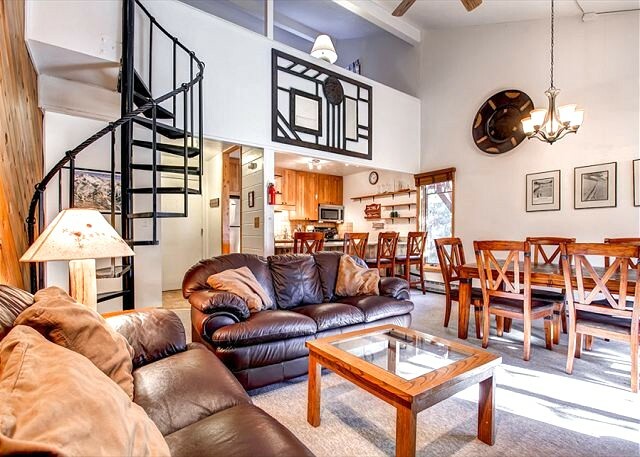 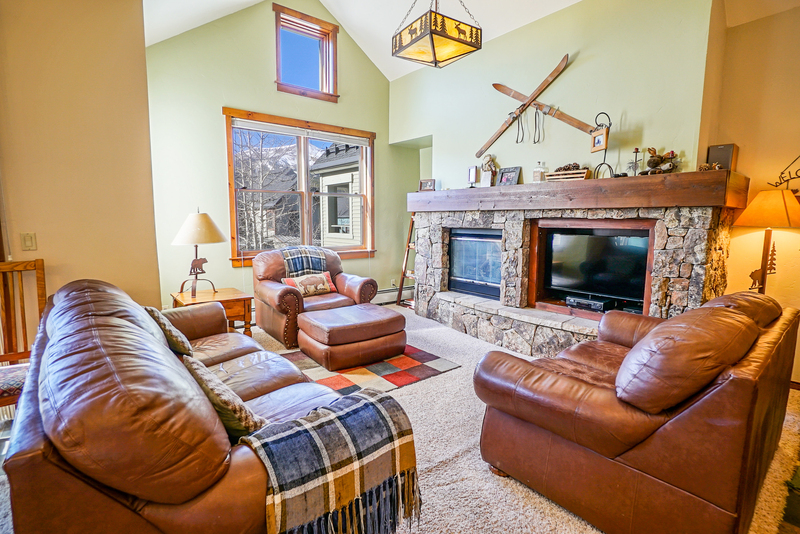 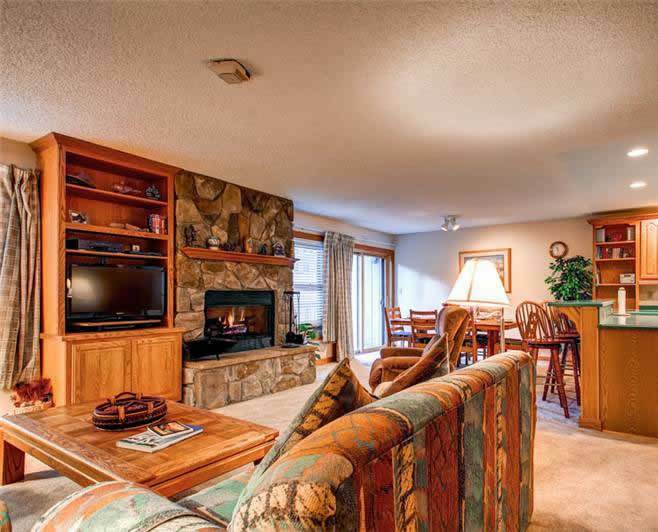 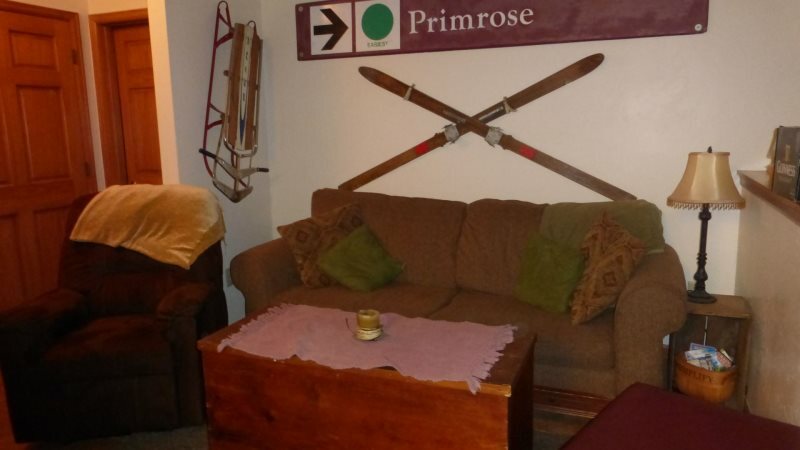 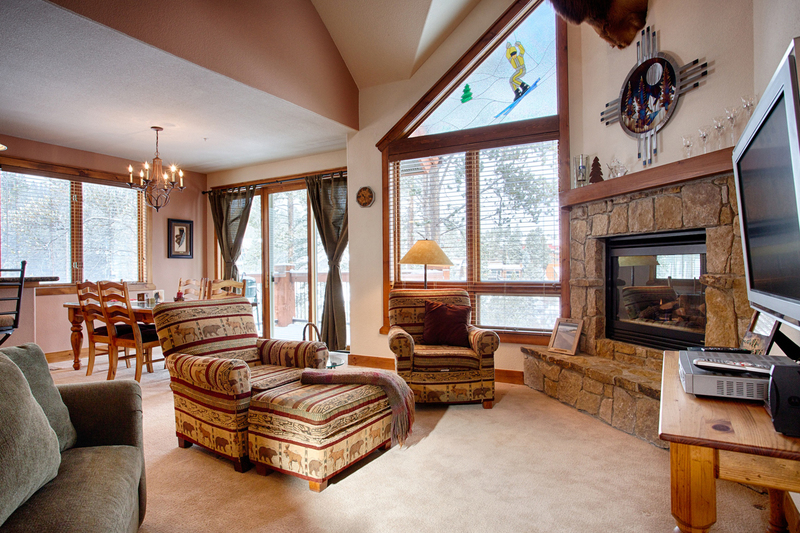 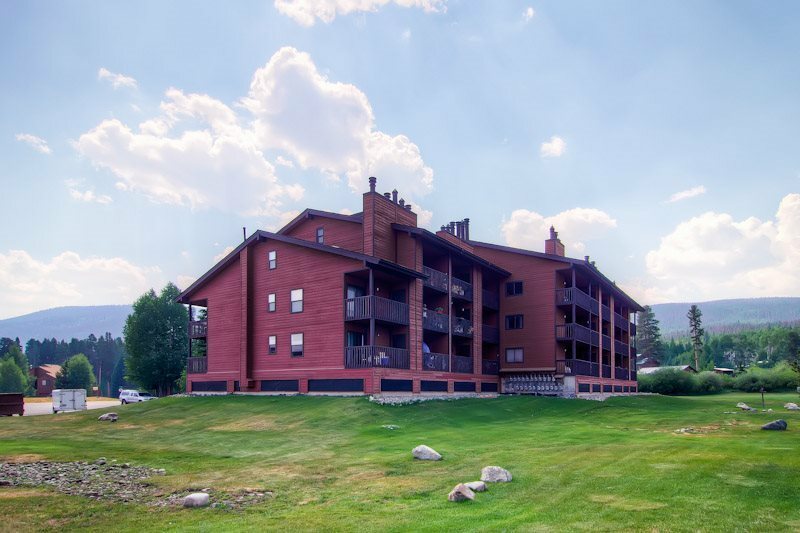 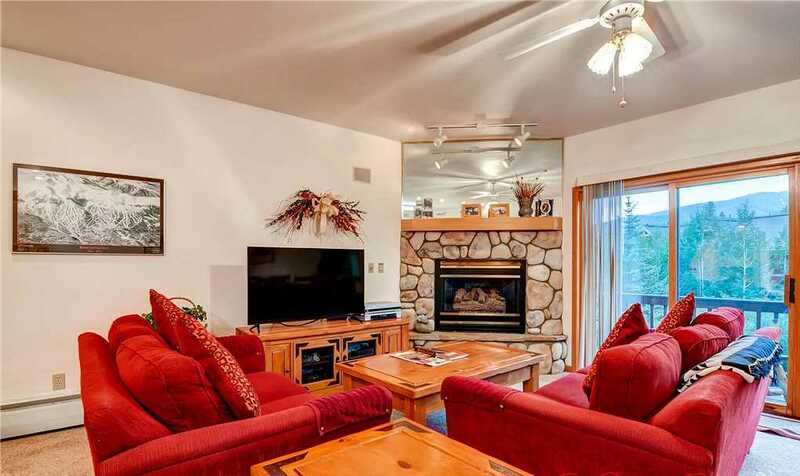 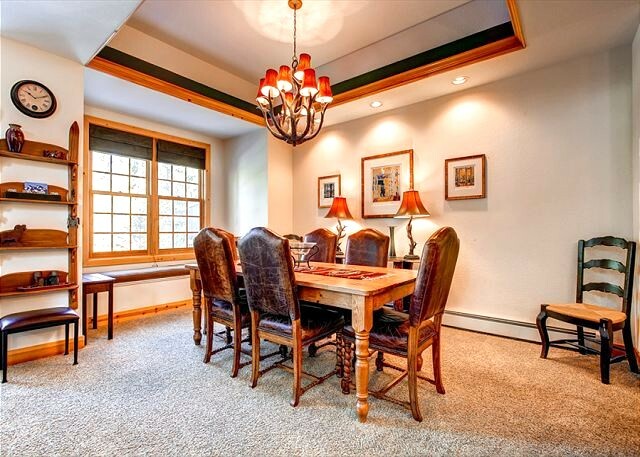 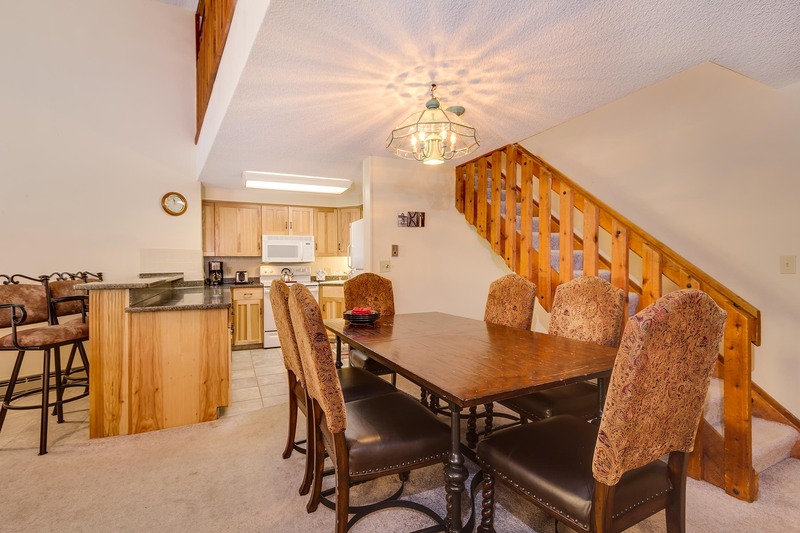 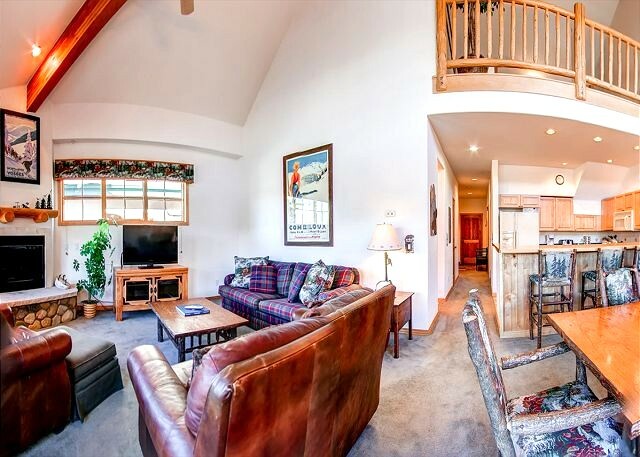 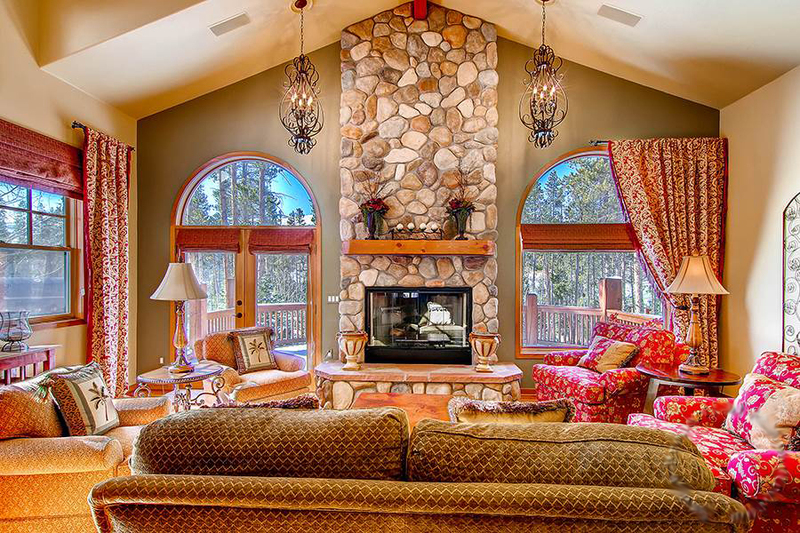 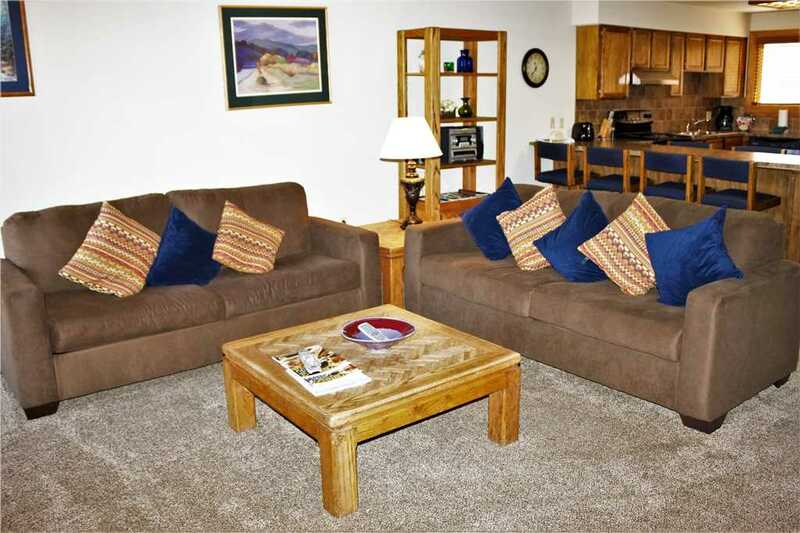 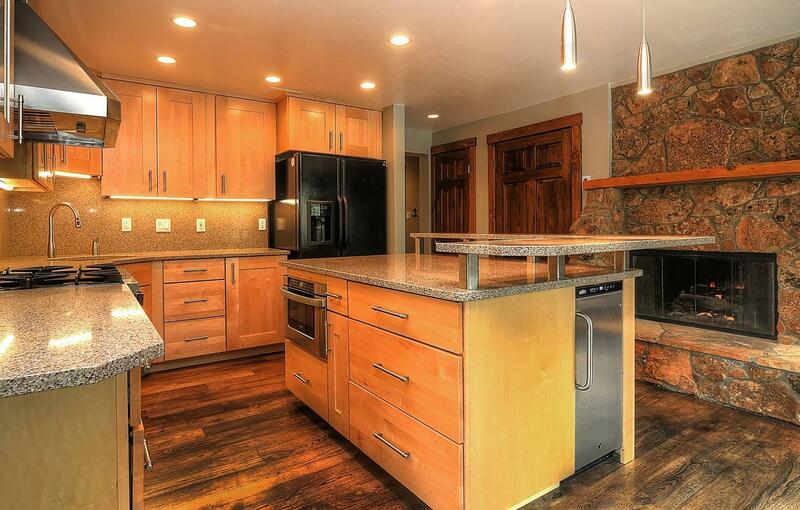 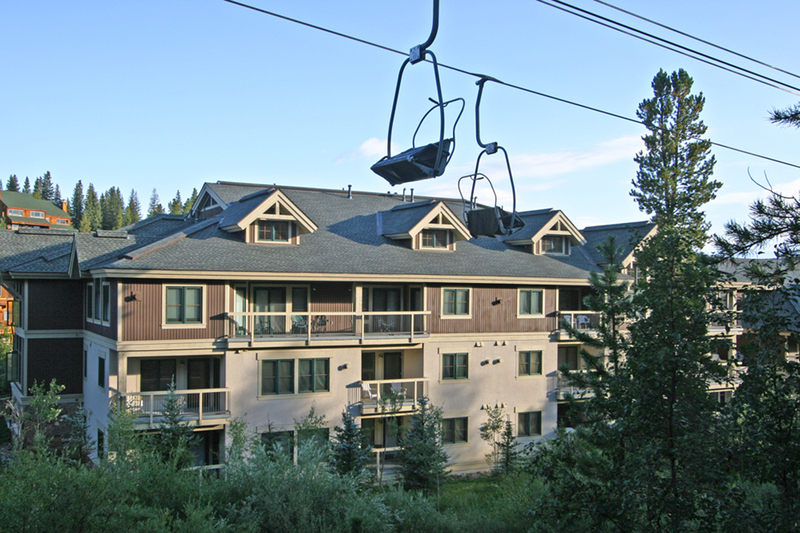 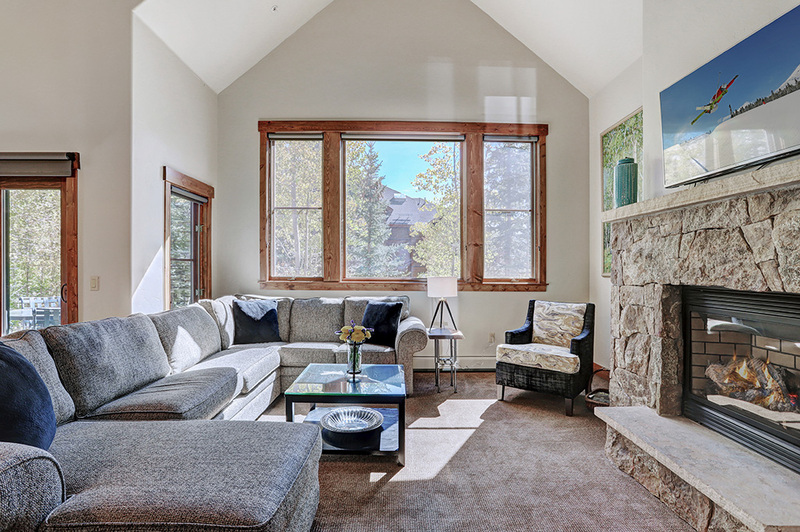 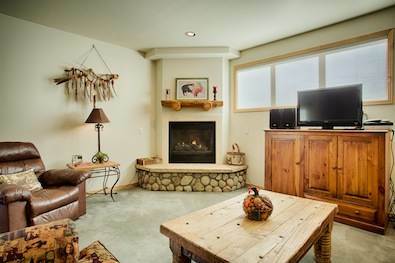 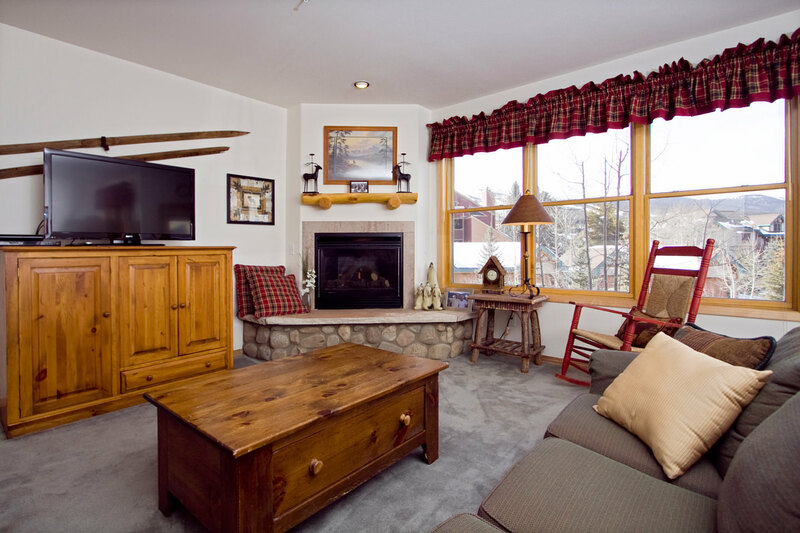 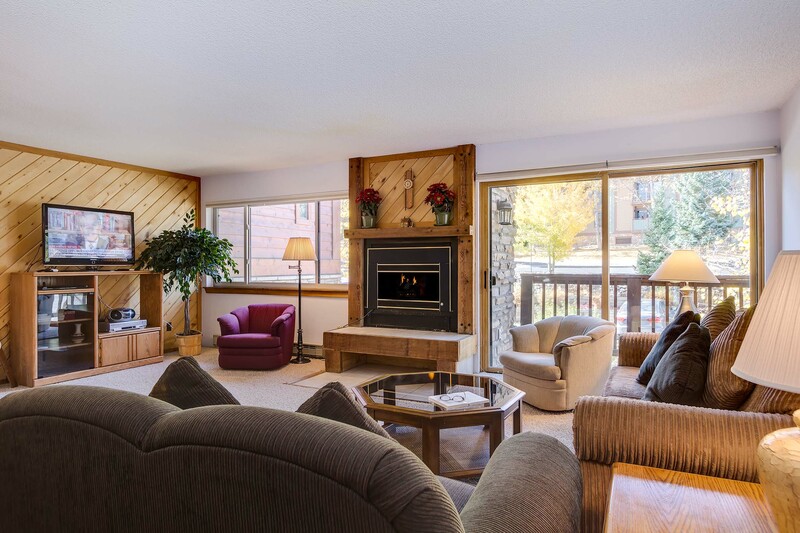 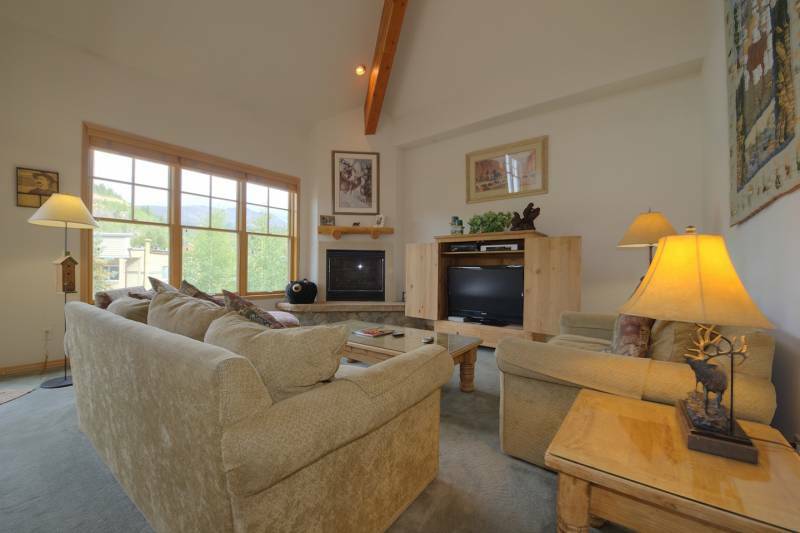 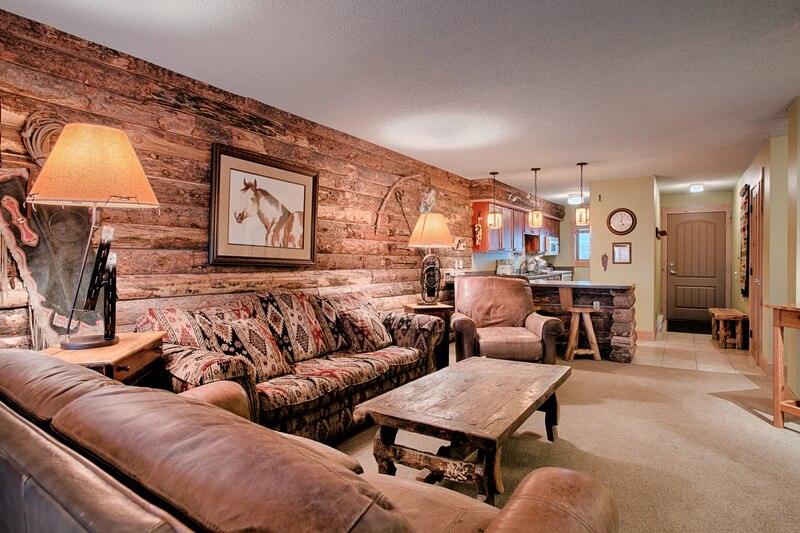 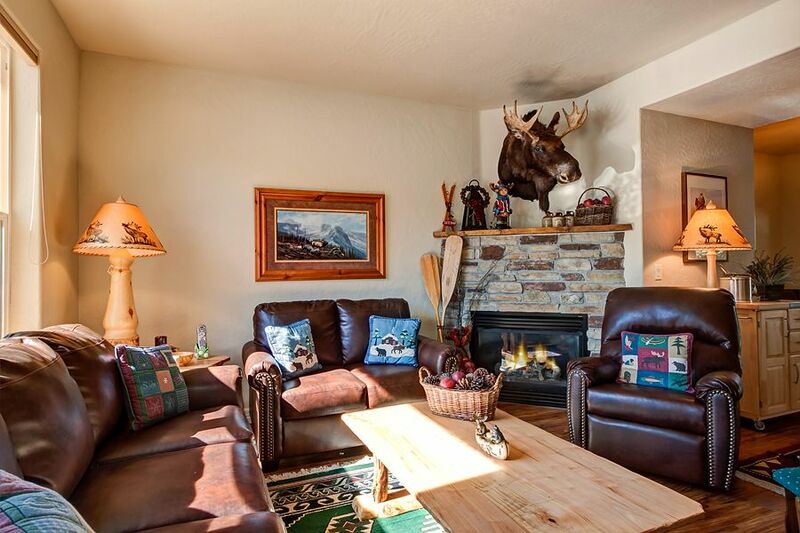 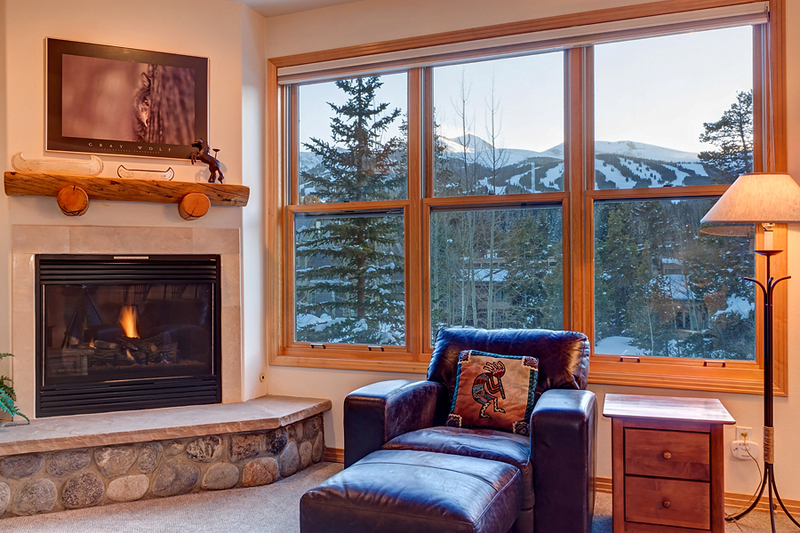 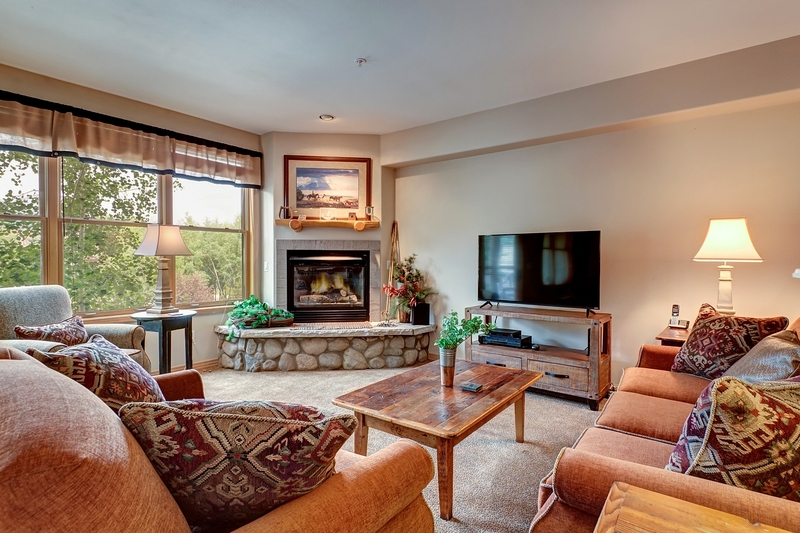 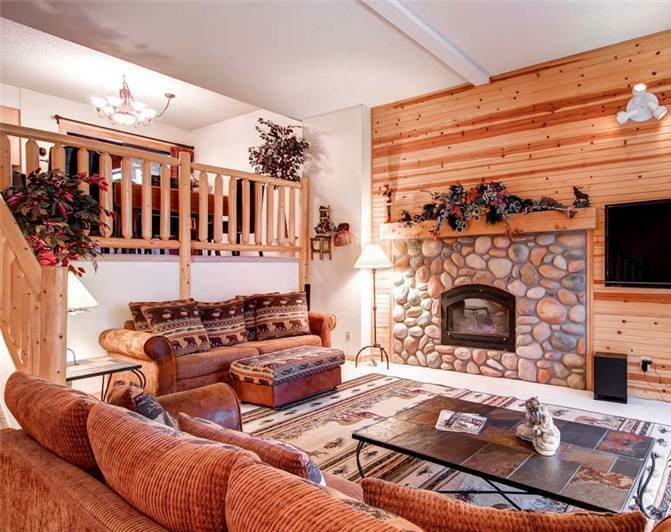 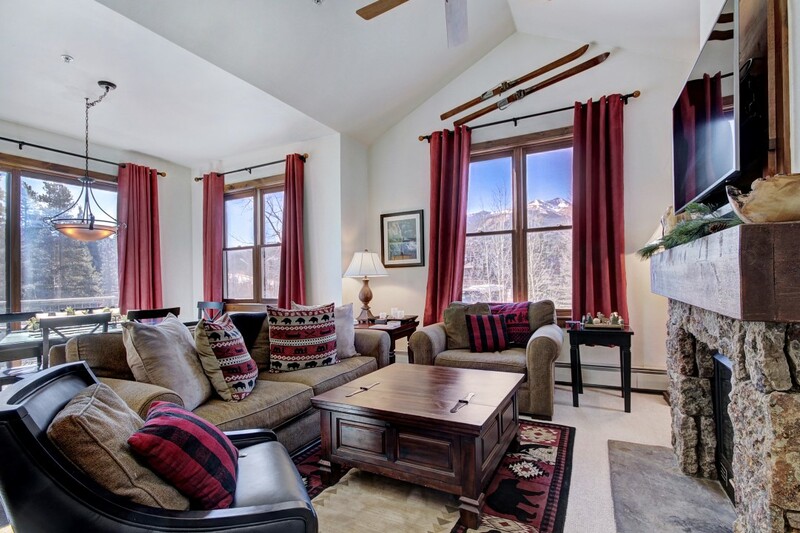 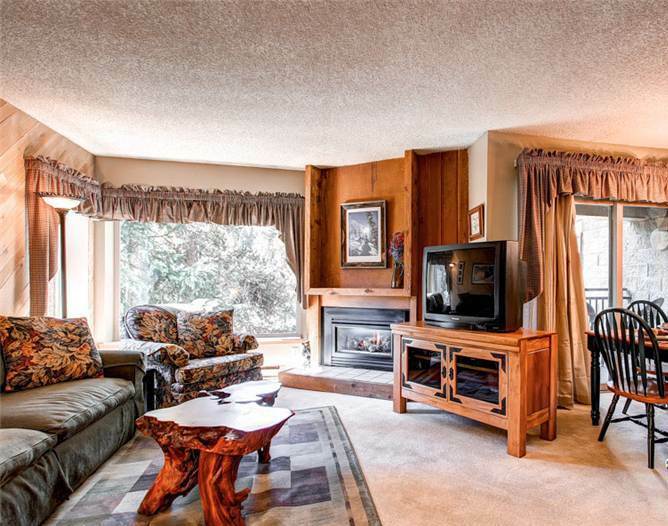 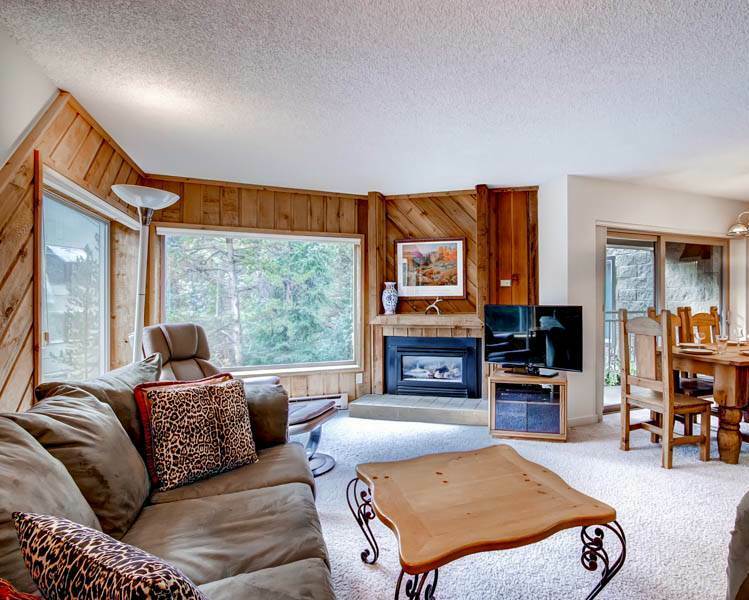 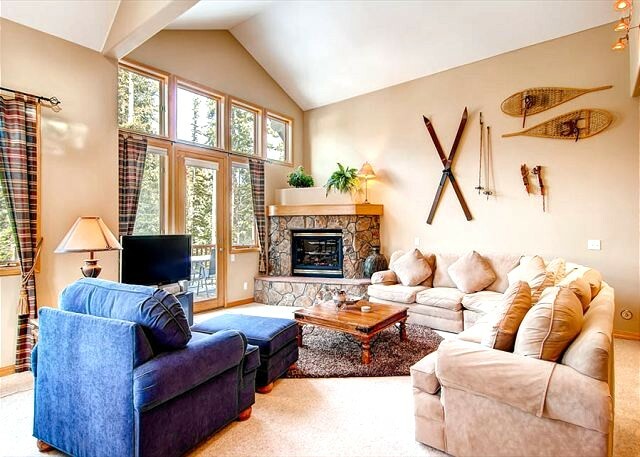 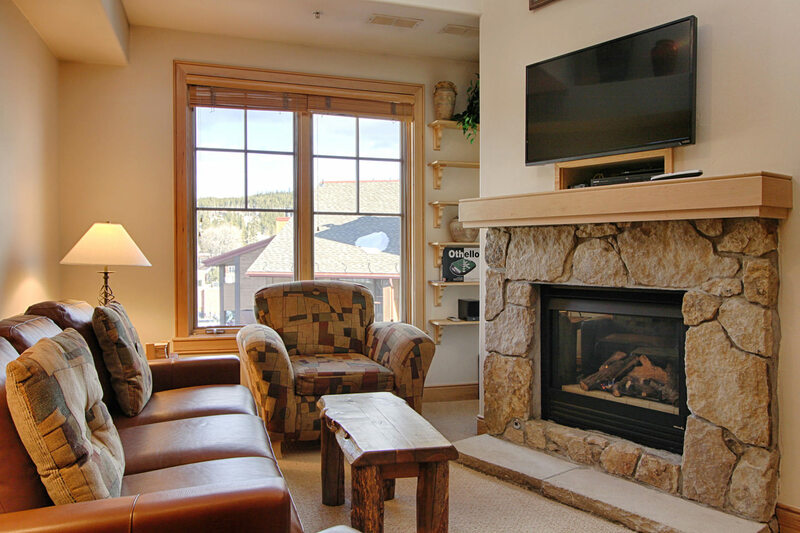 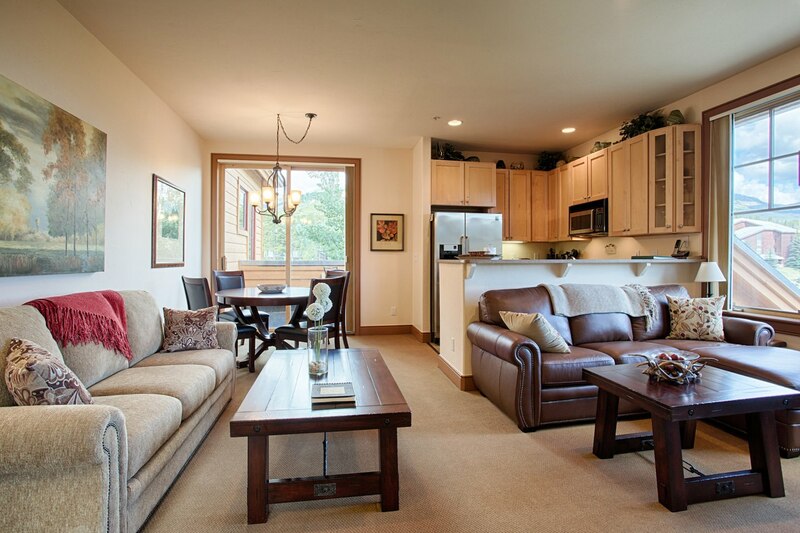 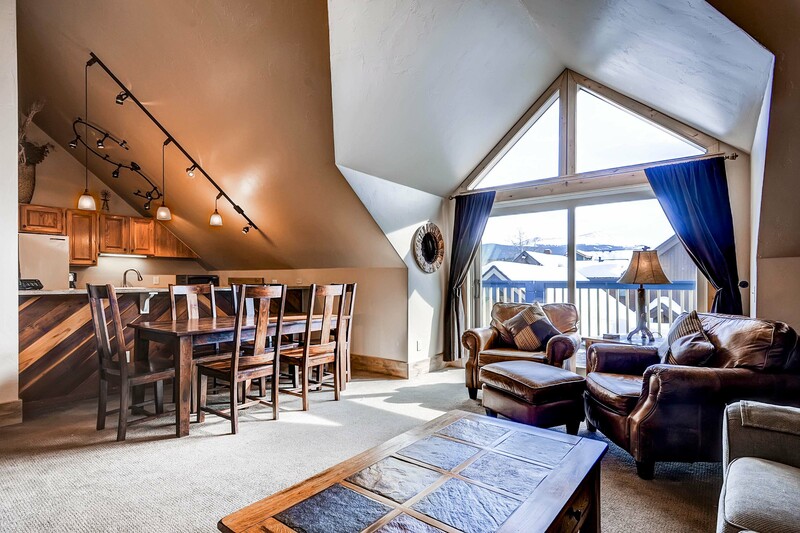 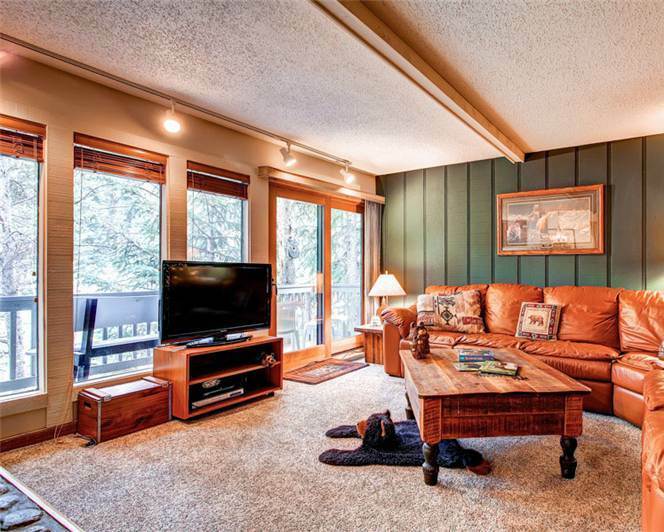 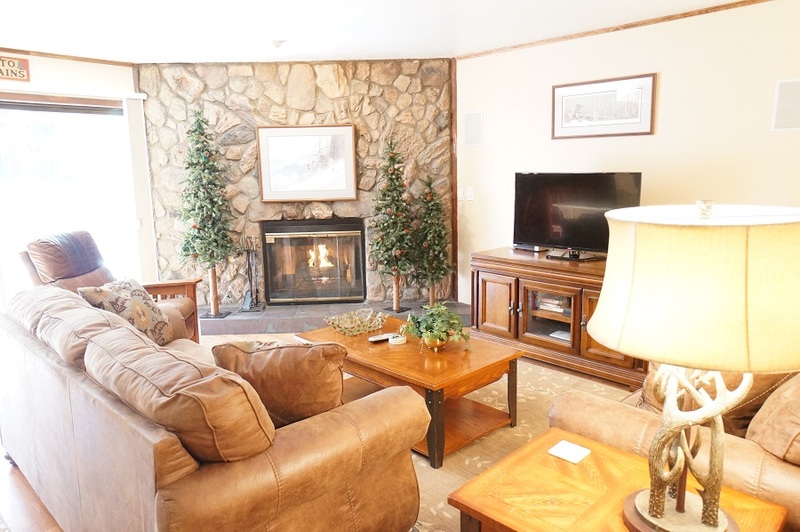 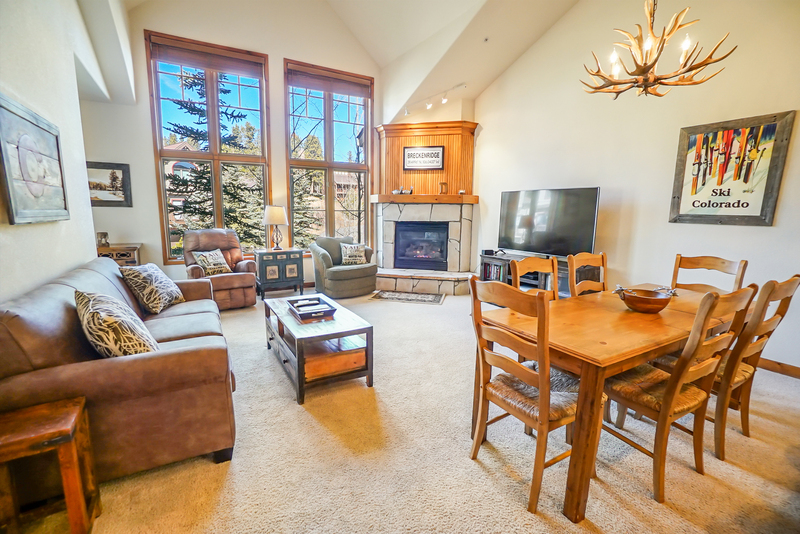 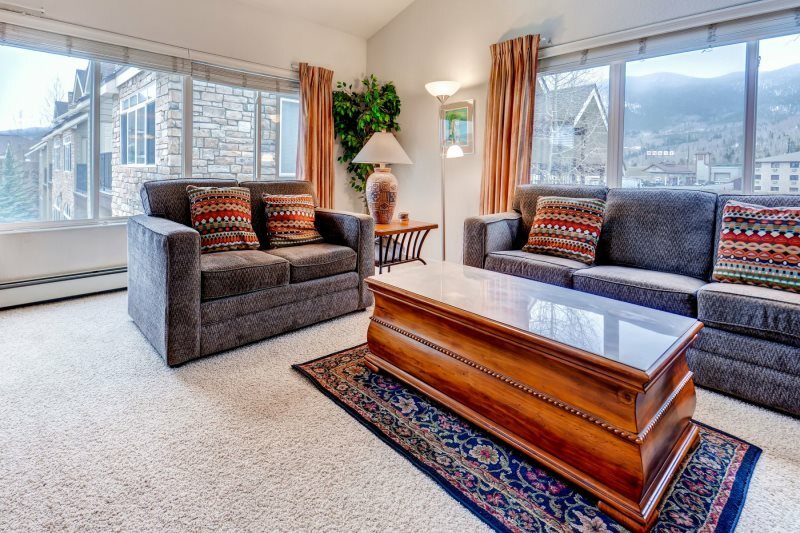 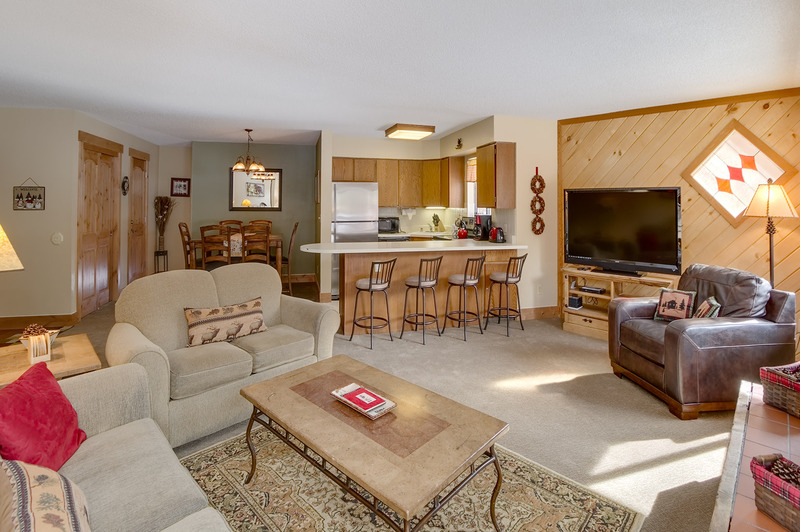 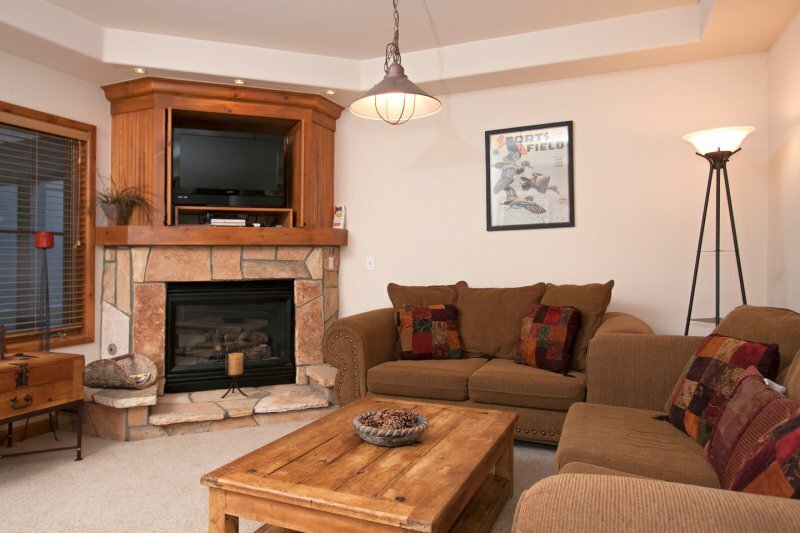 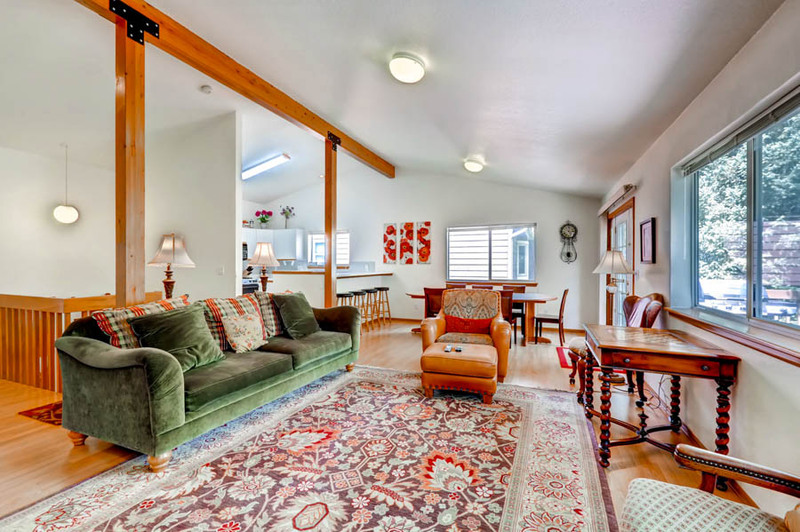 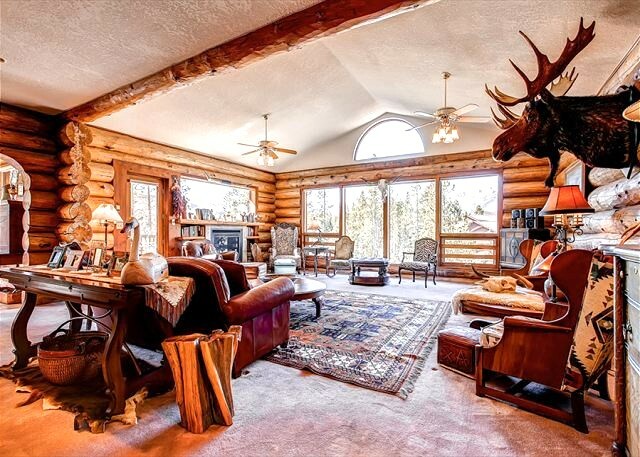 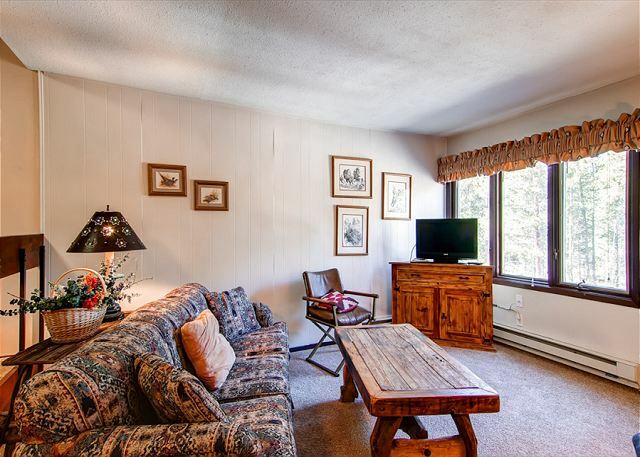 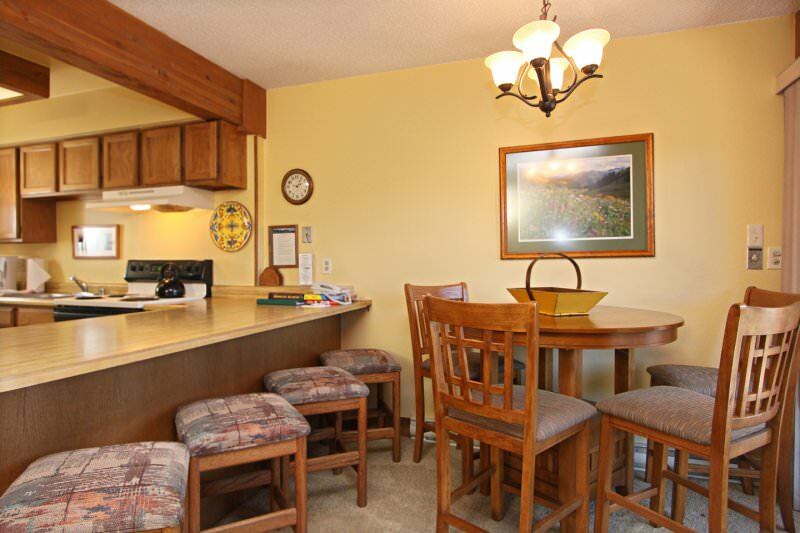 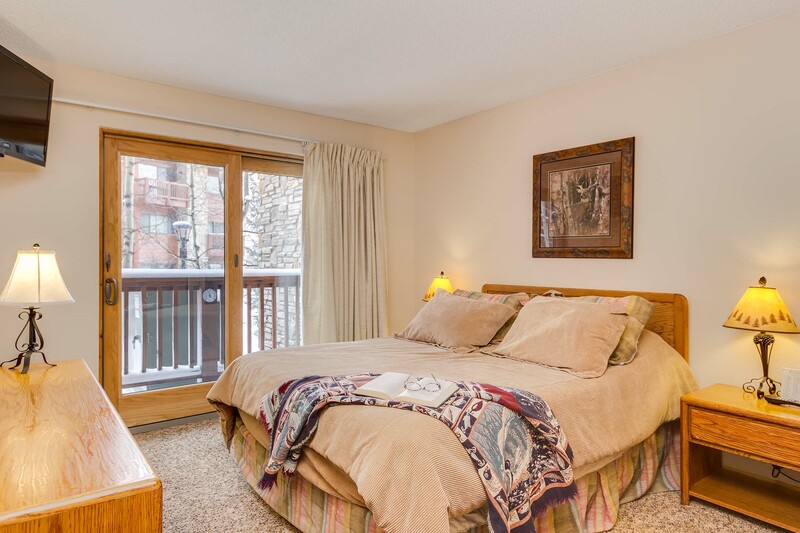 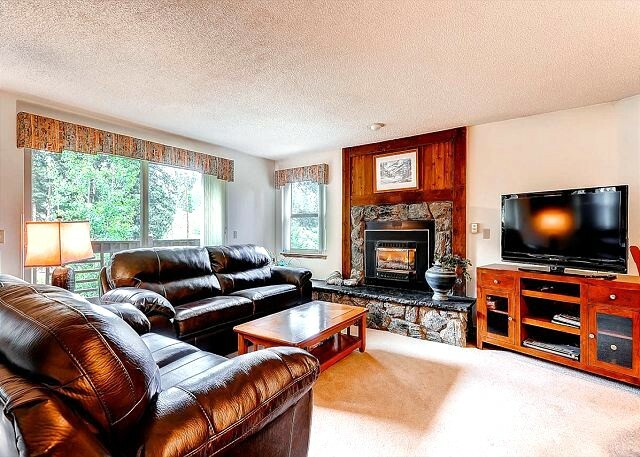 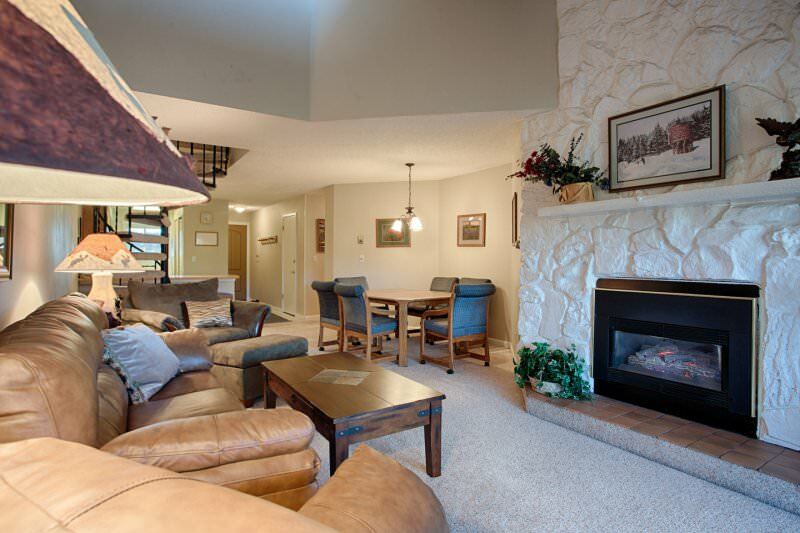 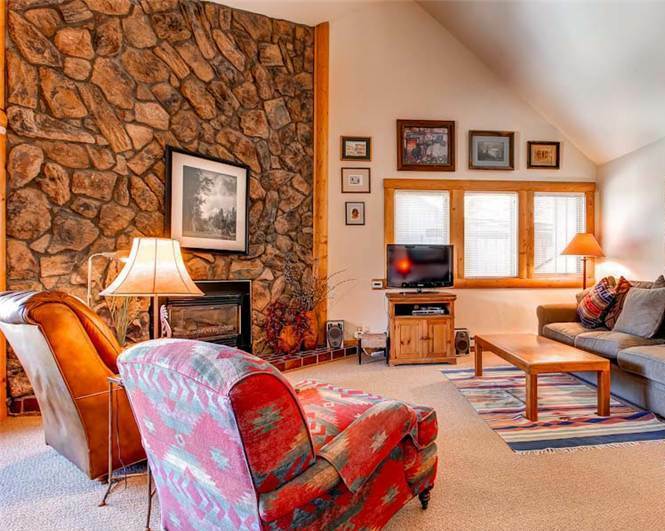 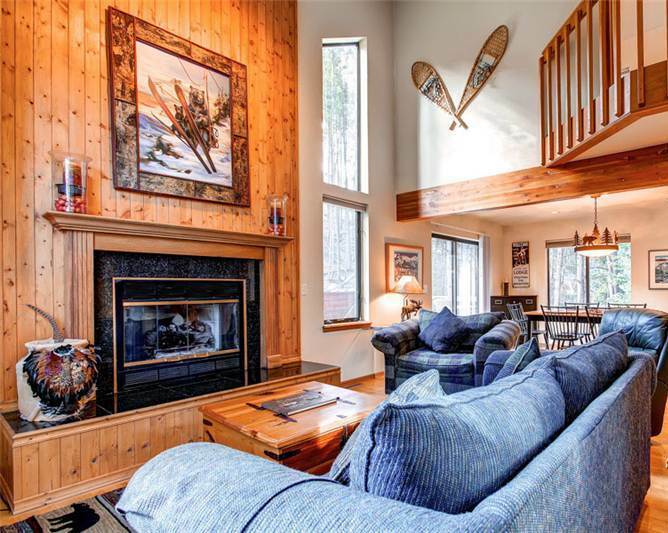 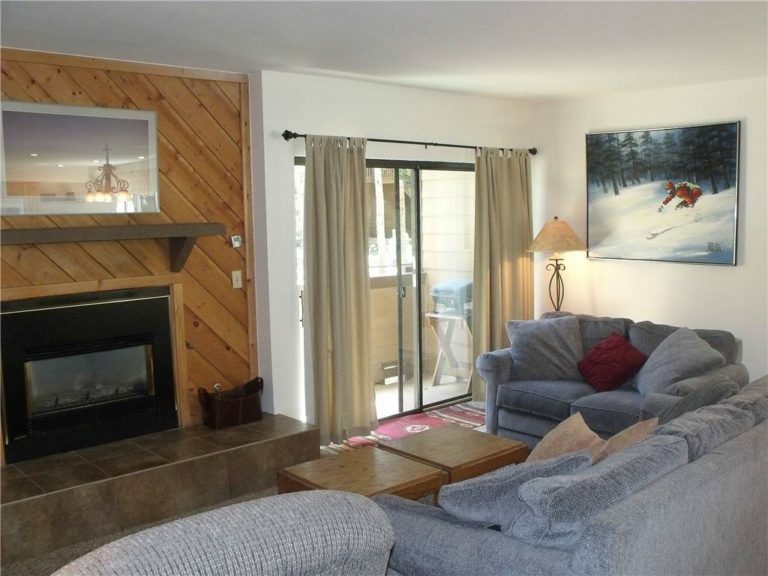 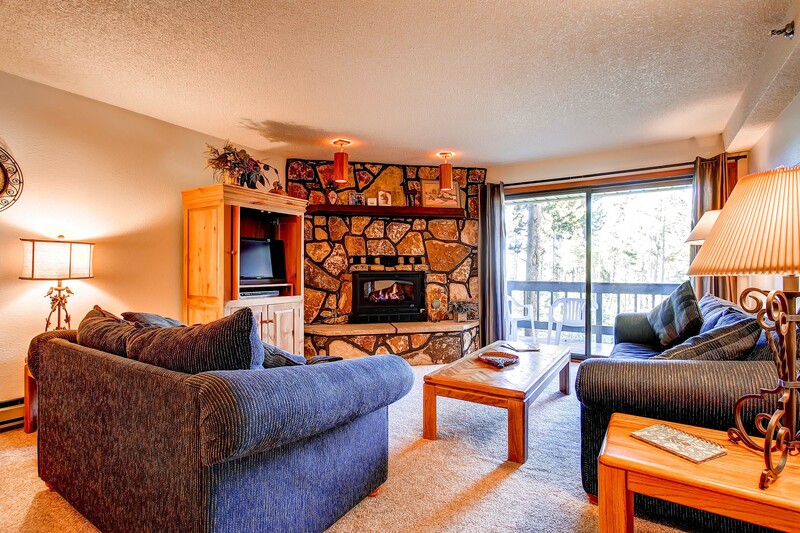 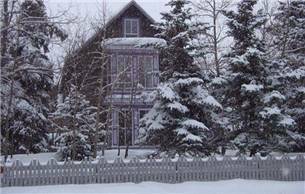 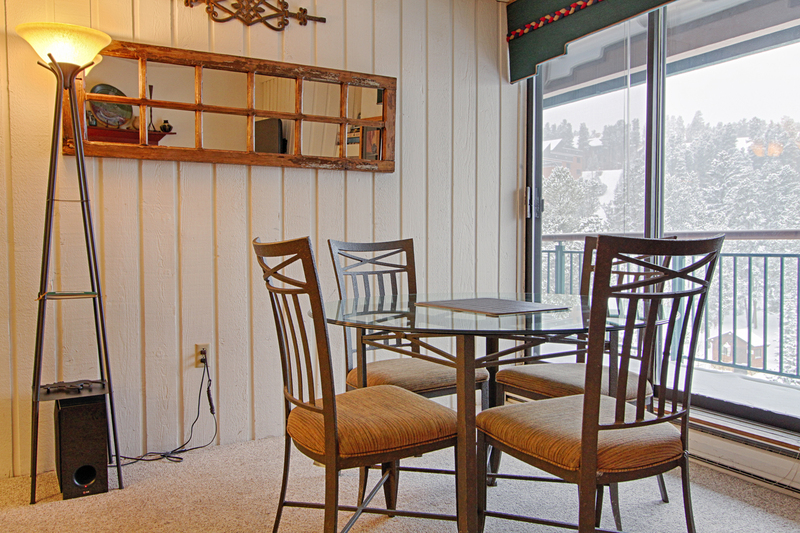 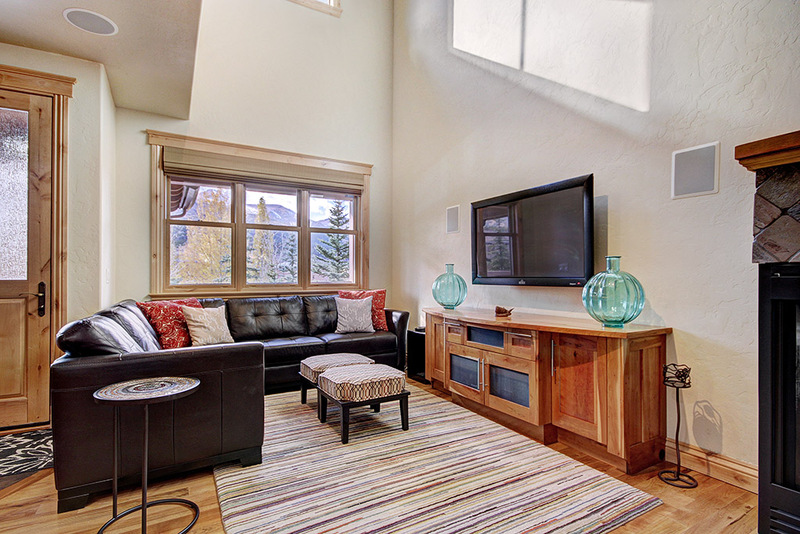 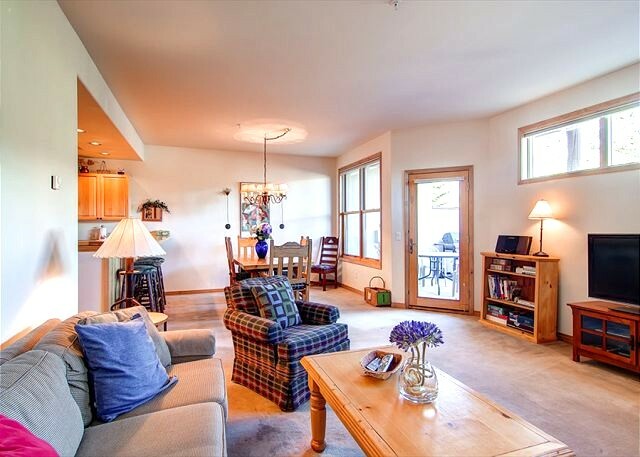 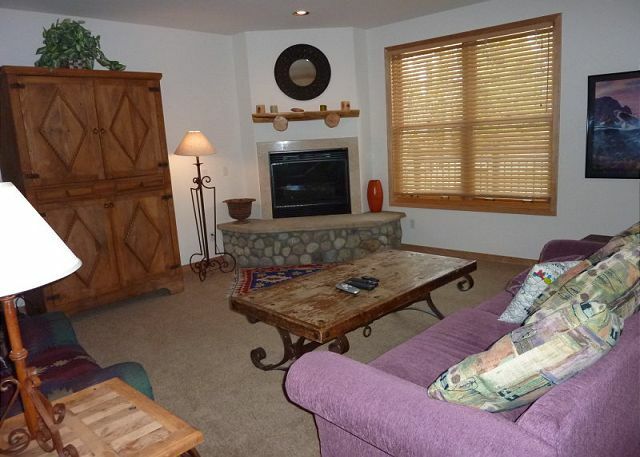 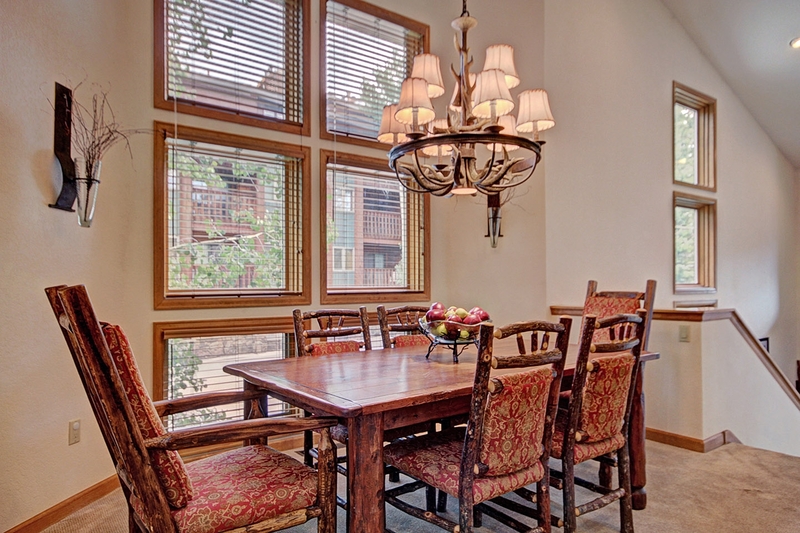 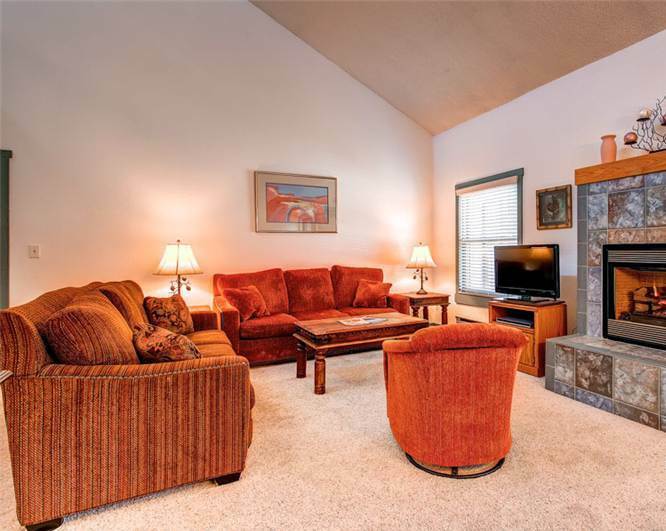 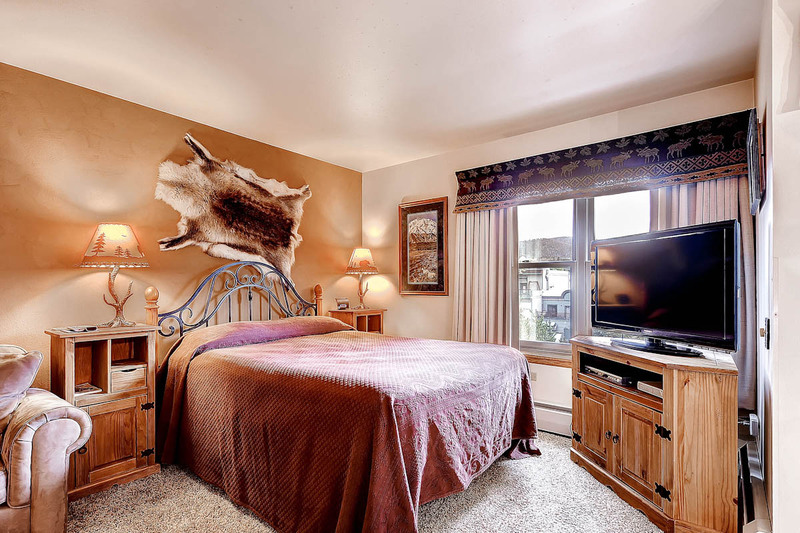 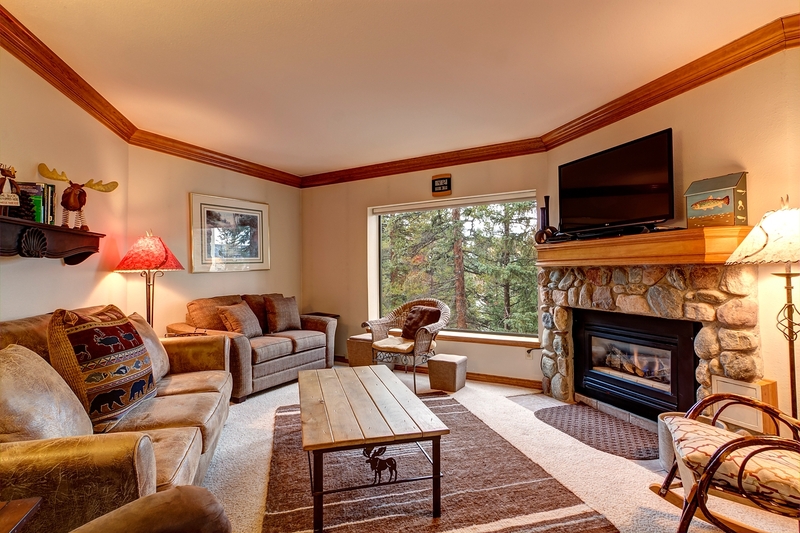 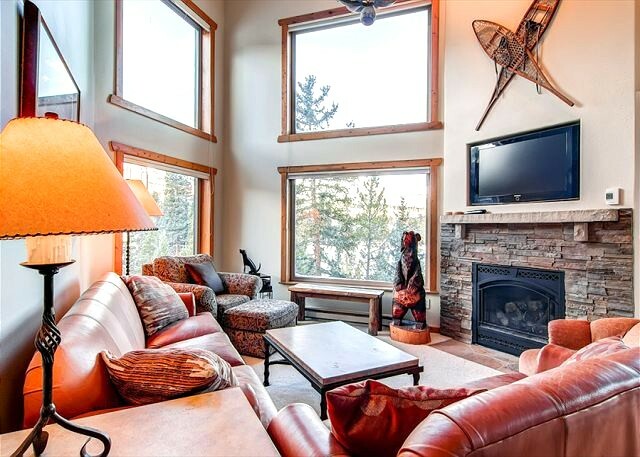 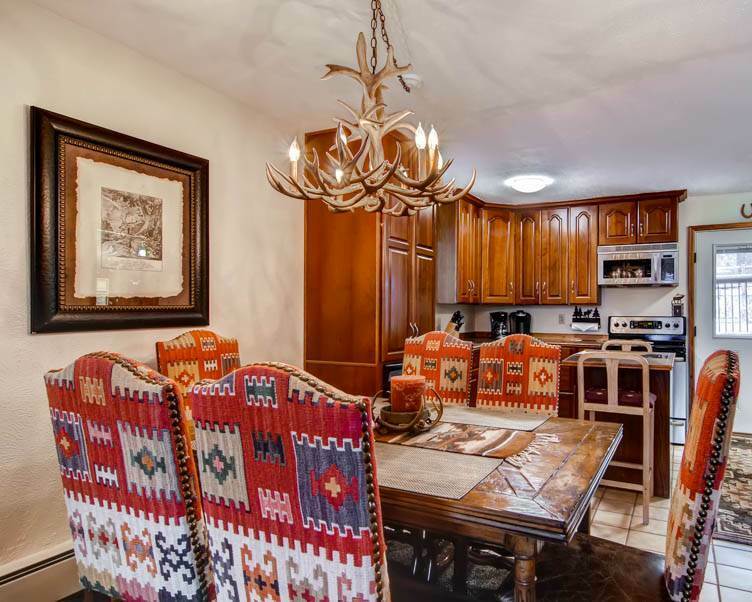 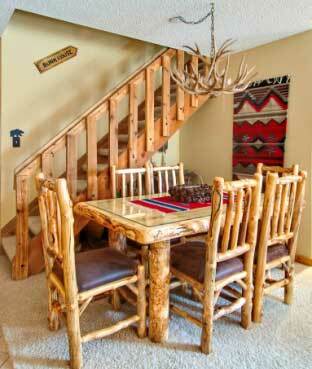 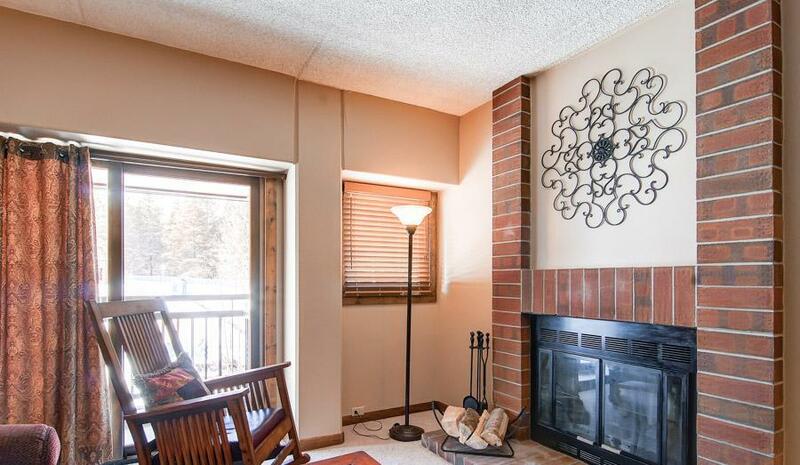 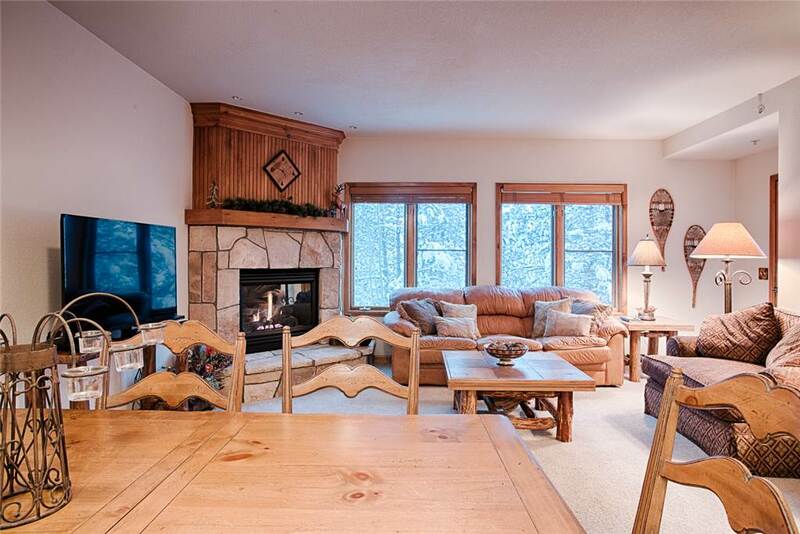 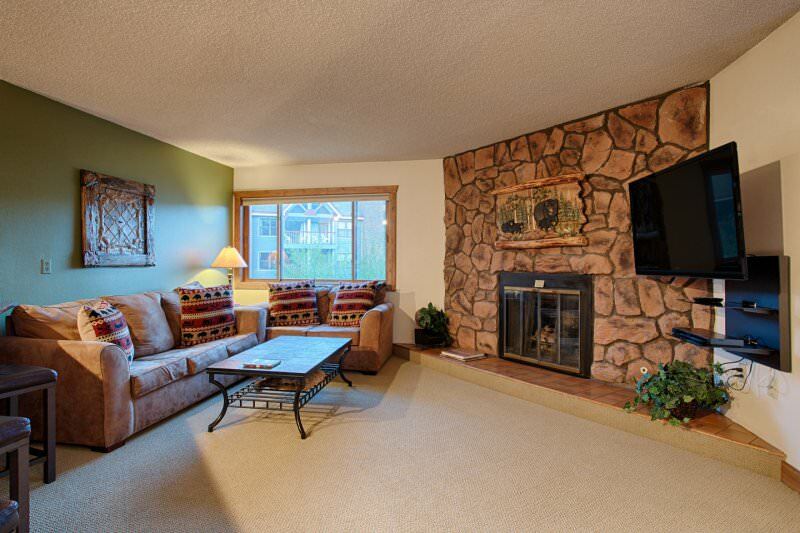 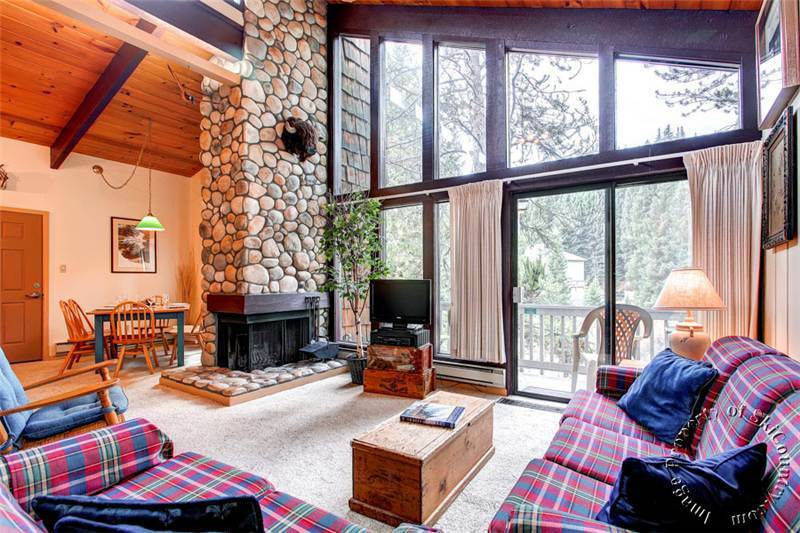 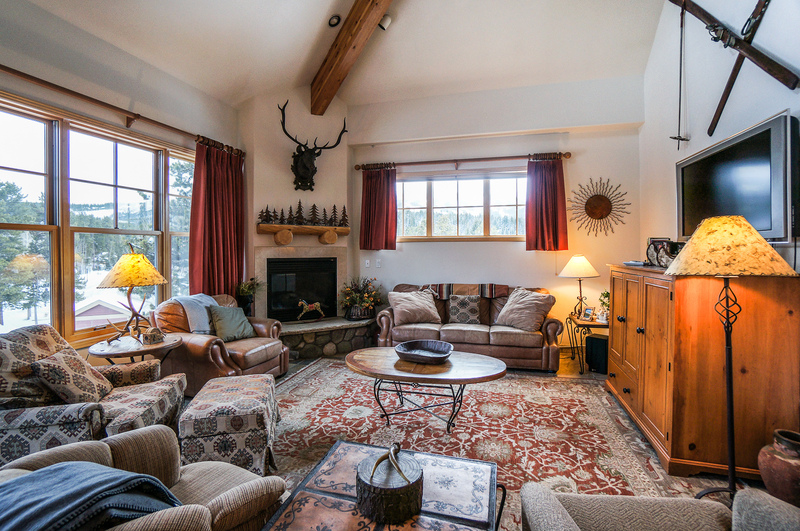 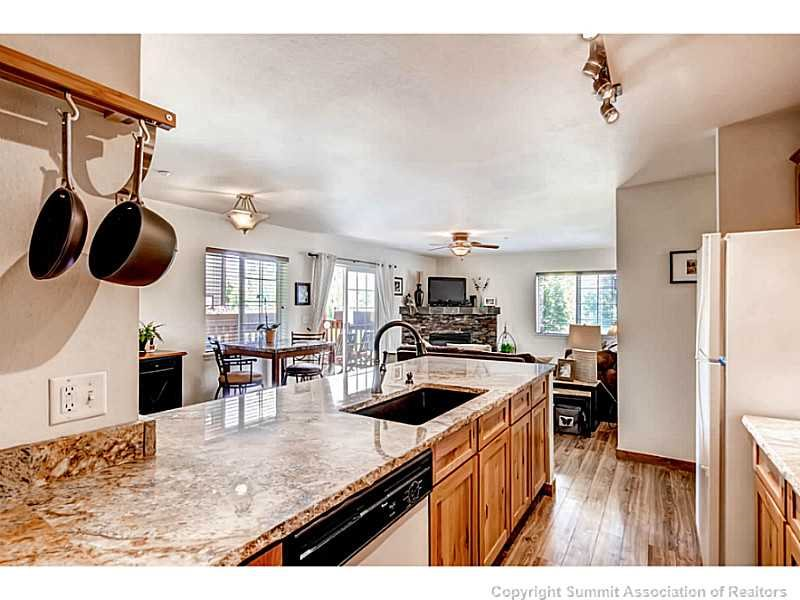 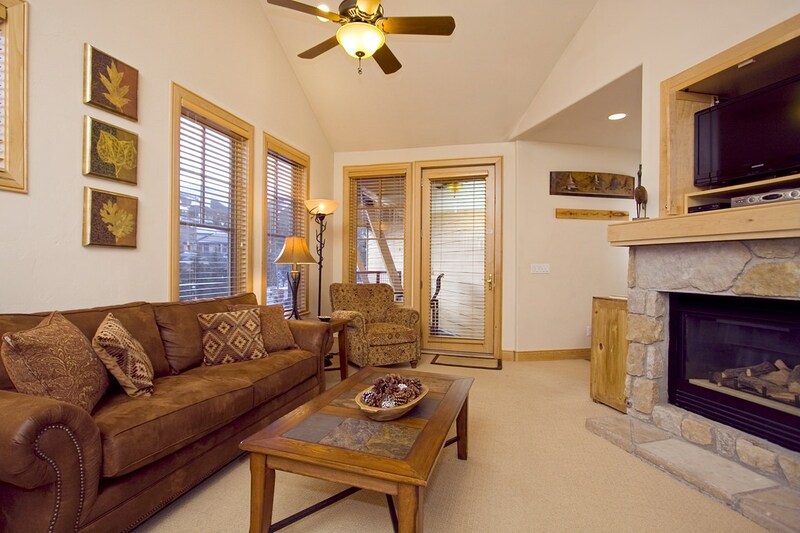 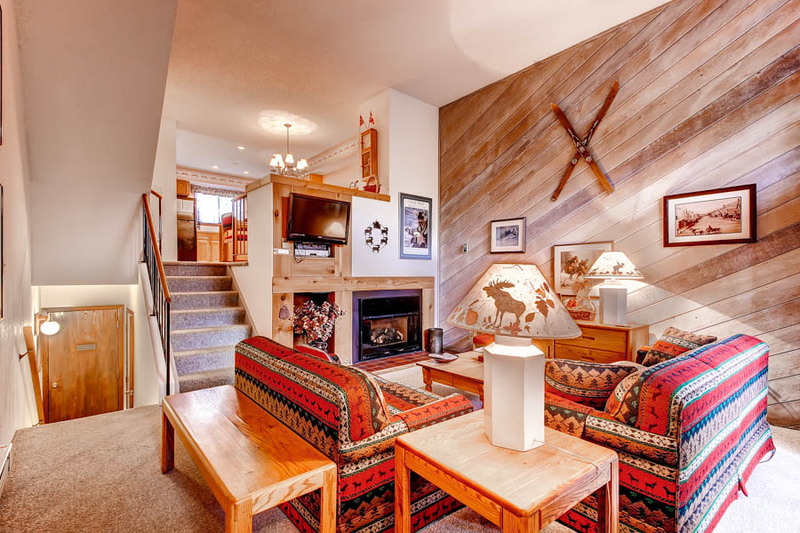 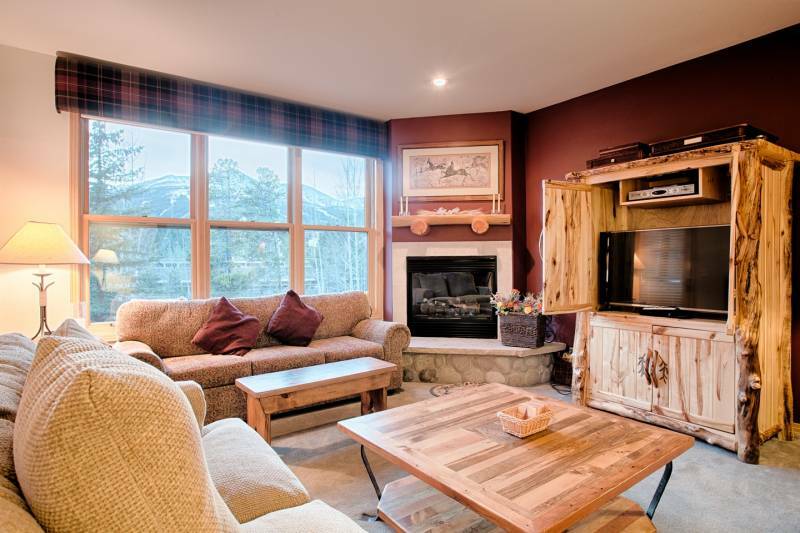 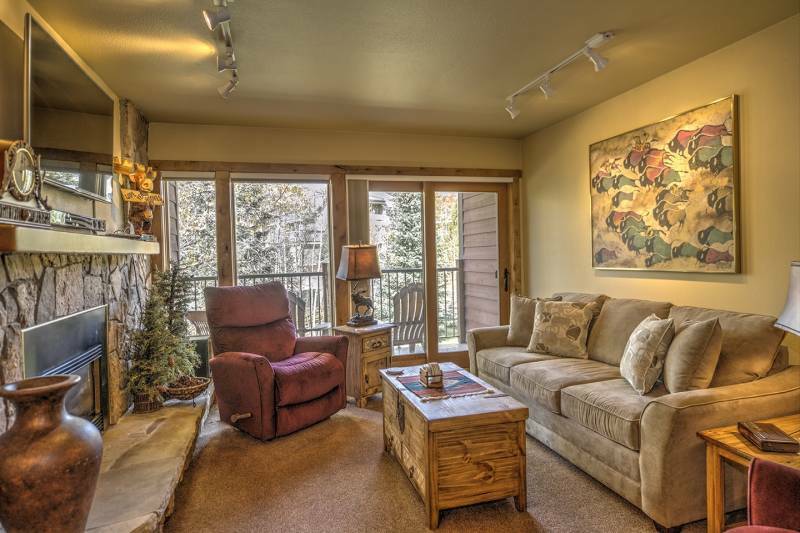 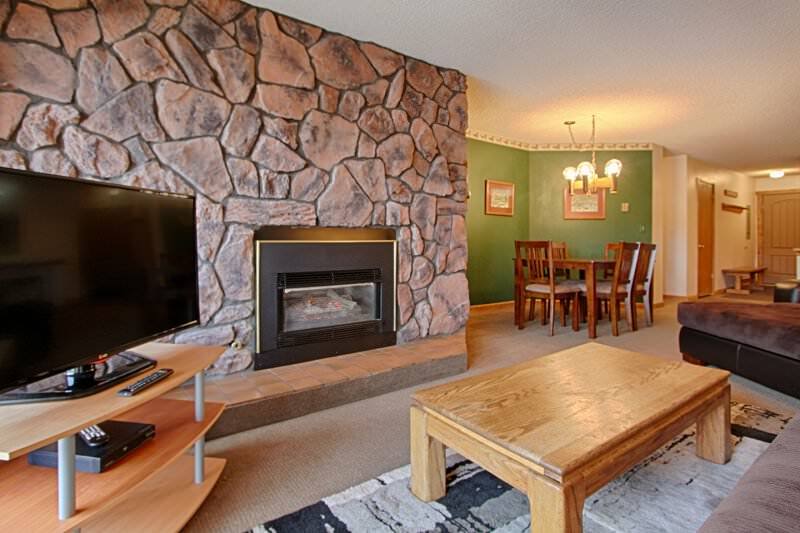 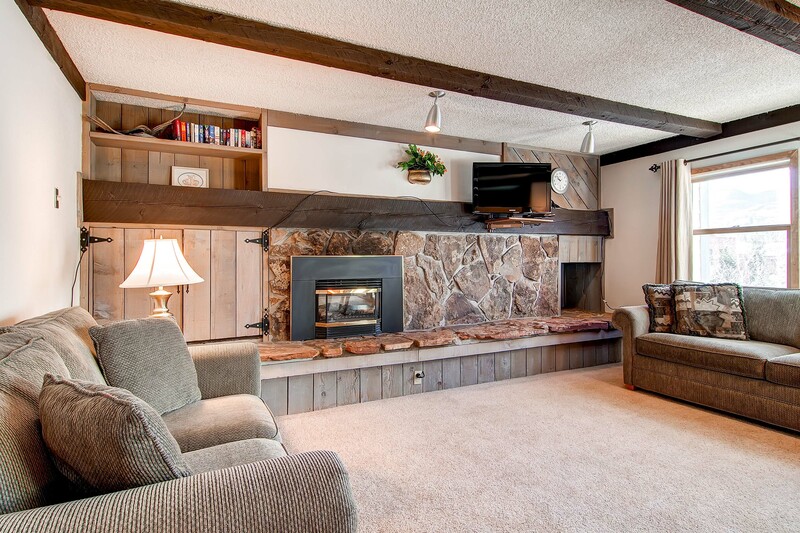 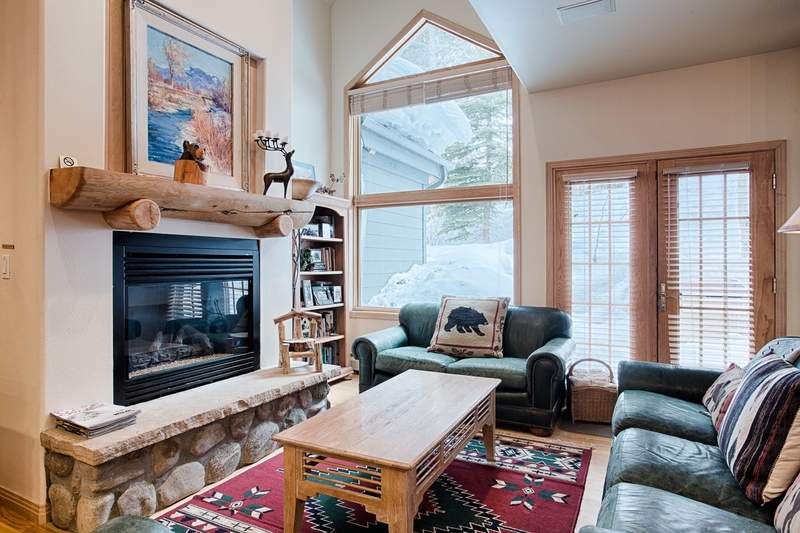 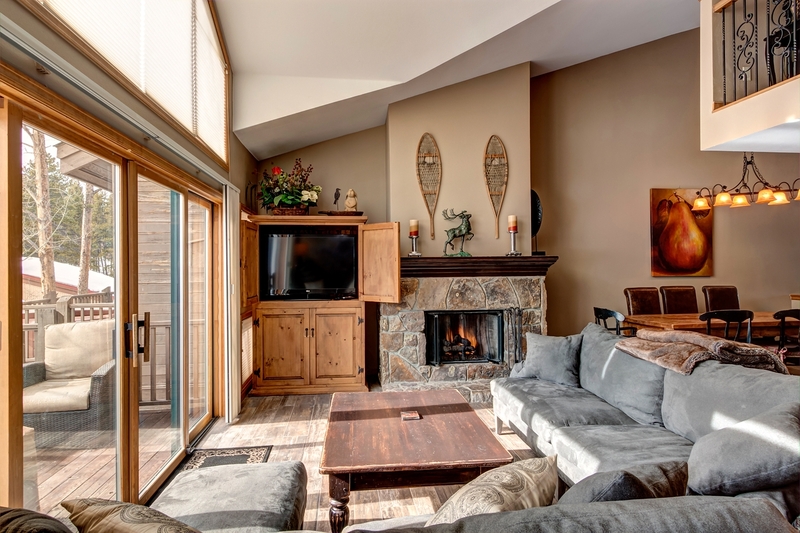 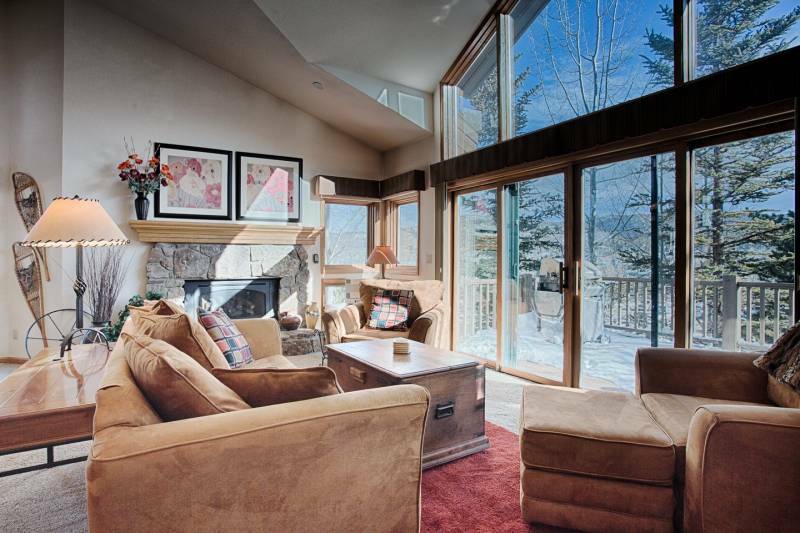 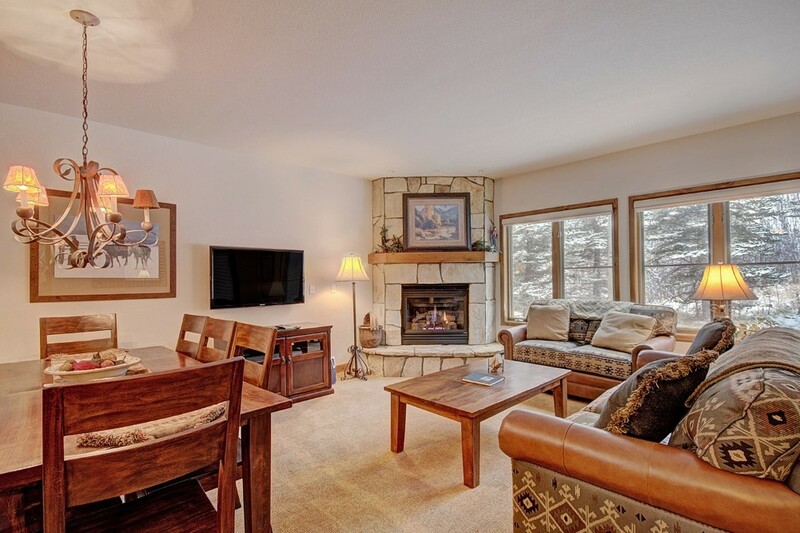 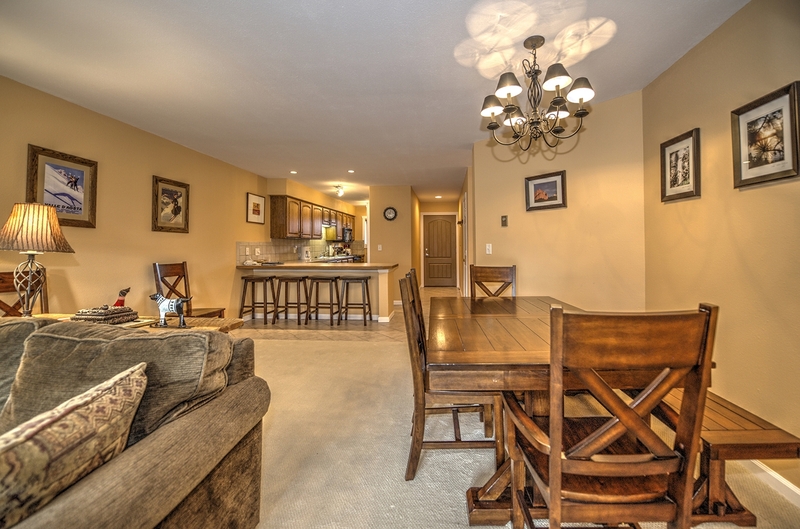 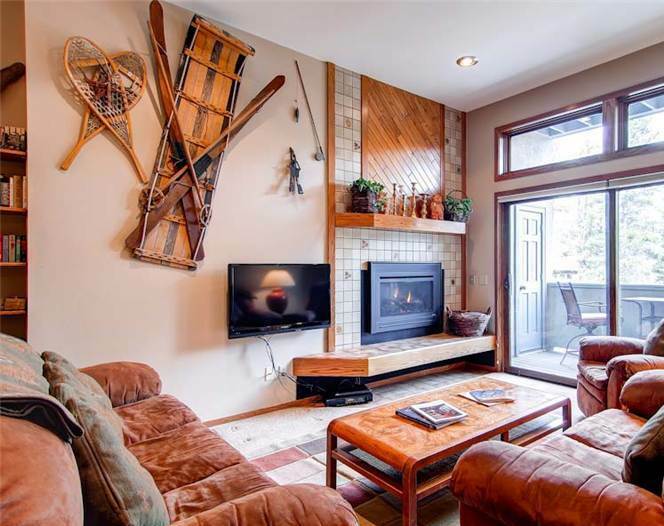 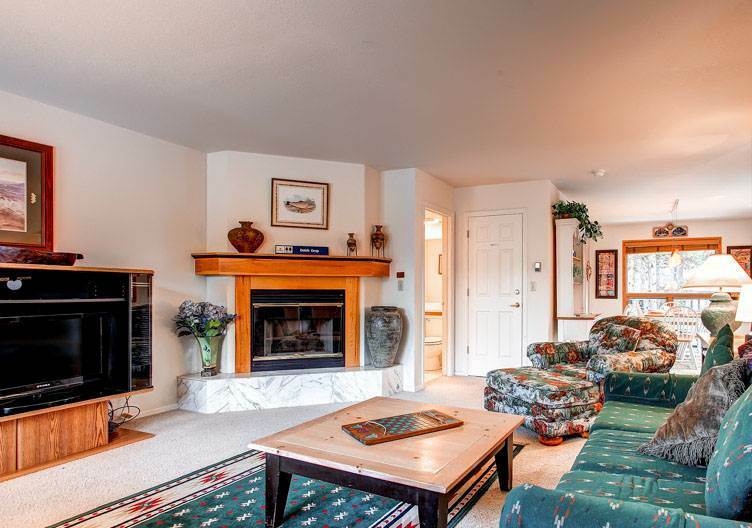 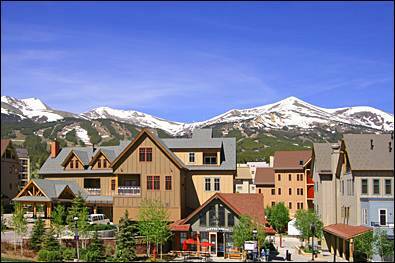 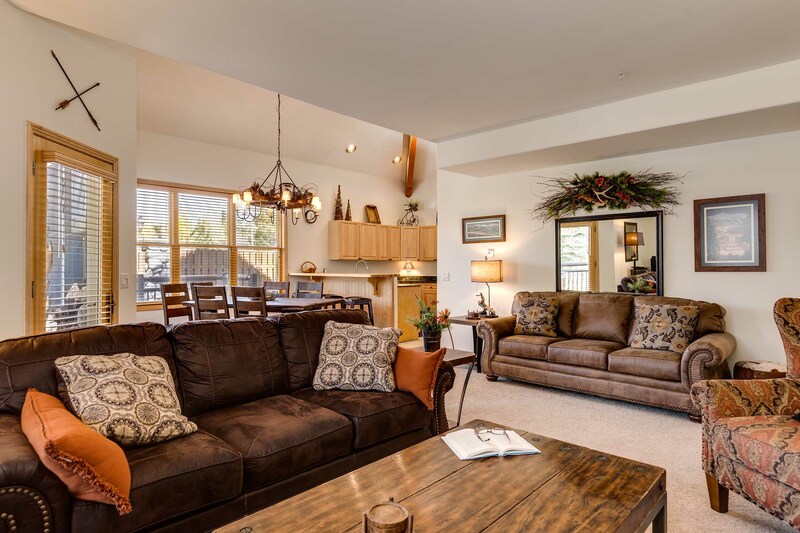 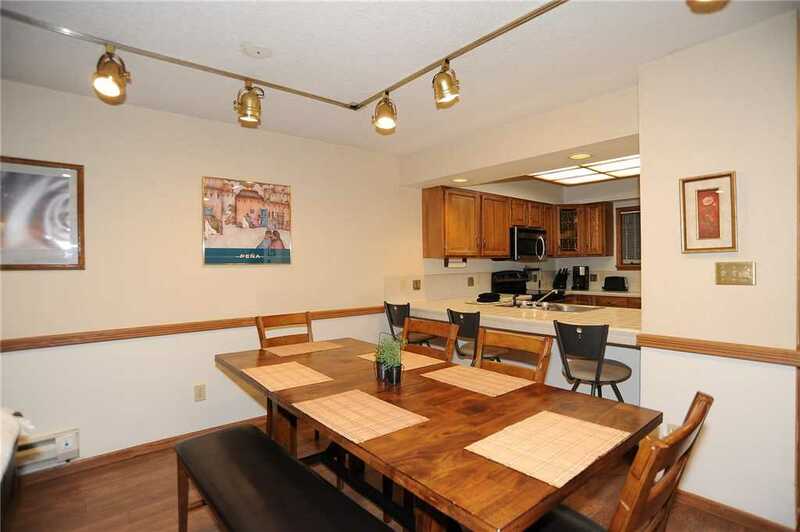 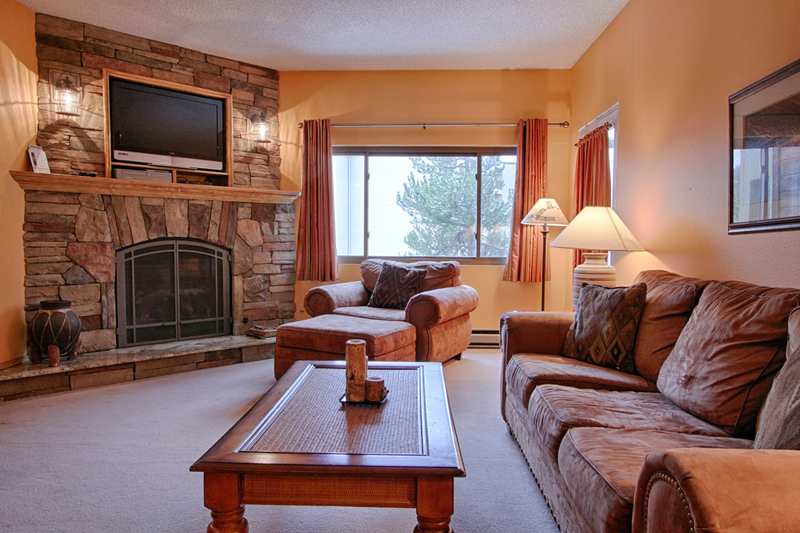 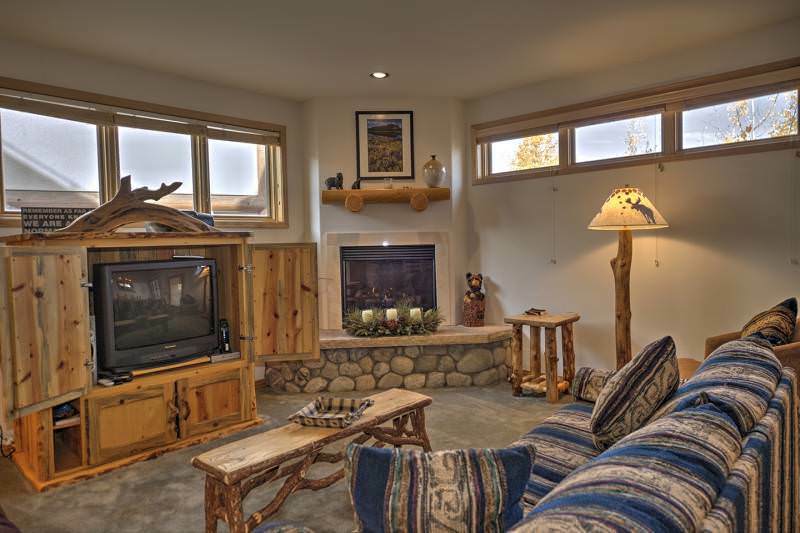 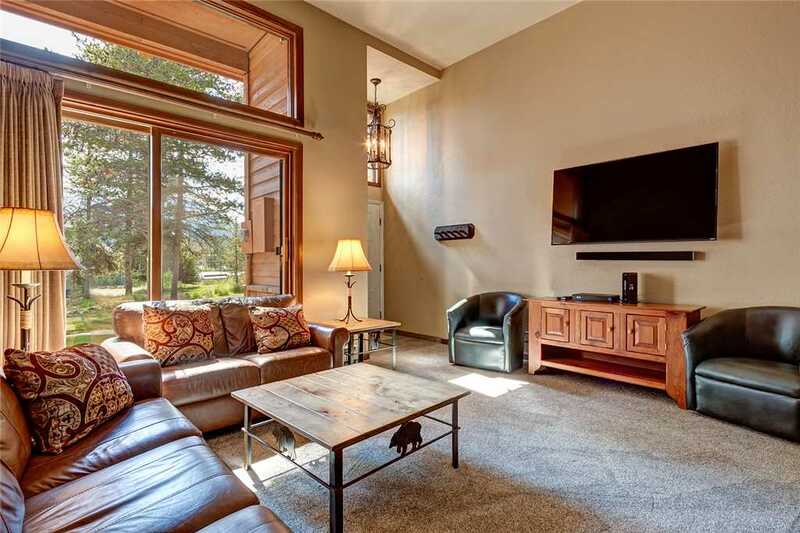 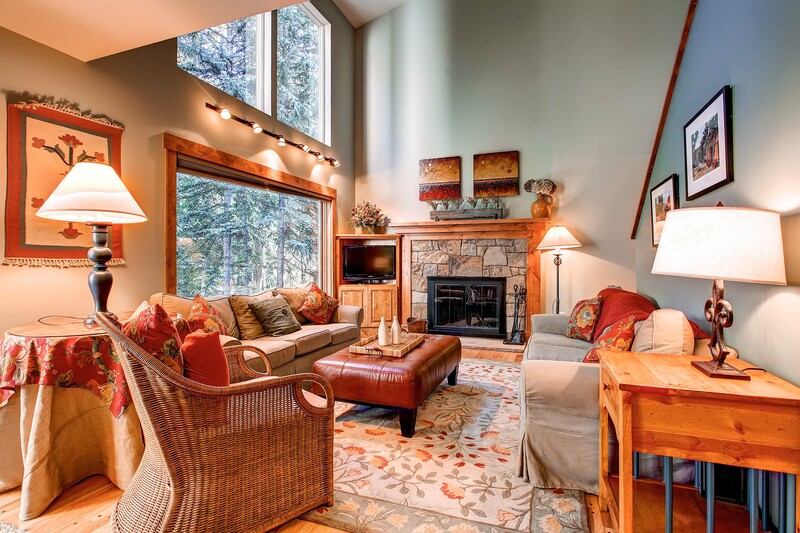 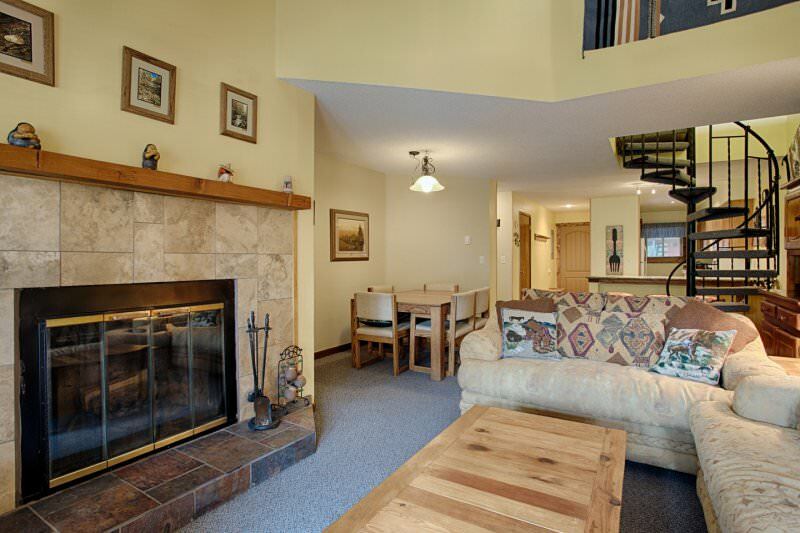 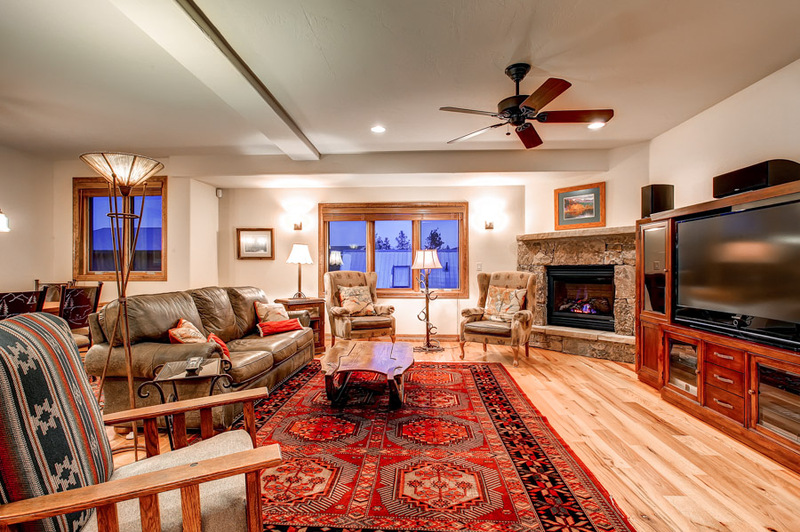 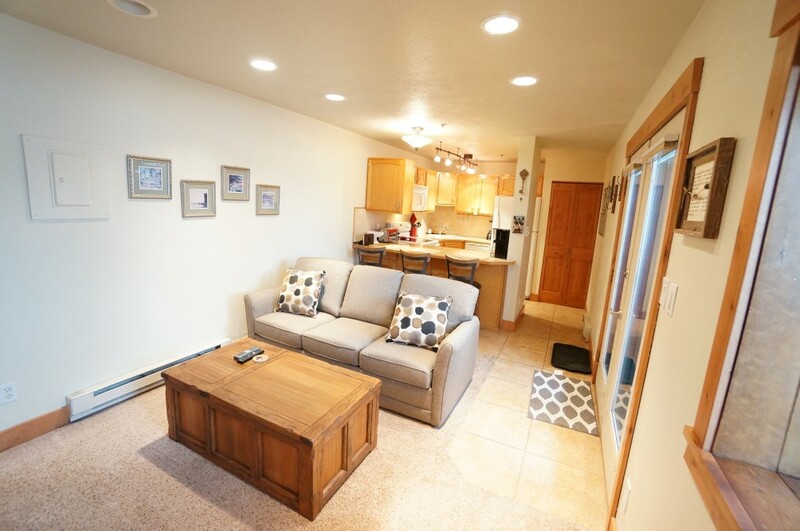 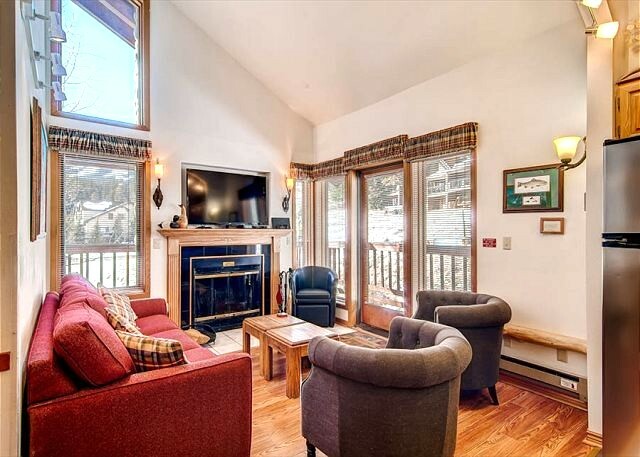 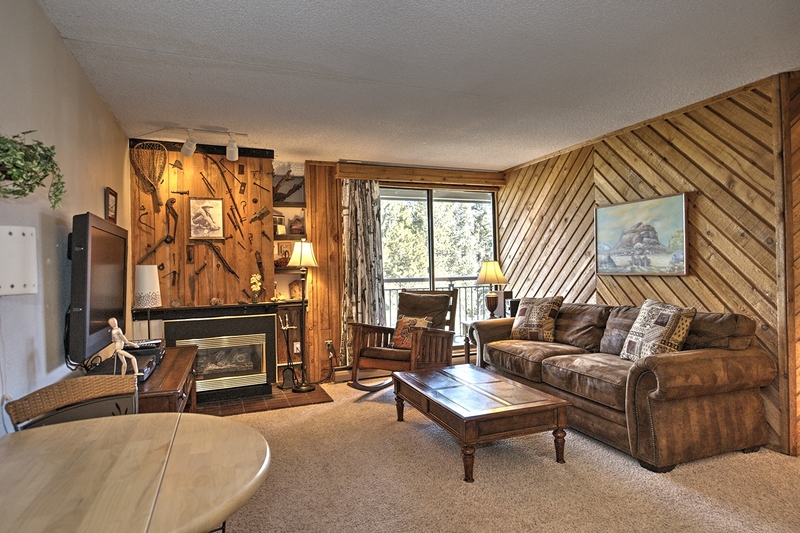 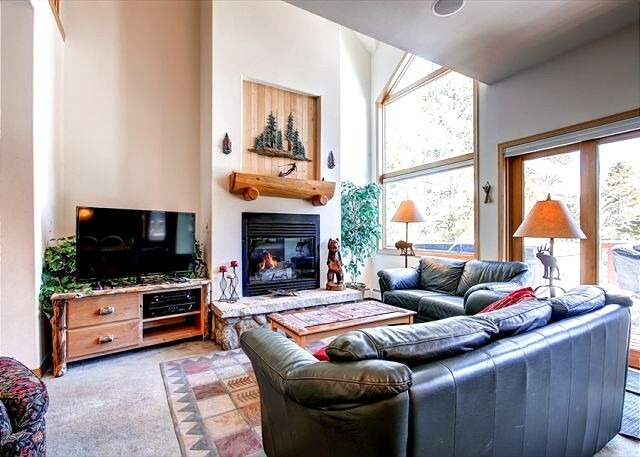 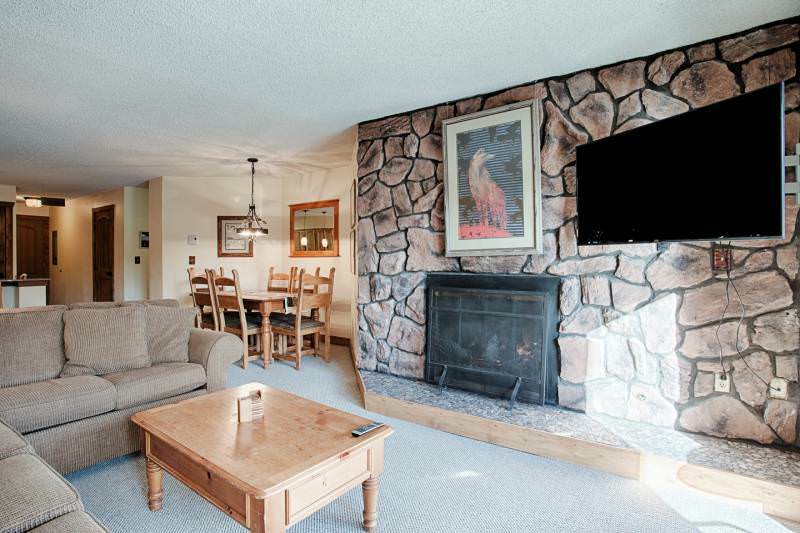 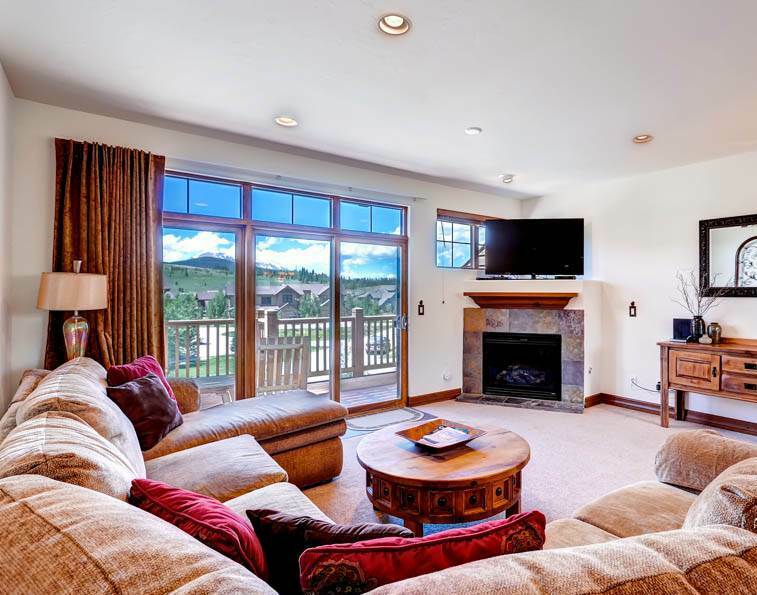 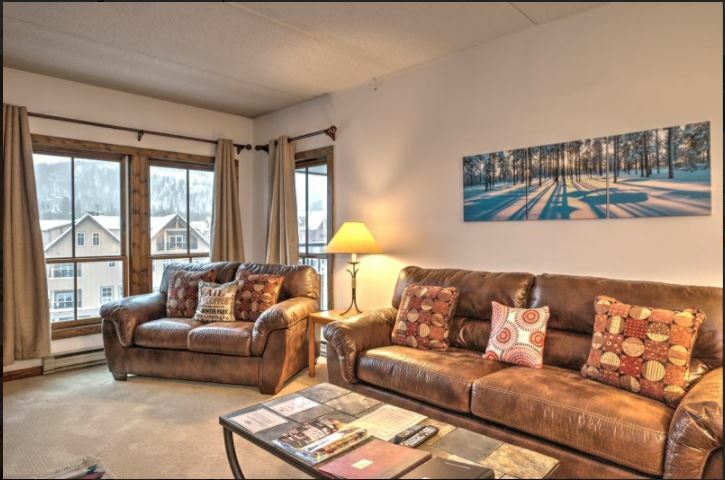 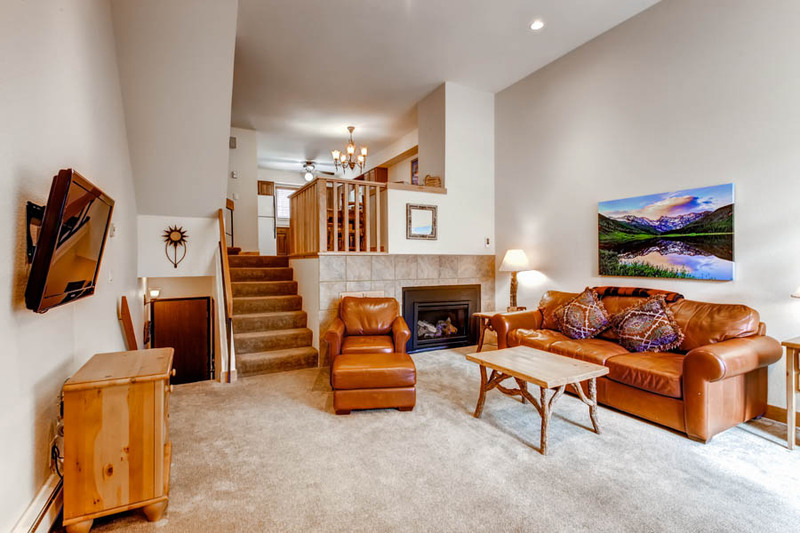 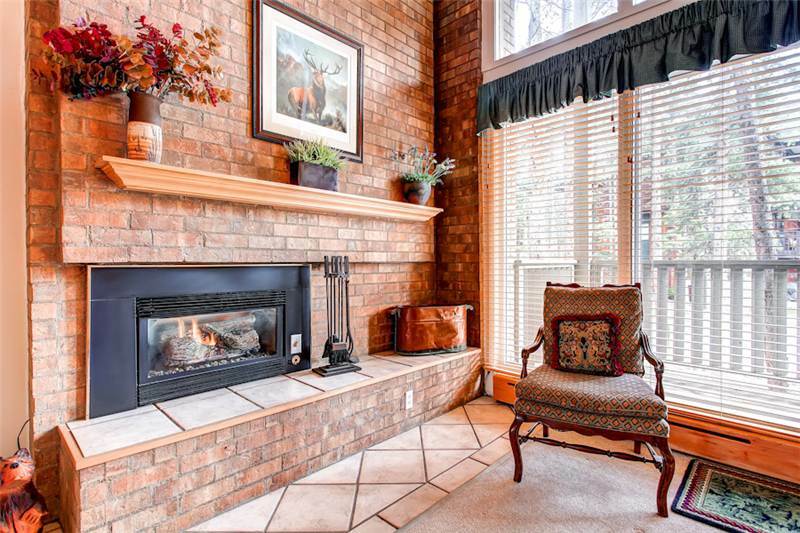 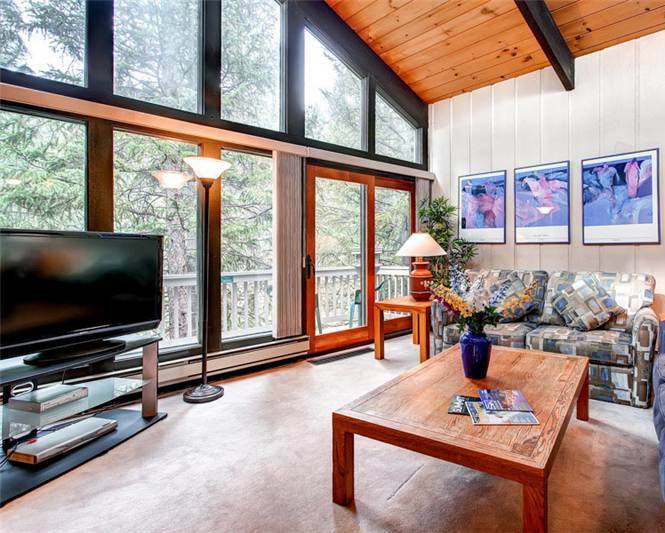 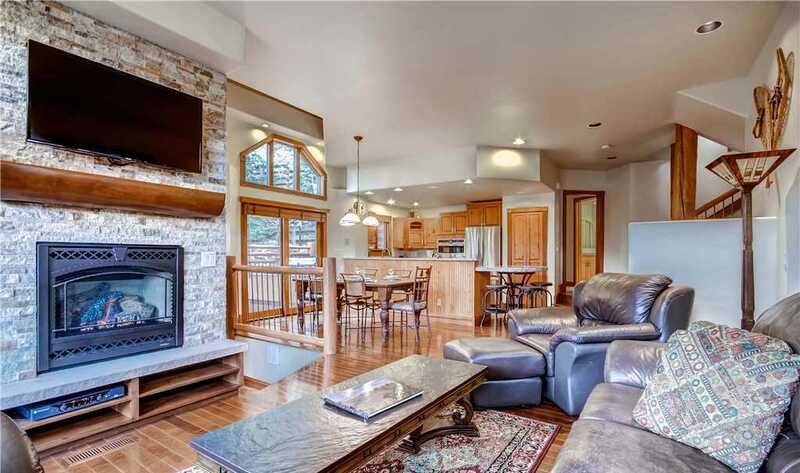 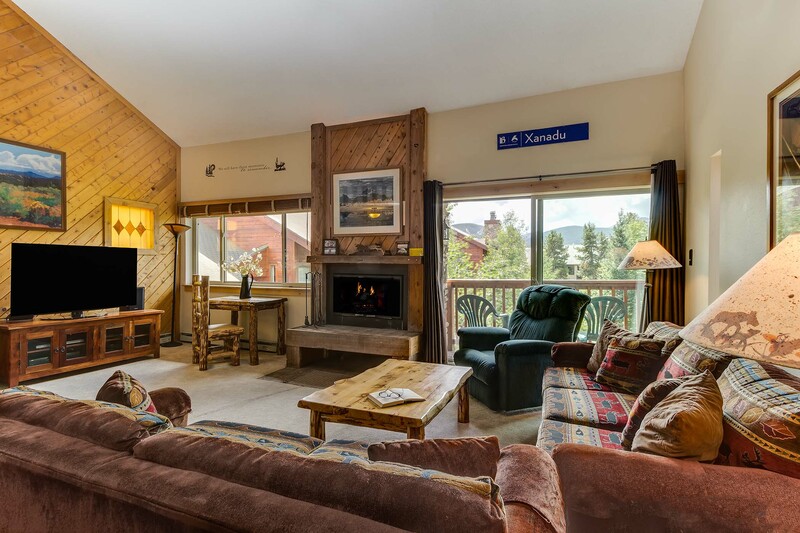 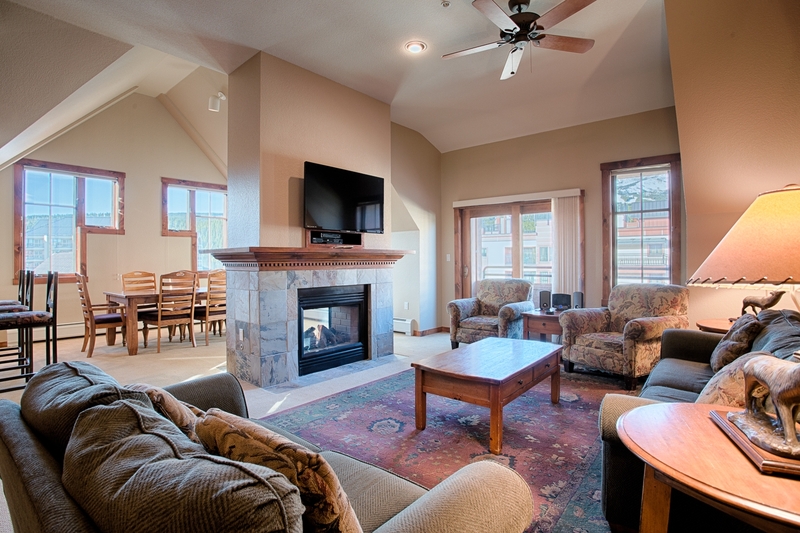 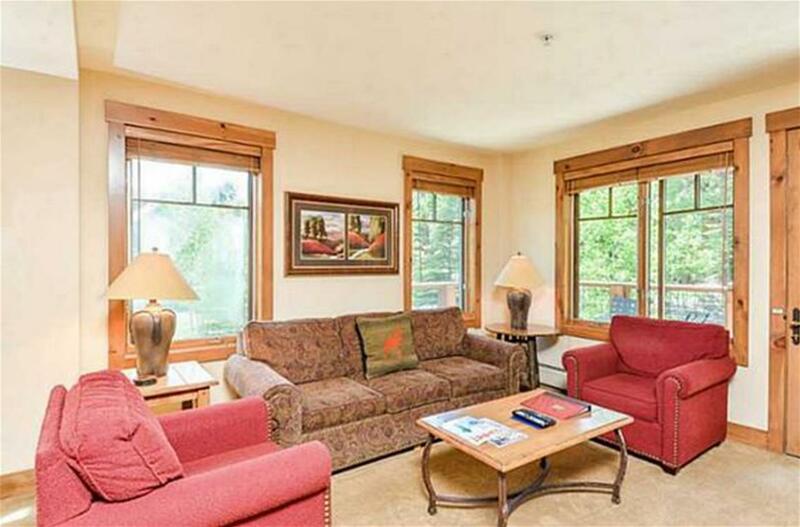 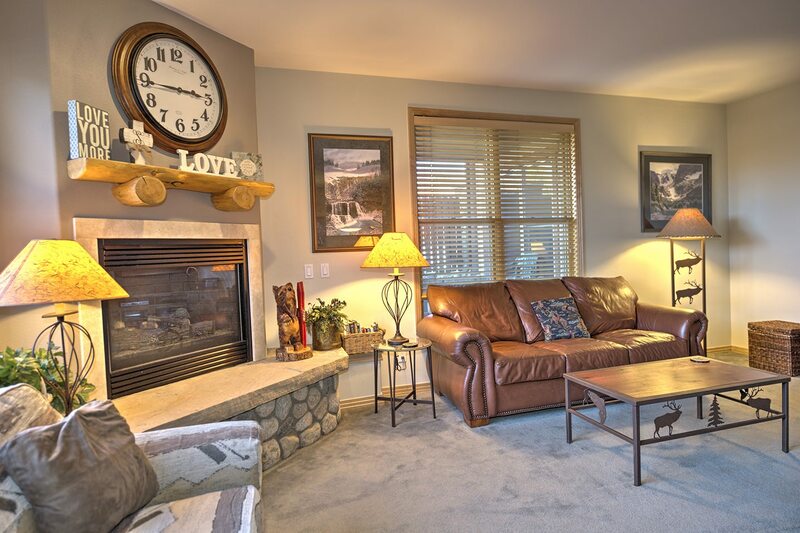 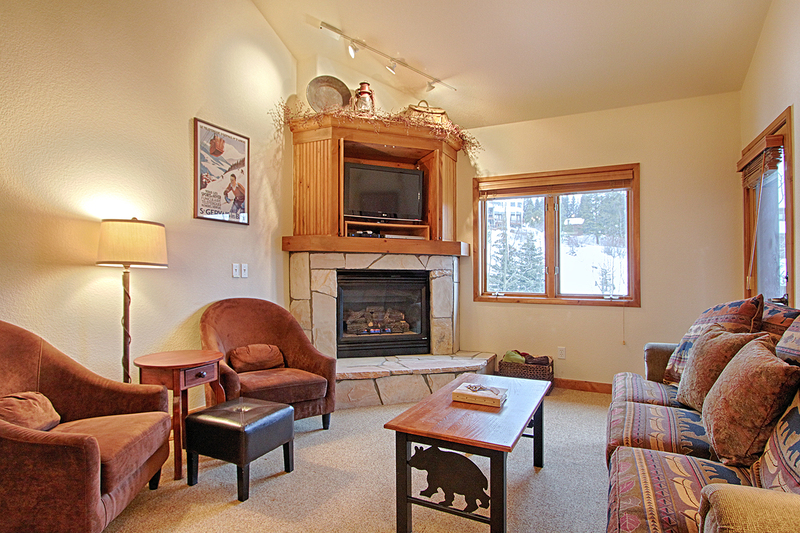 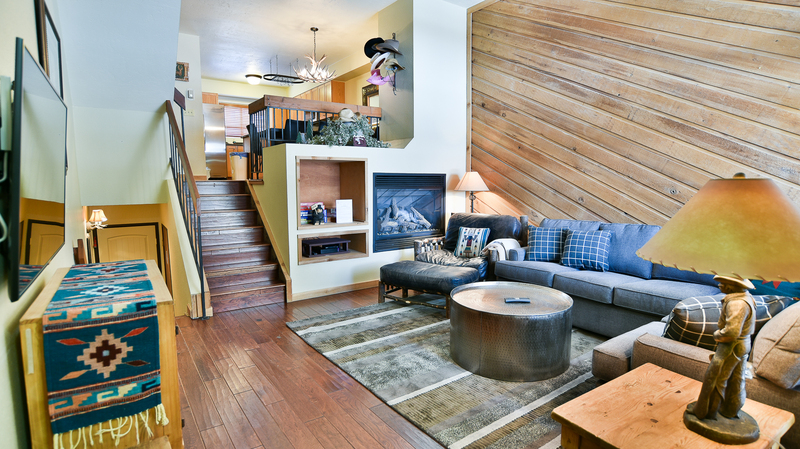 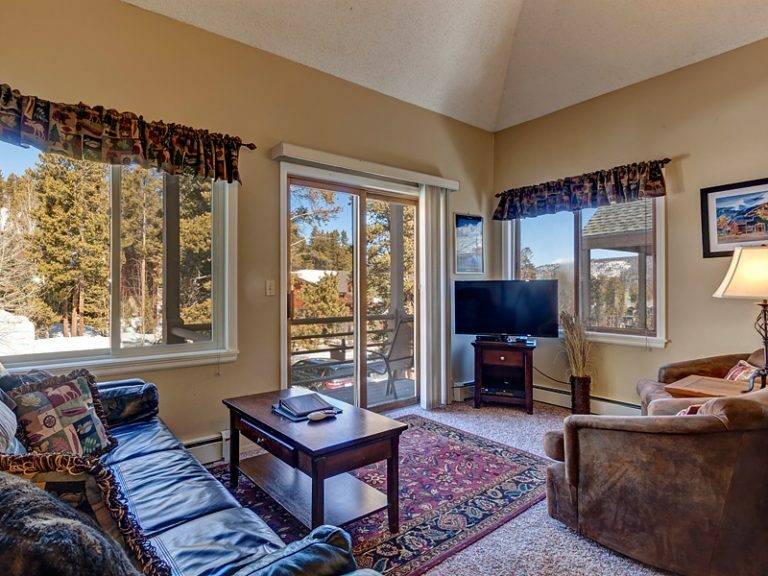 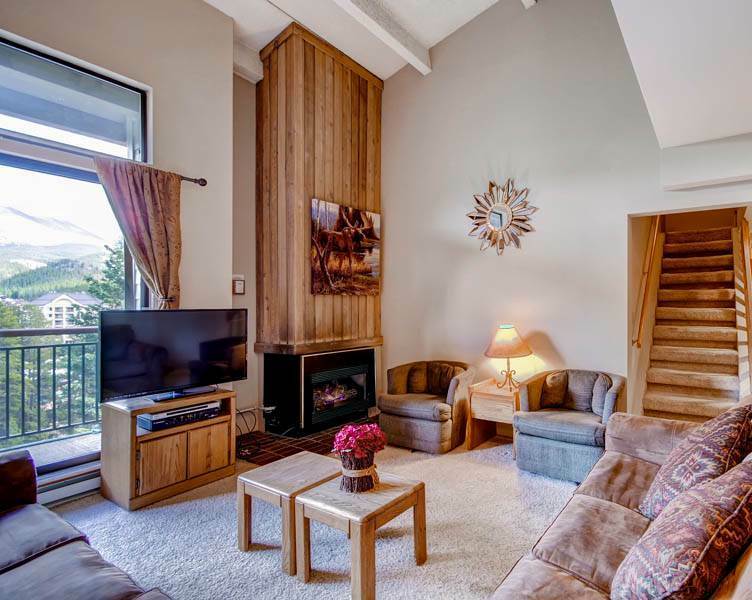 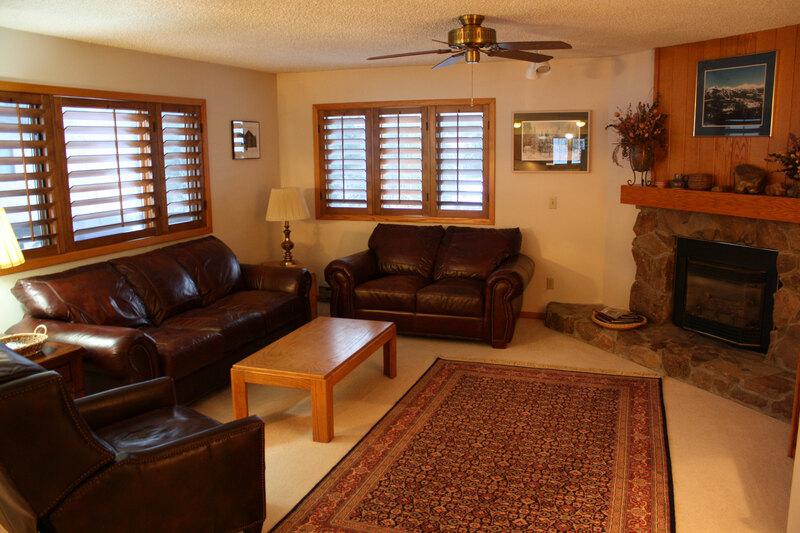 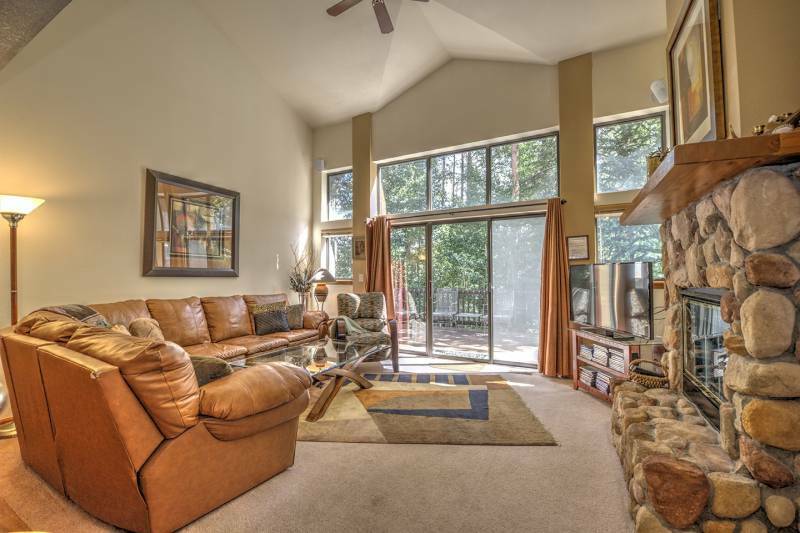 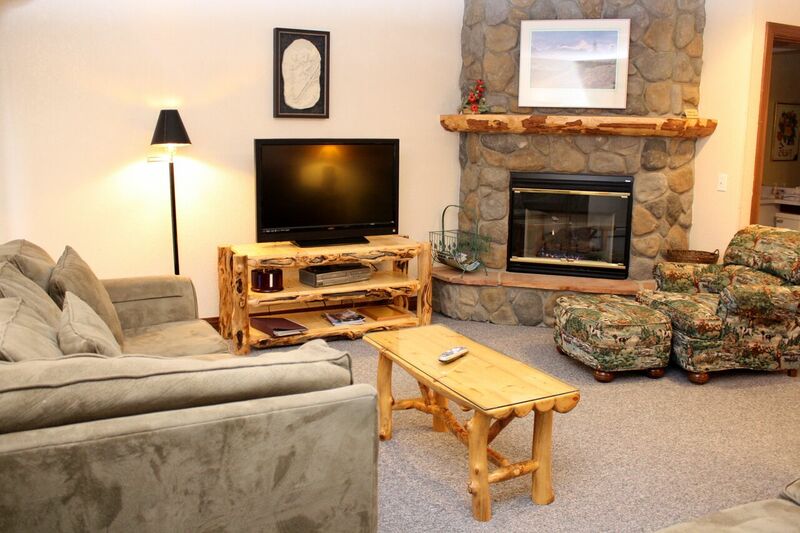 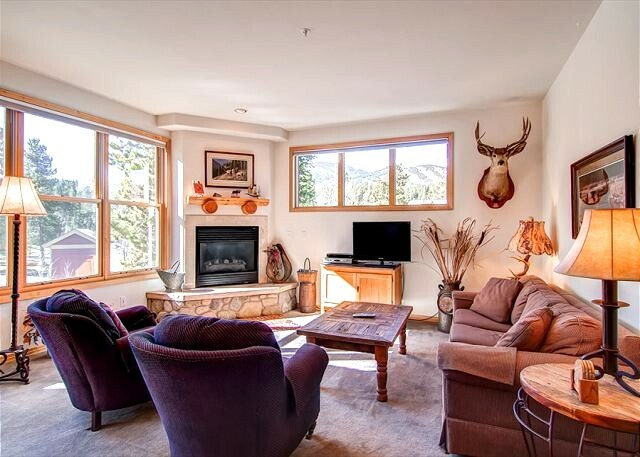 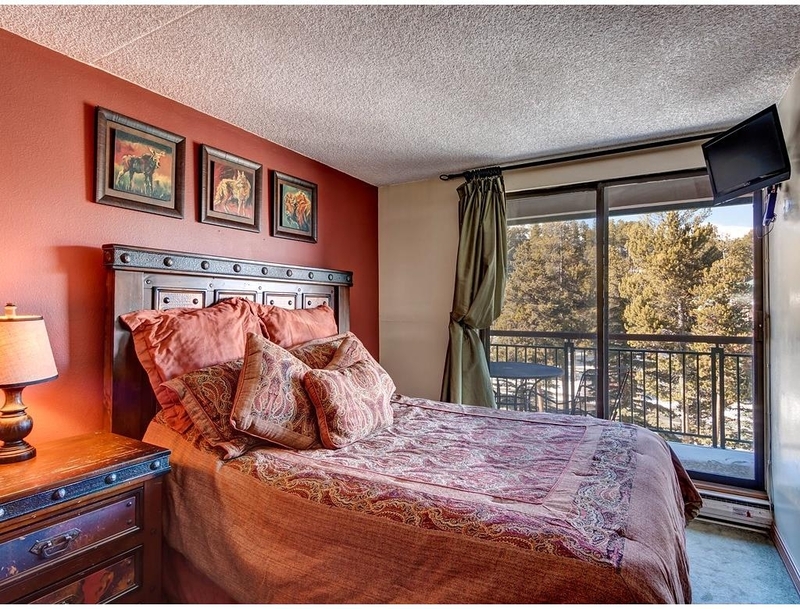 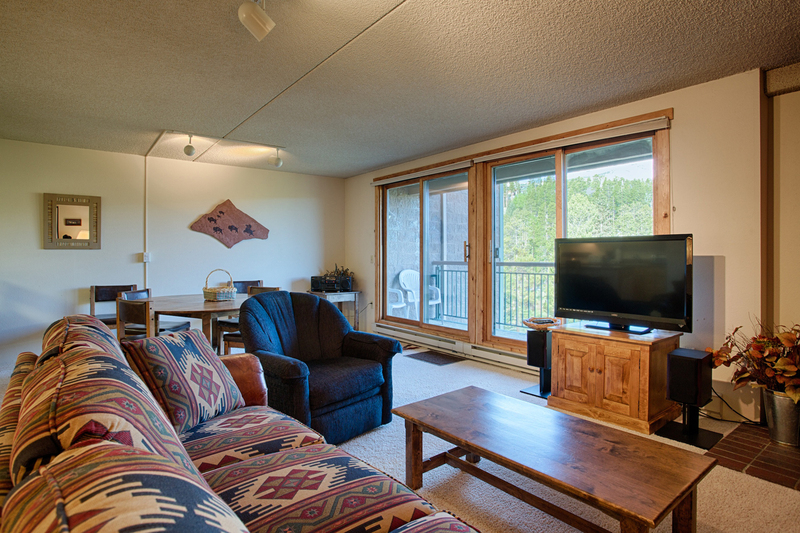 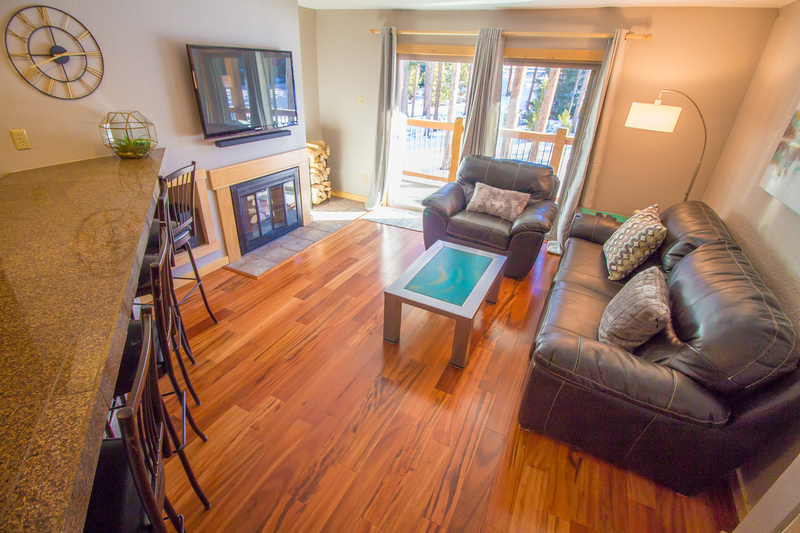 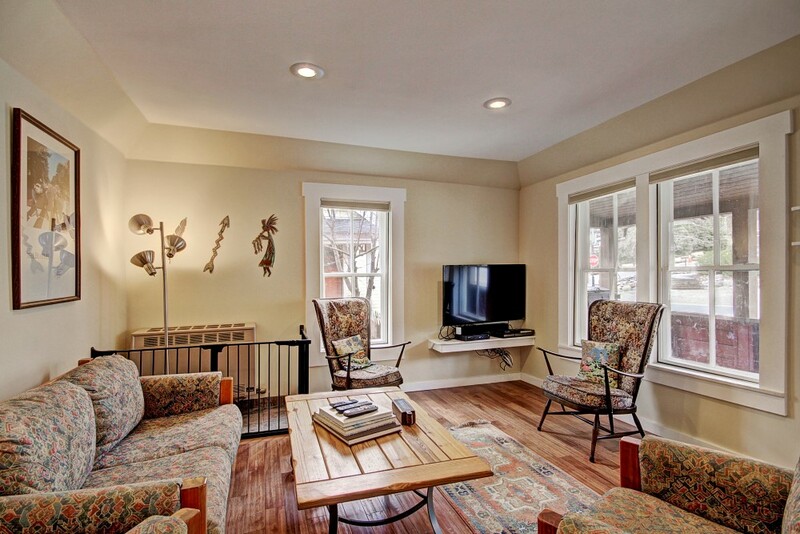 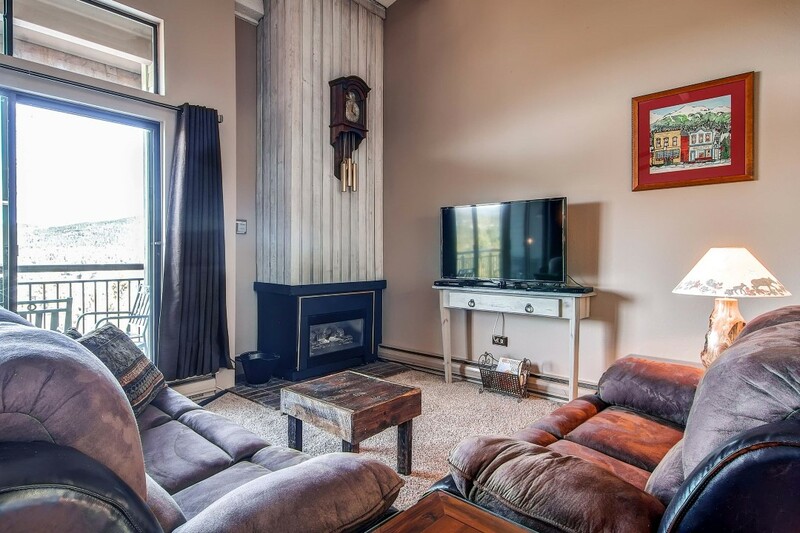 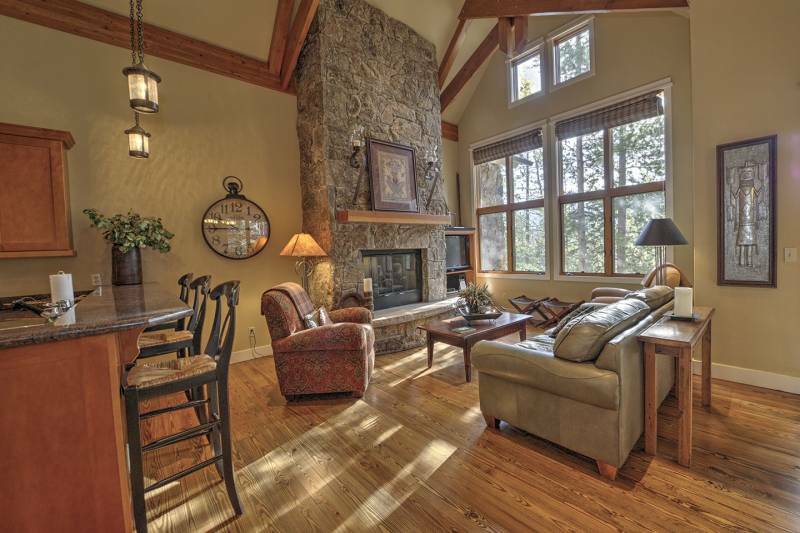 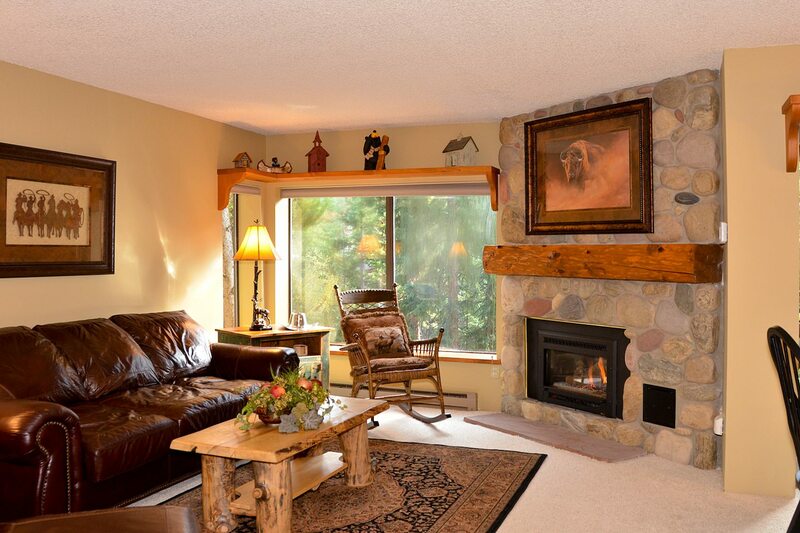 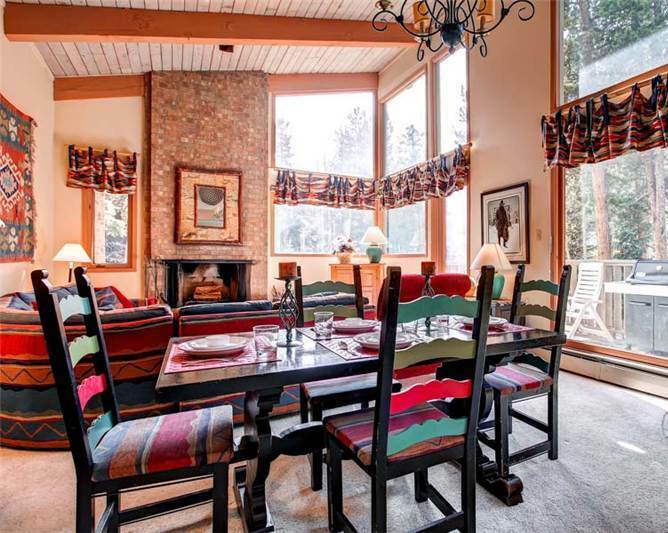 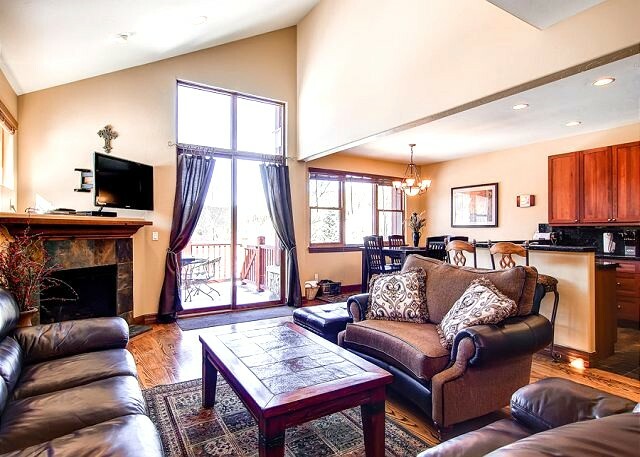 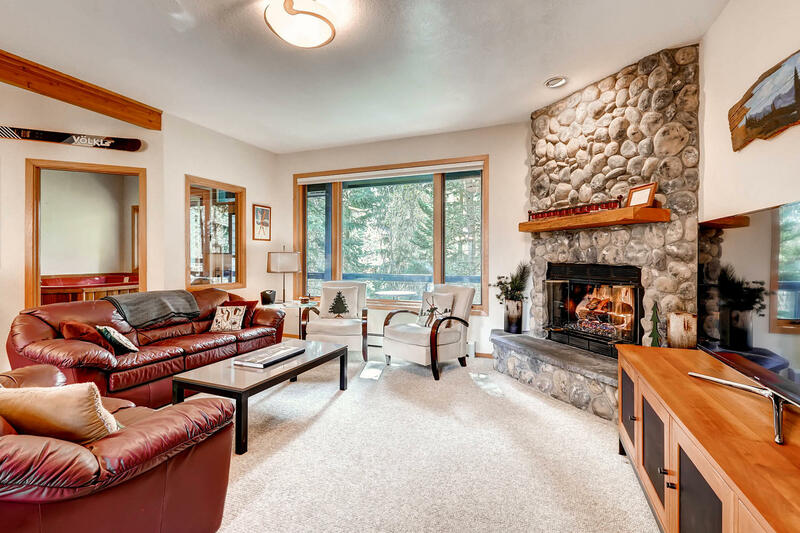 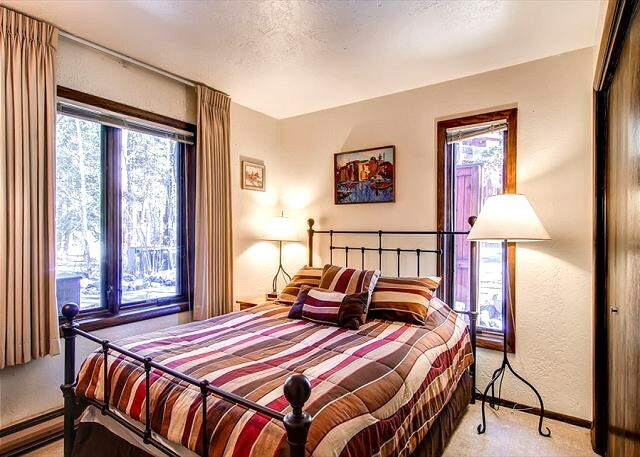 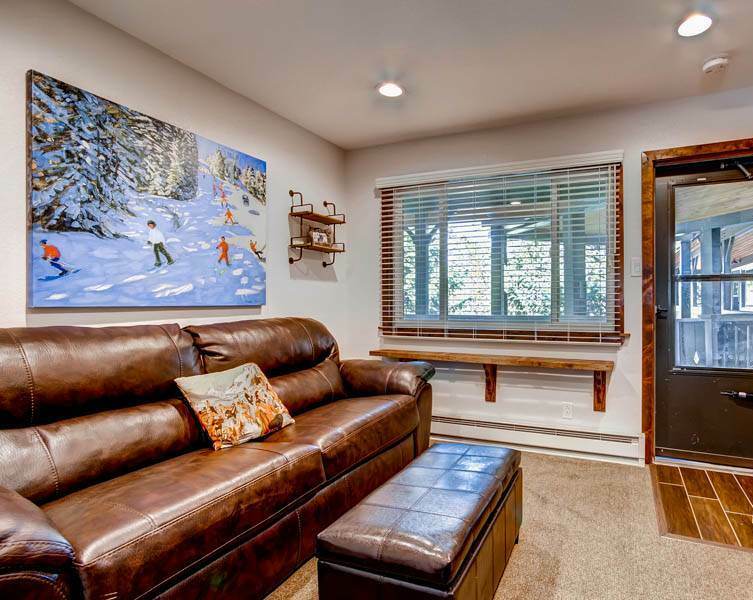 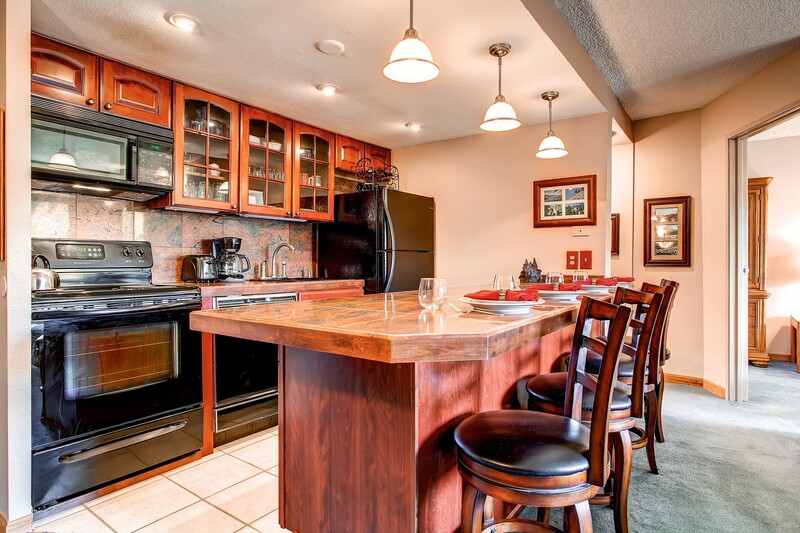 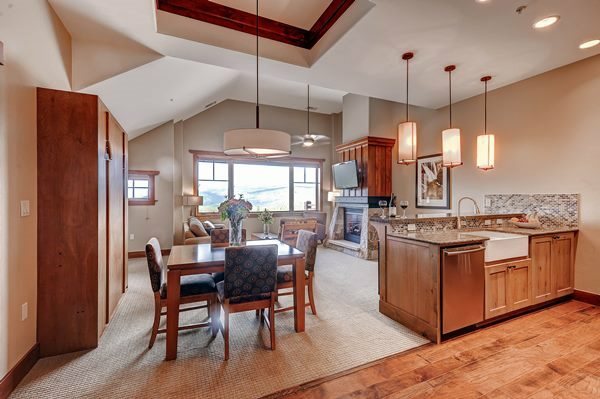 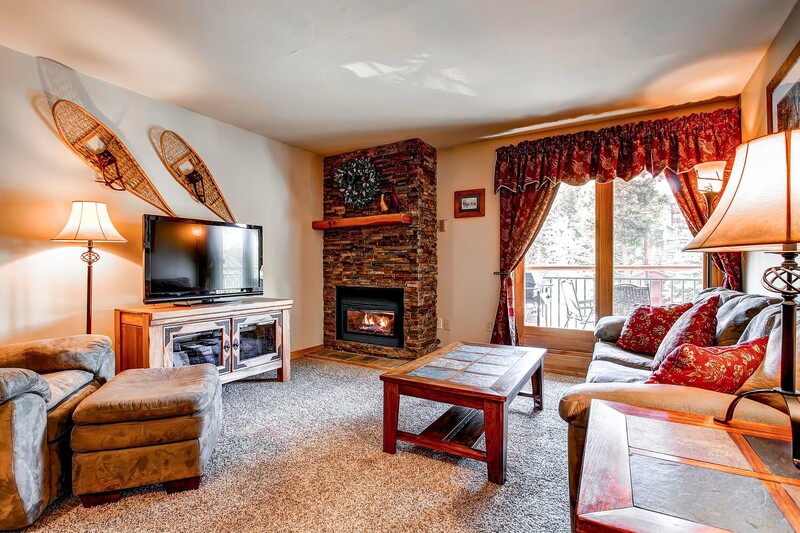 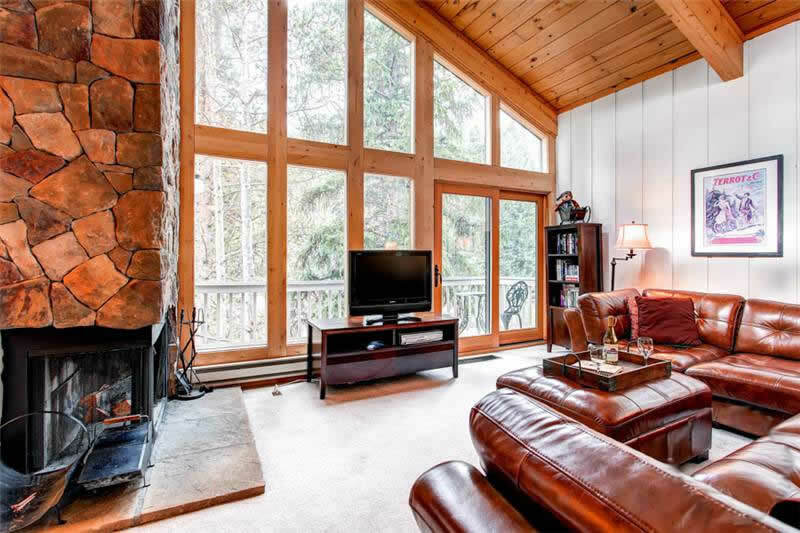 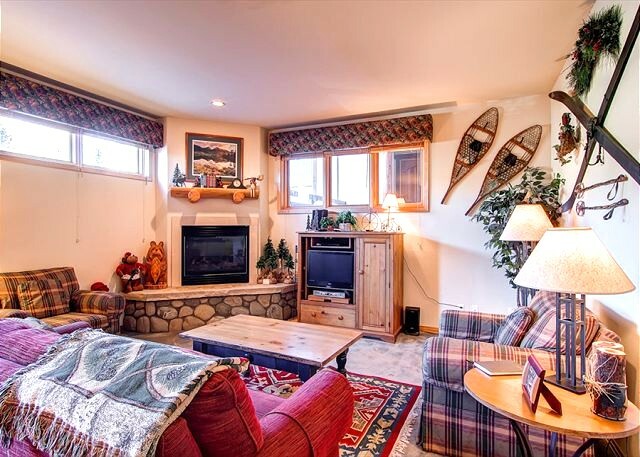 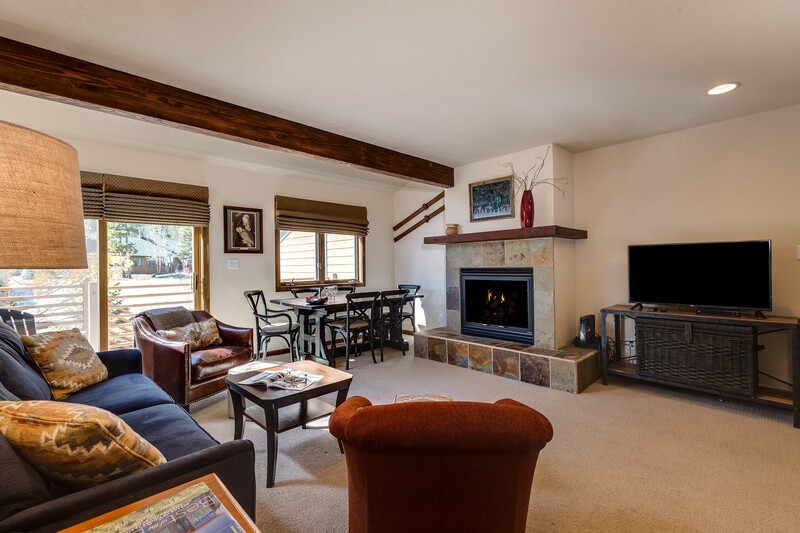 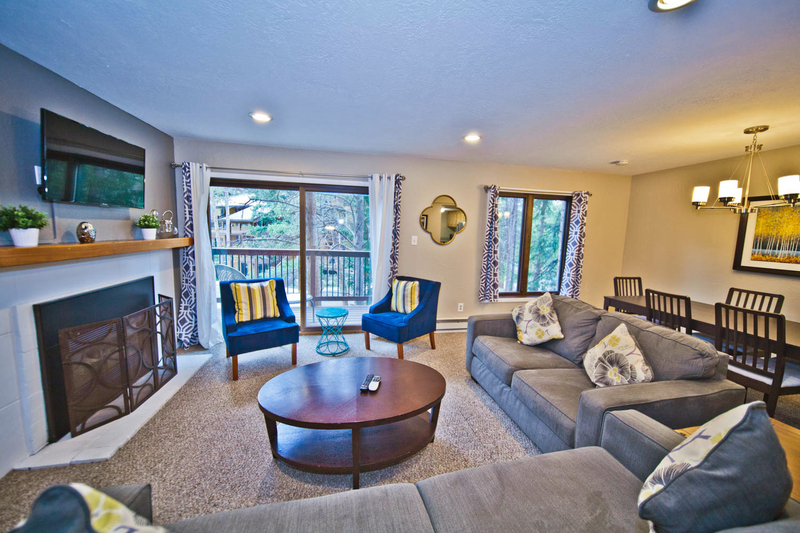 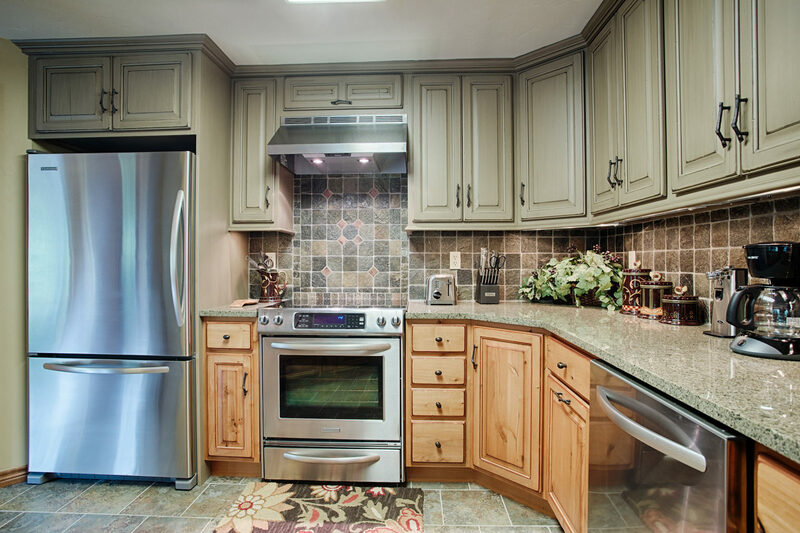 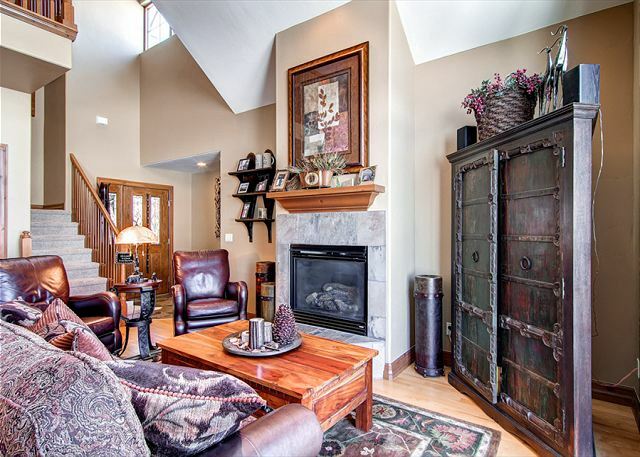 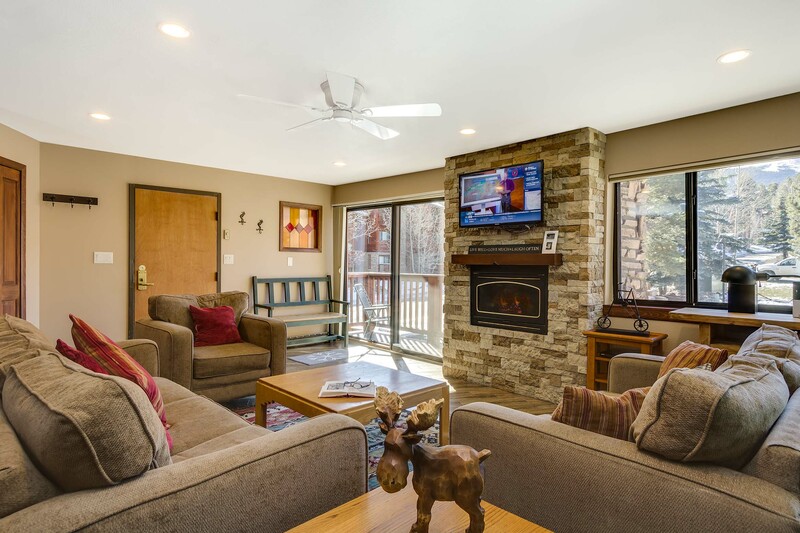 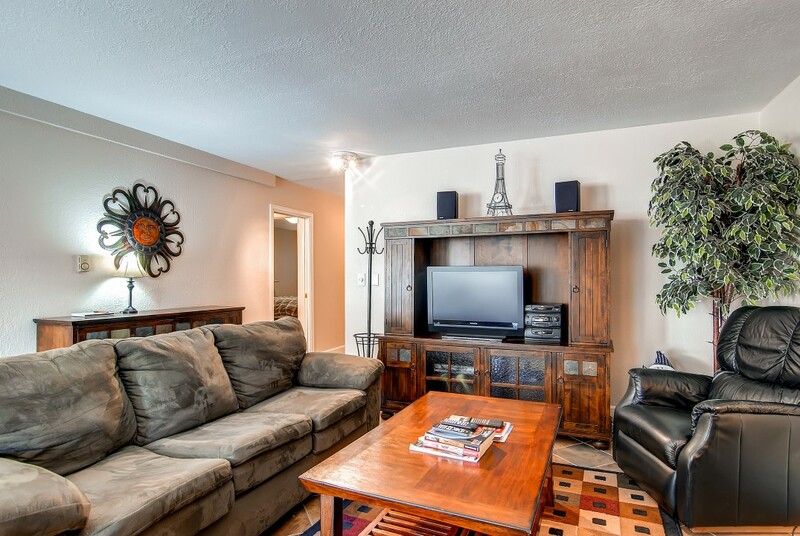 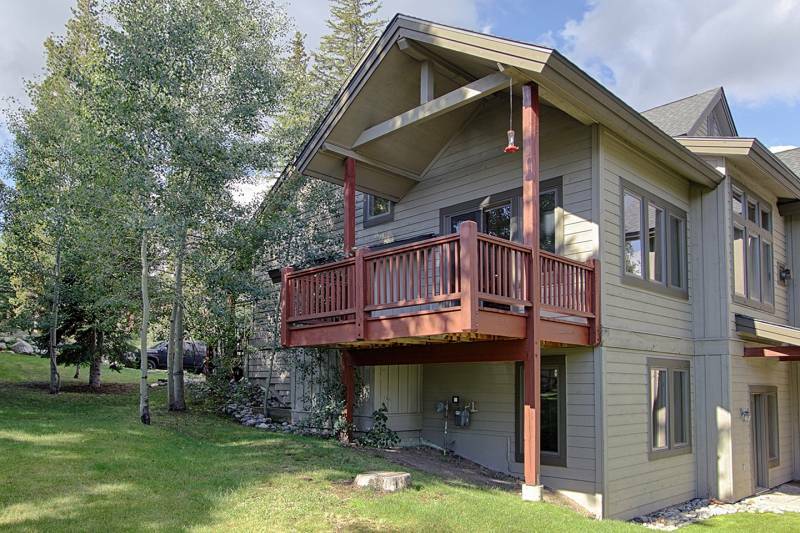 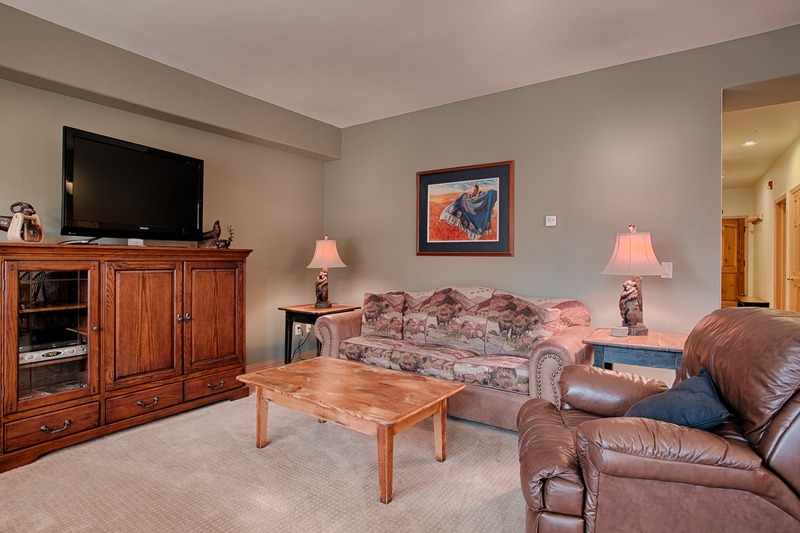 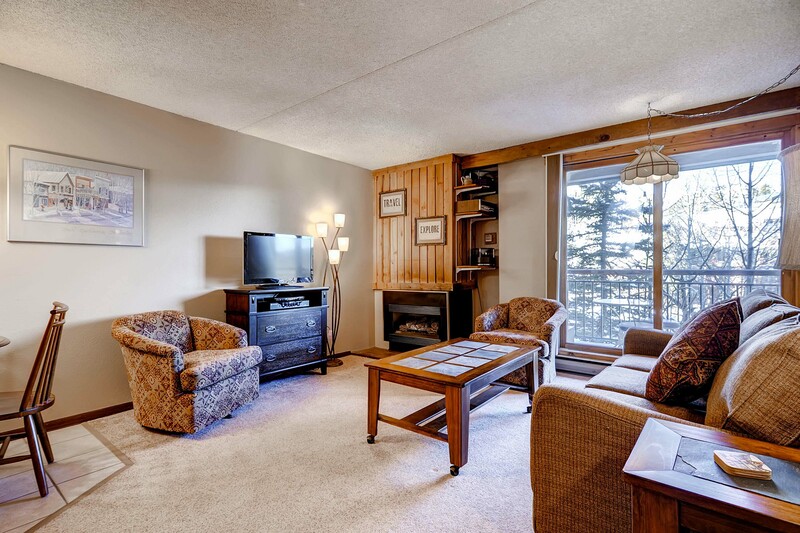 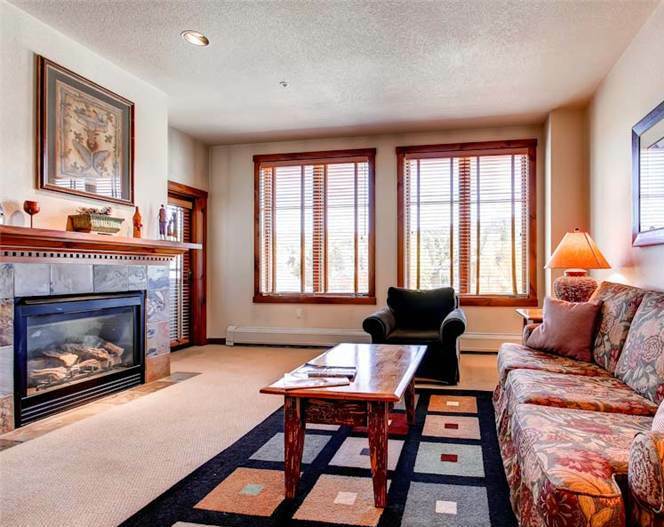 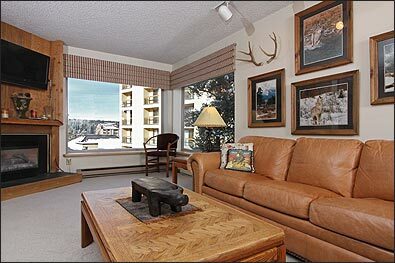 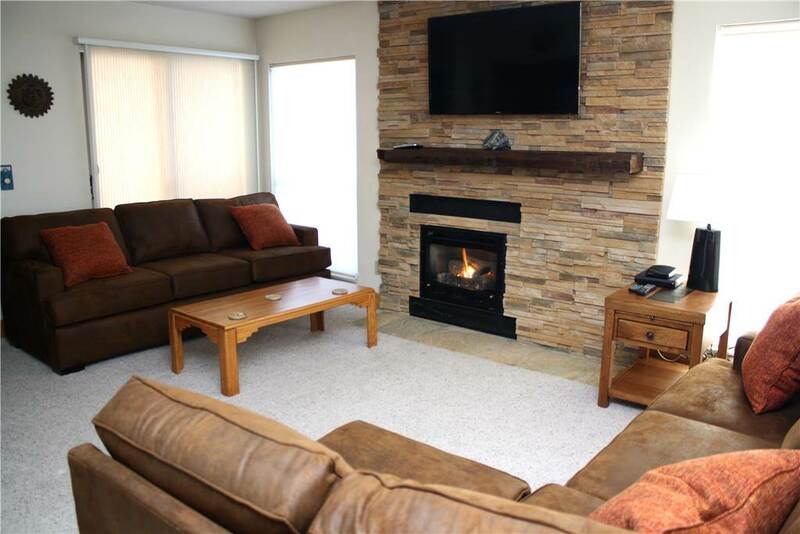 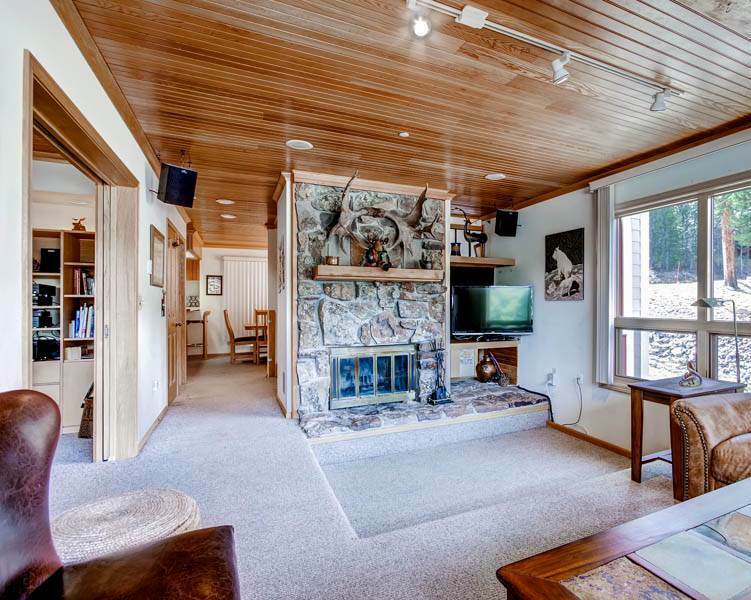 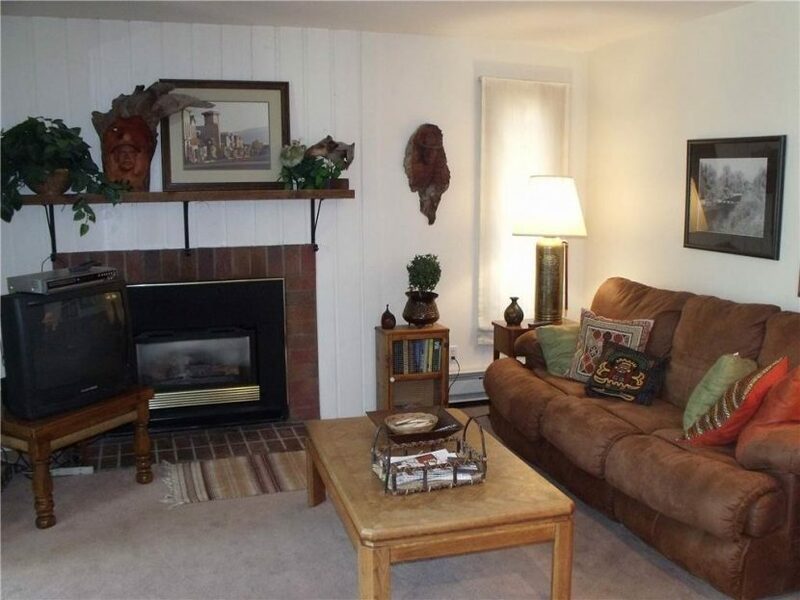 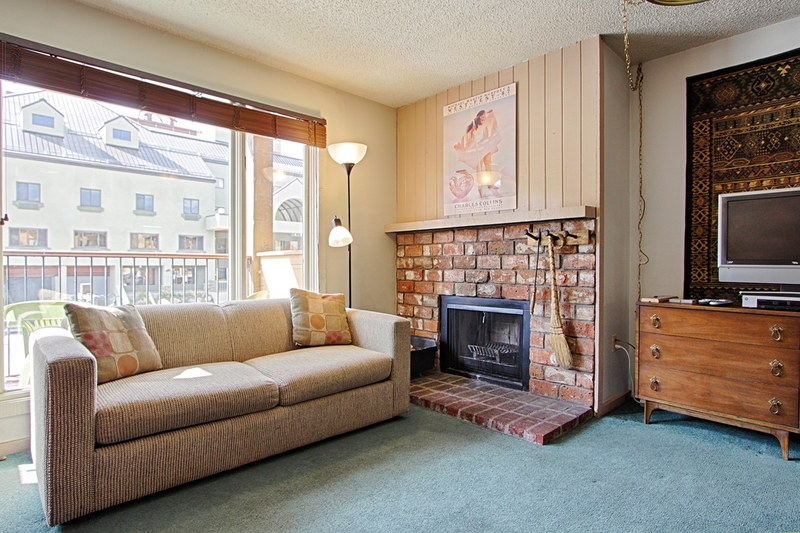 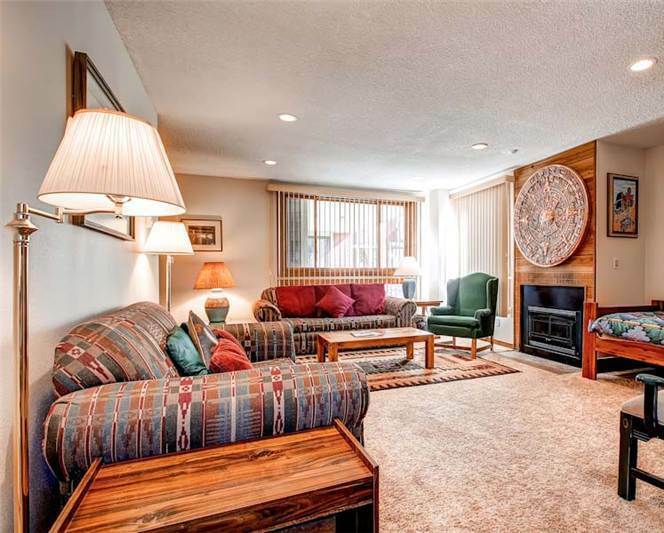 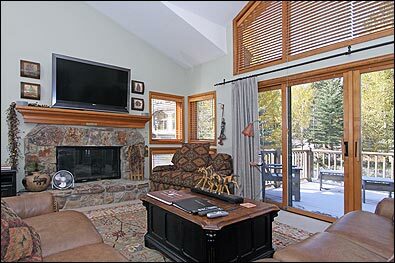 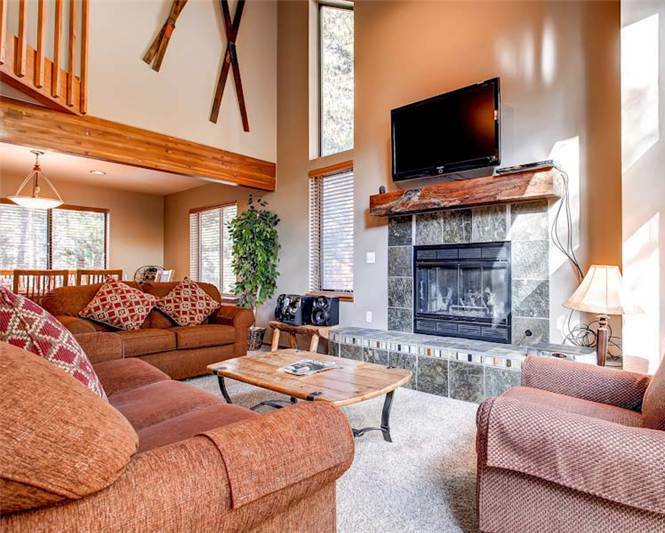 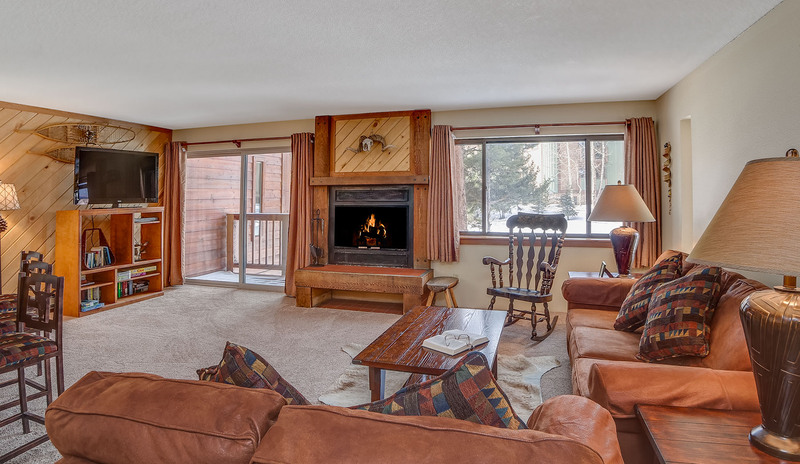 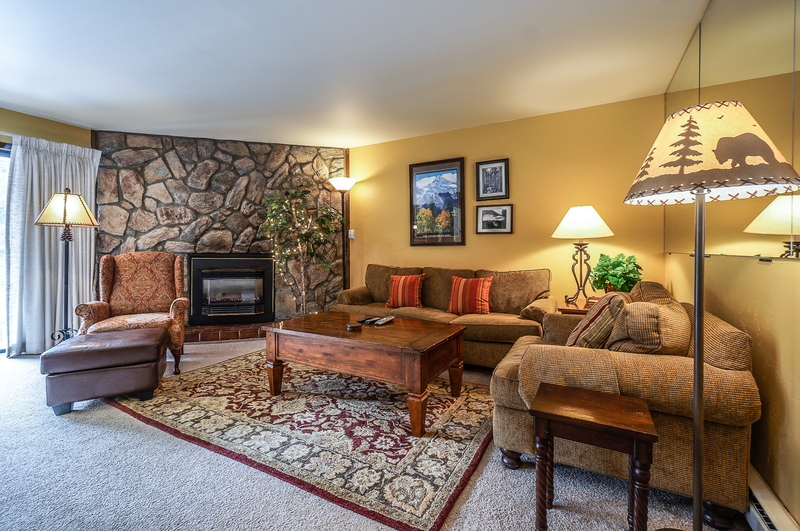 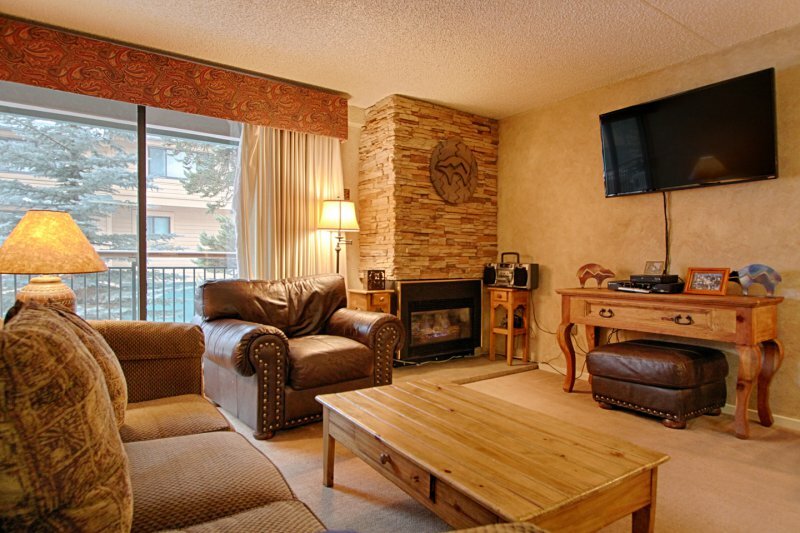 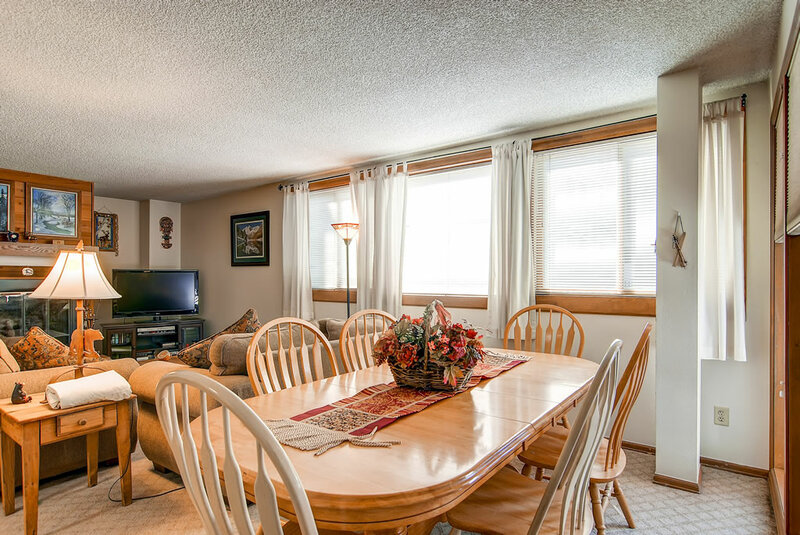 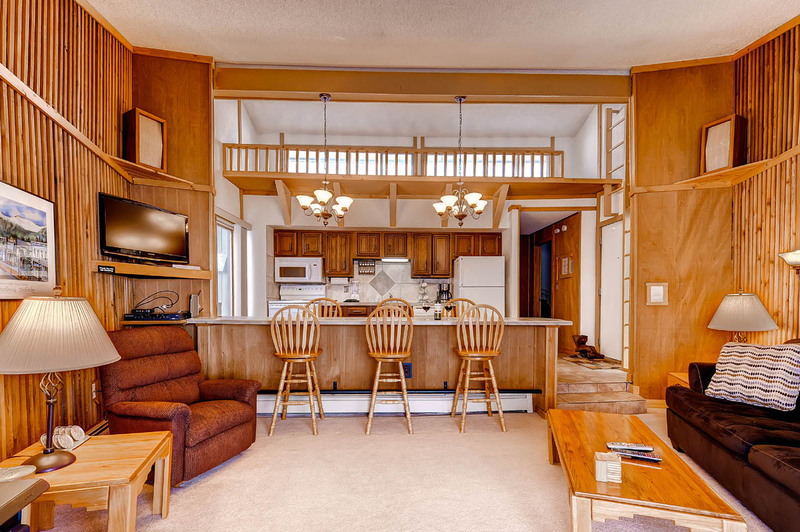 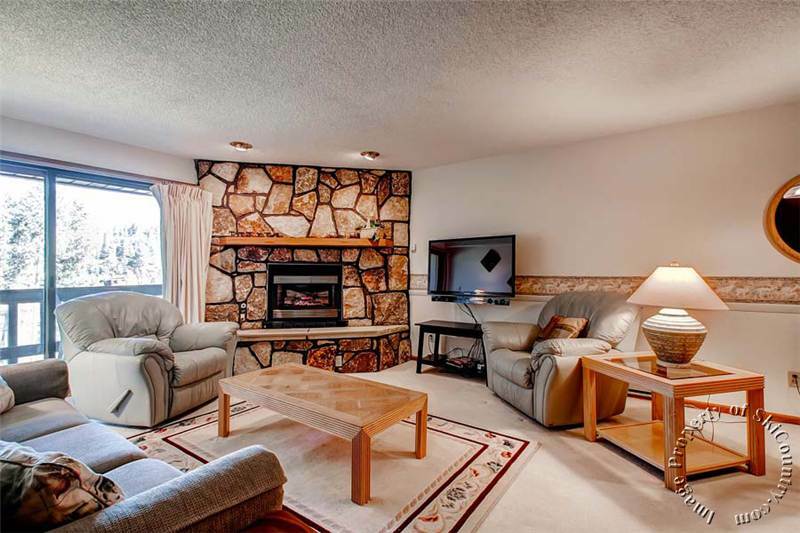 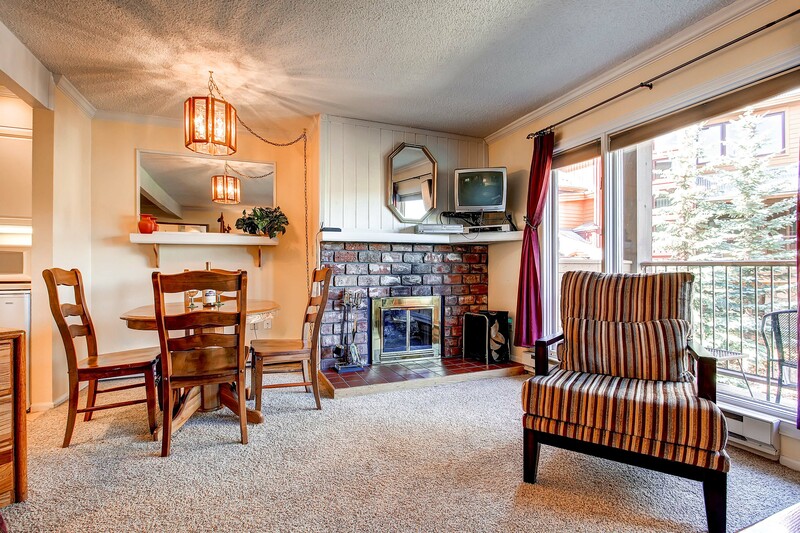 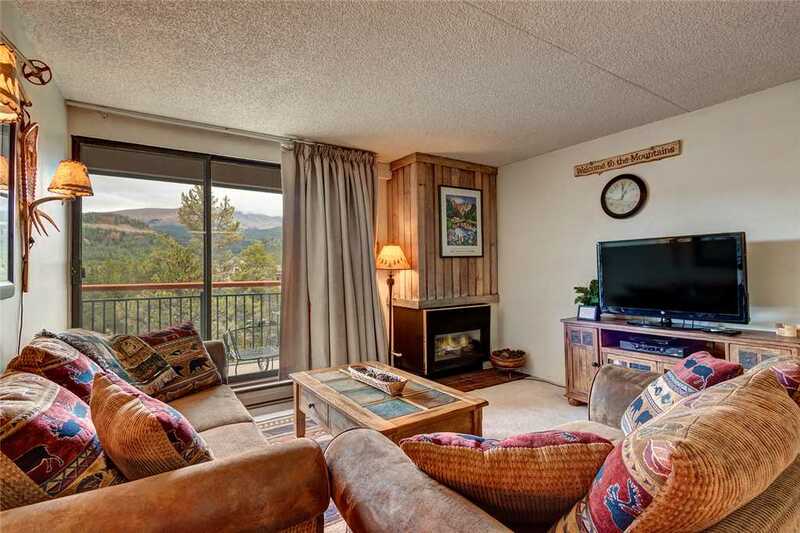 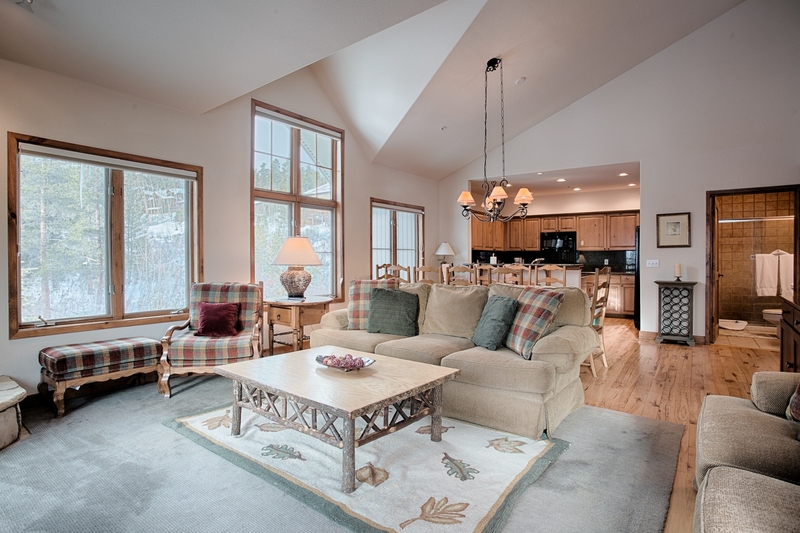 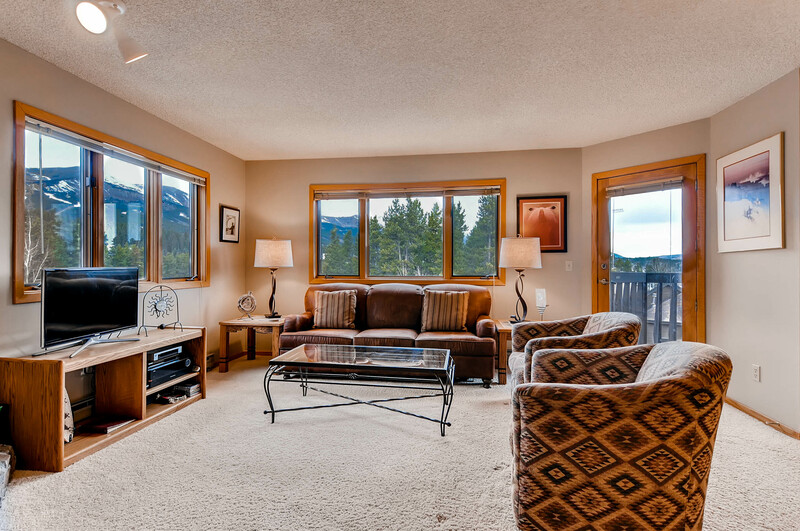 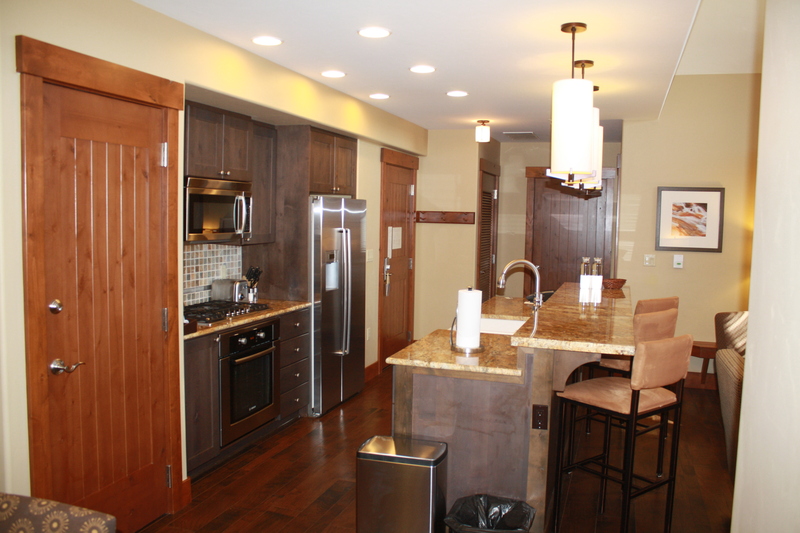 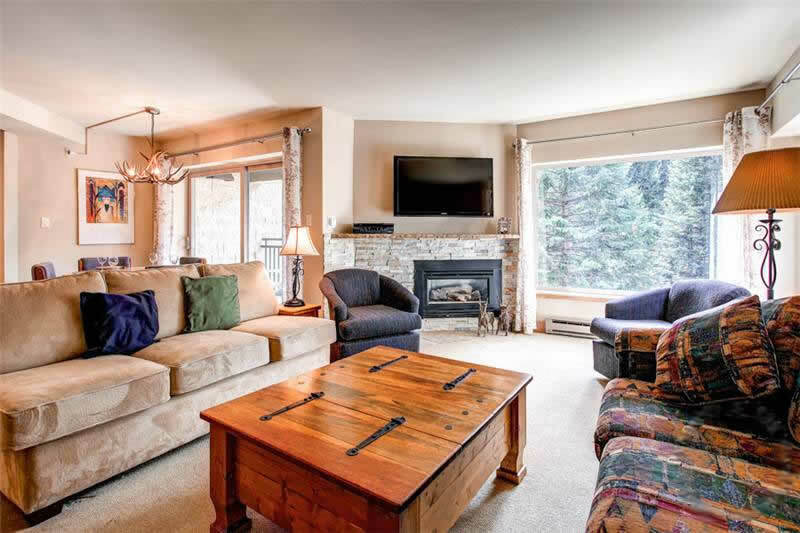 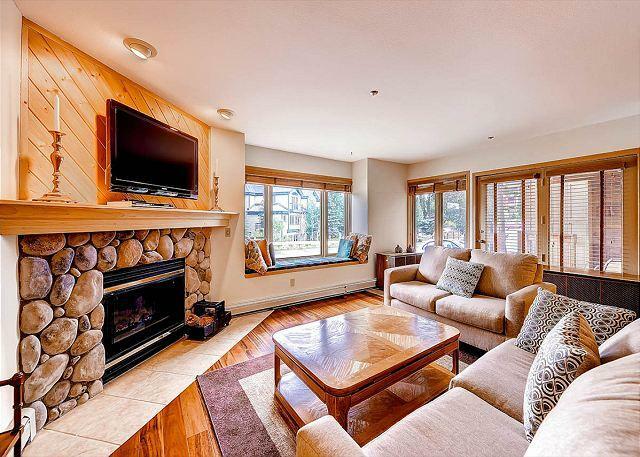 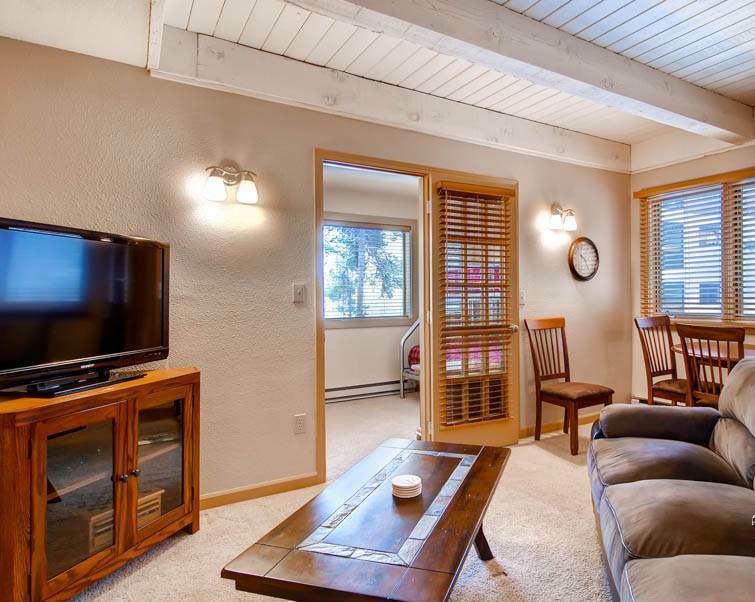 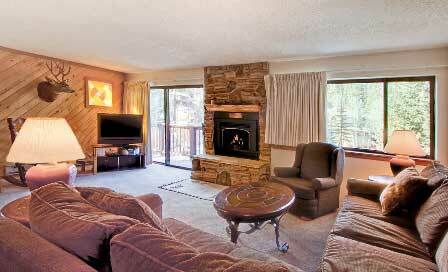 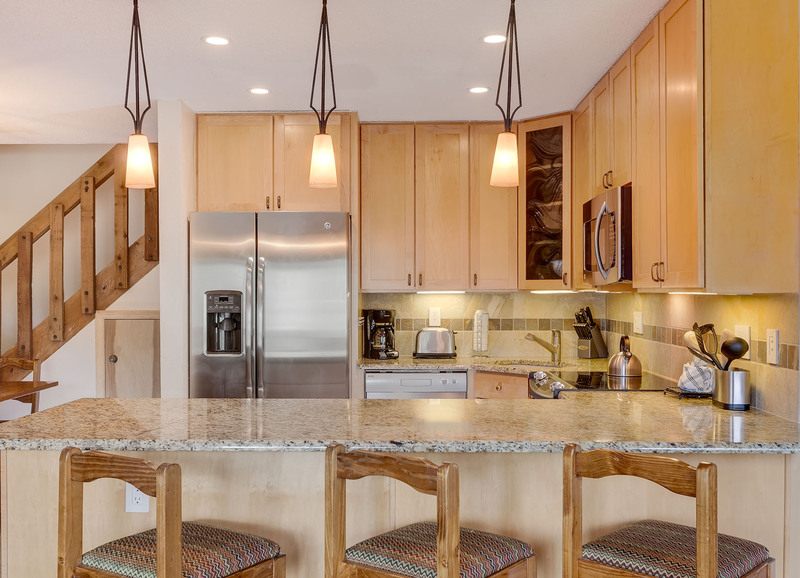 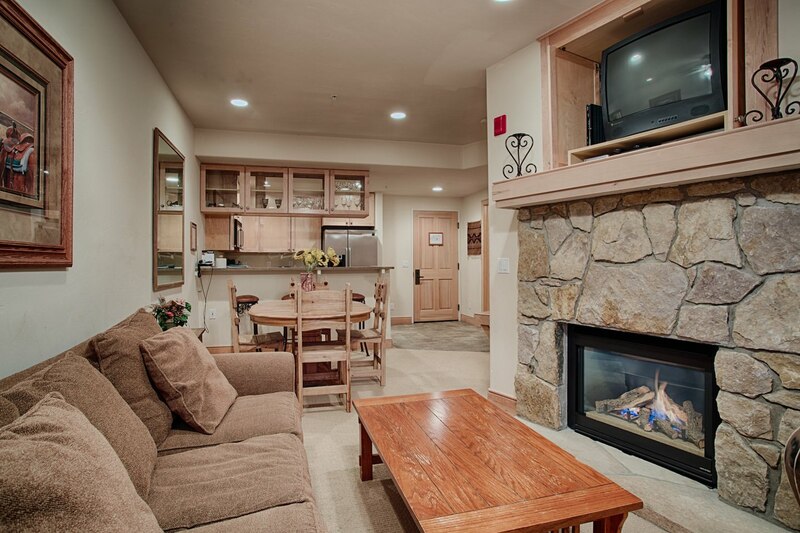 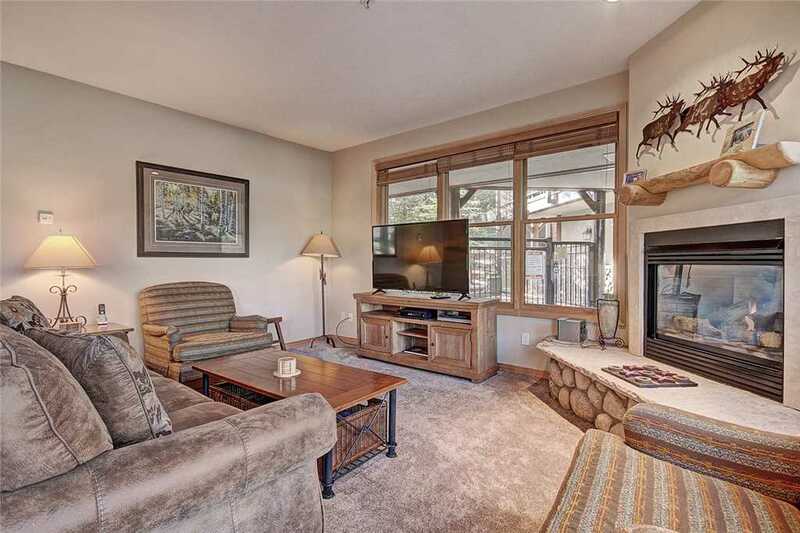 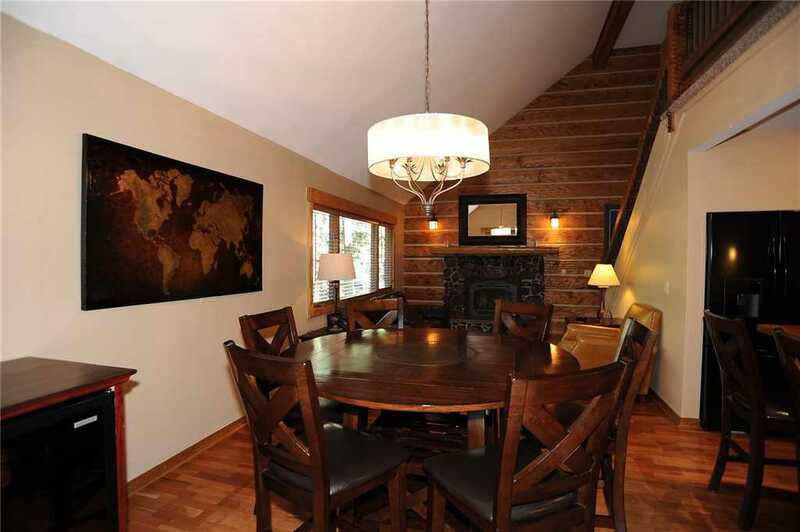 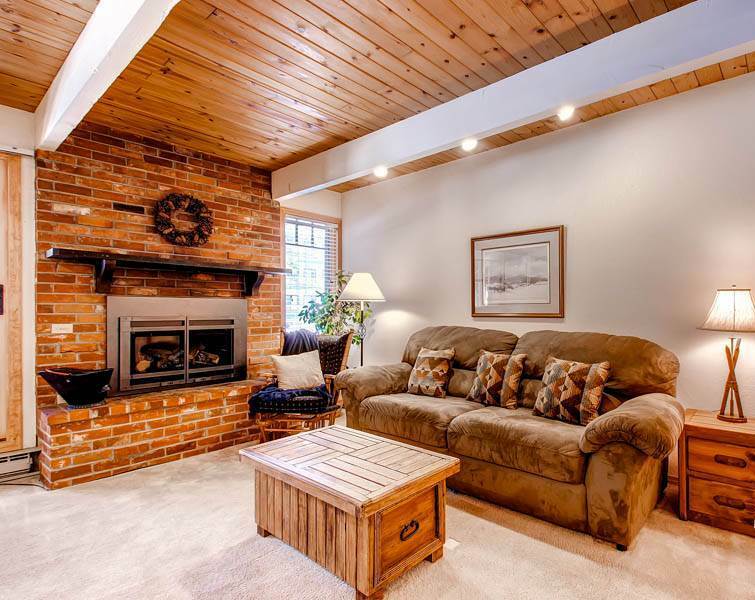 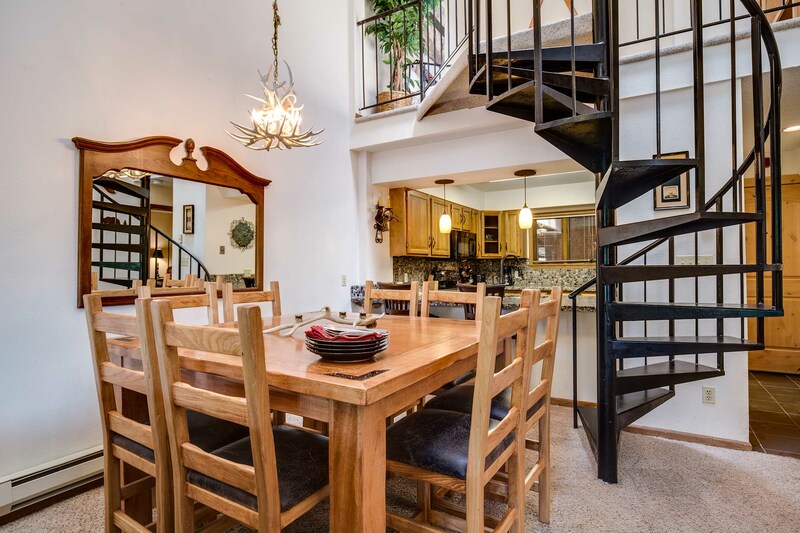 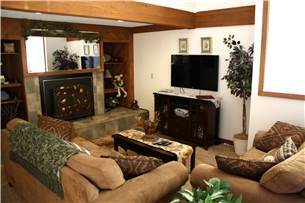 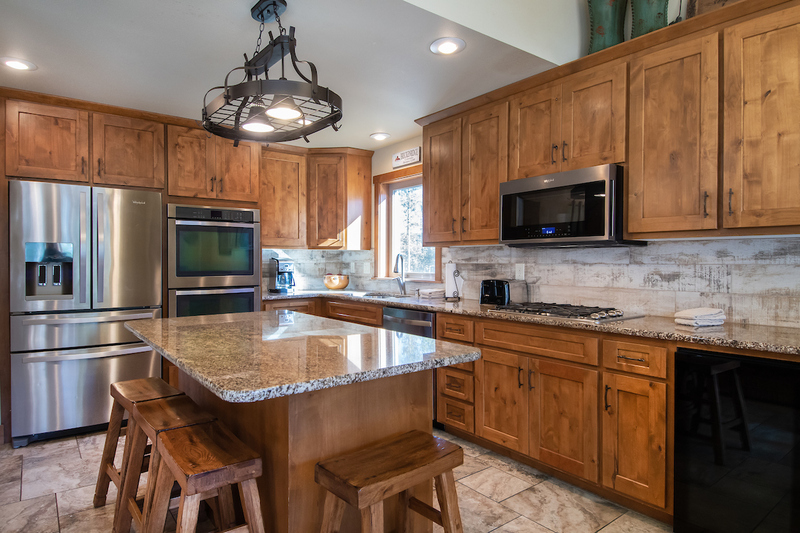 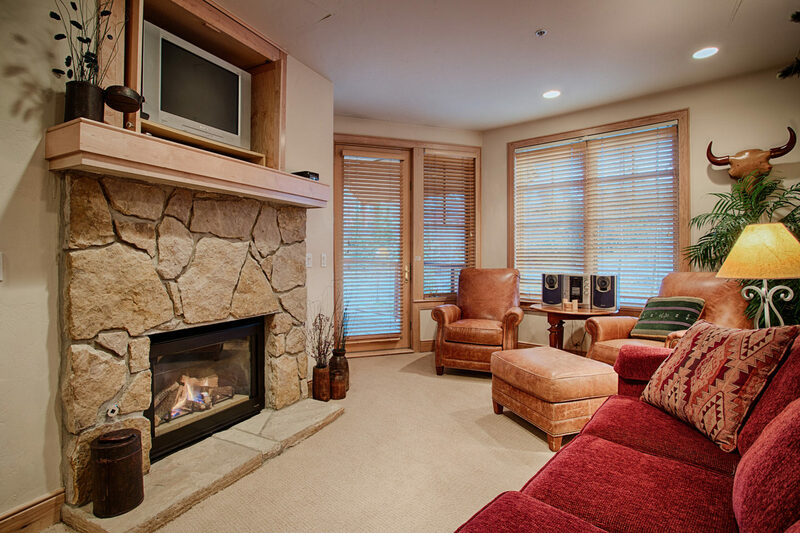 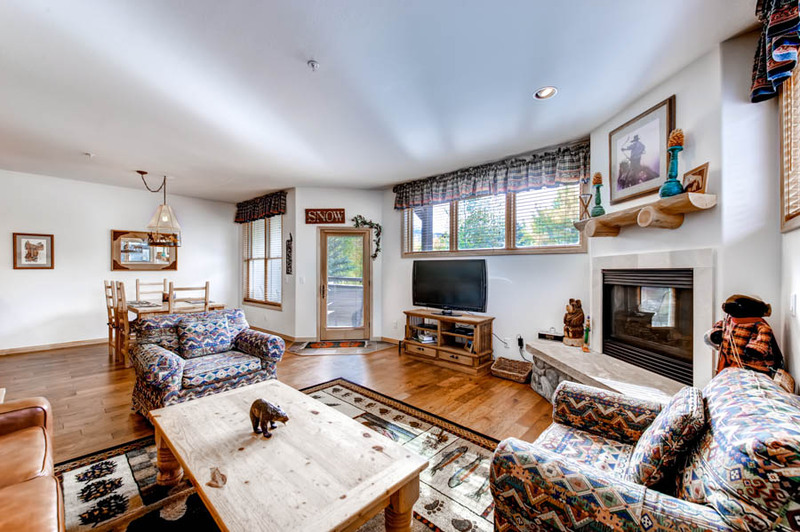 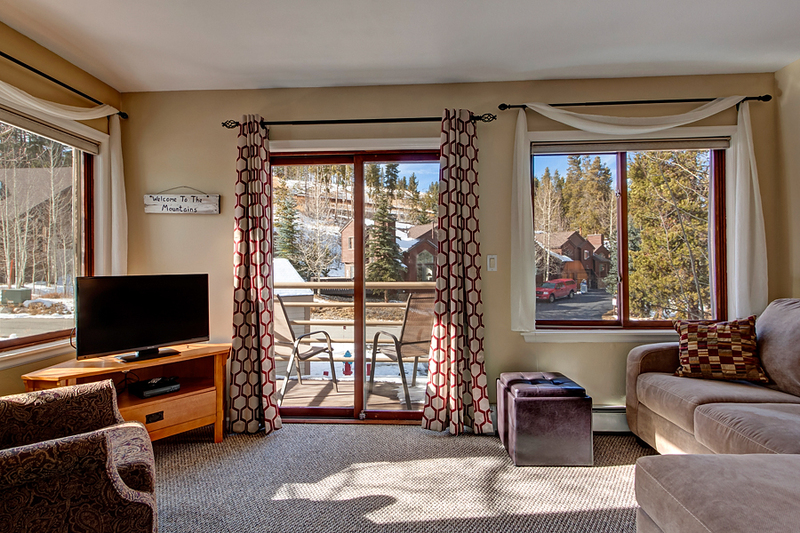 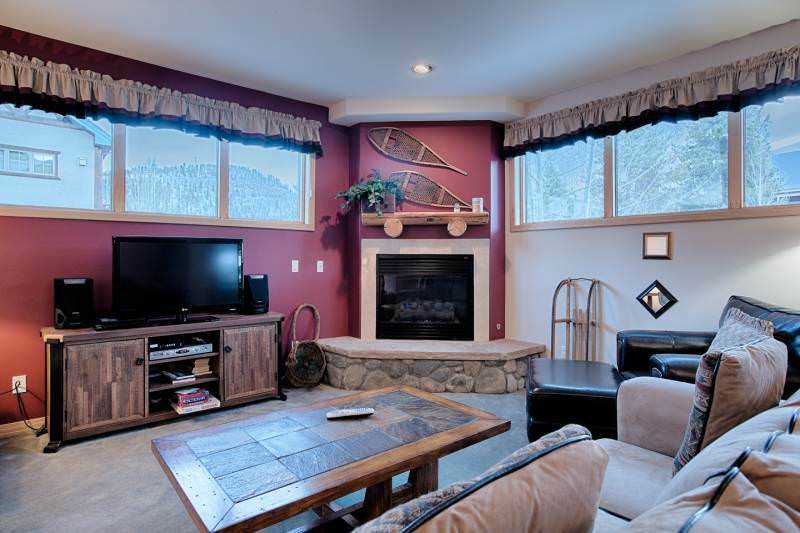 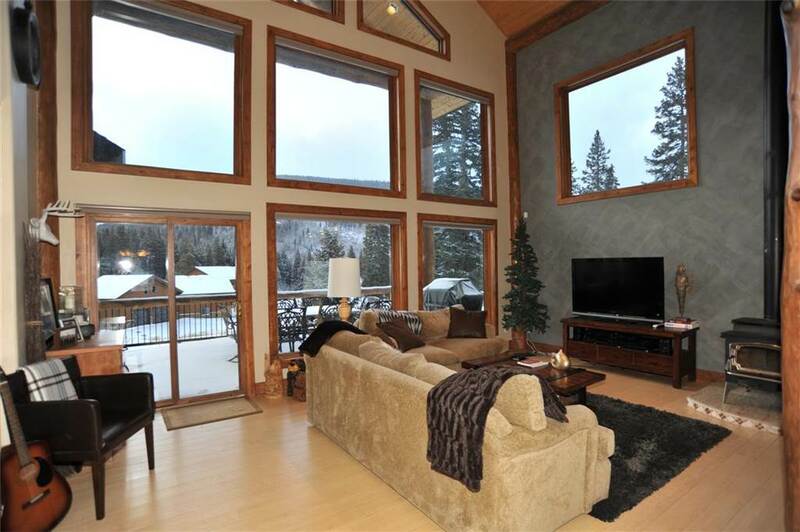 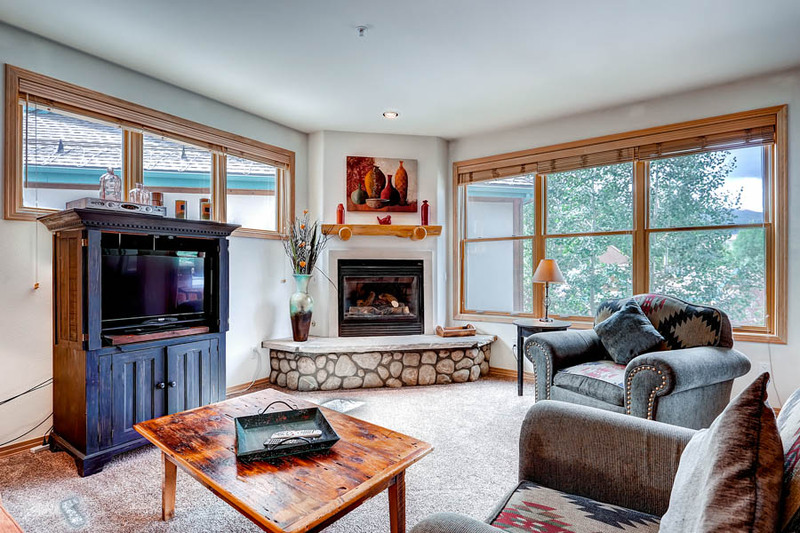 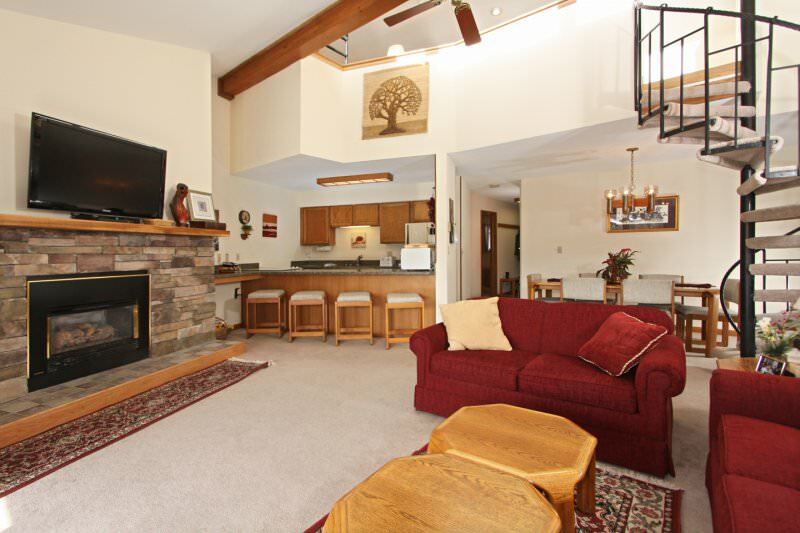 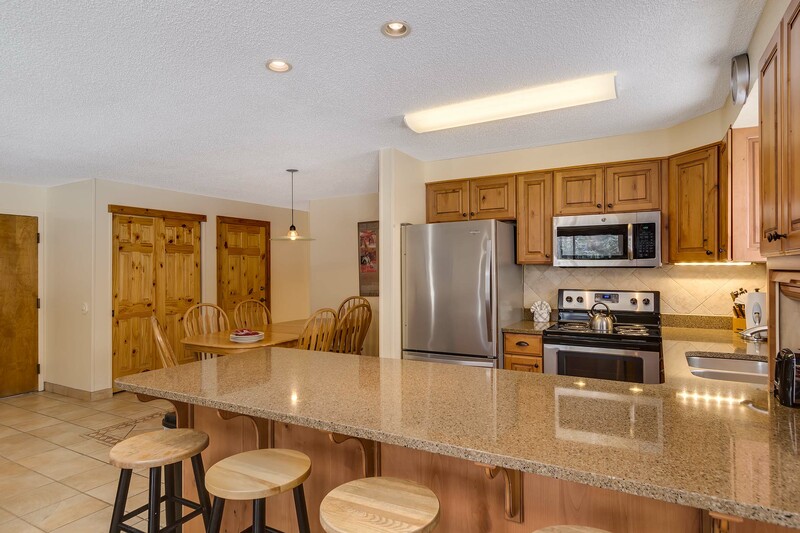 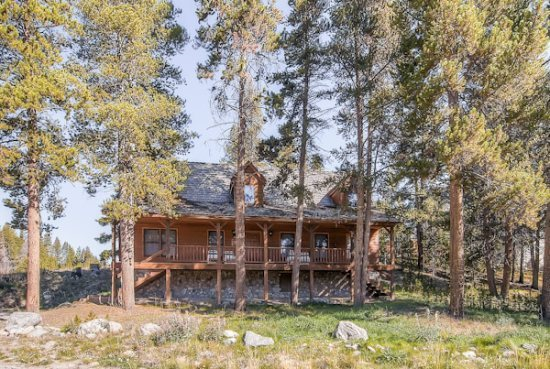 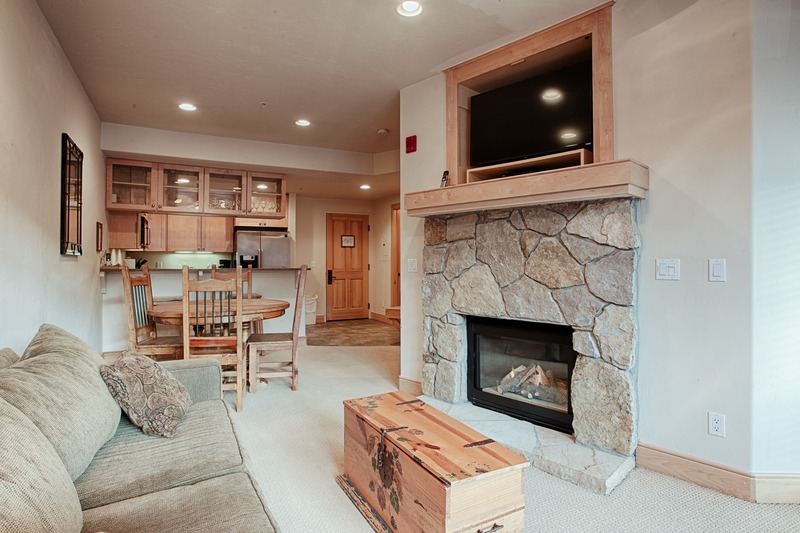 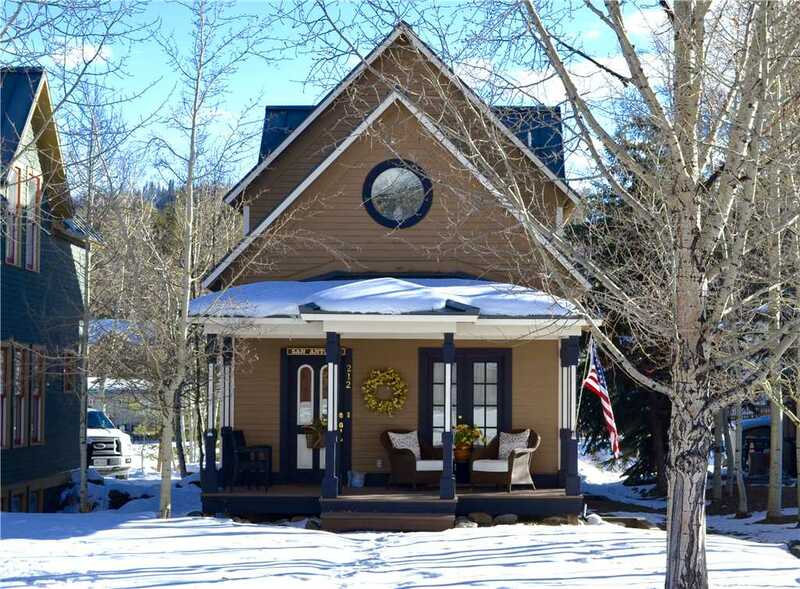 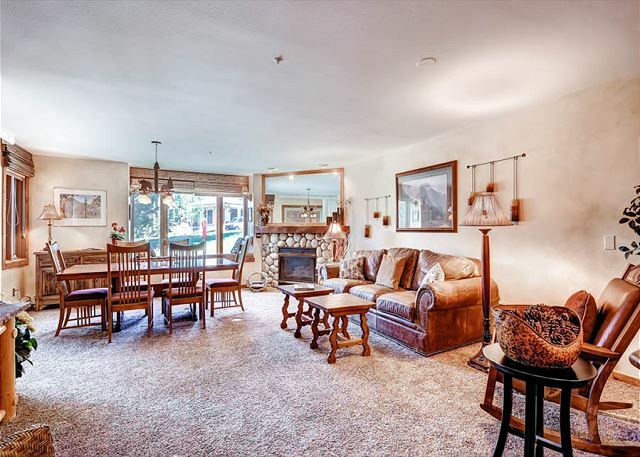 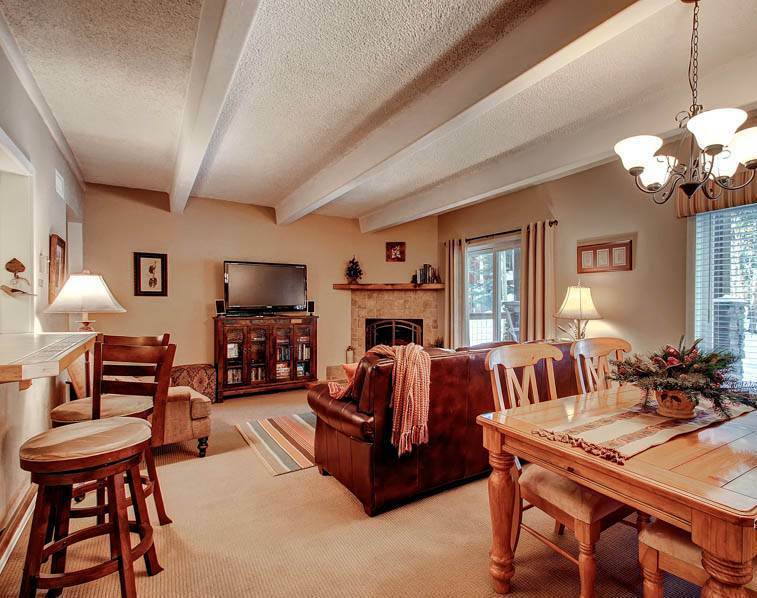 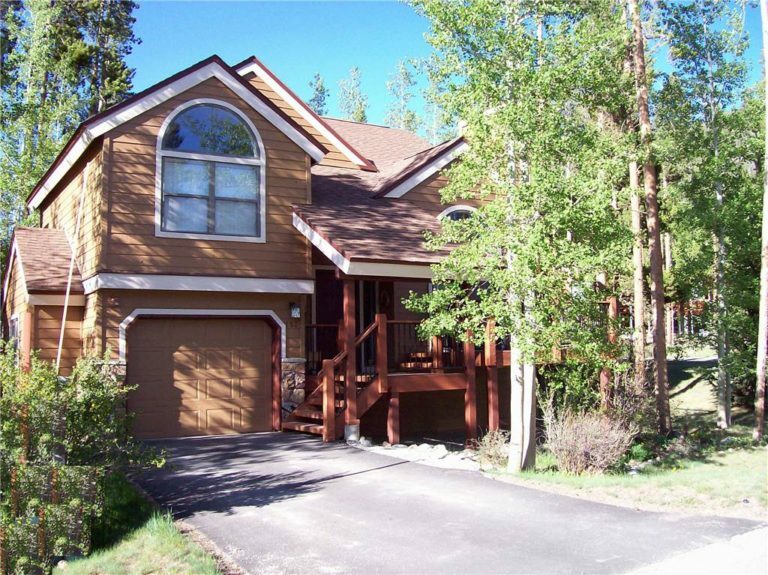 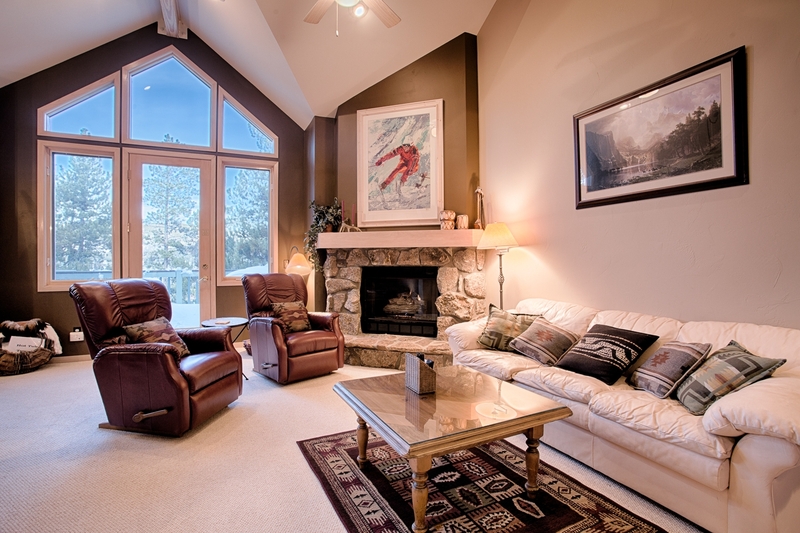 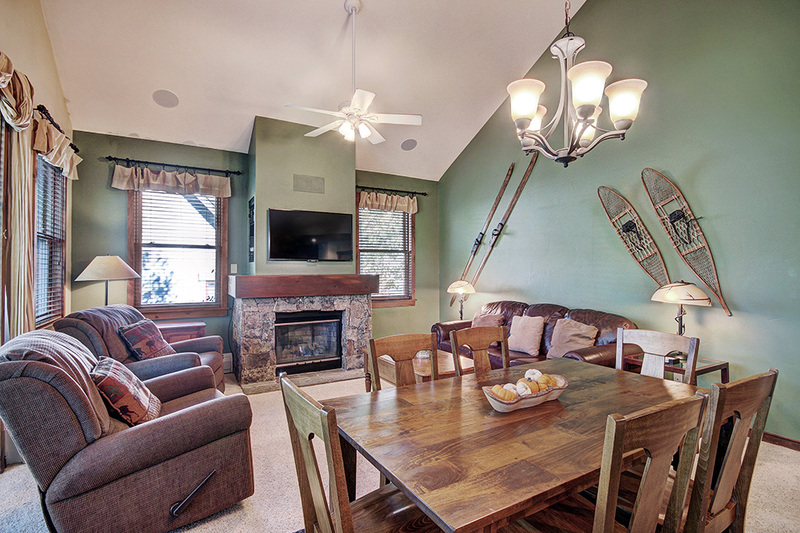 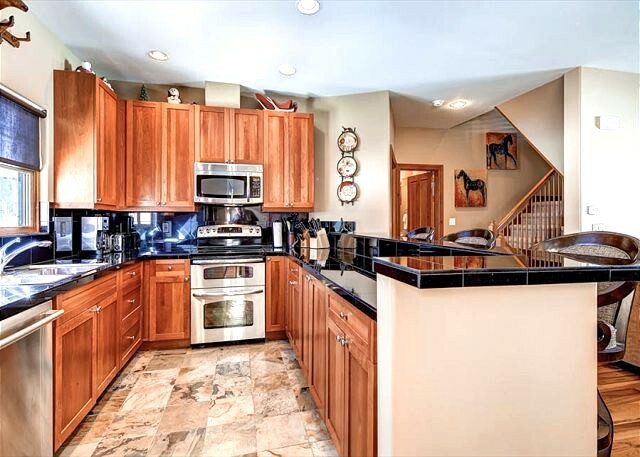 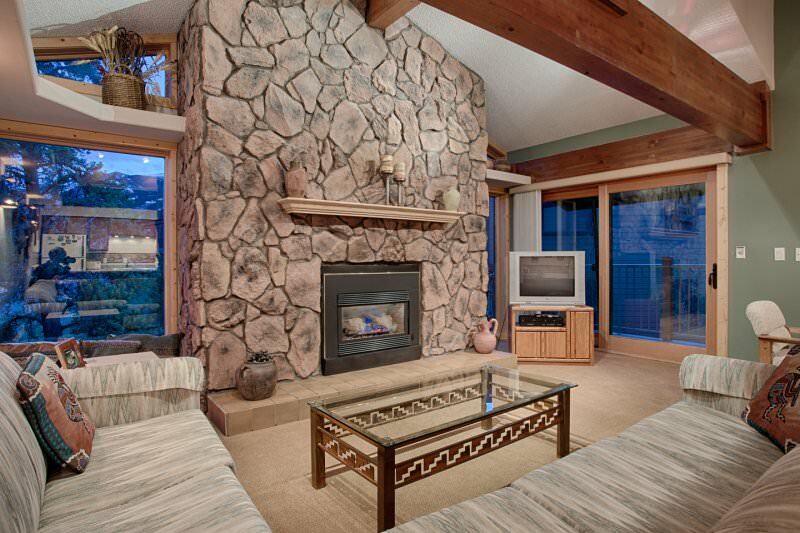 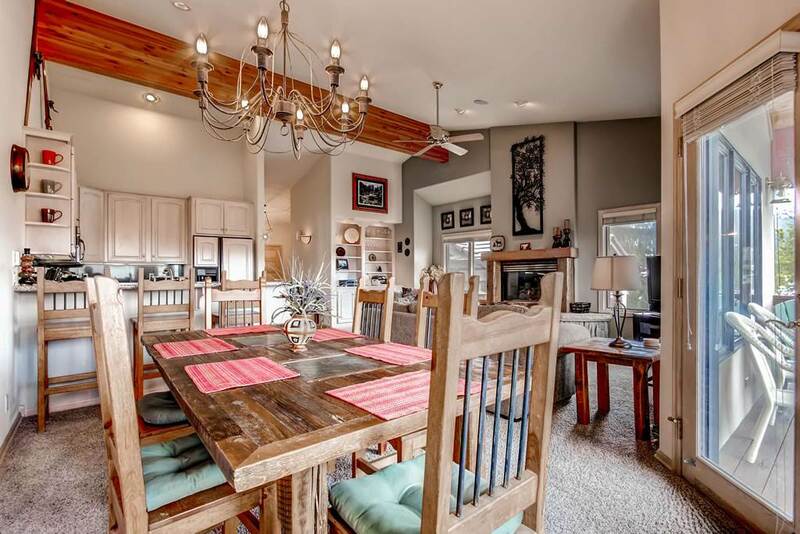 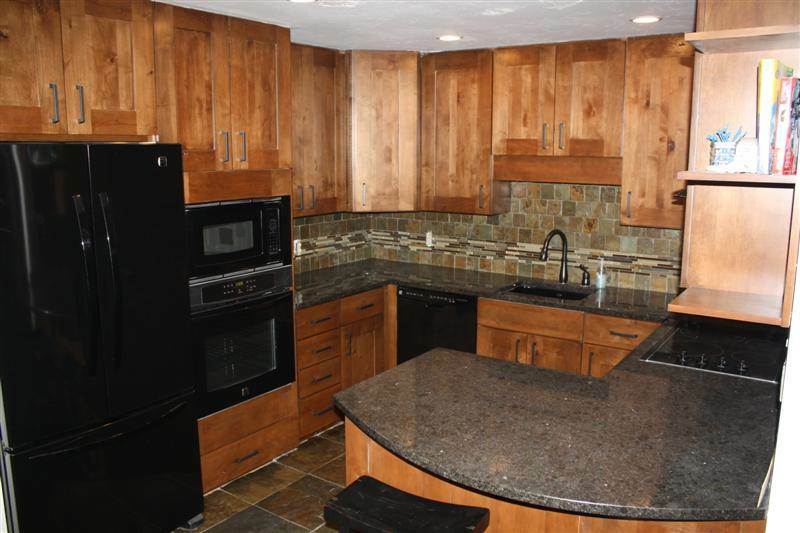 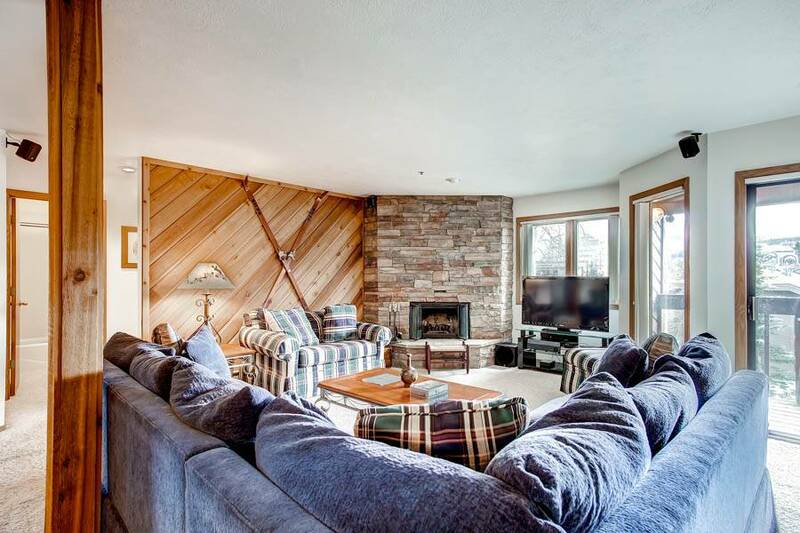 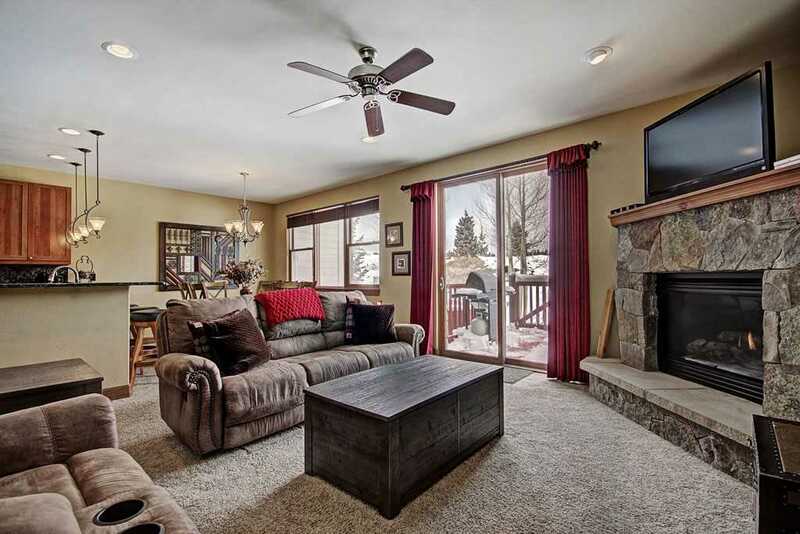 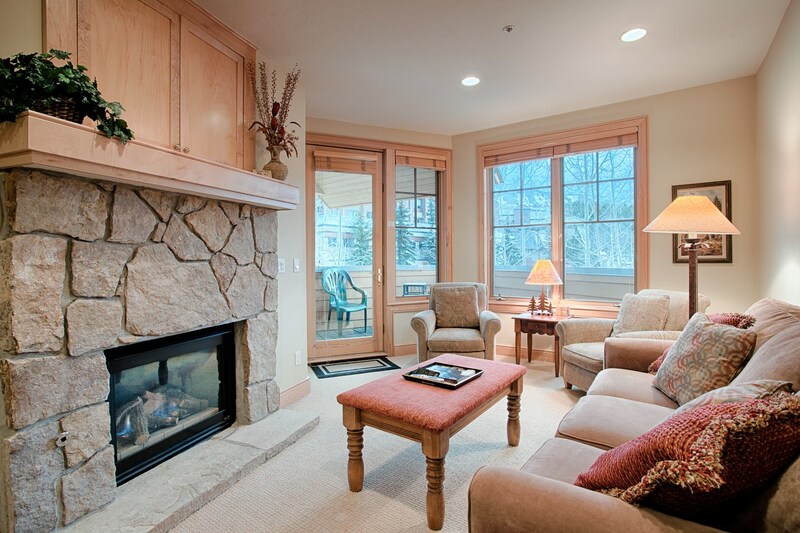 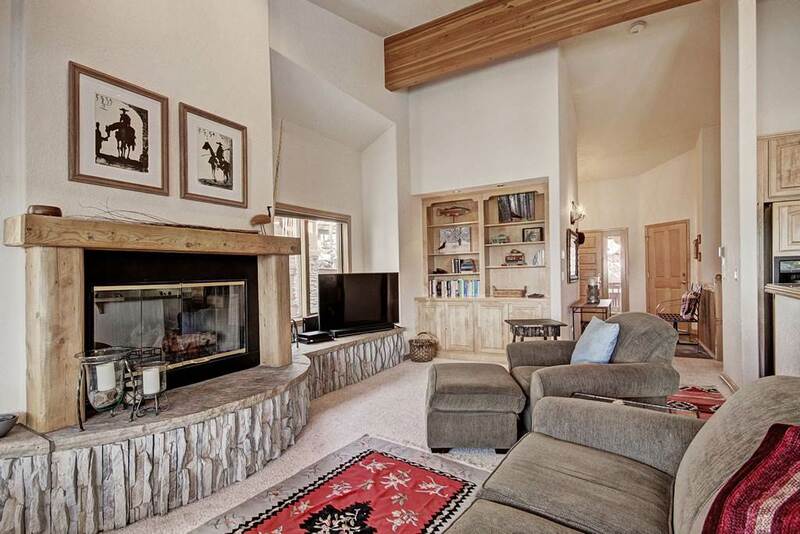 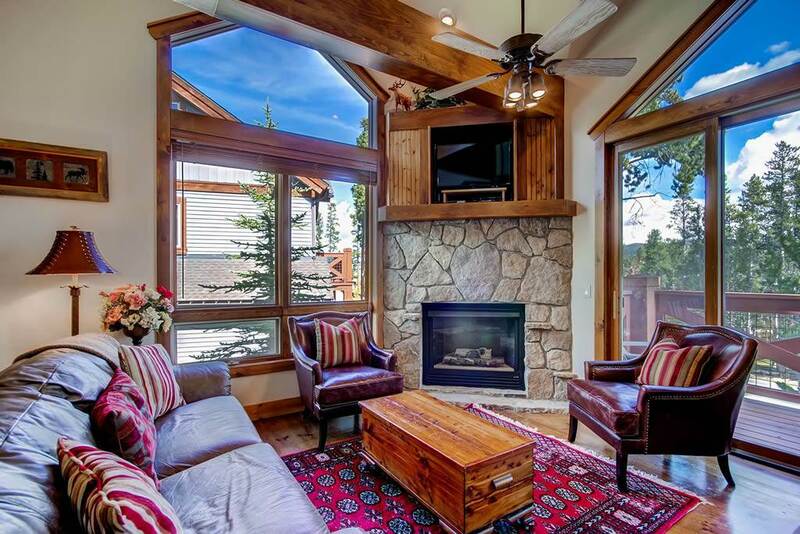 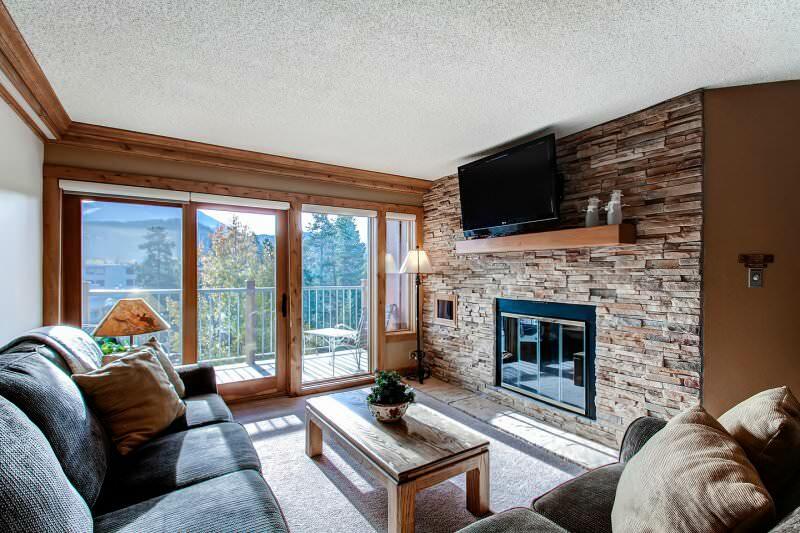 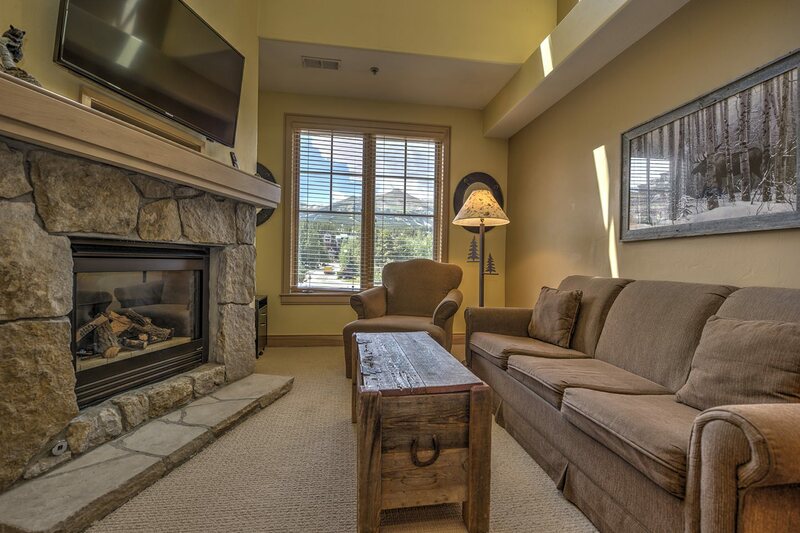 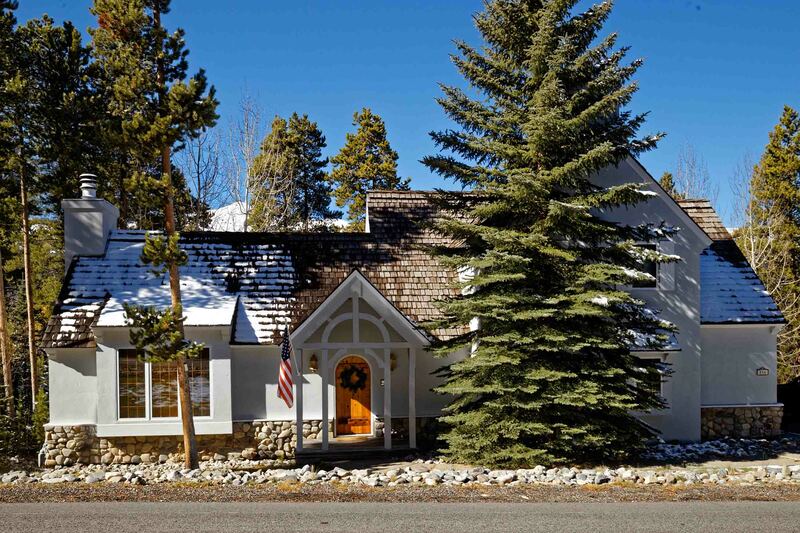 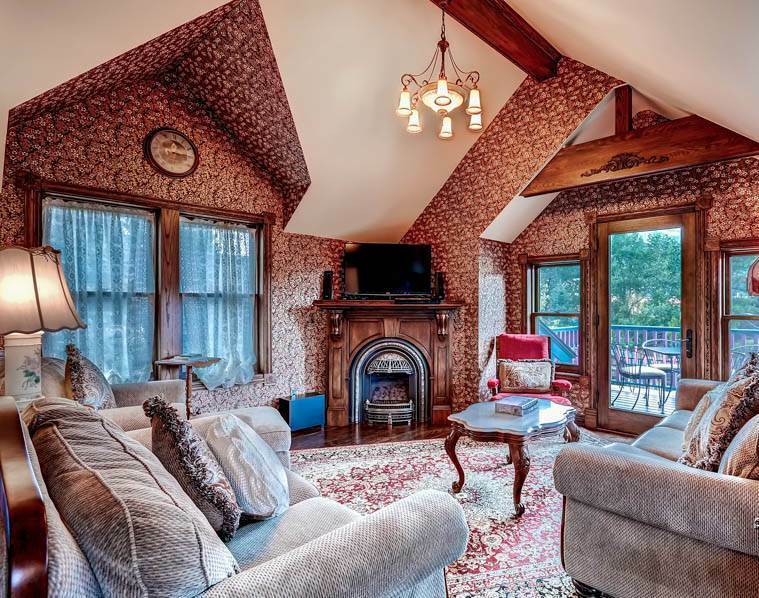 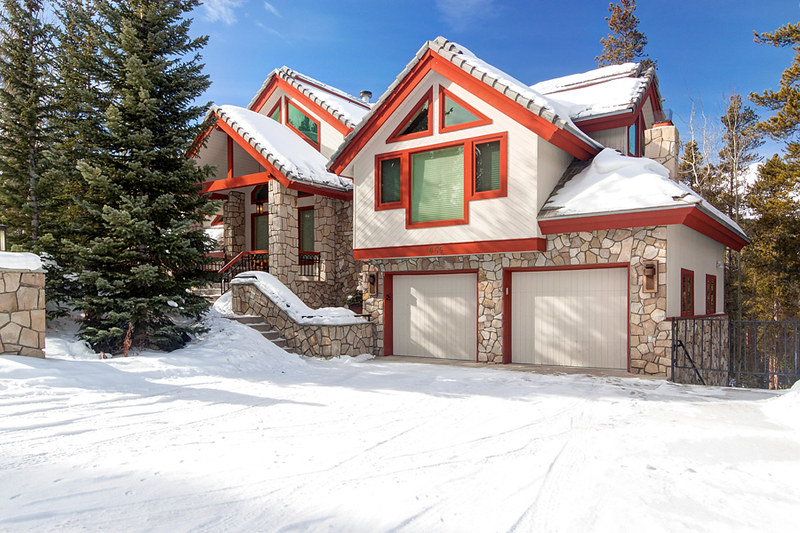 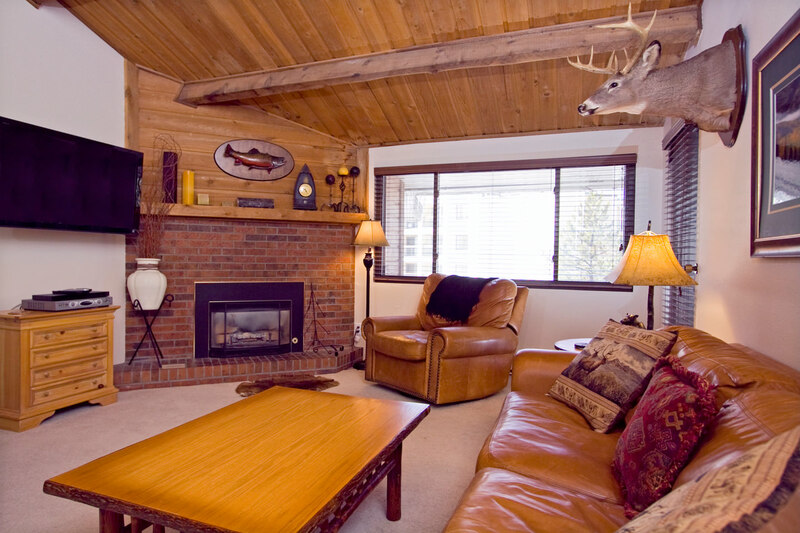 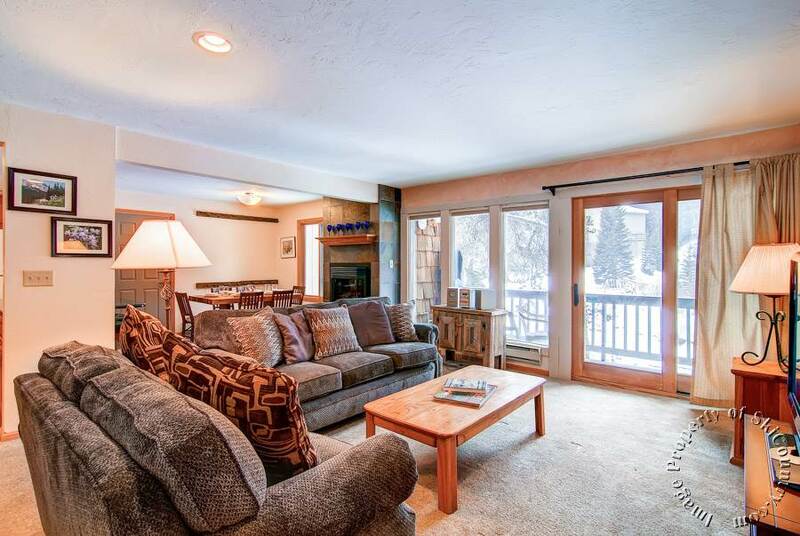 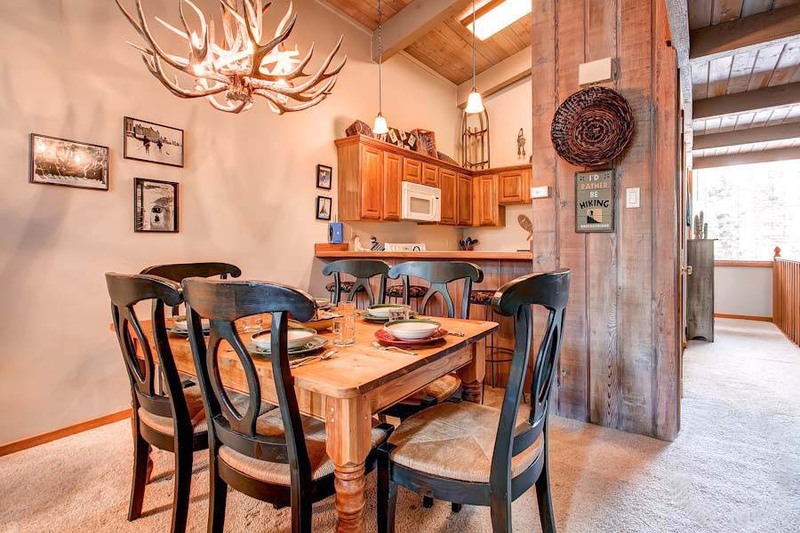 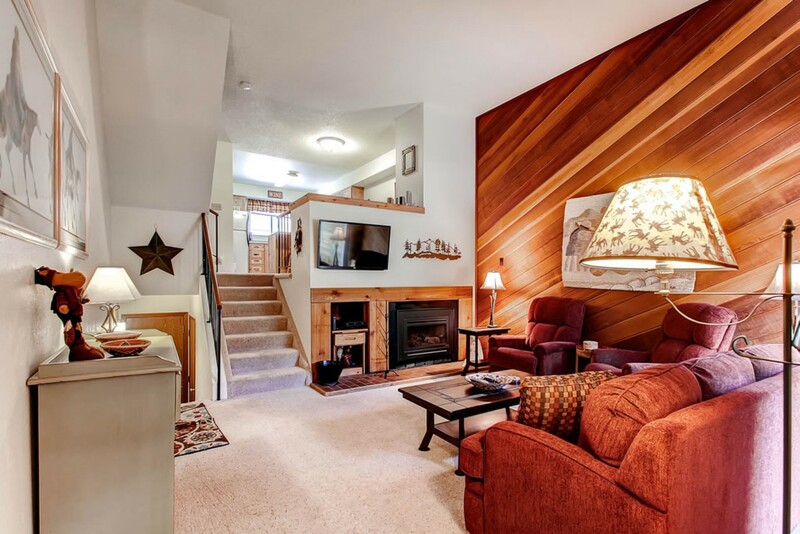 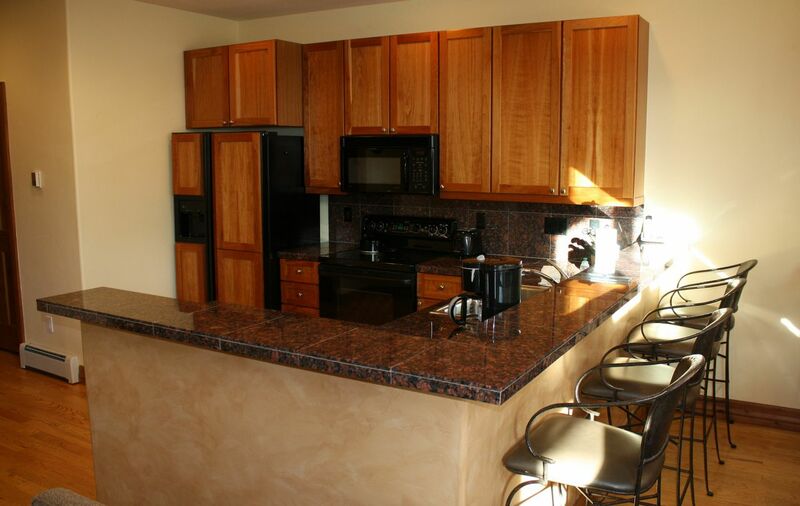 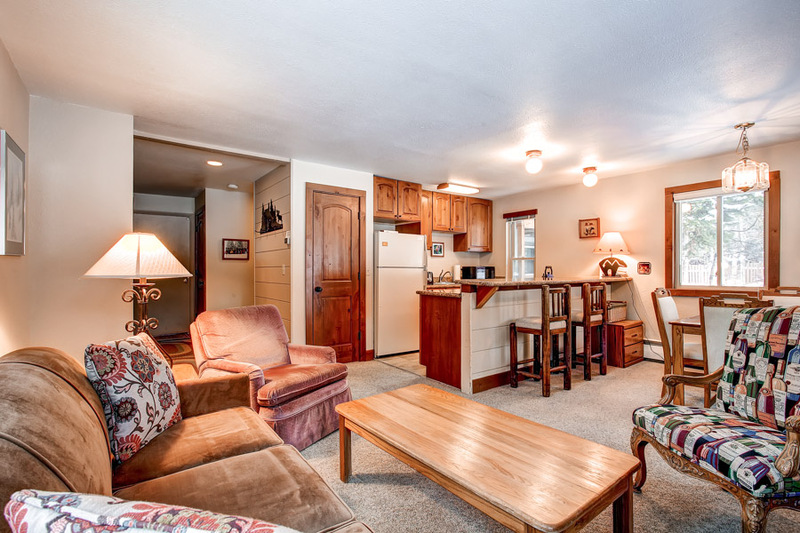 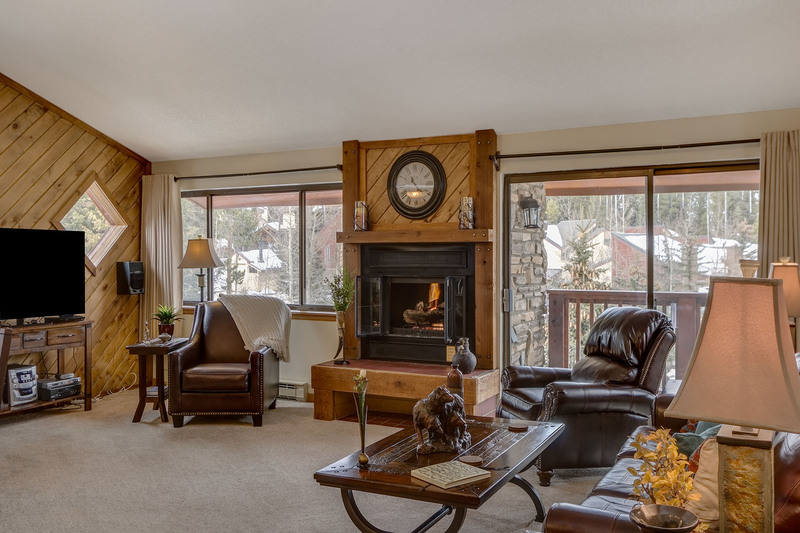 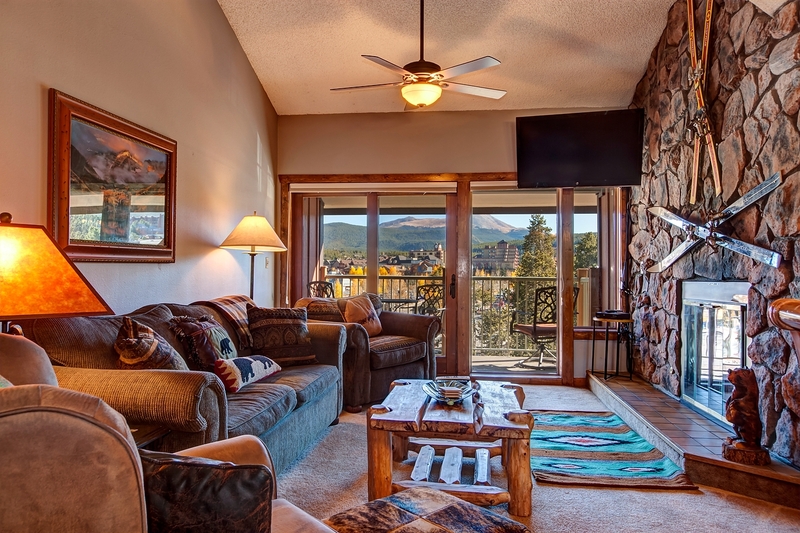 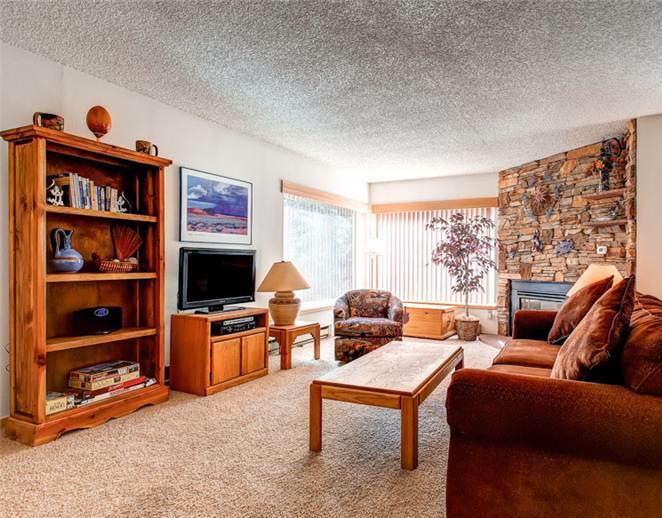 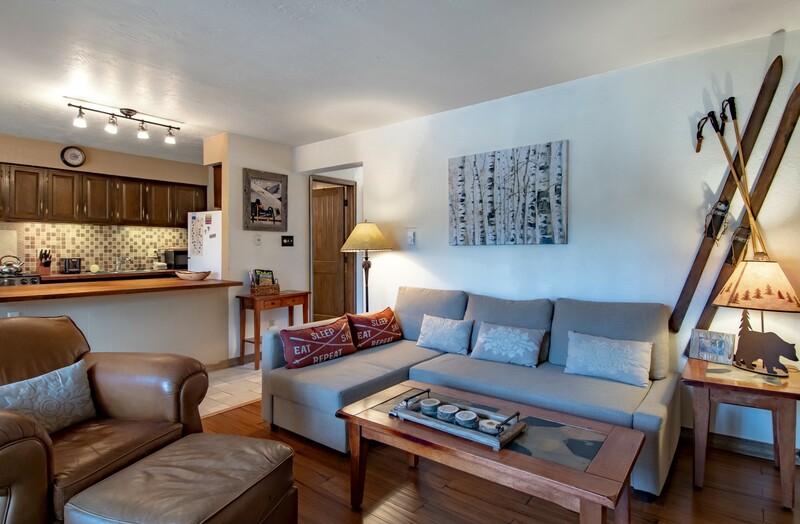 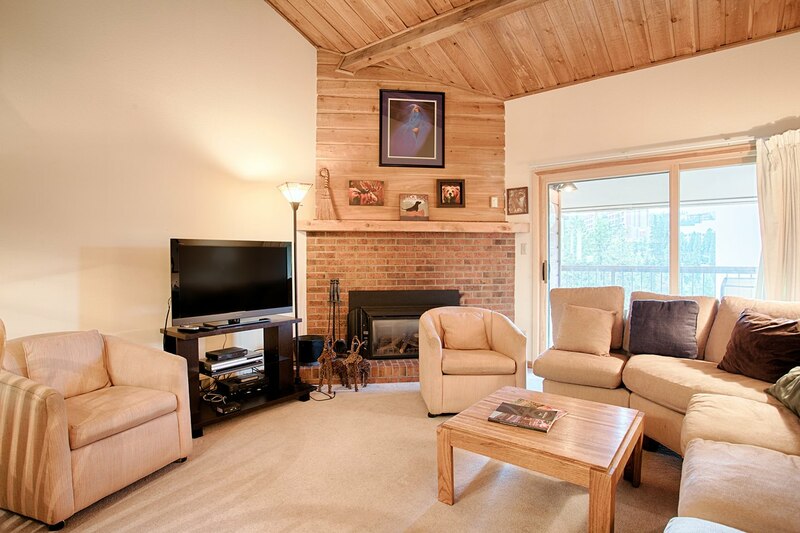 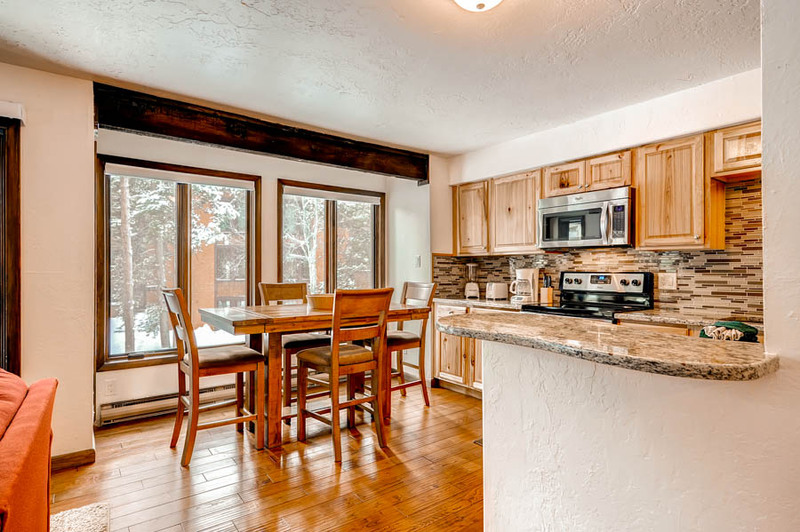 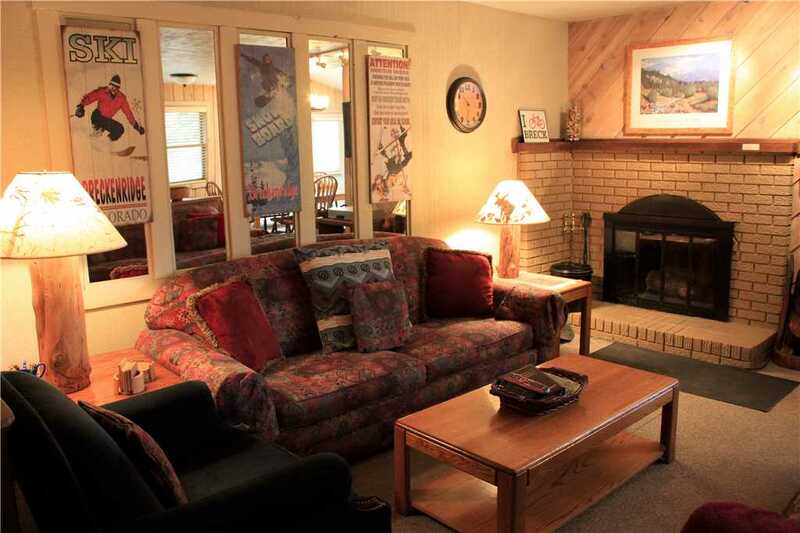 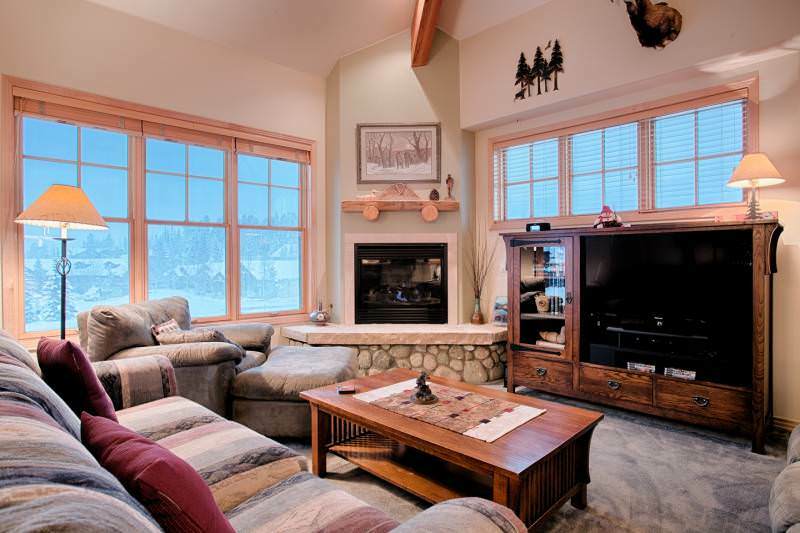 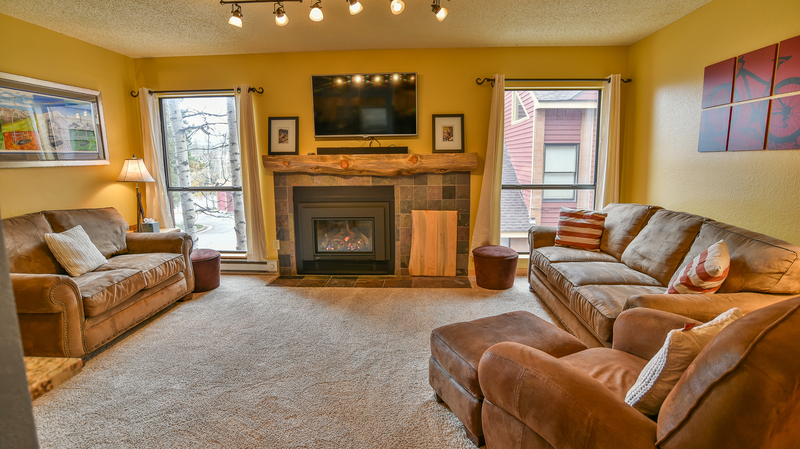 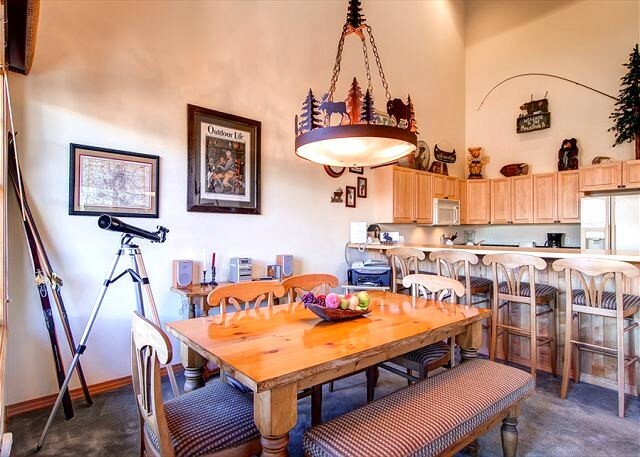 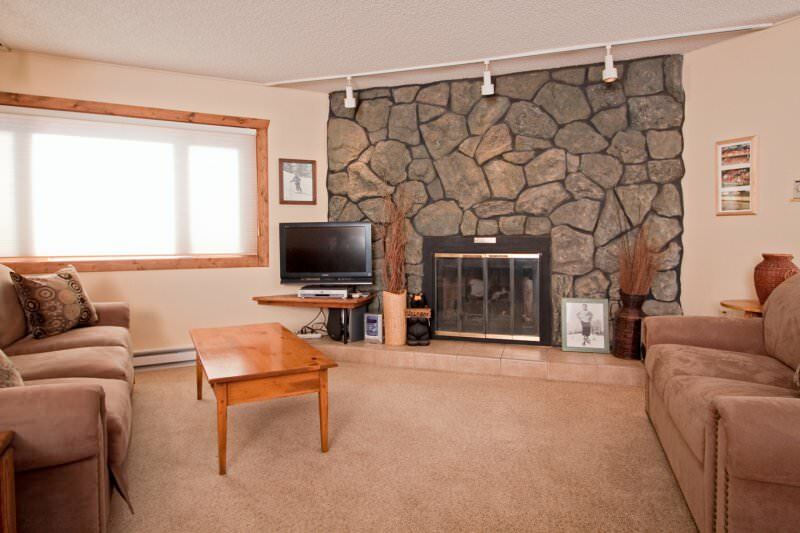 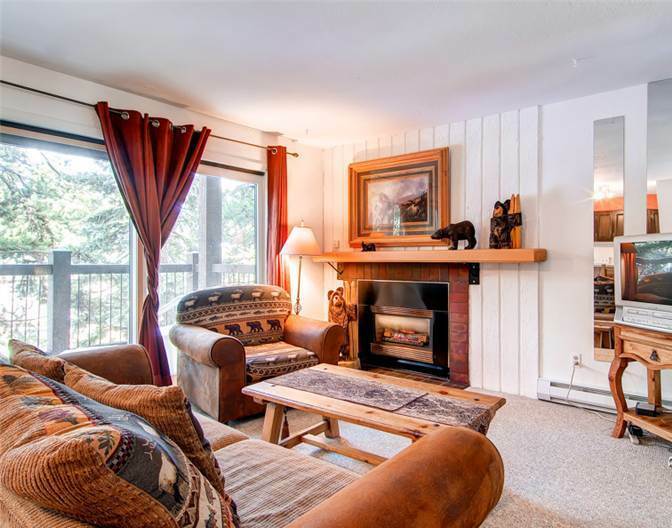 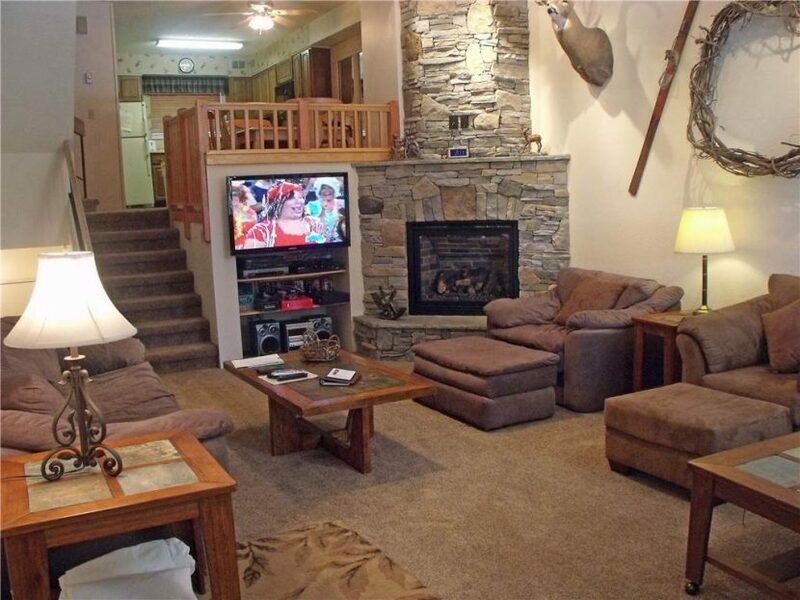 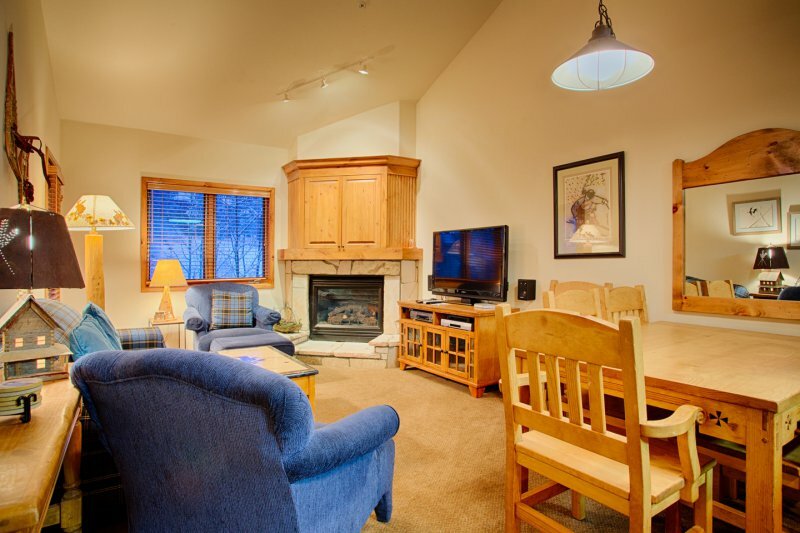 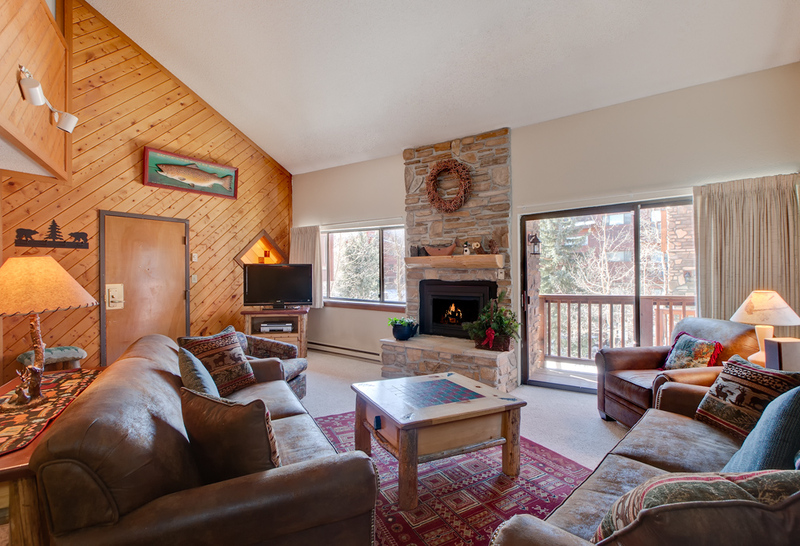 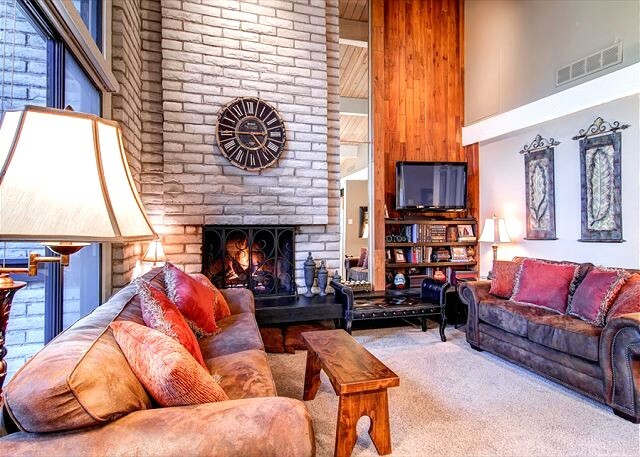 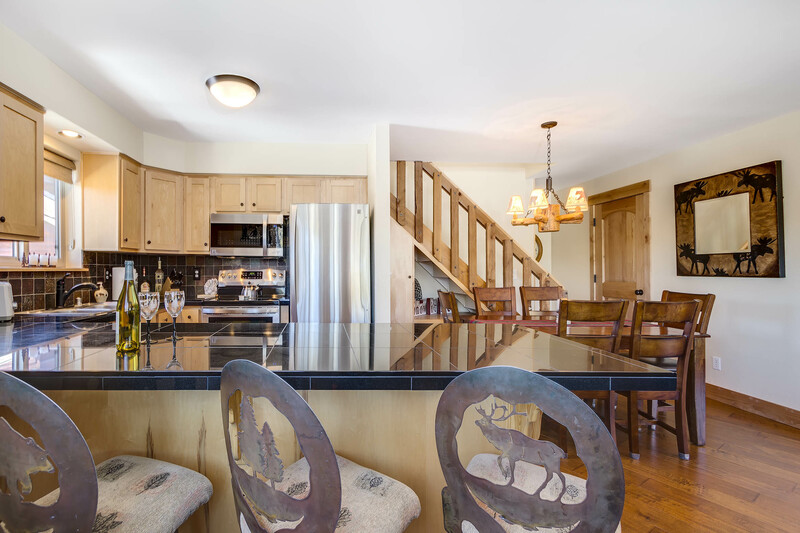 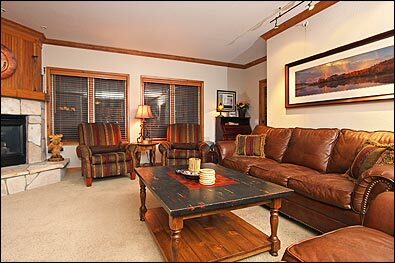 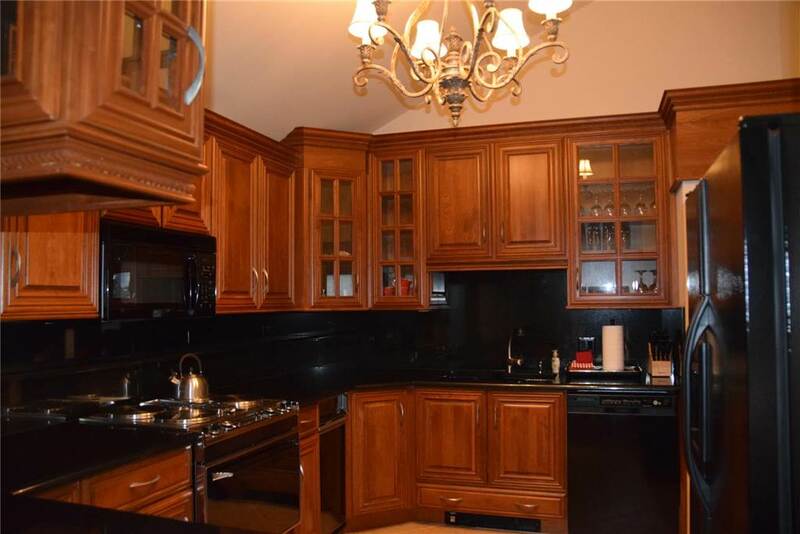 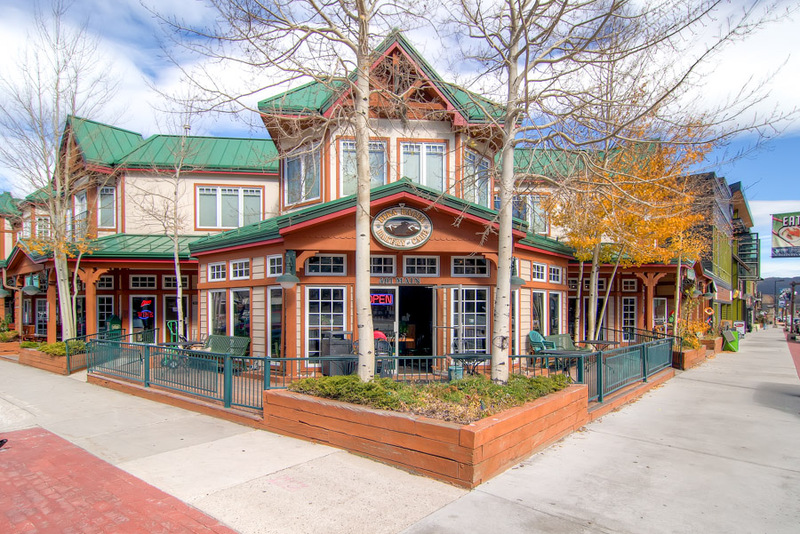 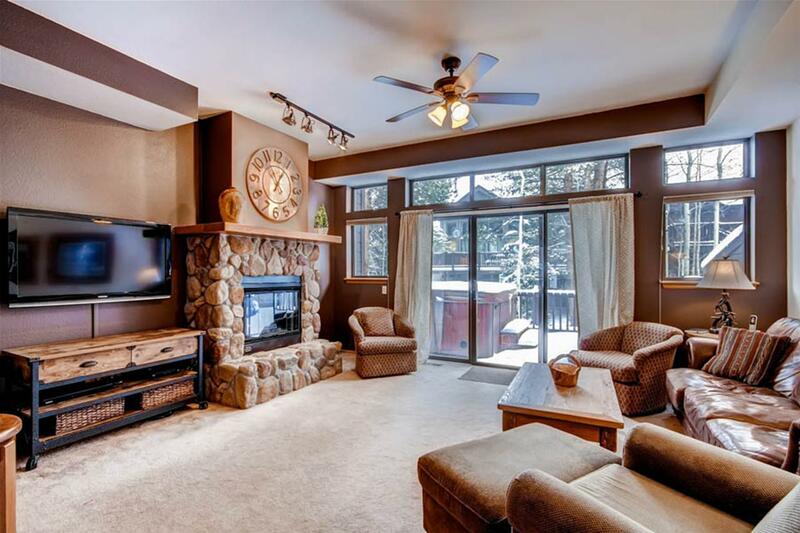 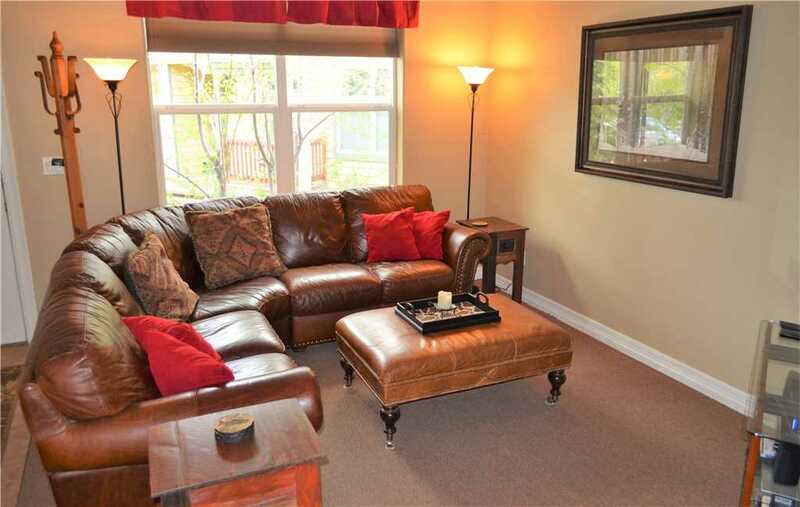 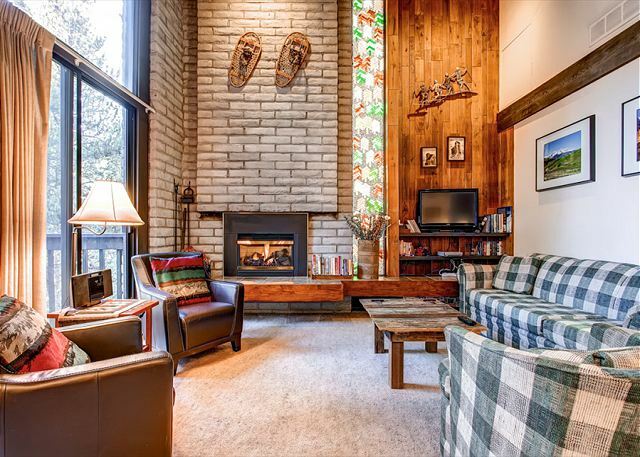 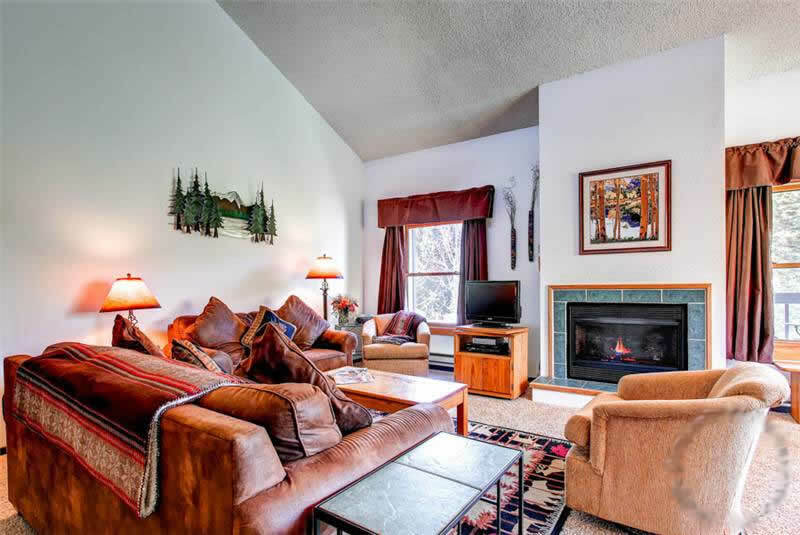 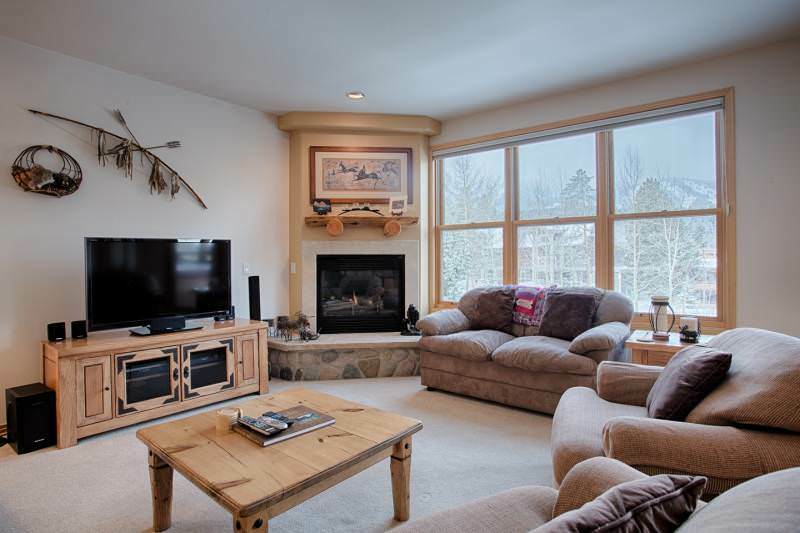 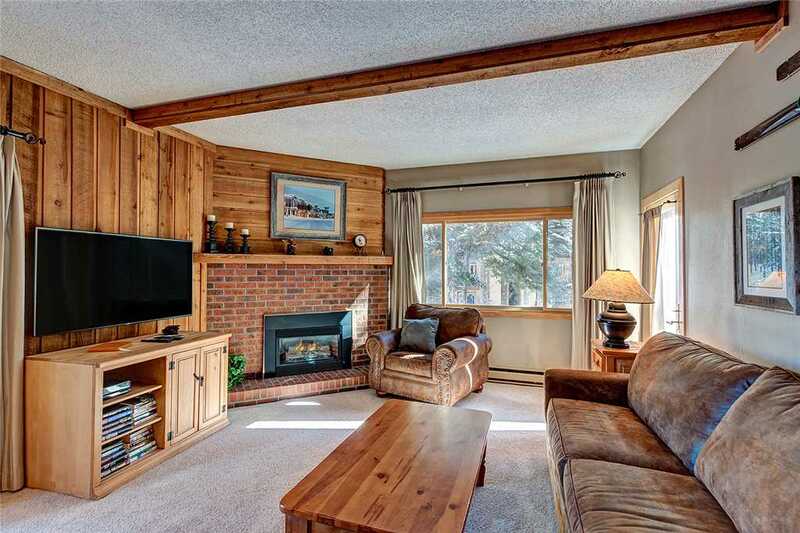 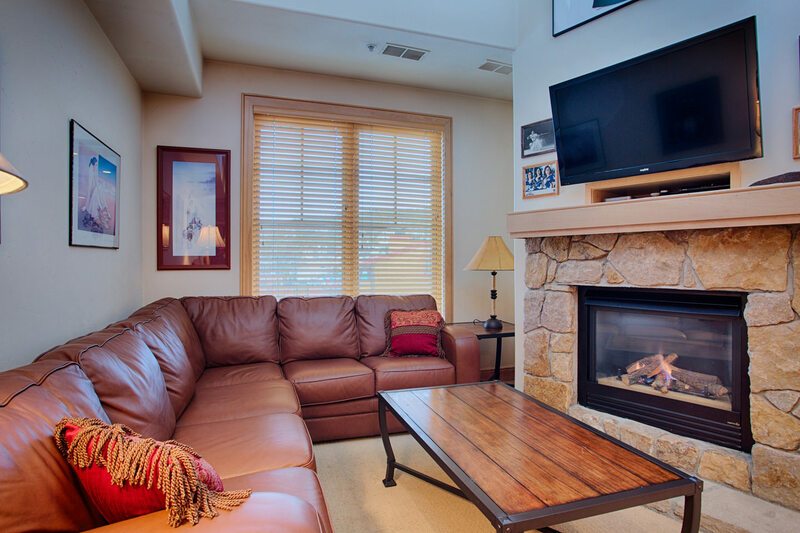 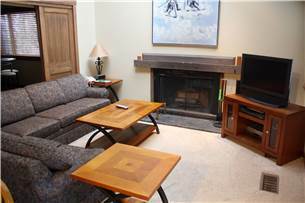 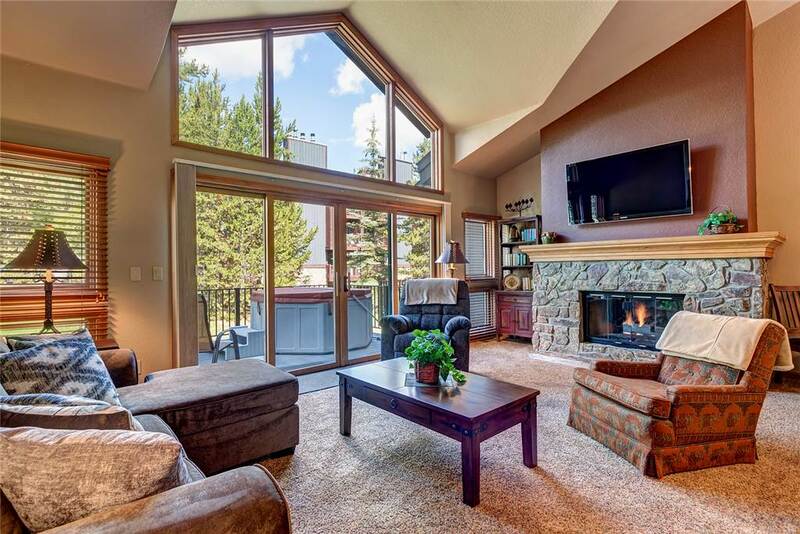 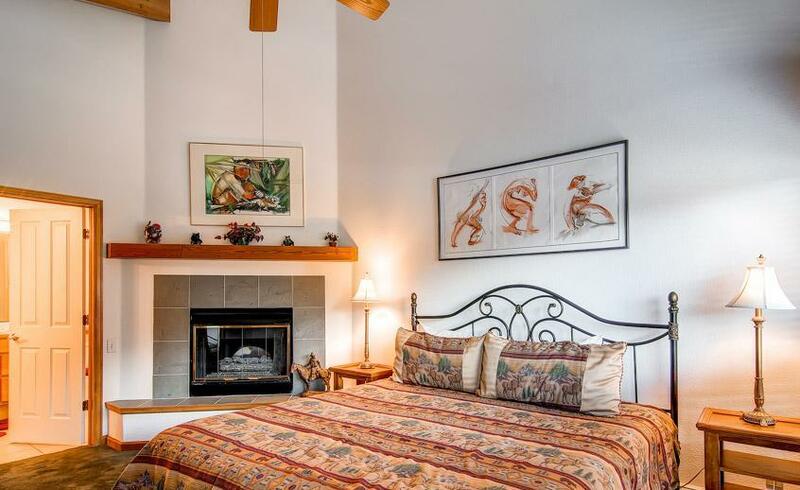 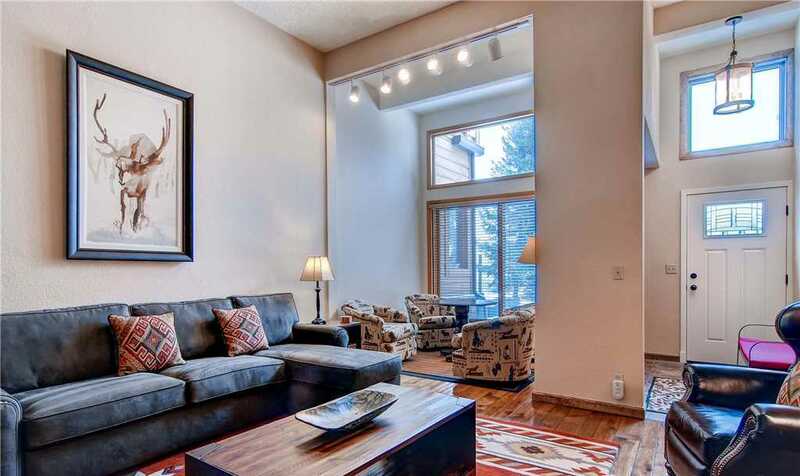 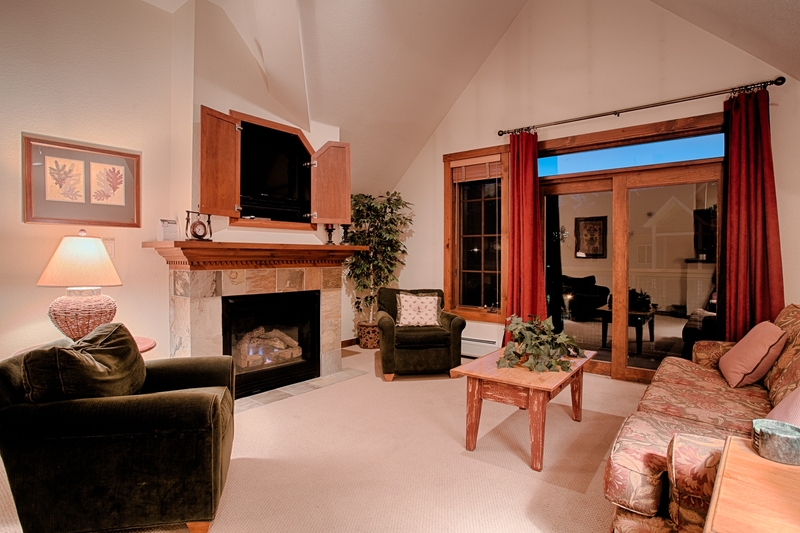 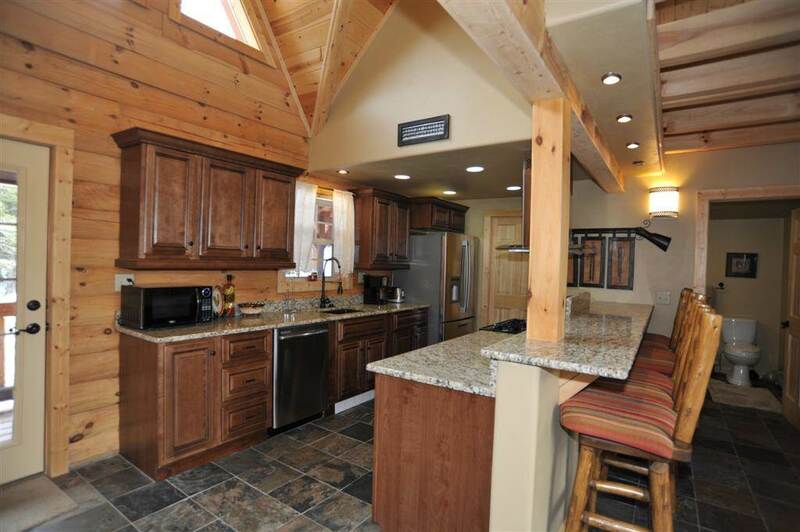 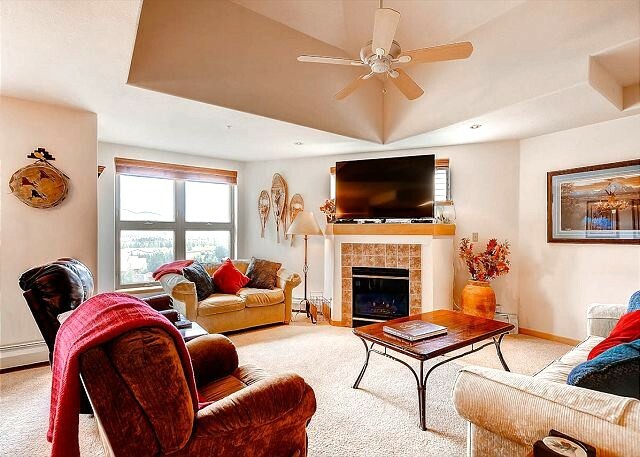 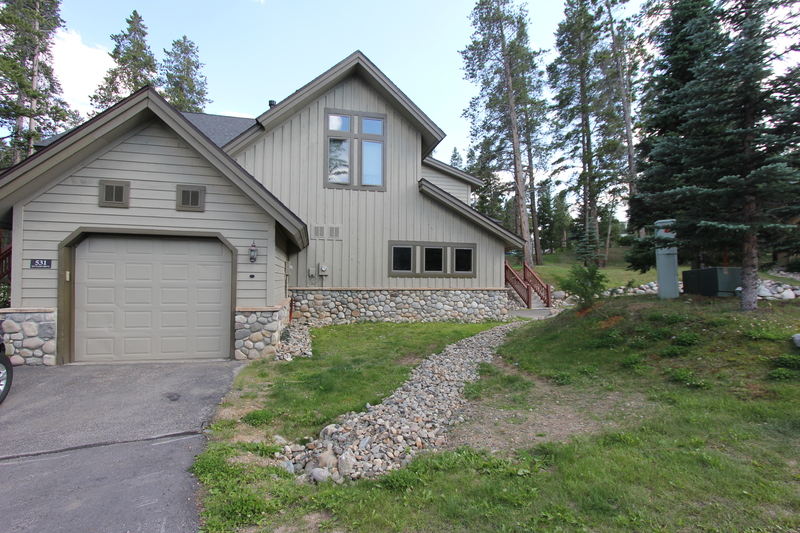 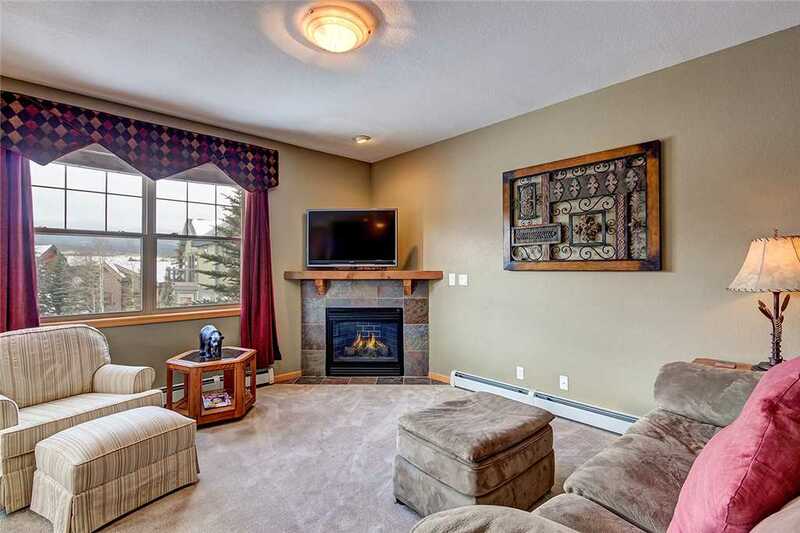 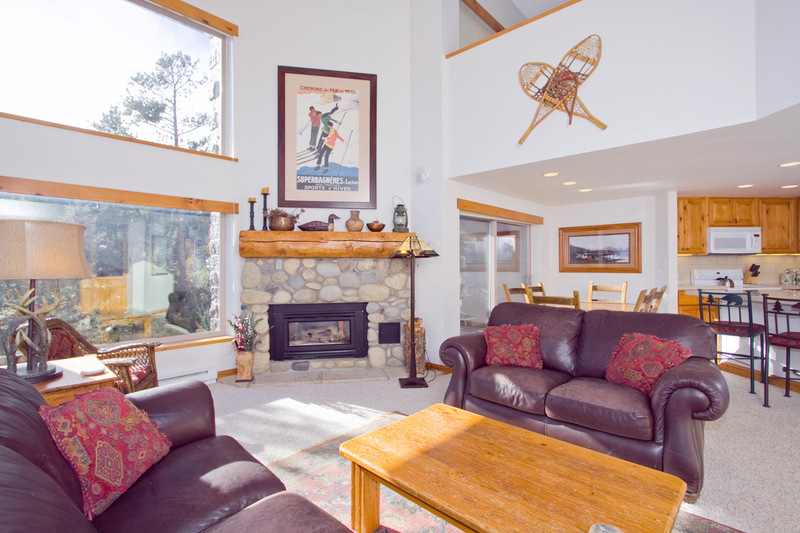 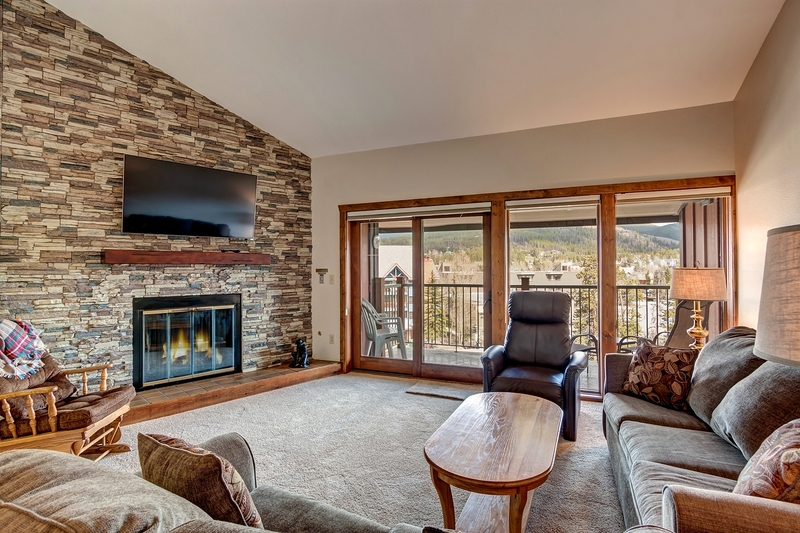 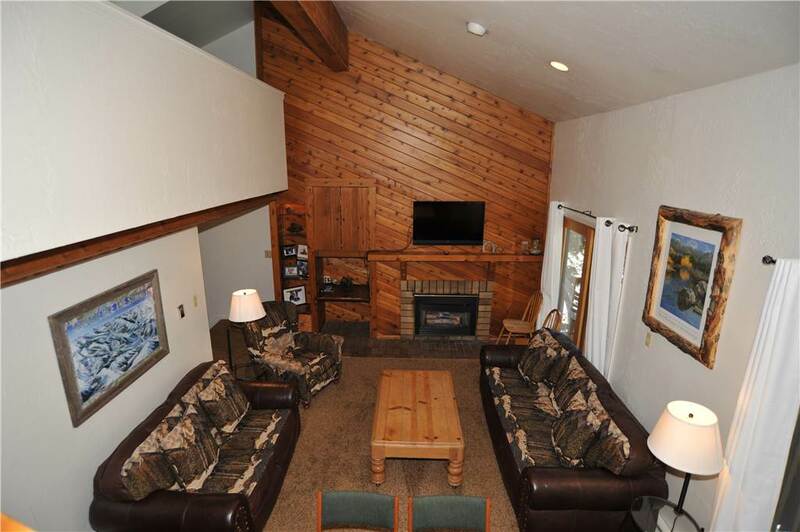 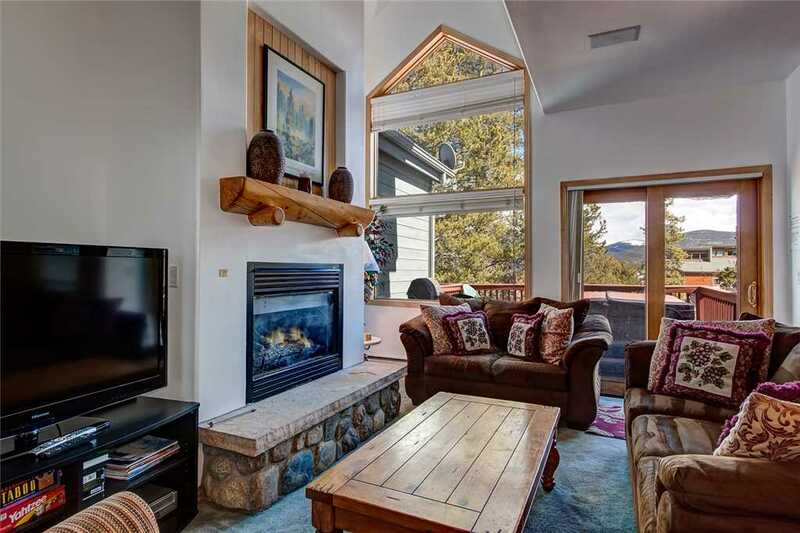 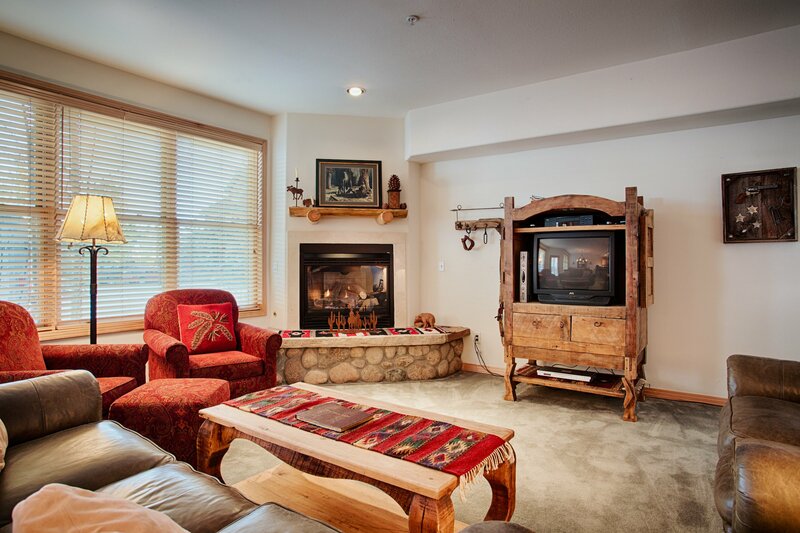 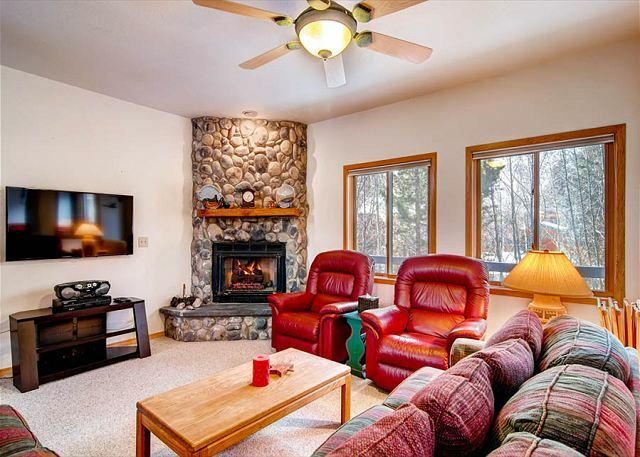 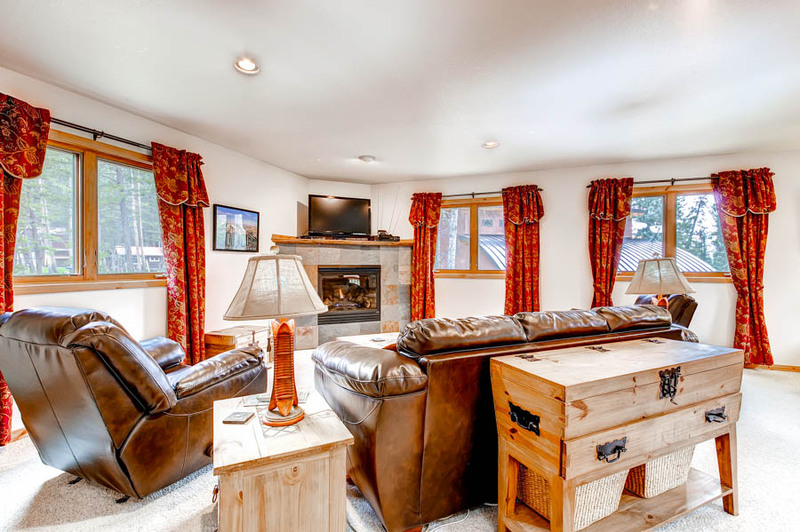 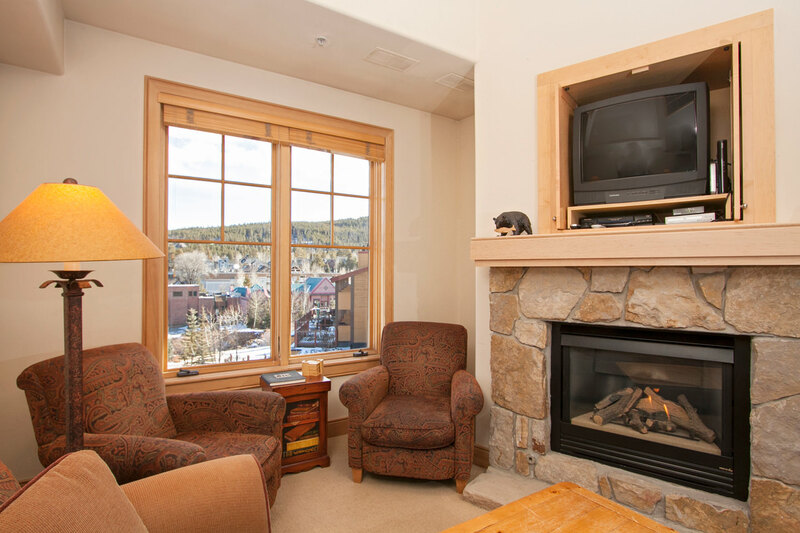 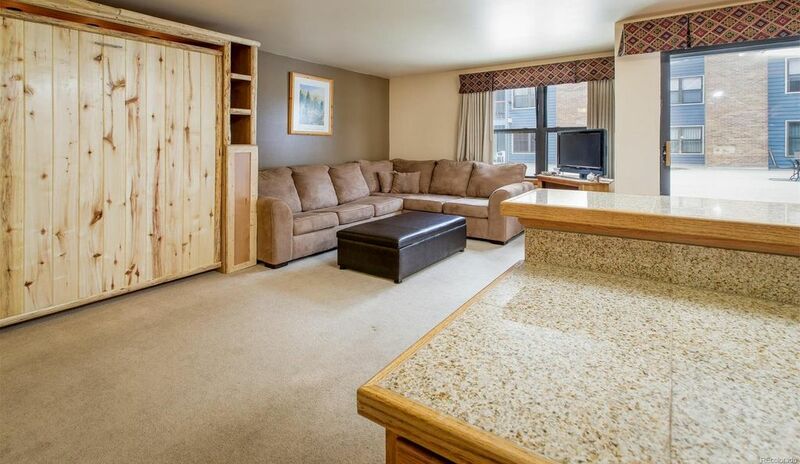 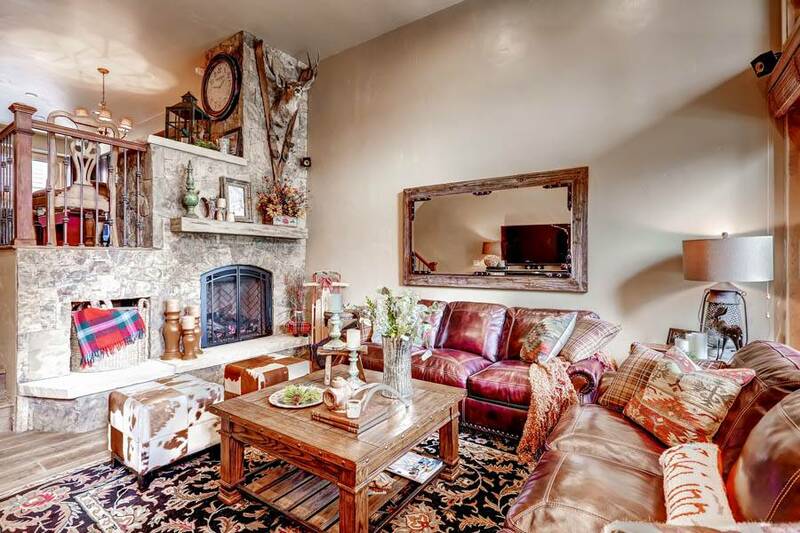 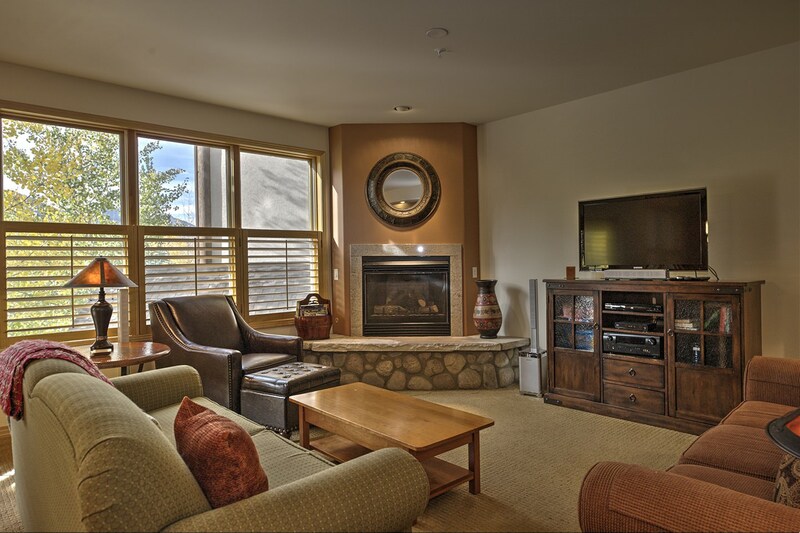 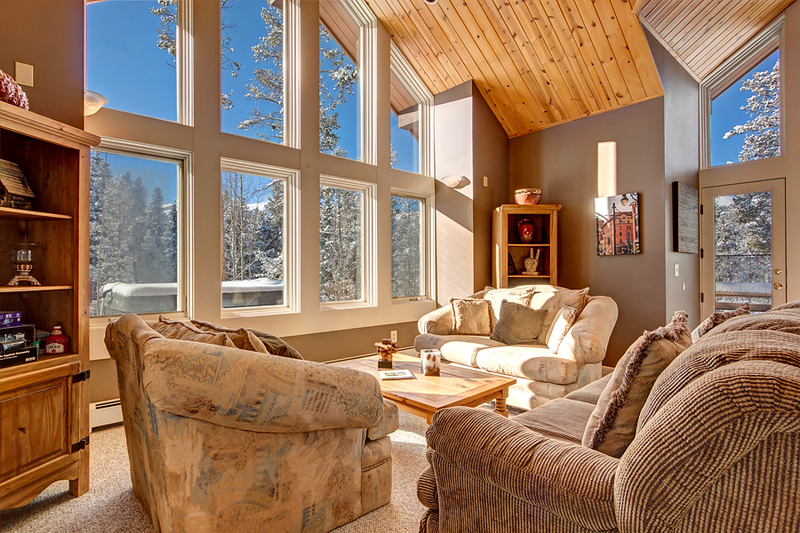 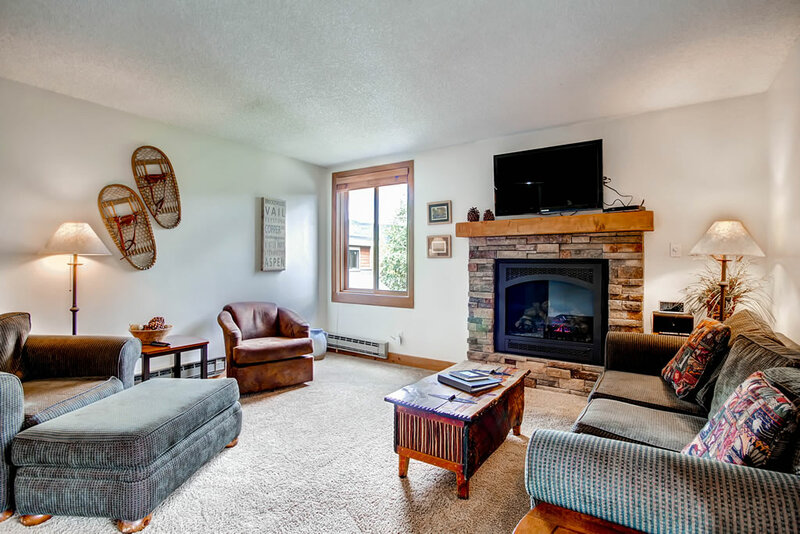 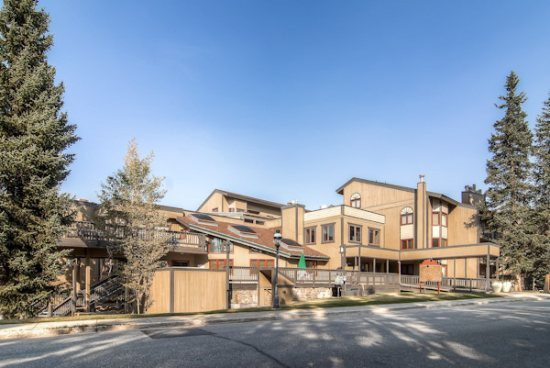 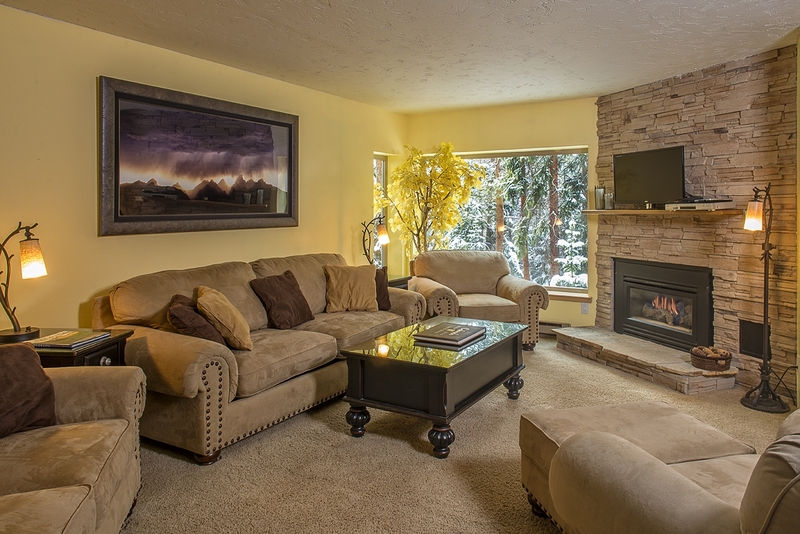 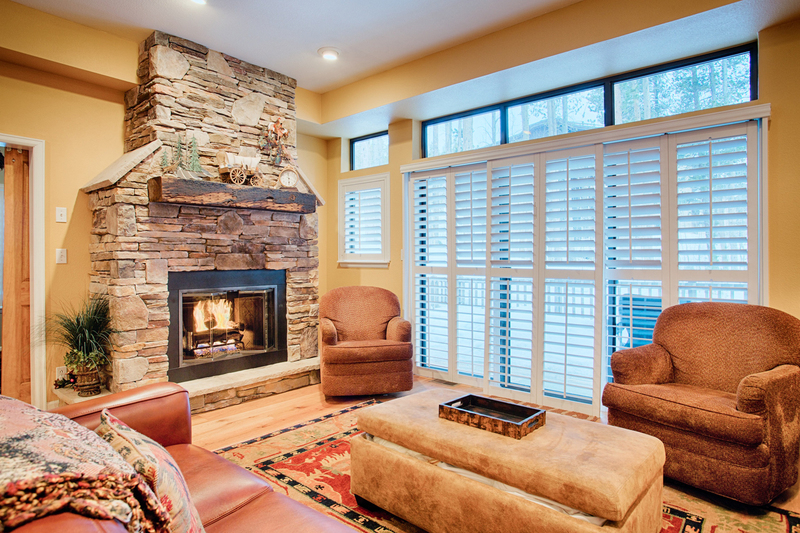 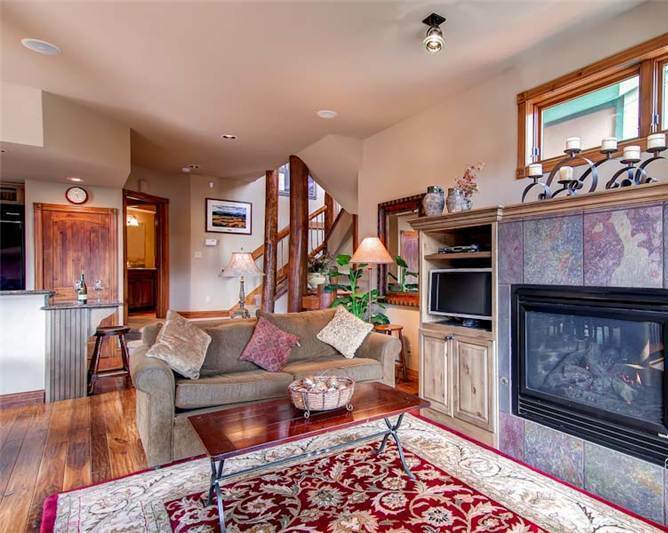 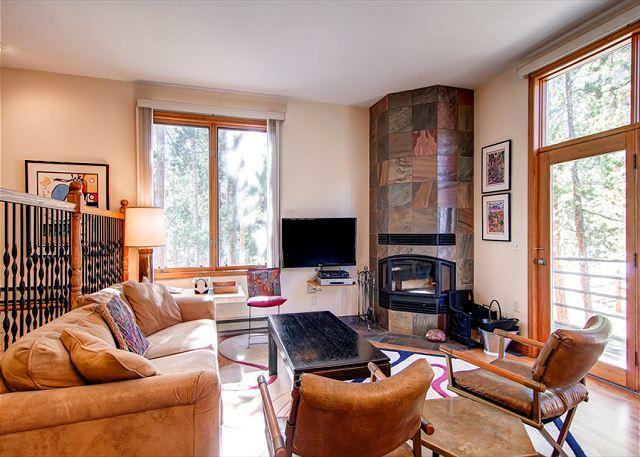 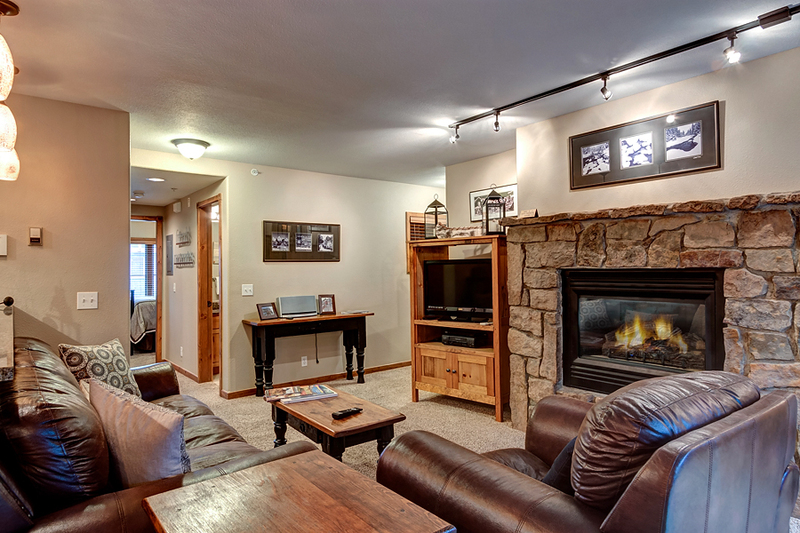 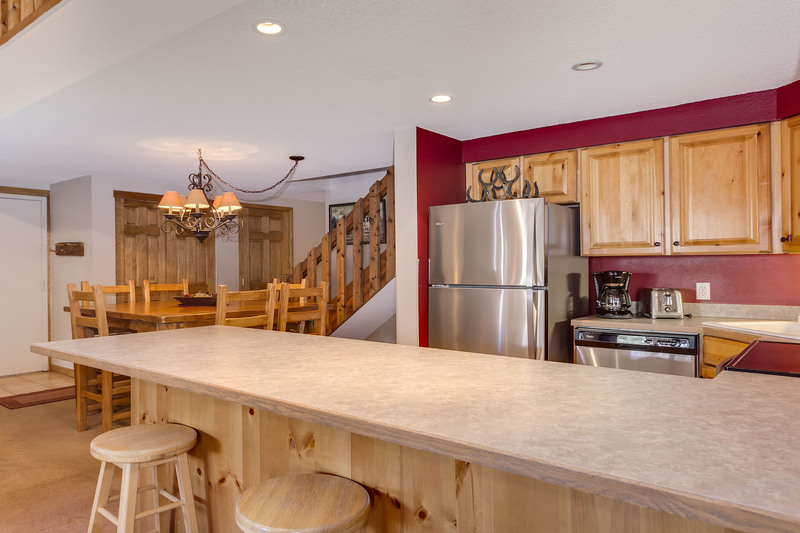 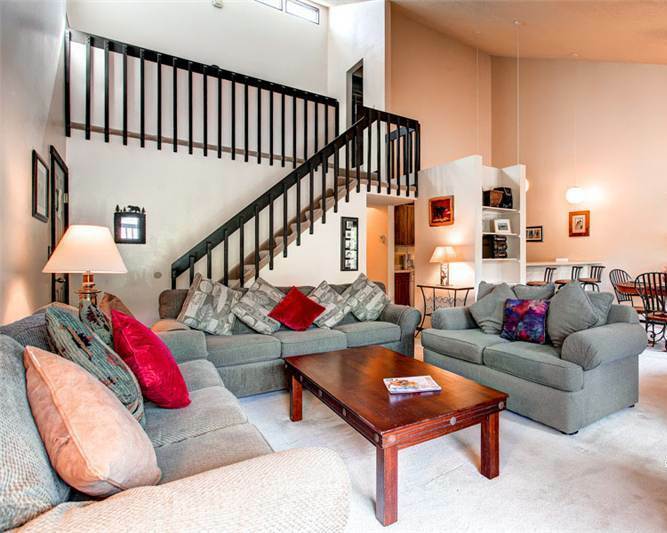 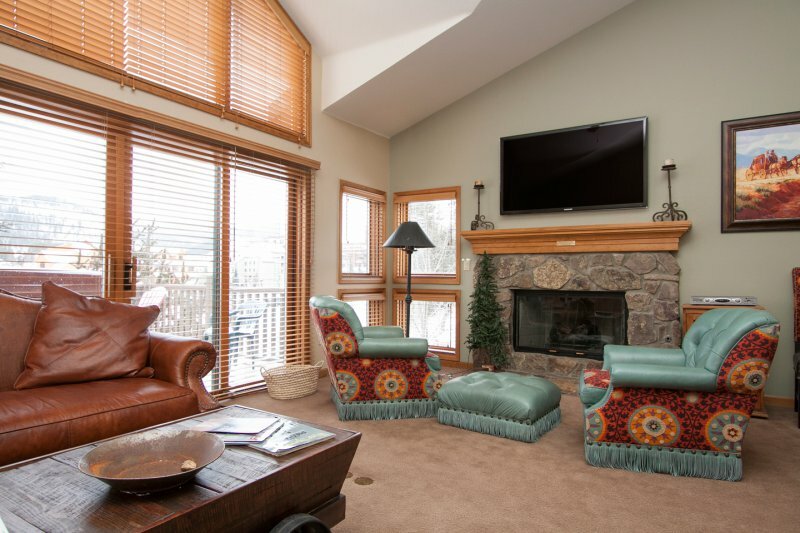 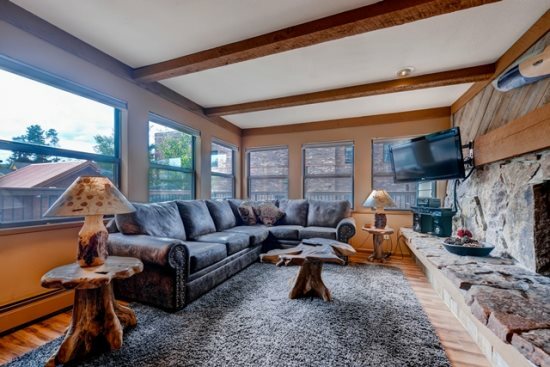 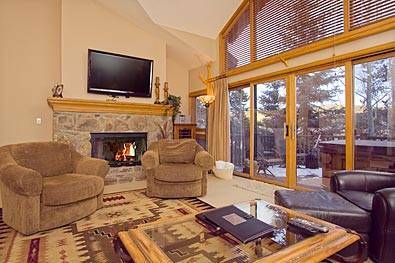 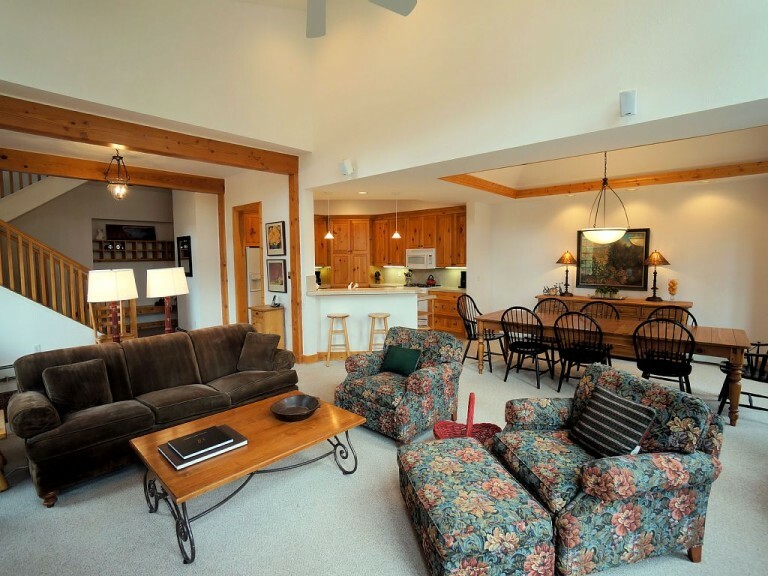 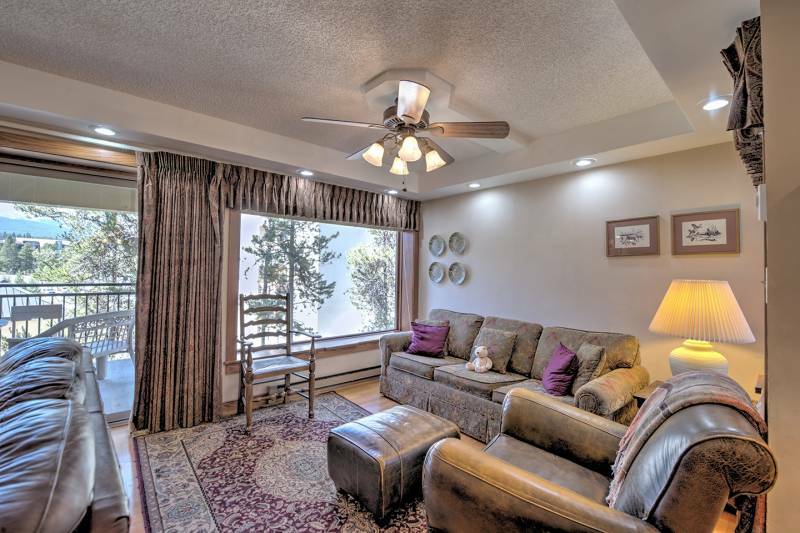 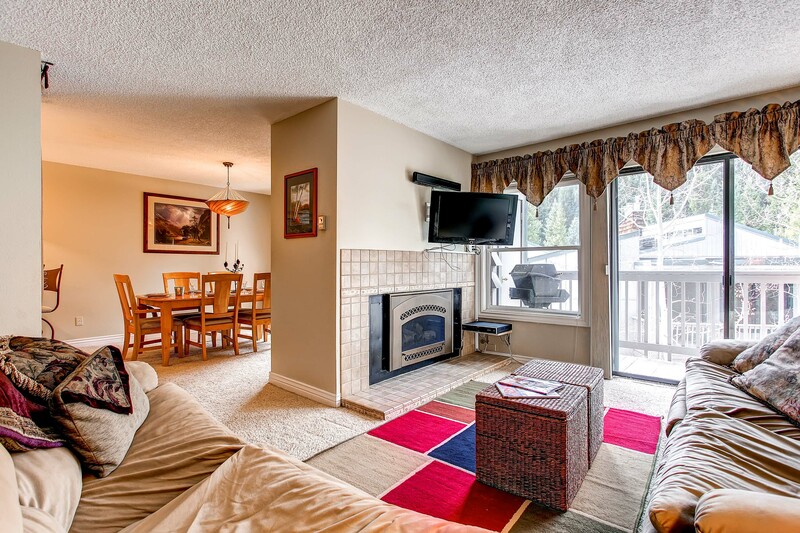 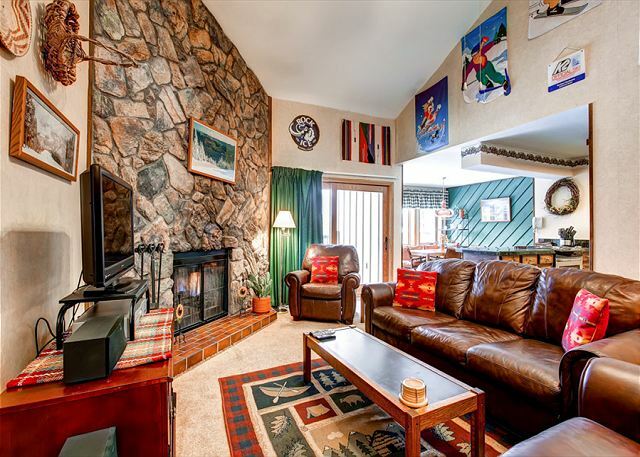 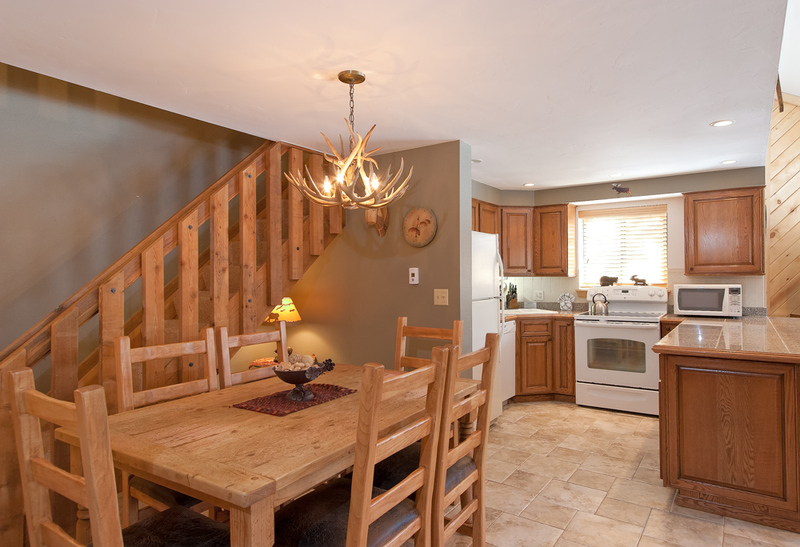 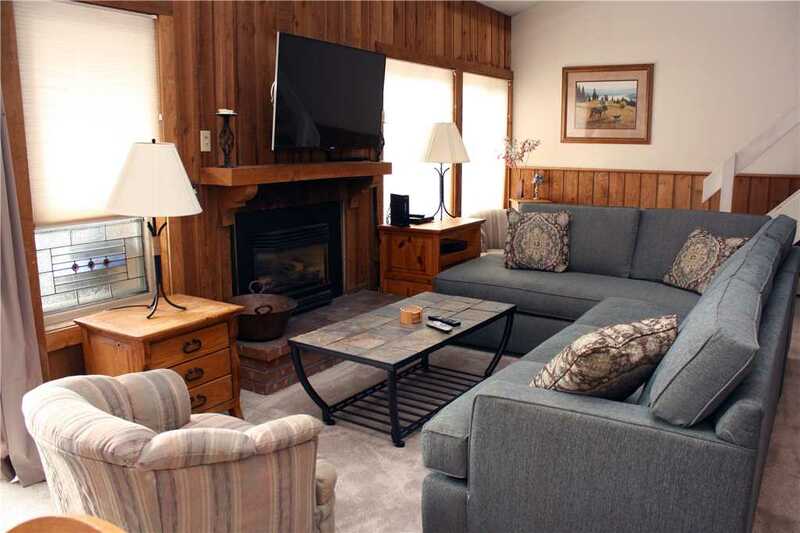 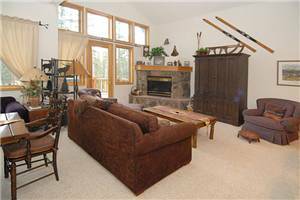 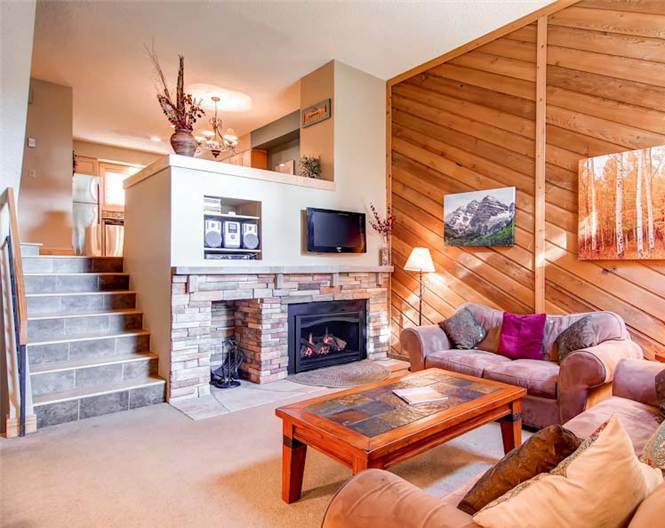 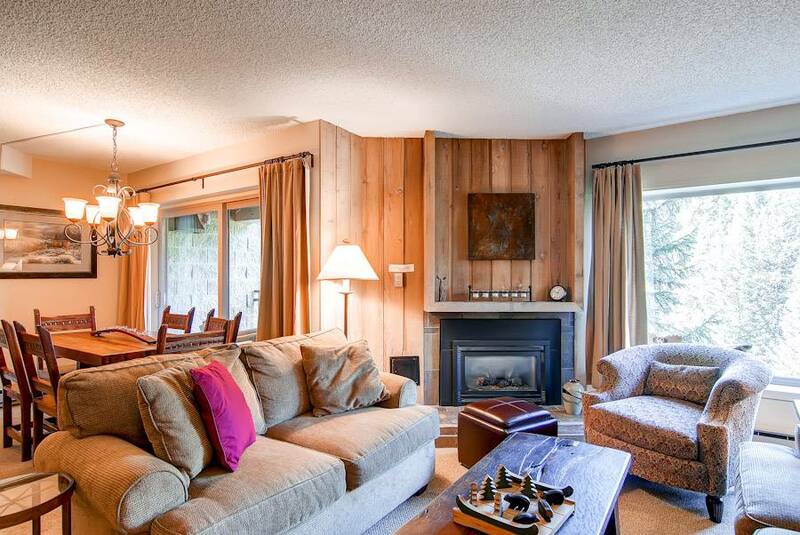 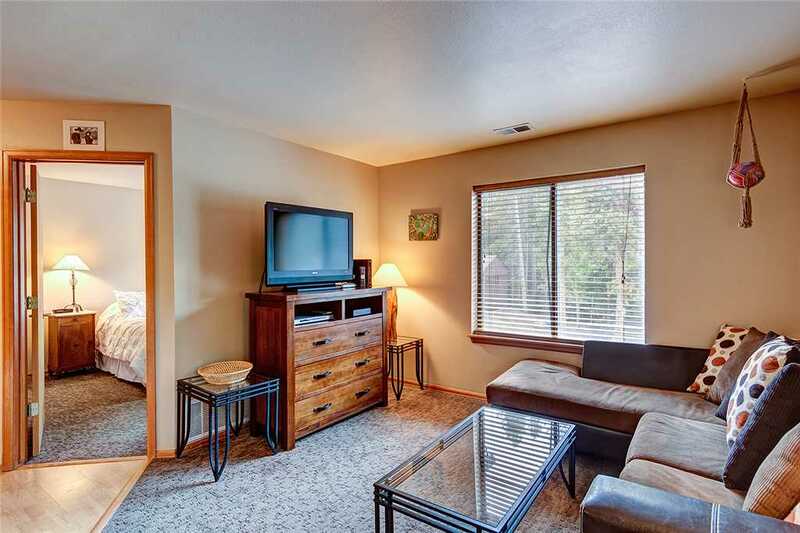 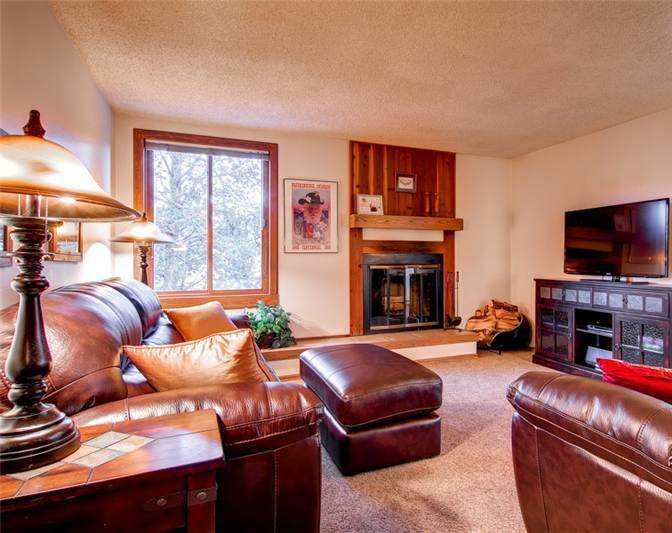 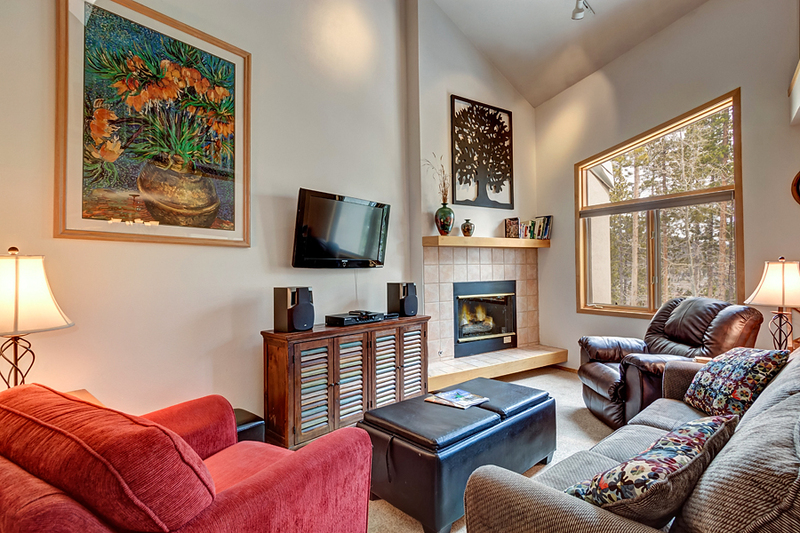 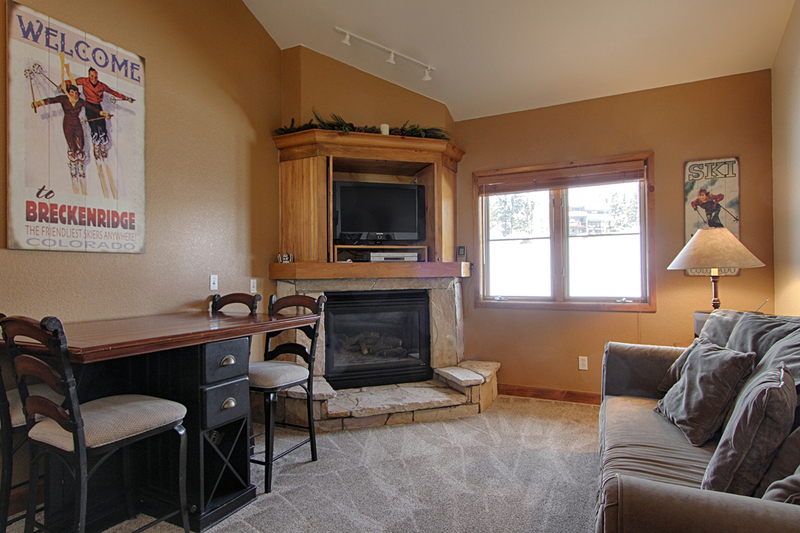 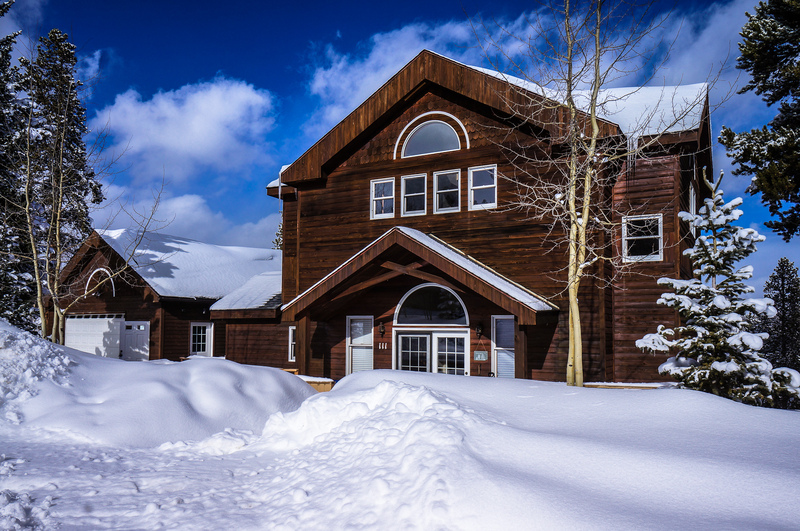 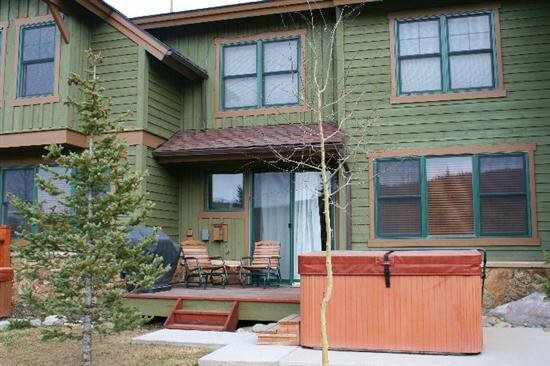 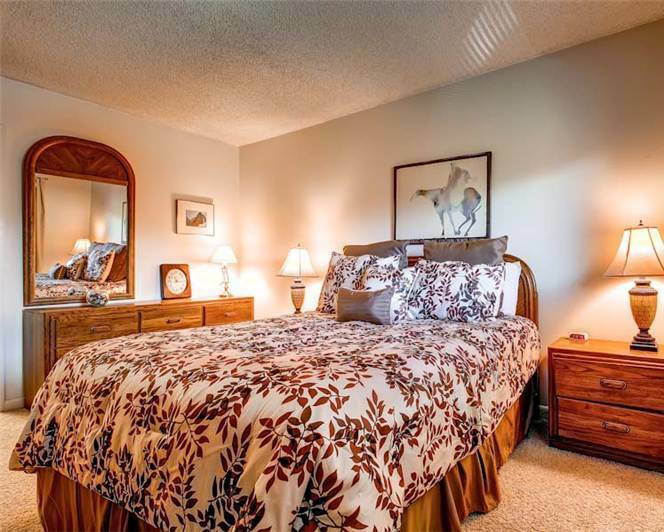 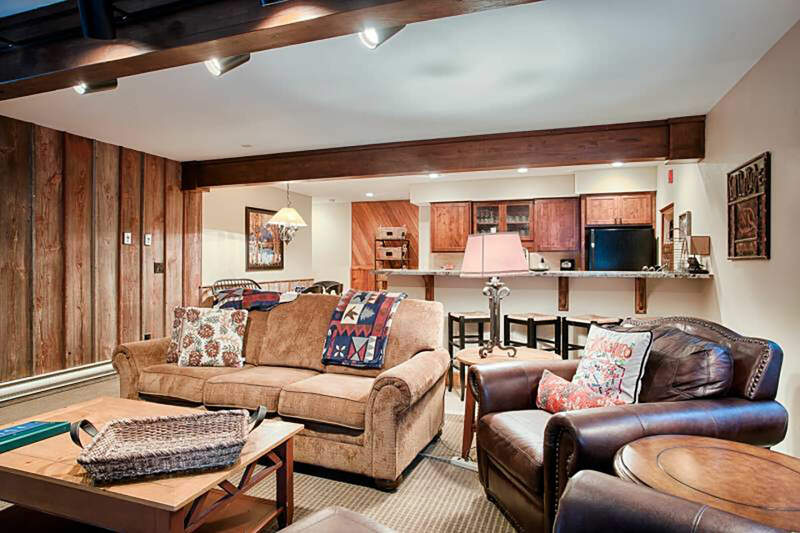 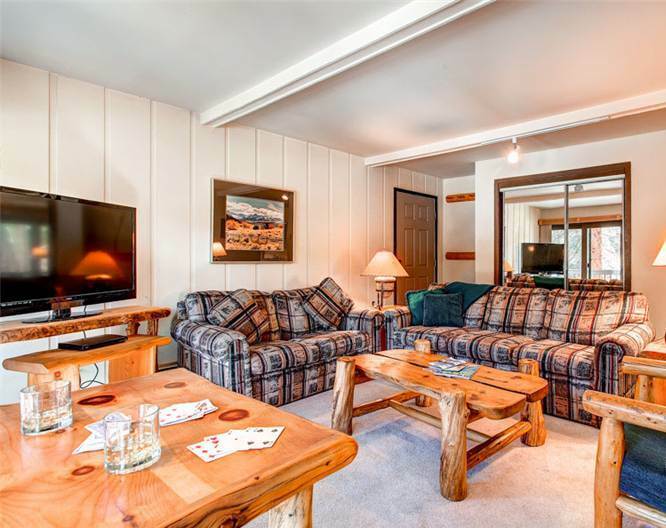 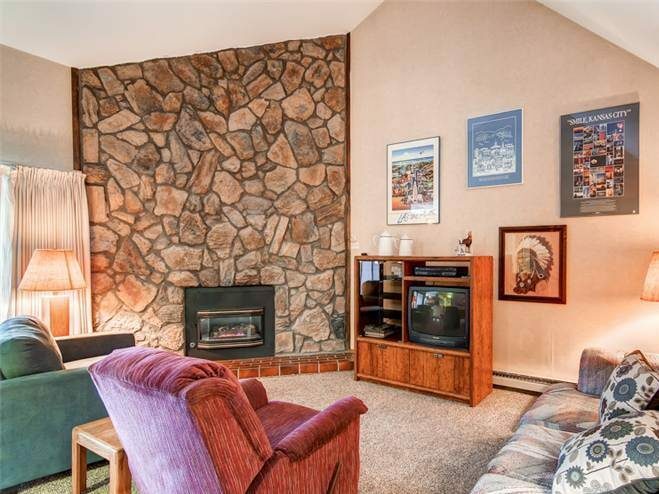 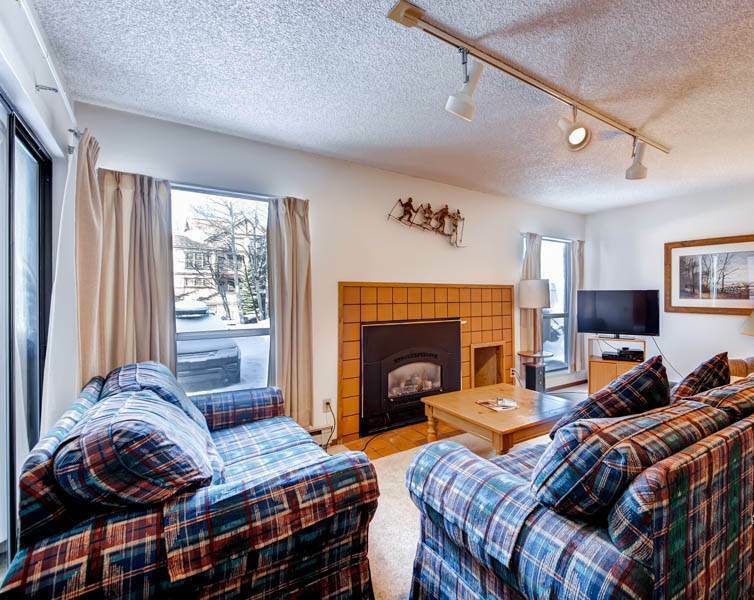 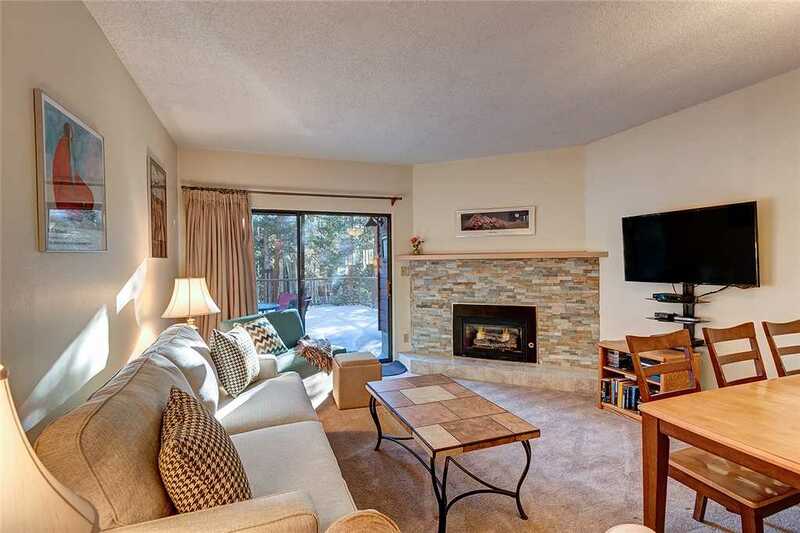 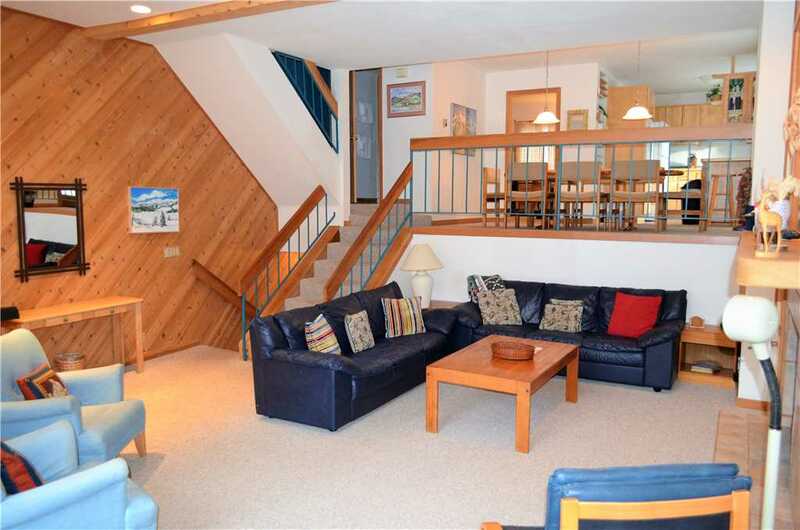 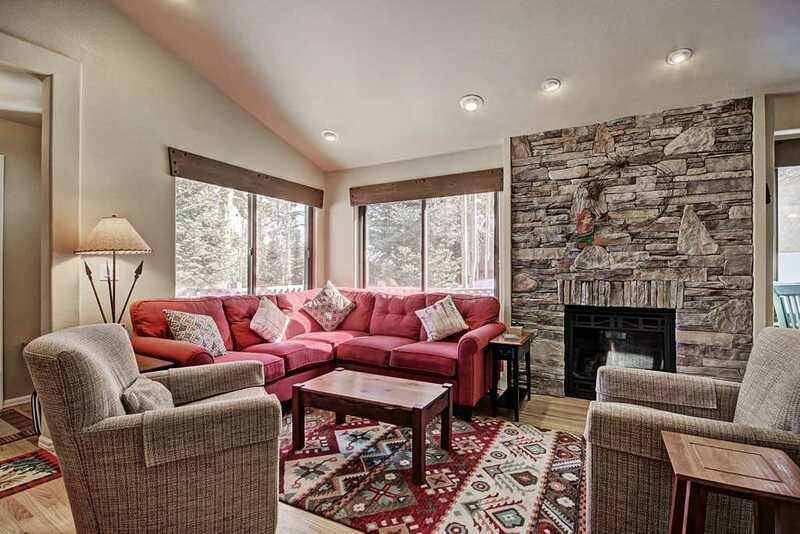 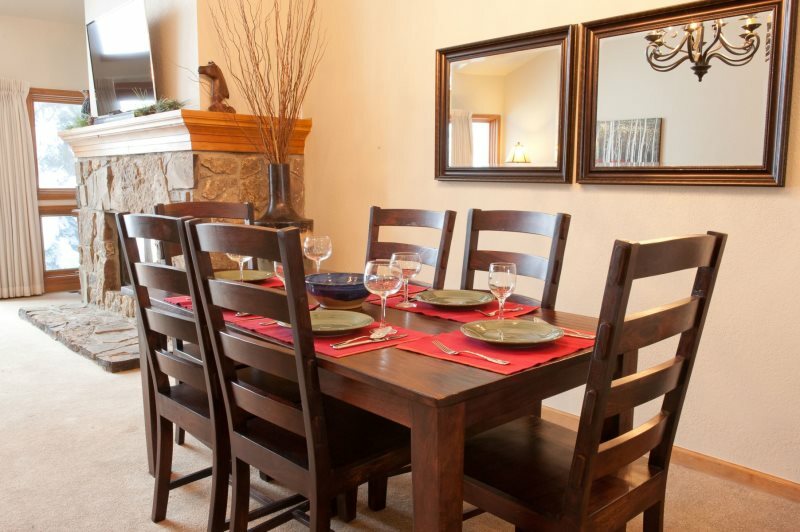 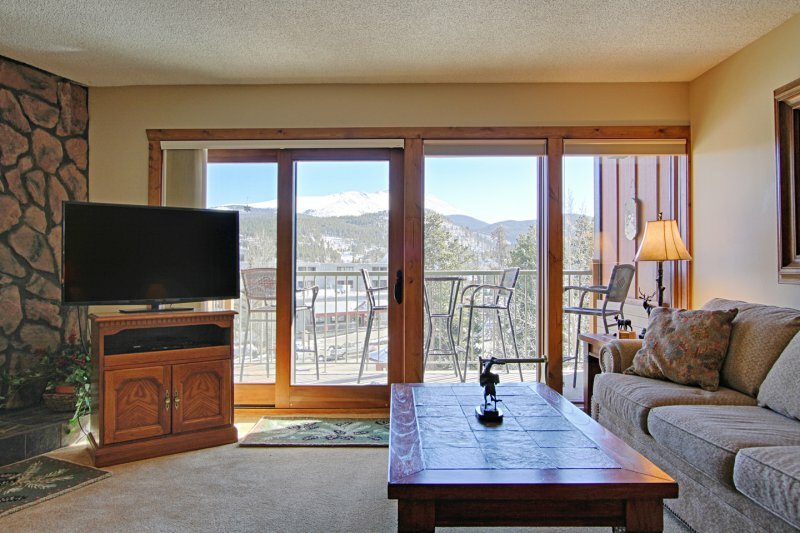 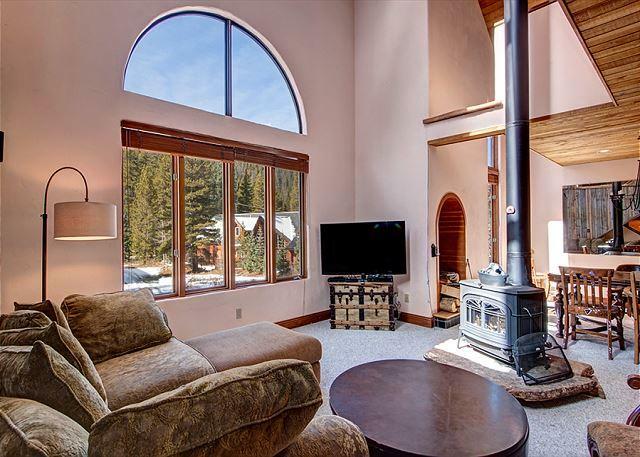 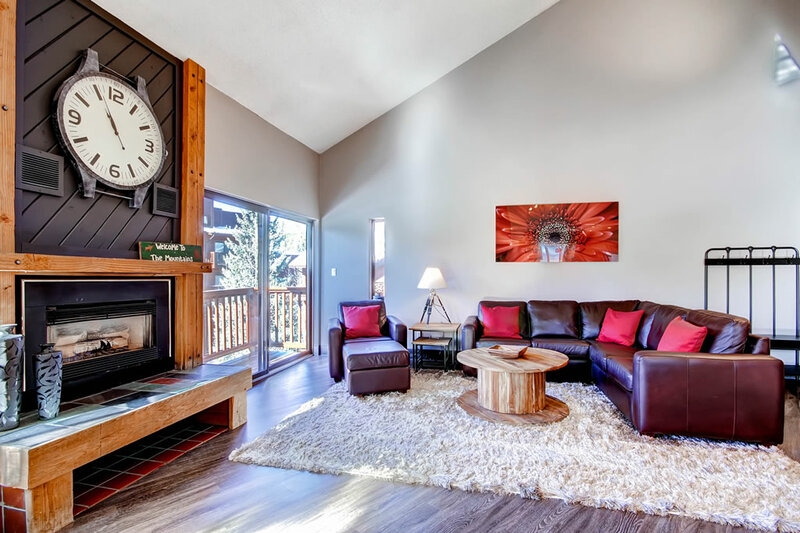 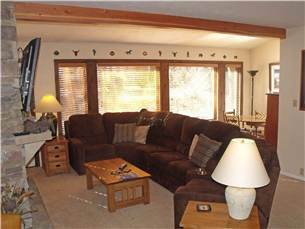 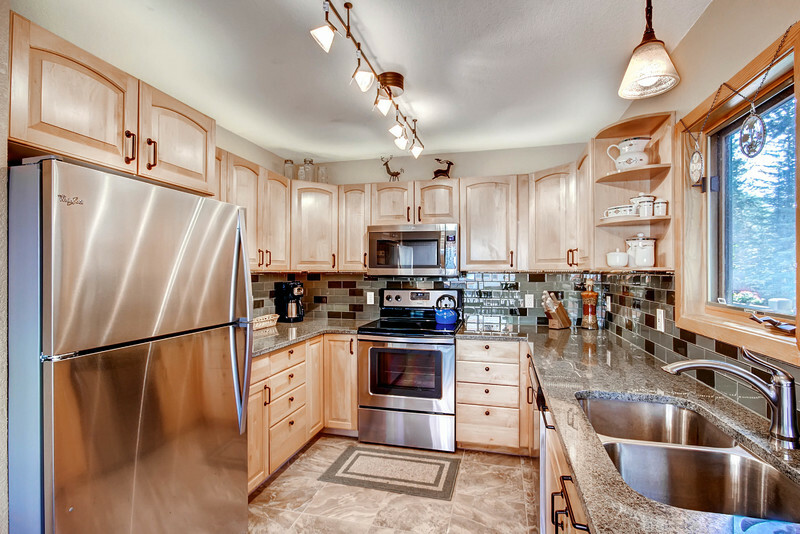 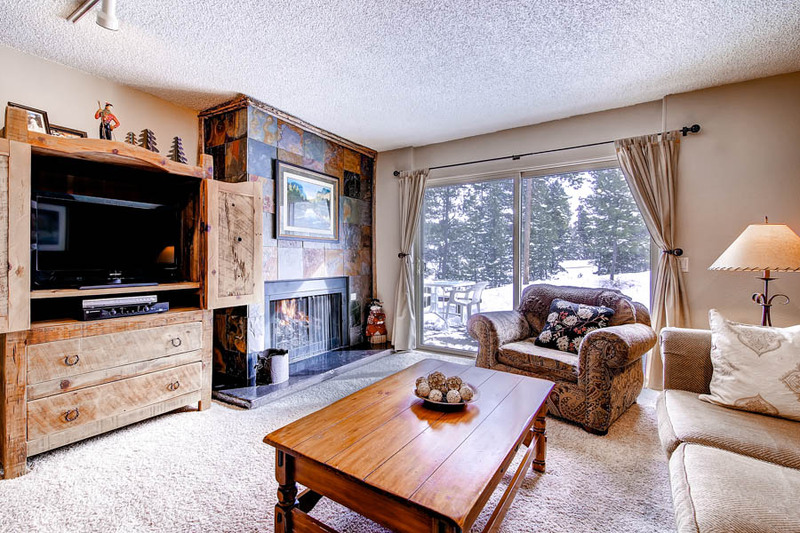 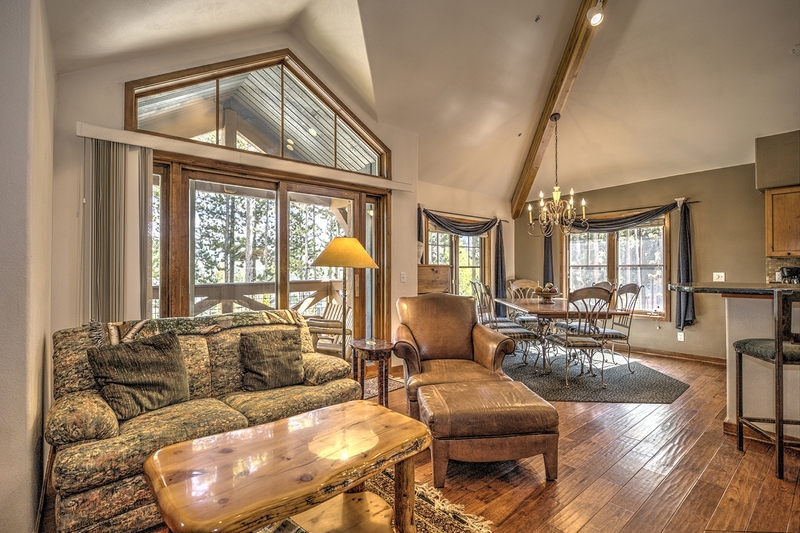 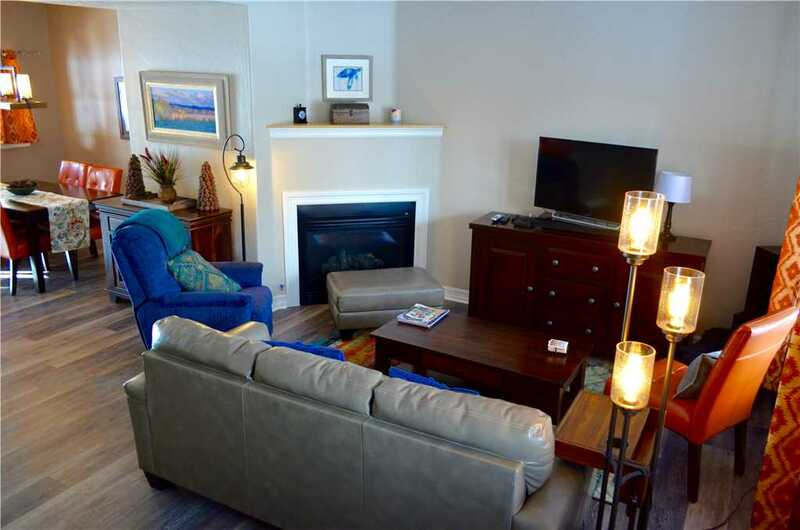 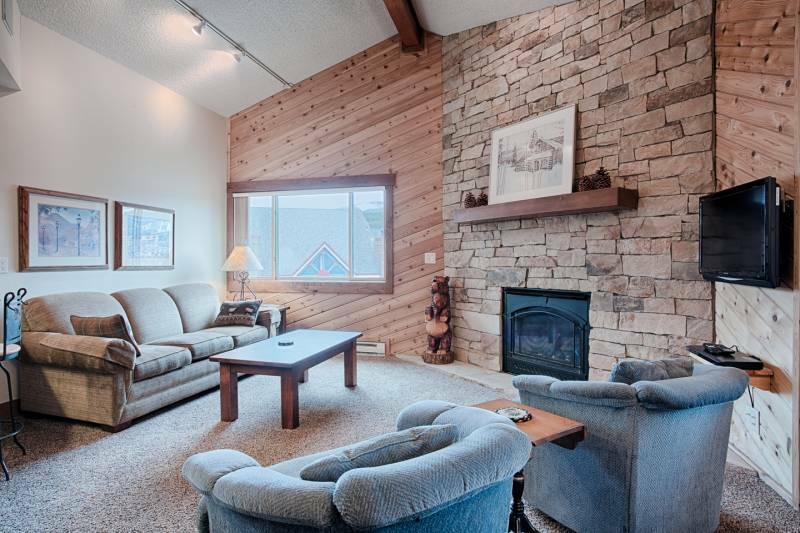 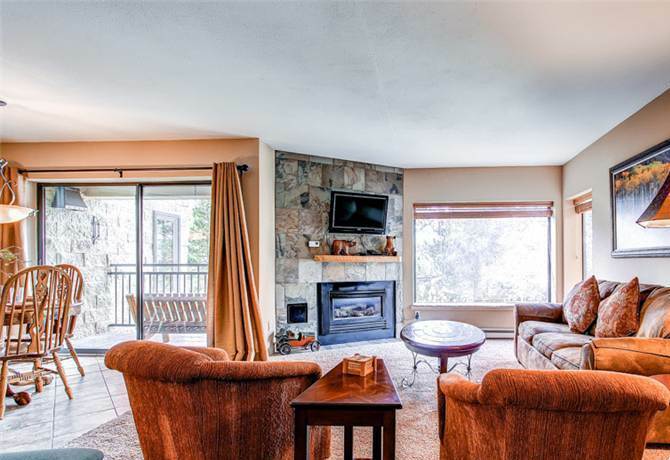 This 1,568 square feet townhome has access to the Upper Village pool and hot tubs (off-site). 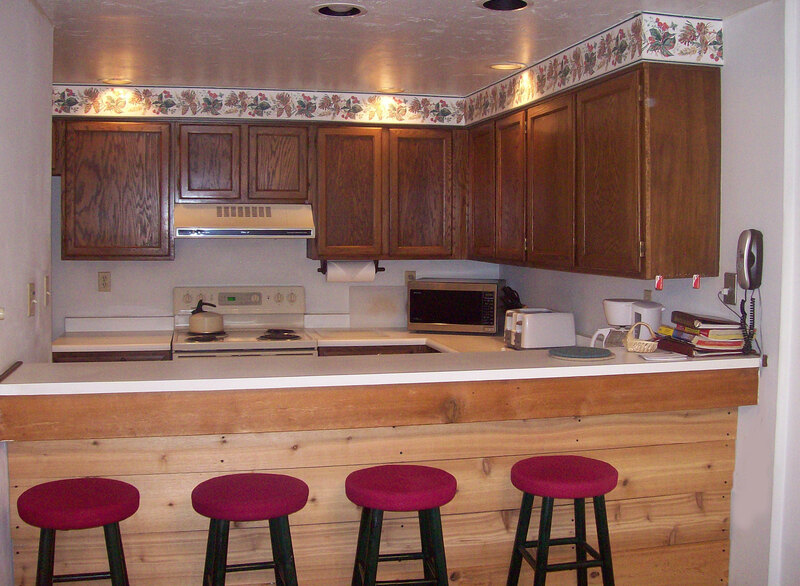 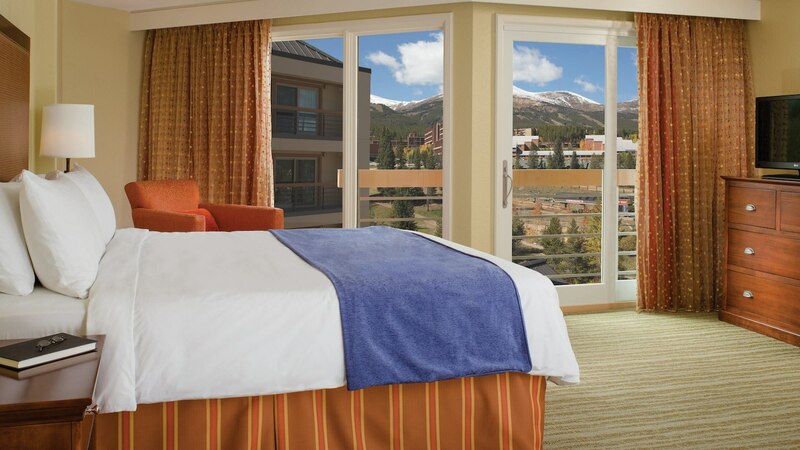 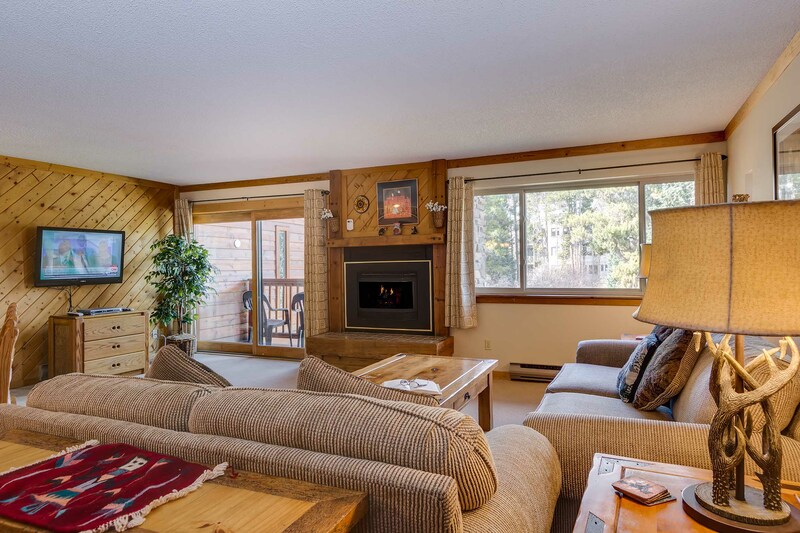 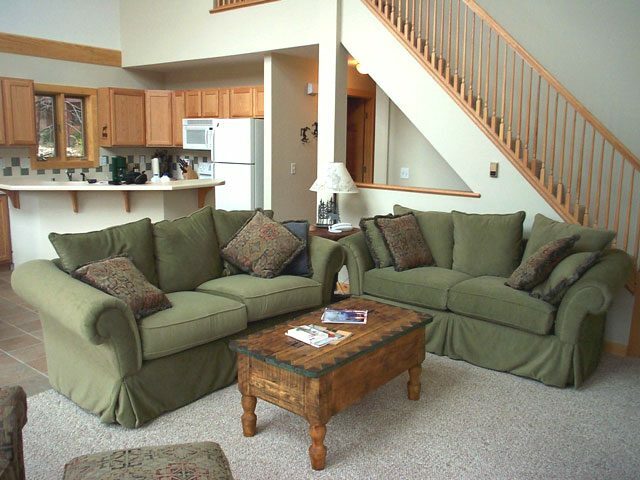 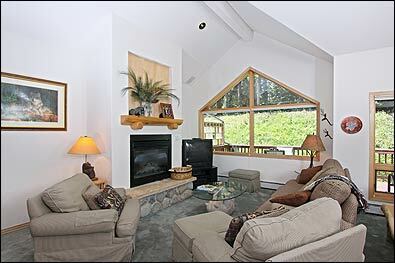 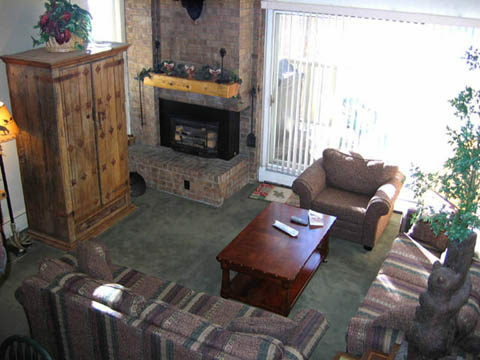 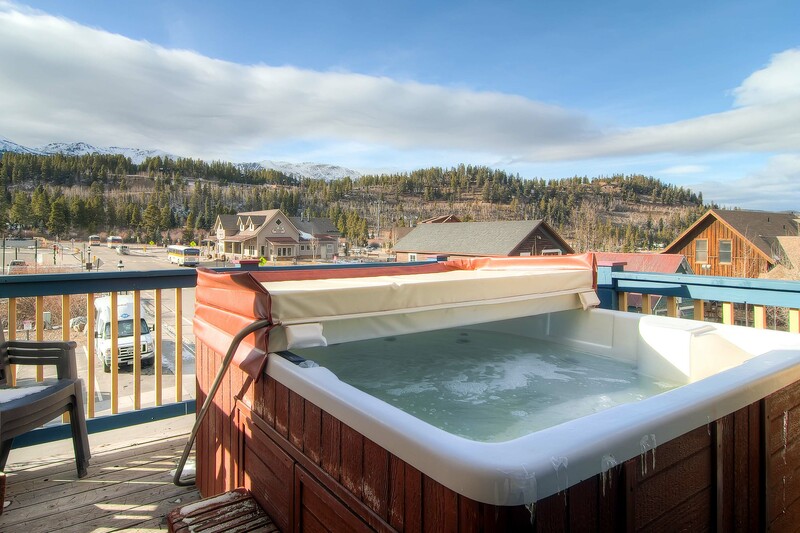 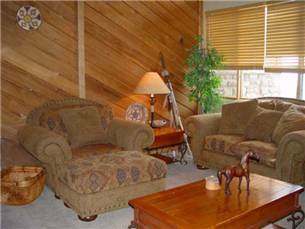 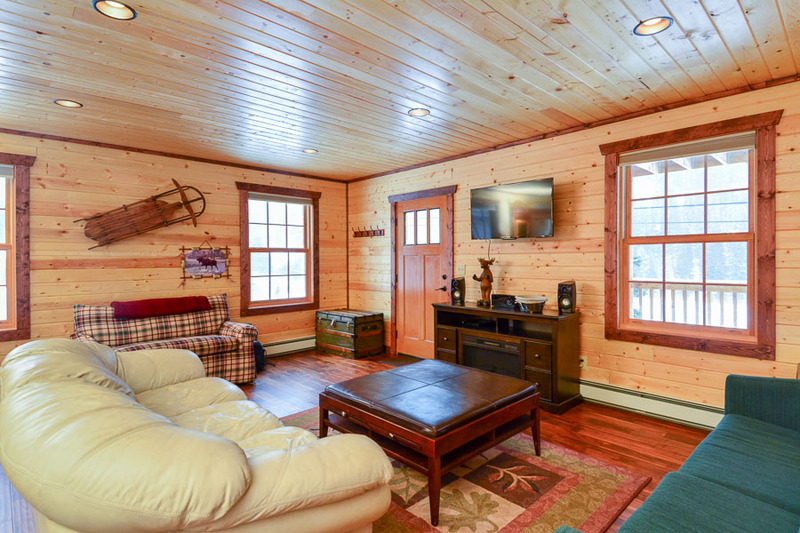 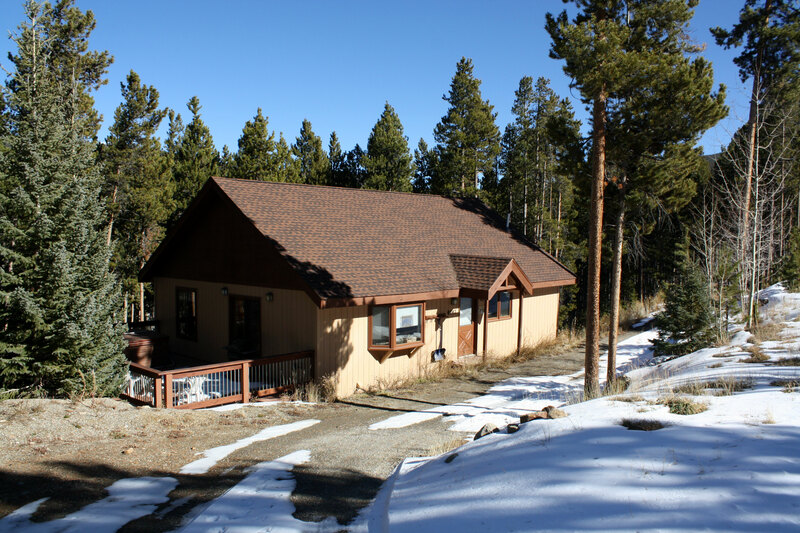 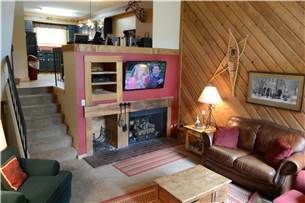 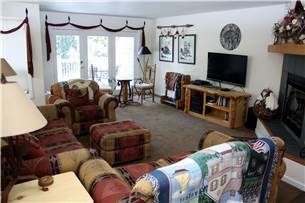 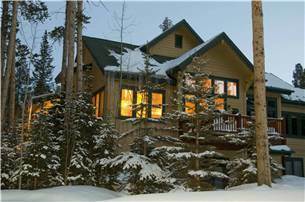 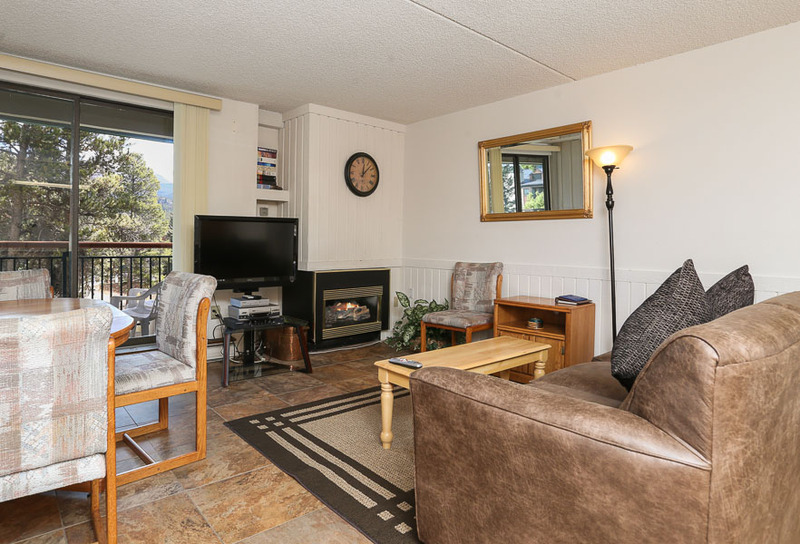 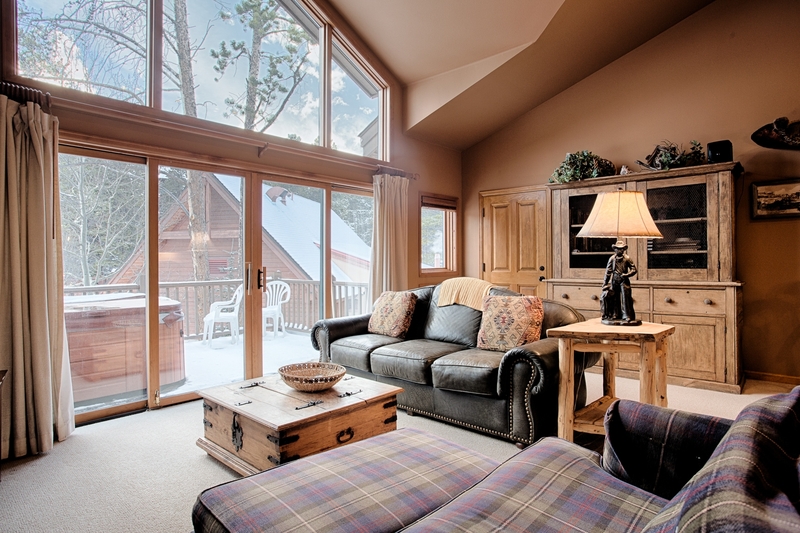 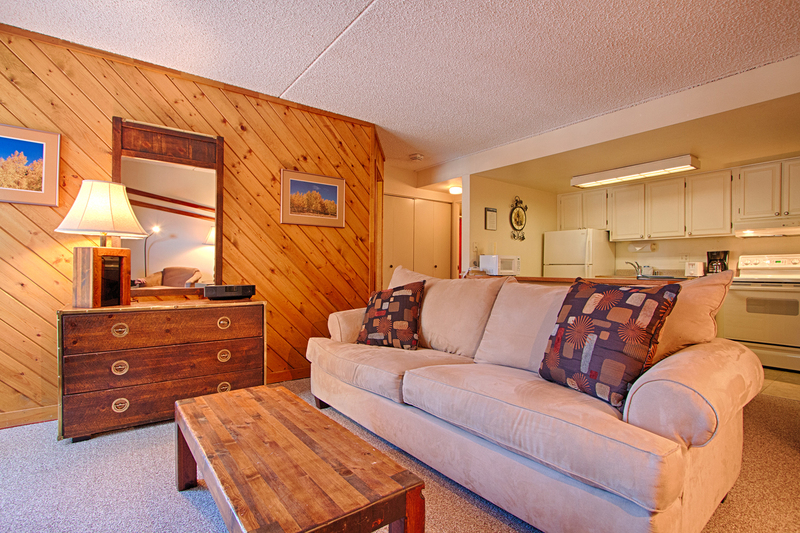 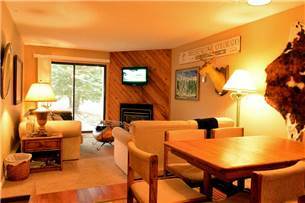 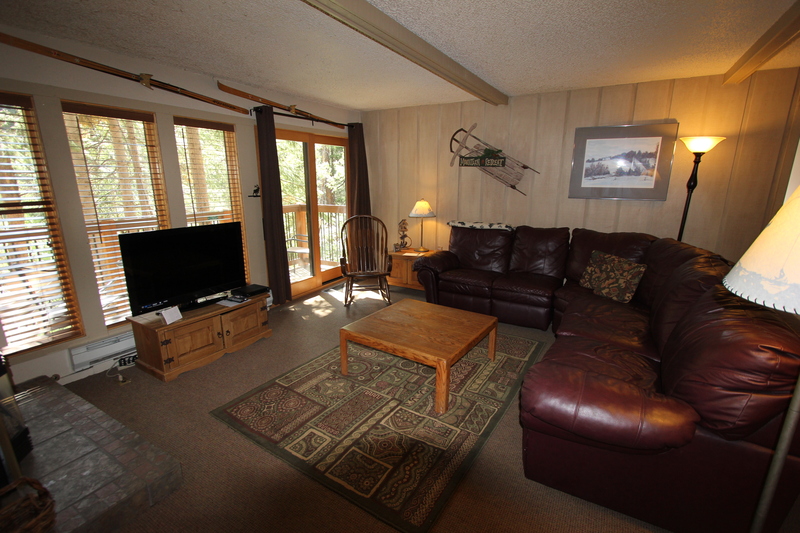 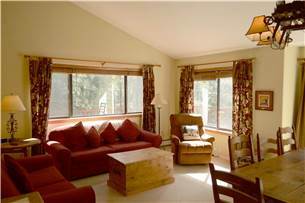 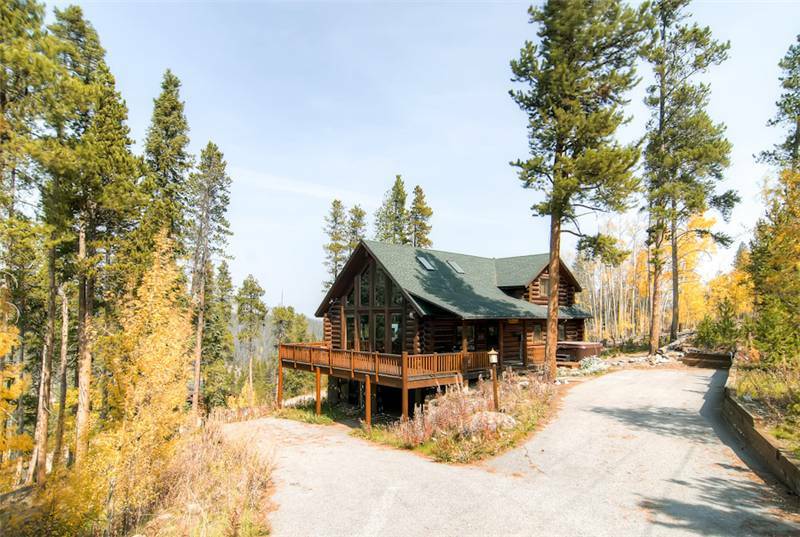 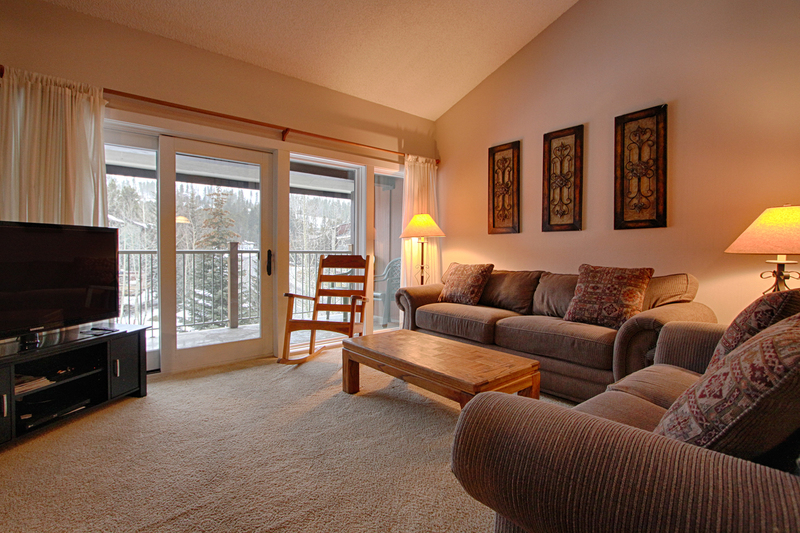 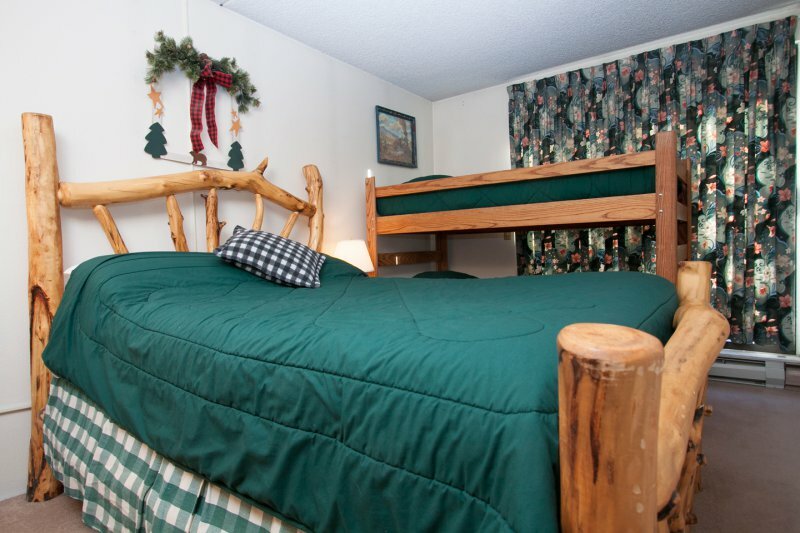 There is also and hot tub enclosed in the unit on the porch facing the slopes. 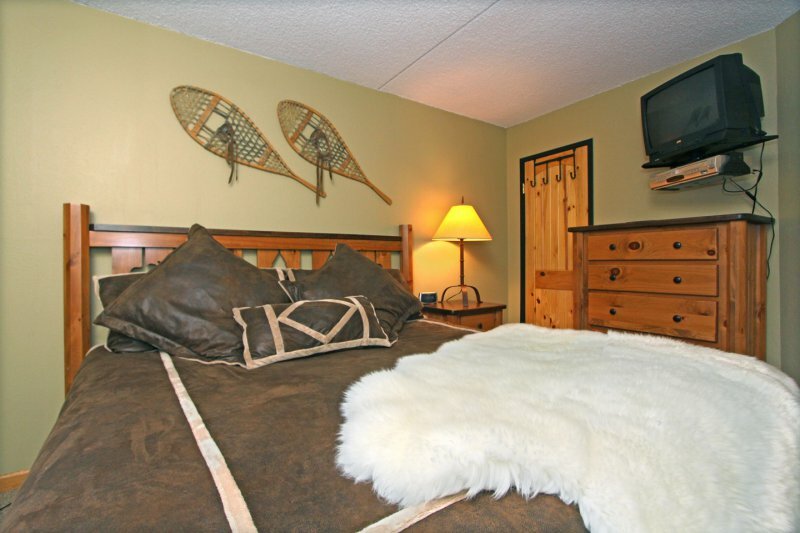 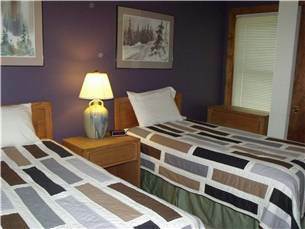 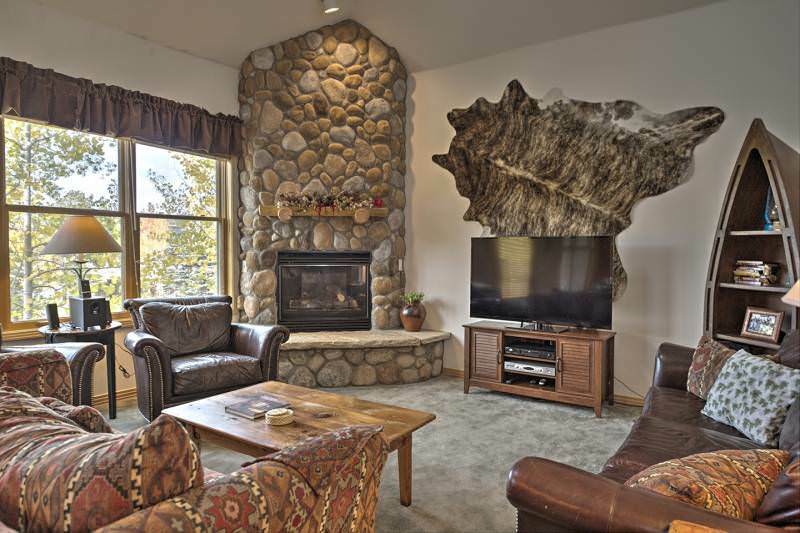 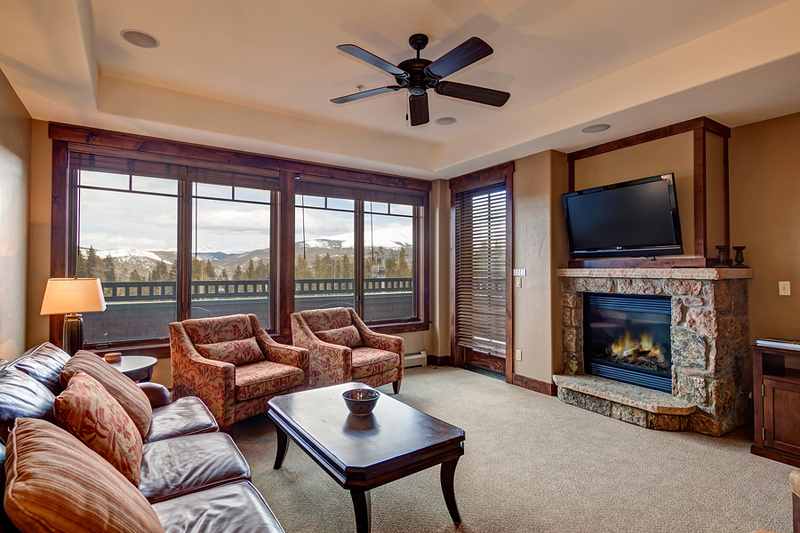 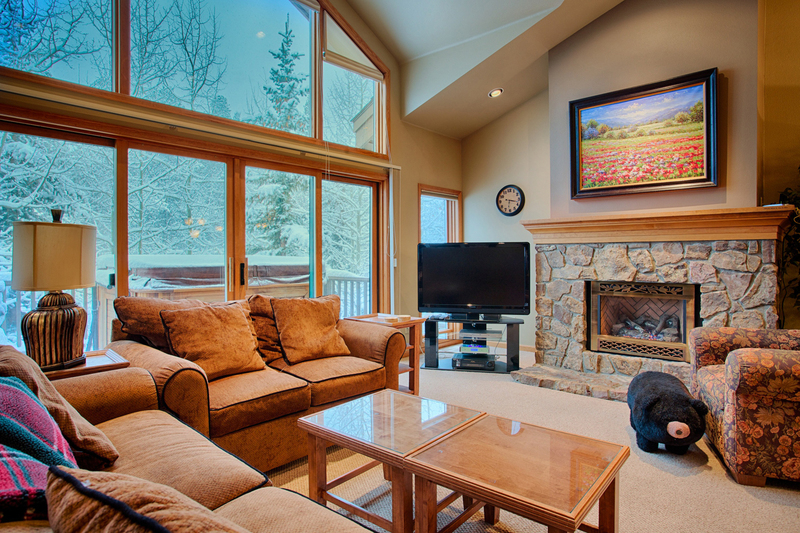 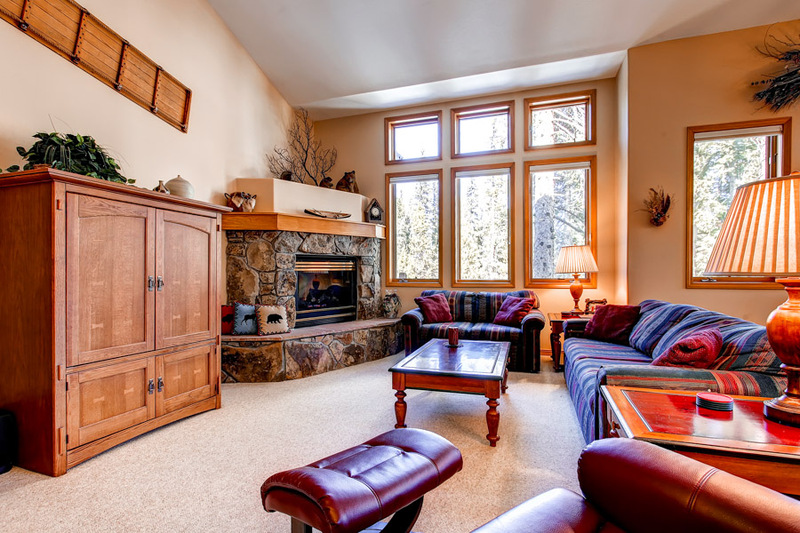 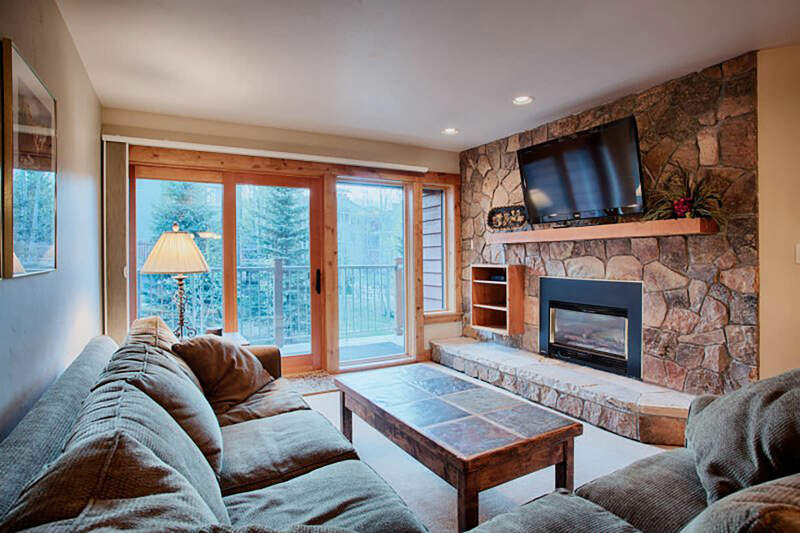 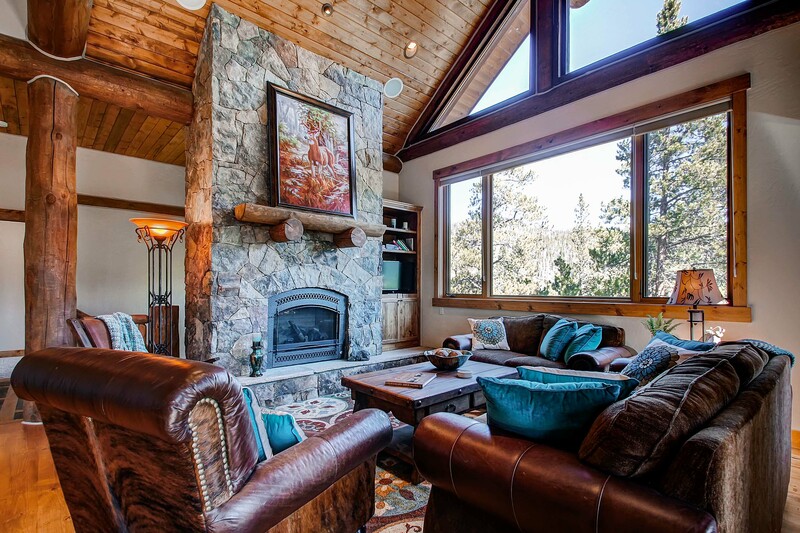 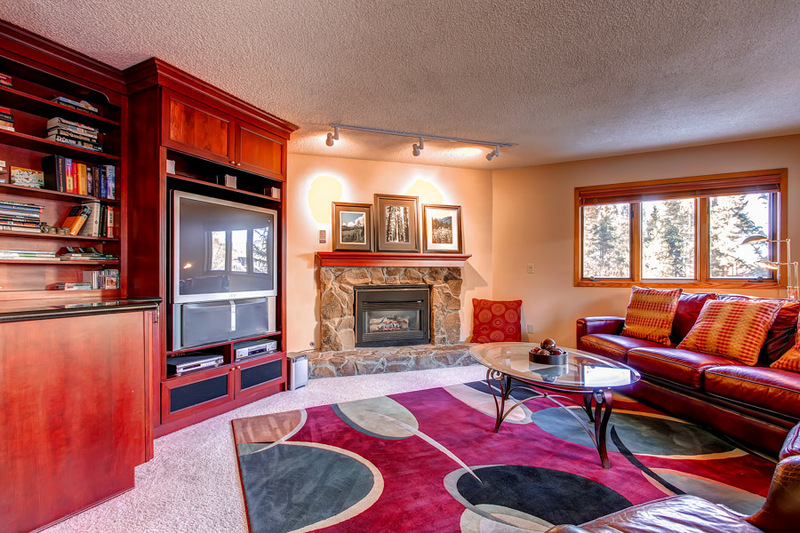 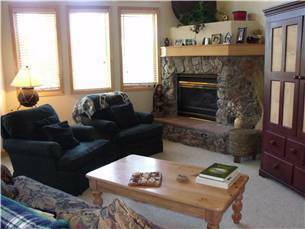 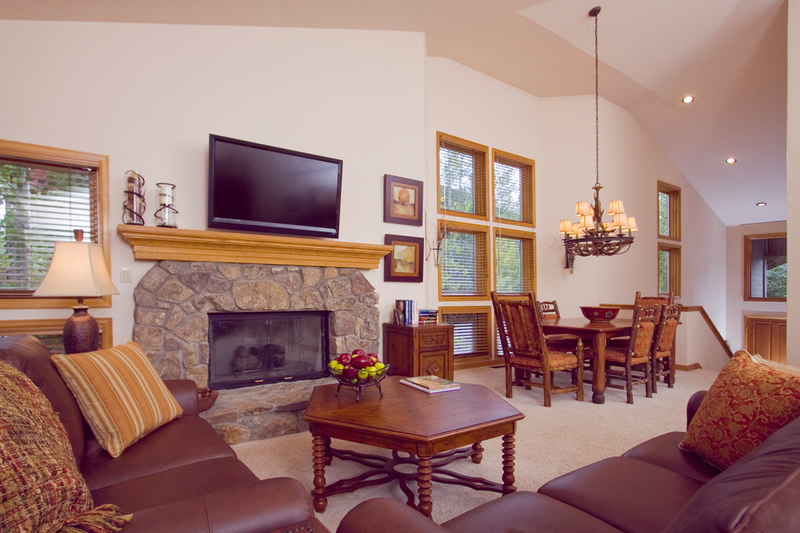 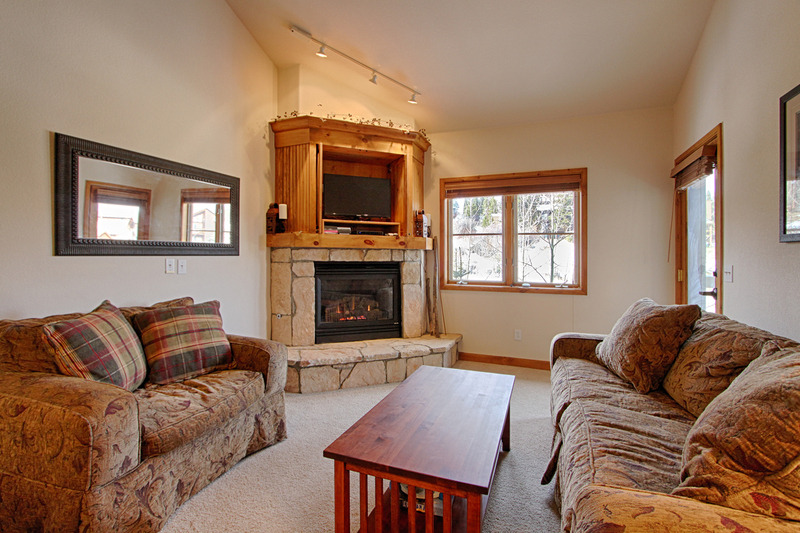 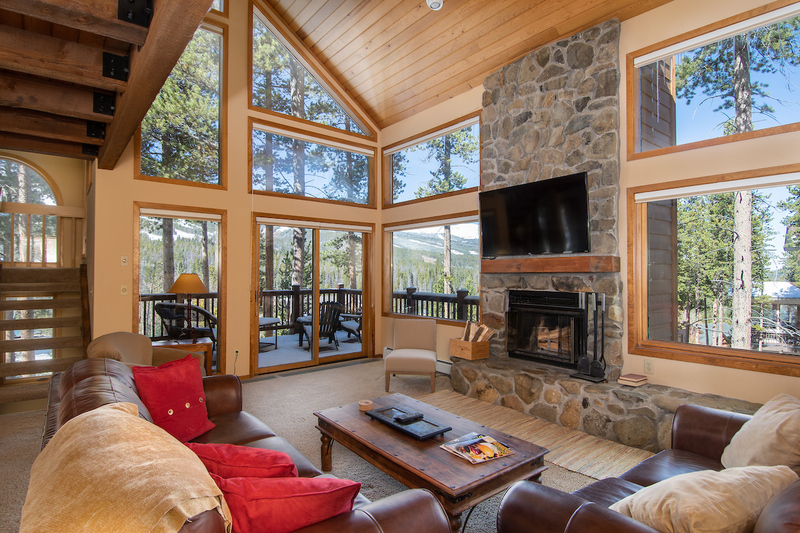 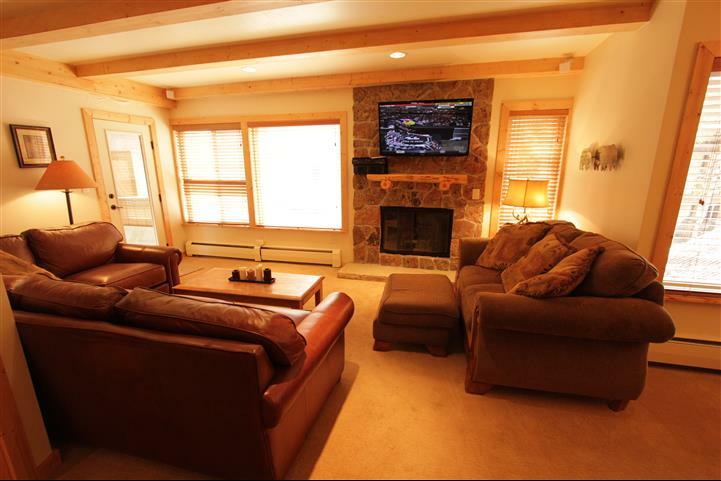 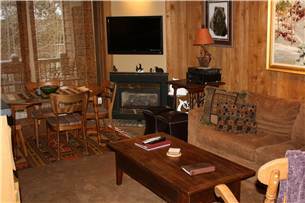 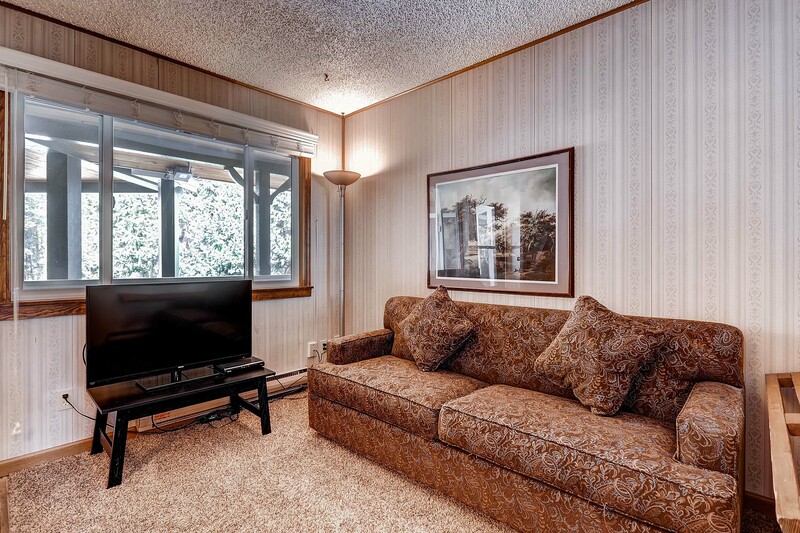 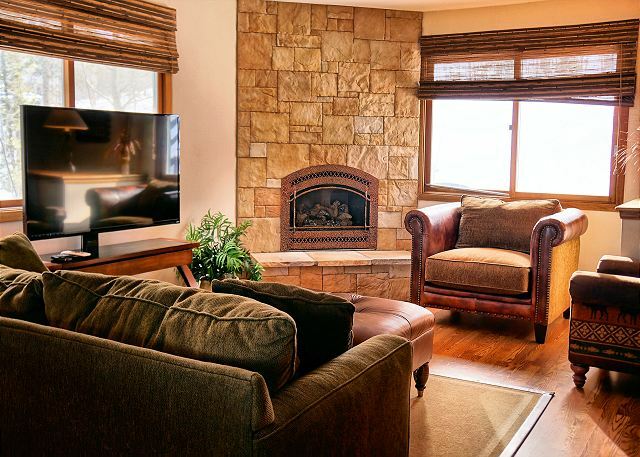 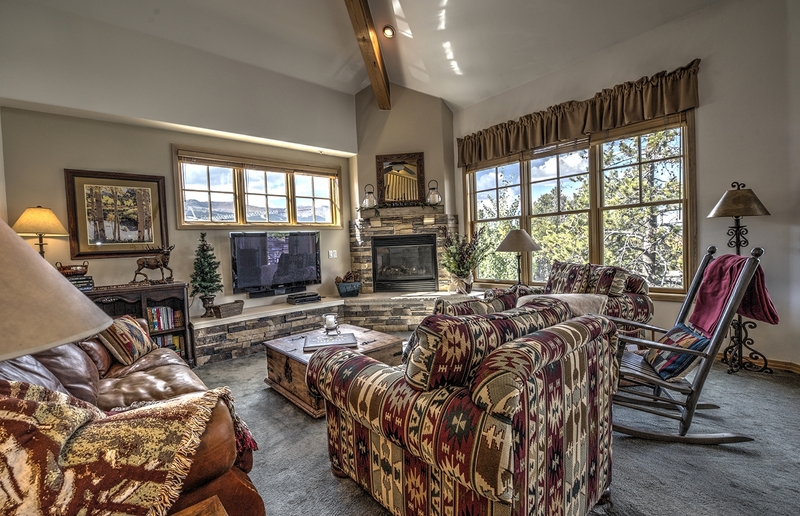 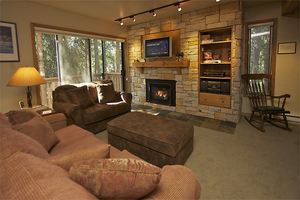 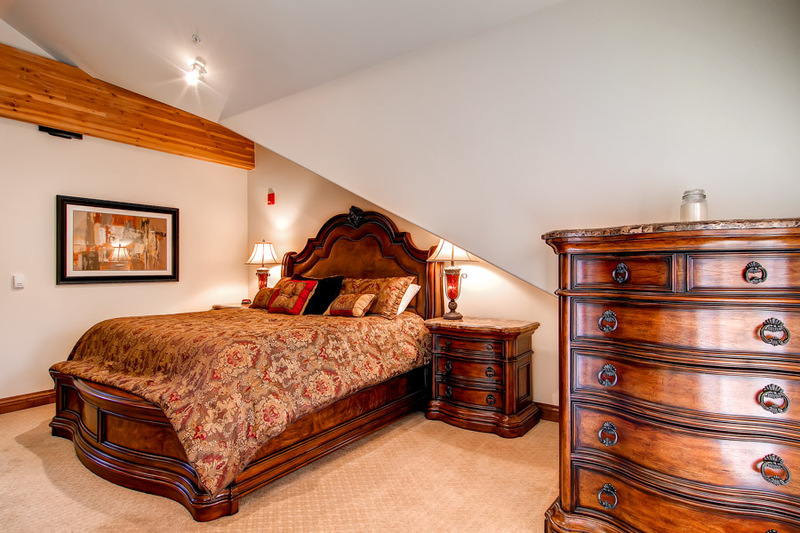 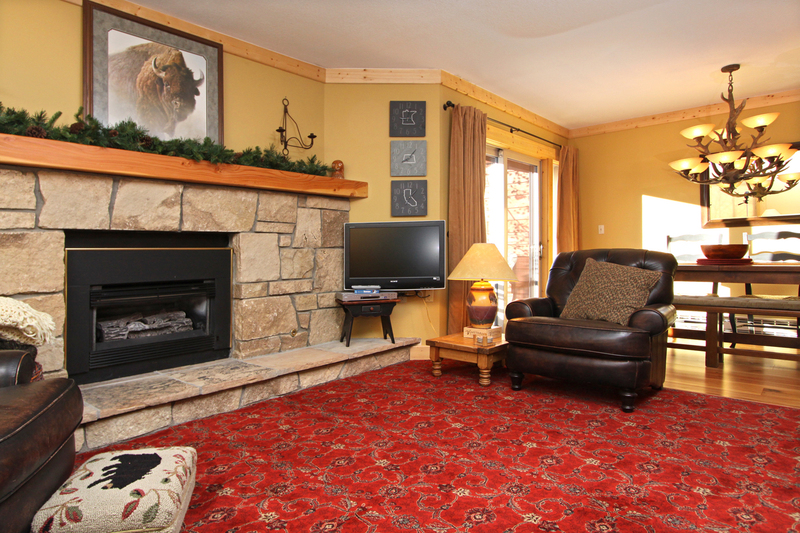 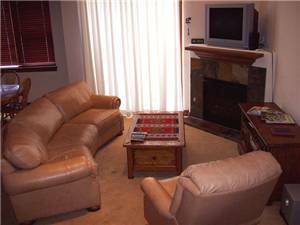 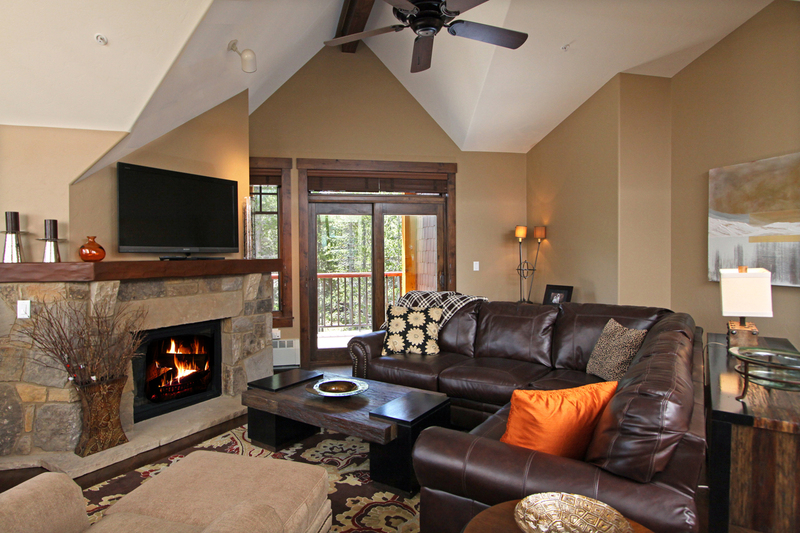 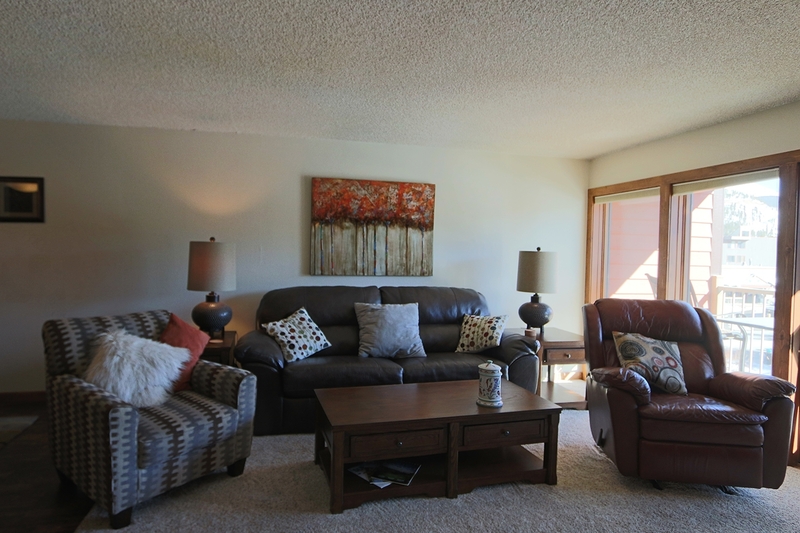 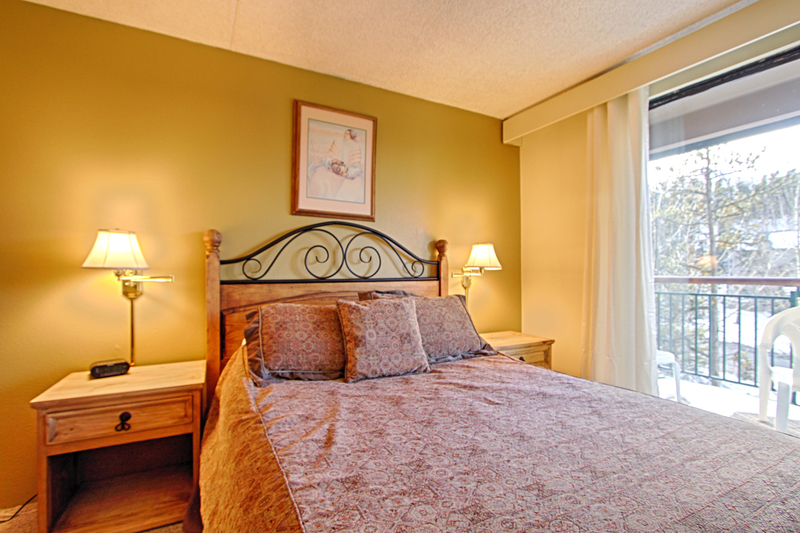 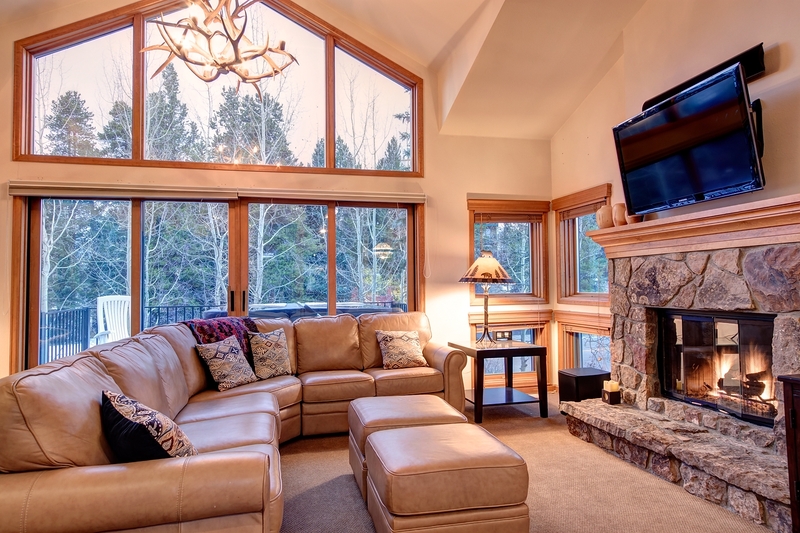 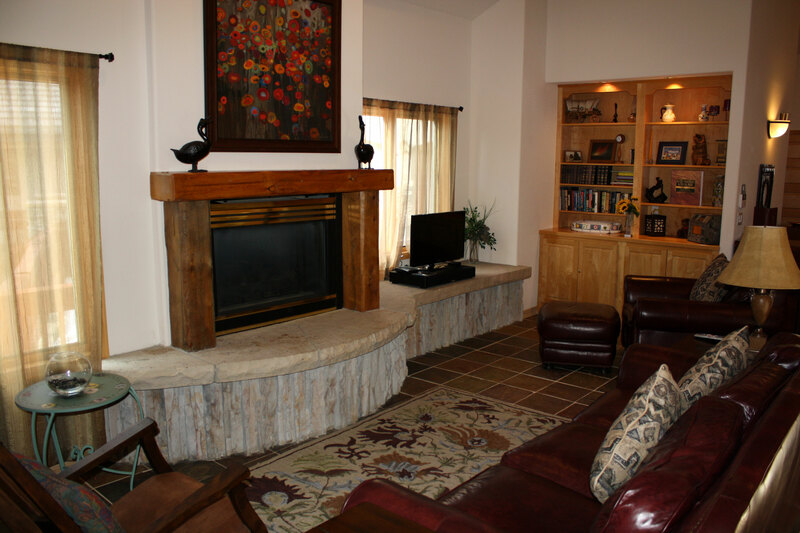 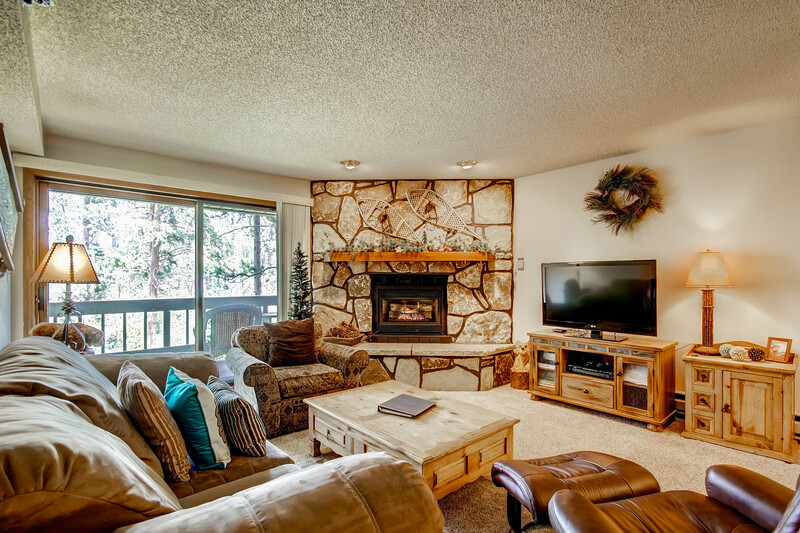 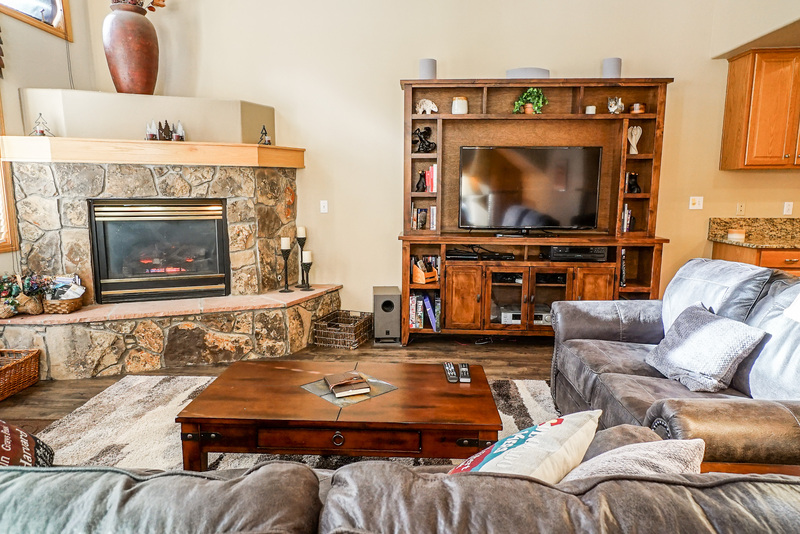 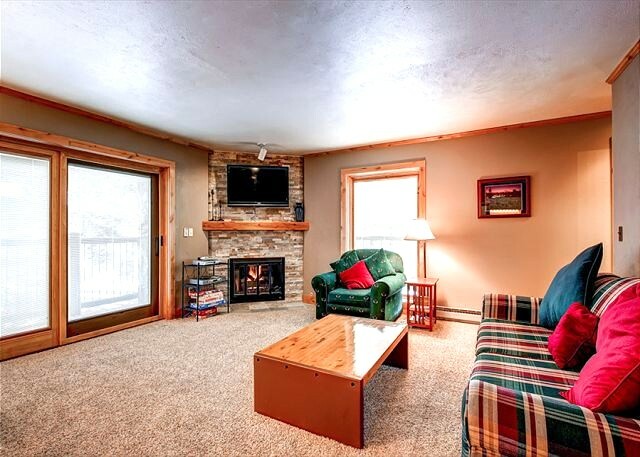 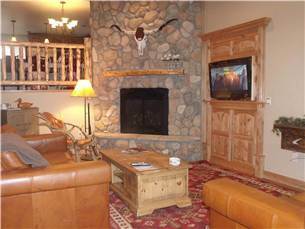 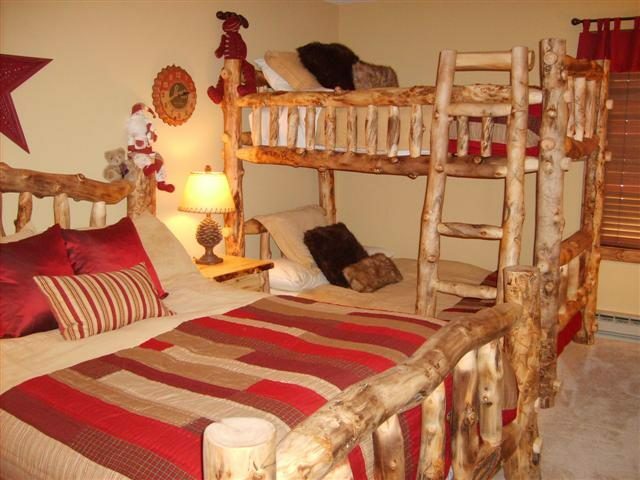 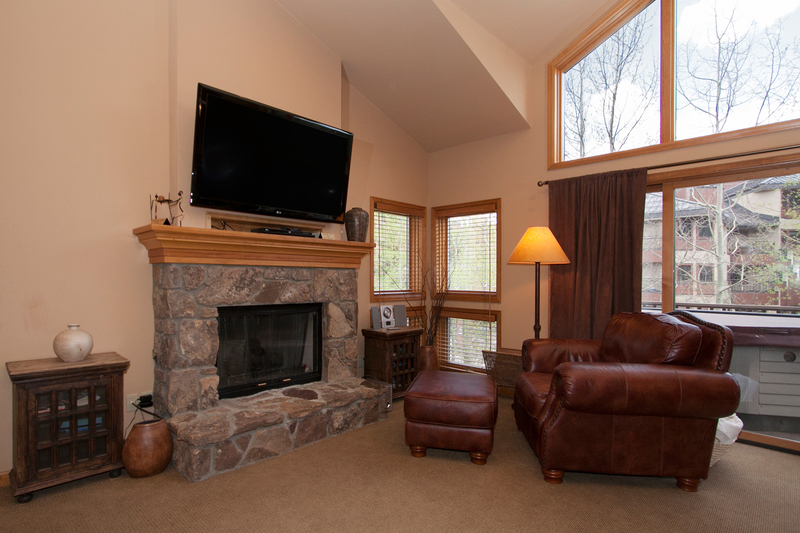 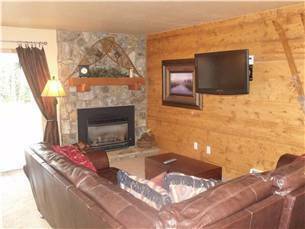 Enjoy the surround sound stereo and TVs in the den and master bedroom. 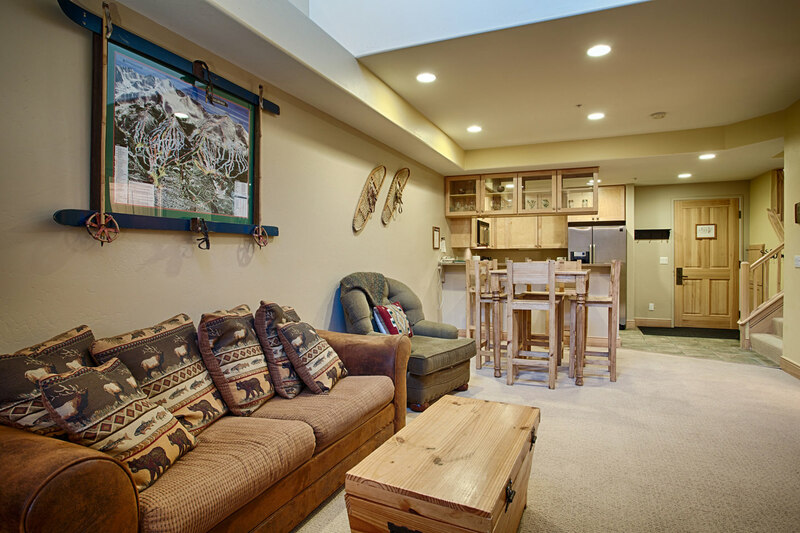 If you have kids the laundry closet is a great place to dry the clothes out.